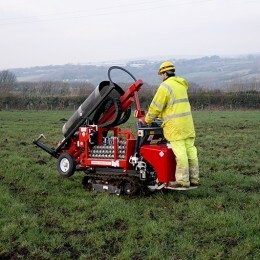 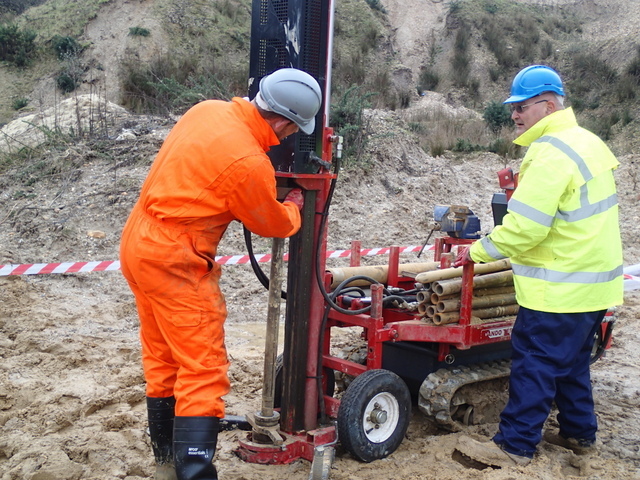 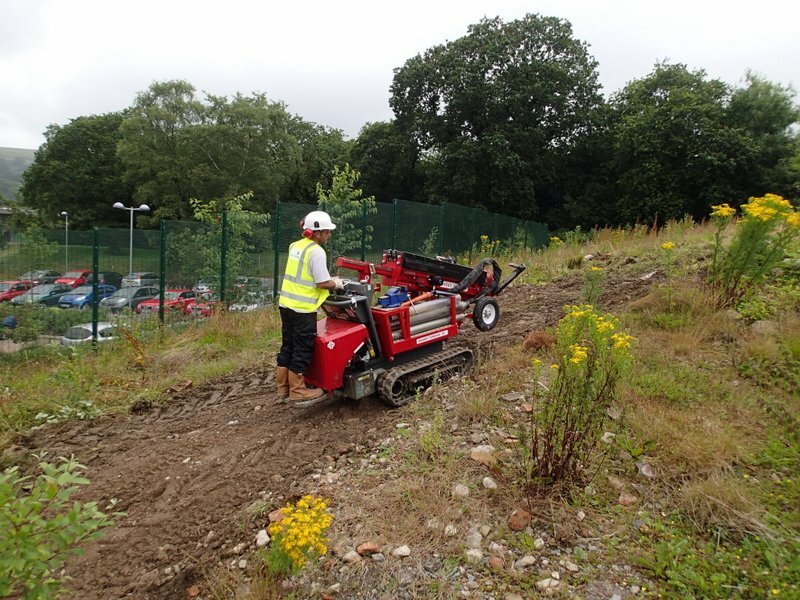 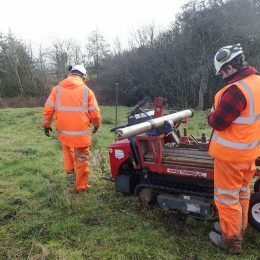 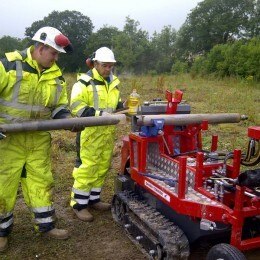 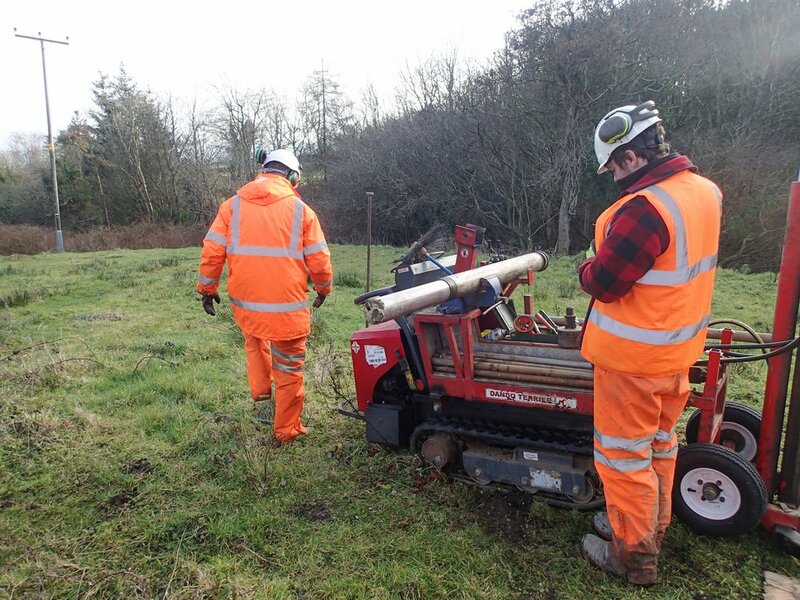 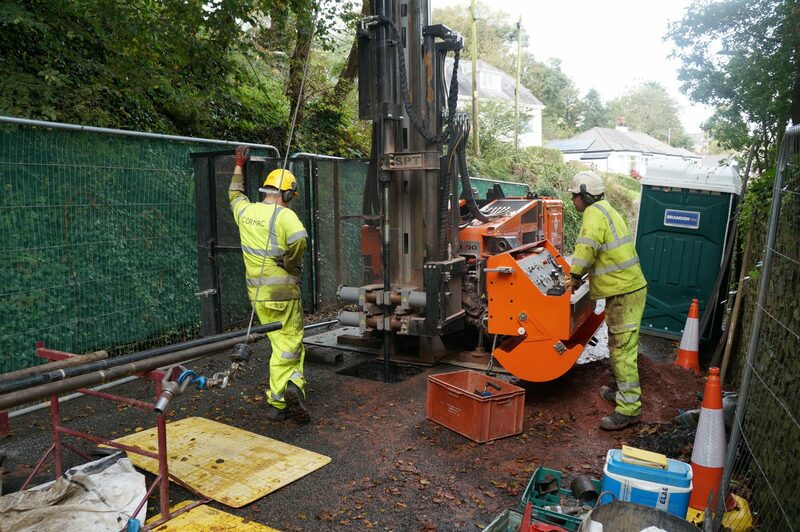 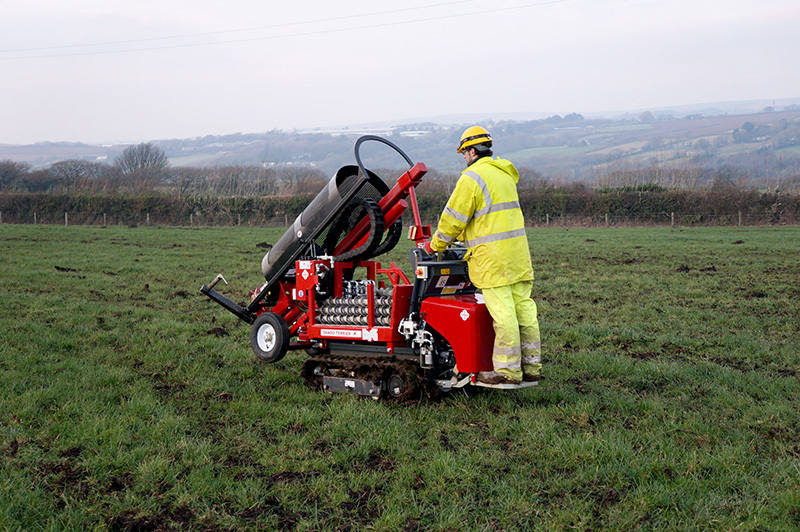 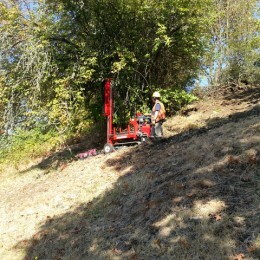 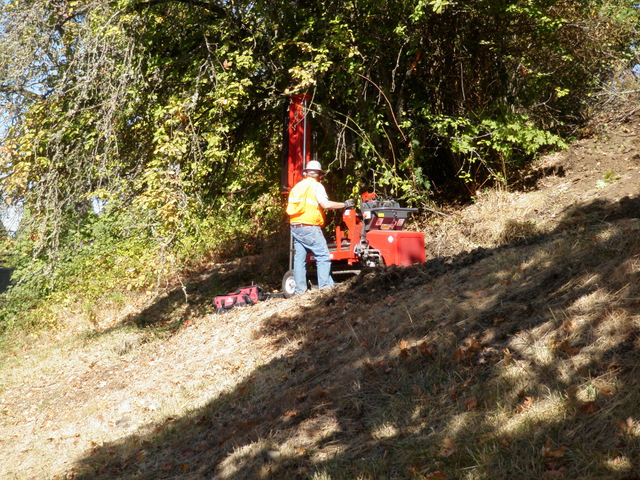 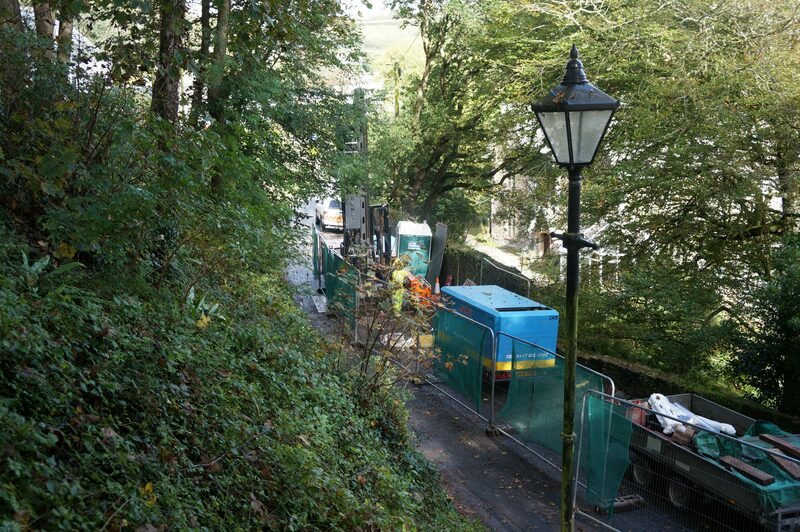 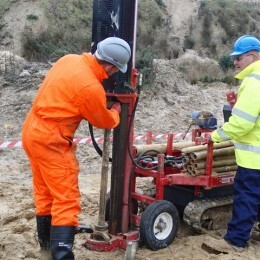 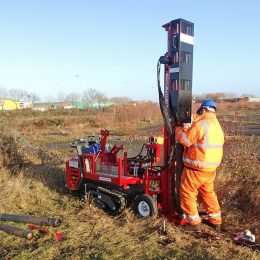 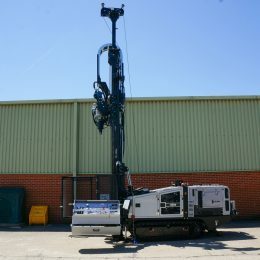 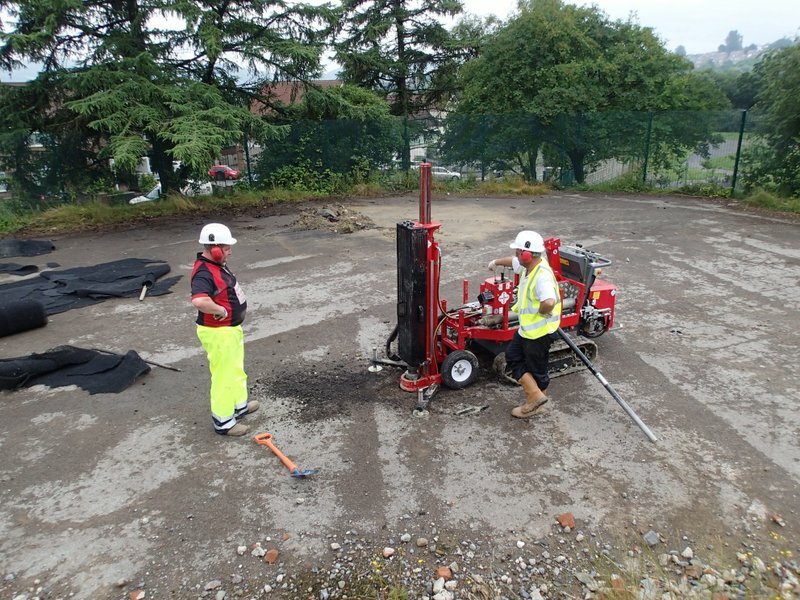 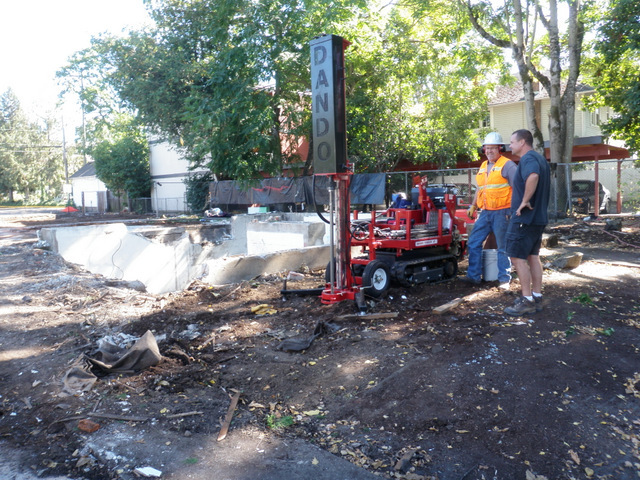 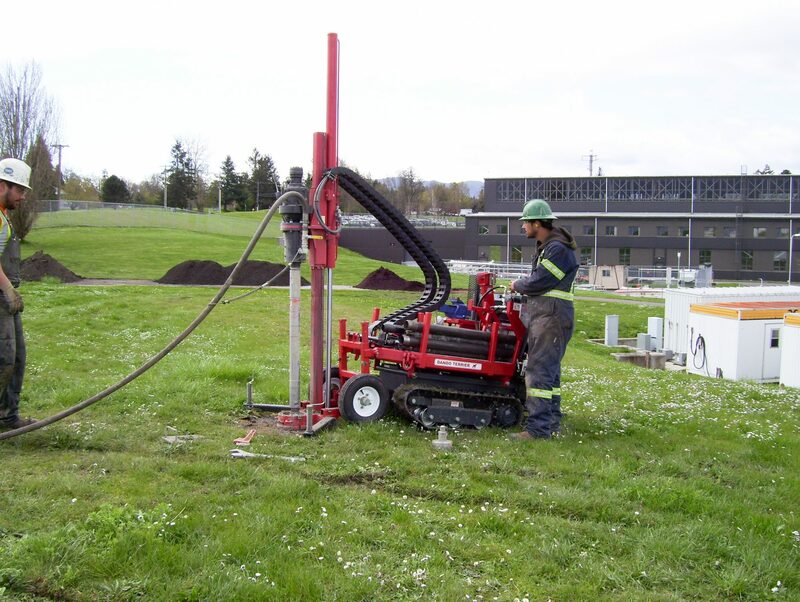 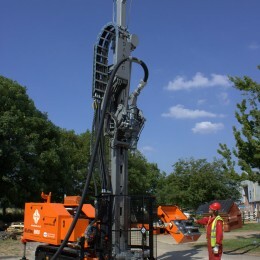 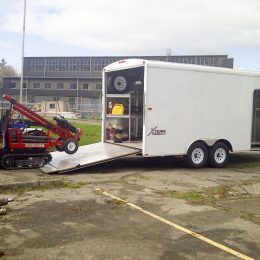 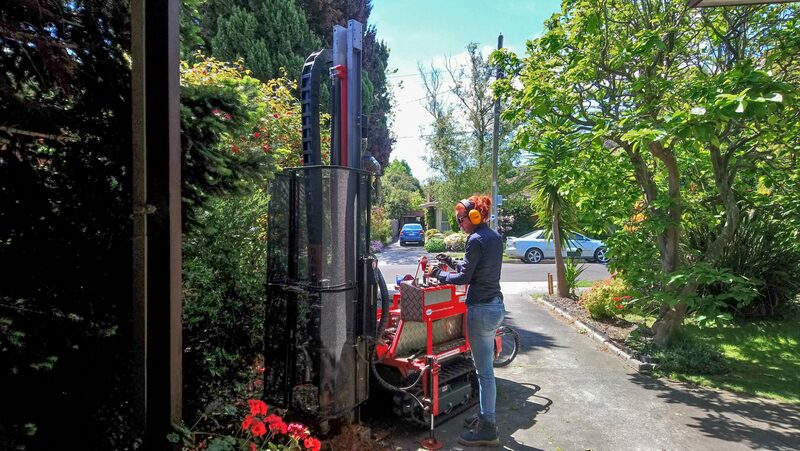 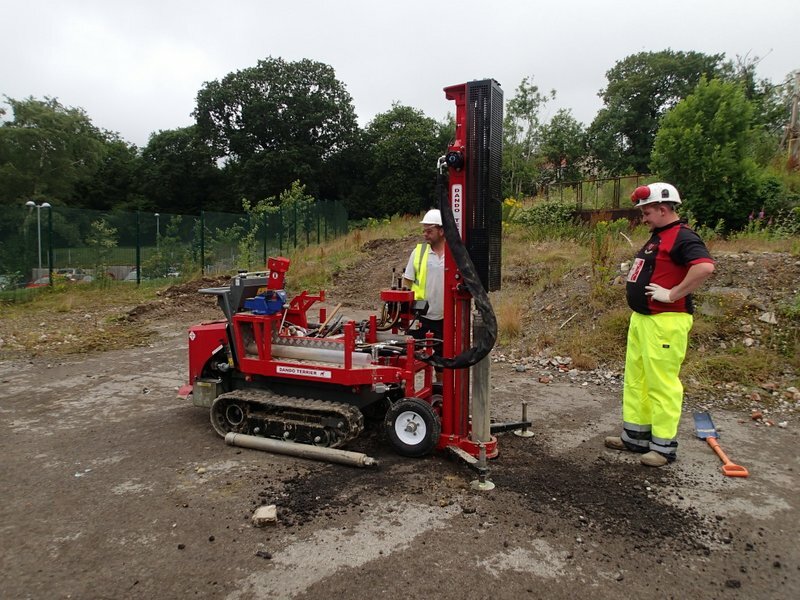 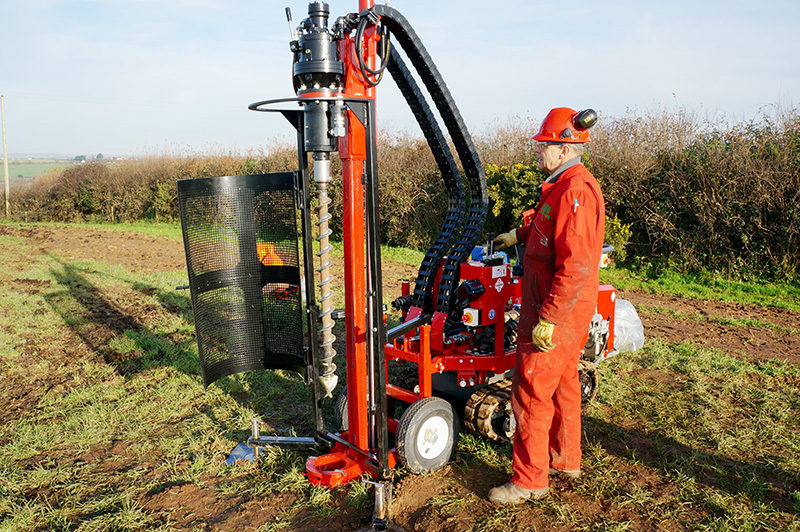 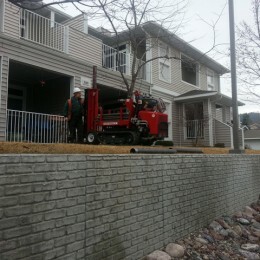 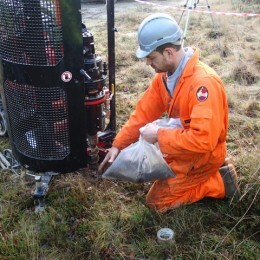 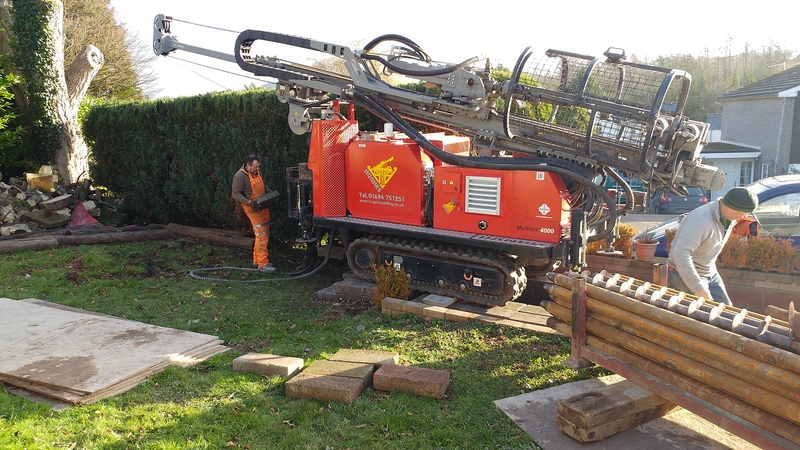 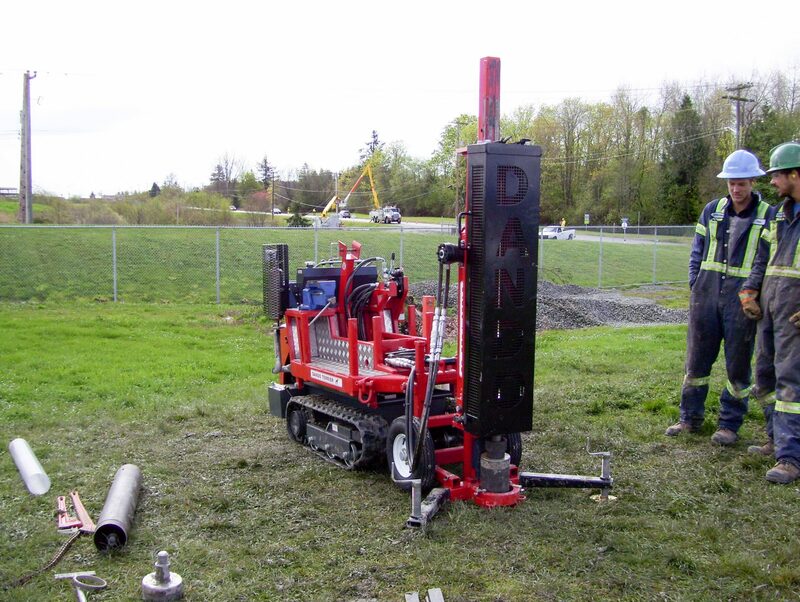 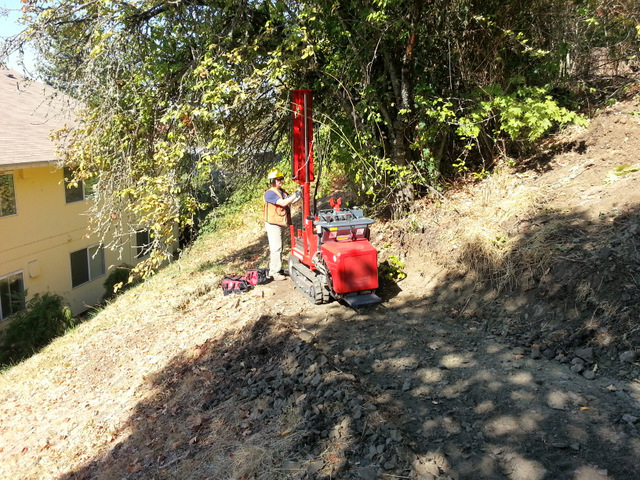 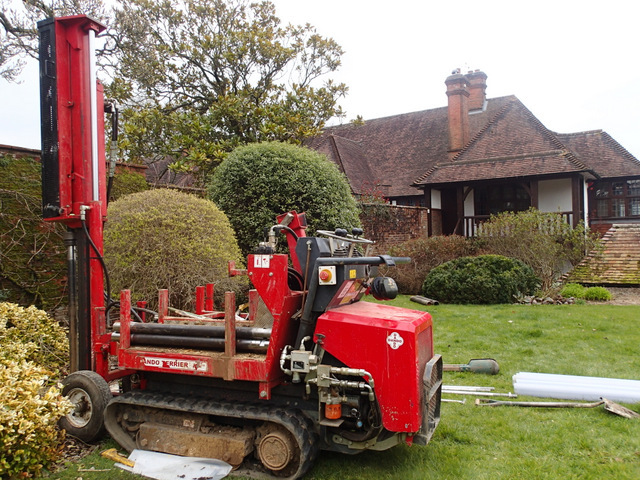 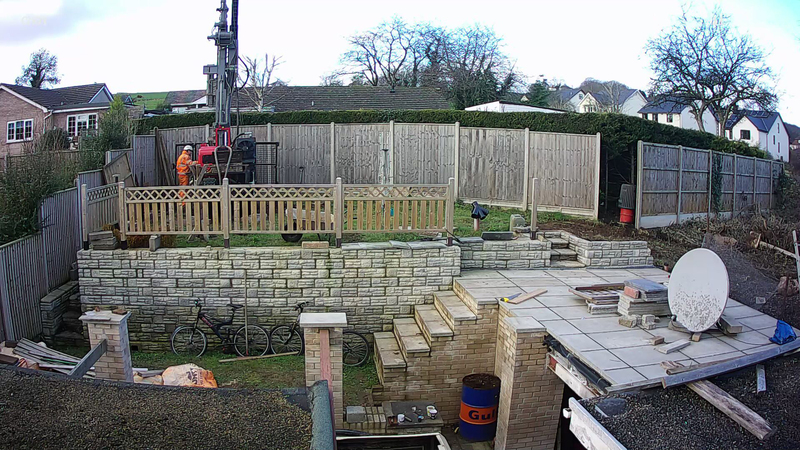 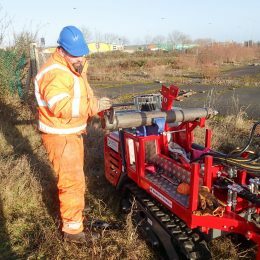 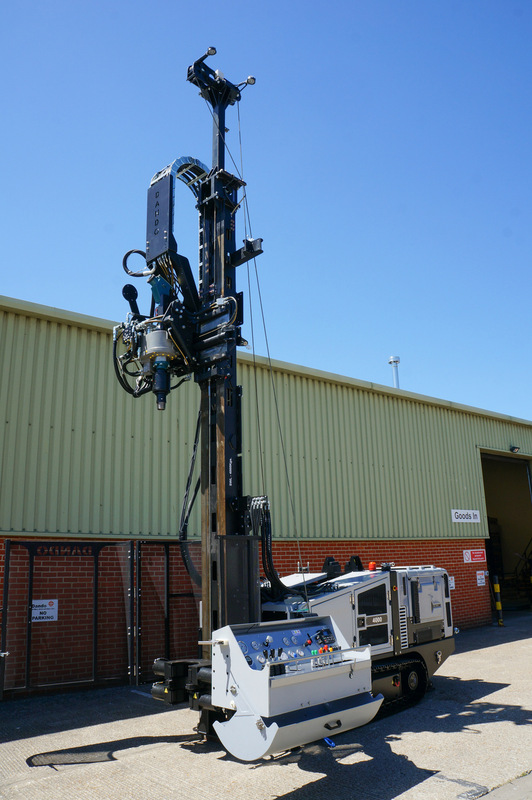 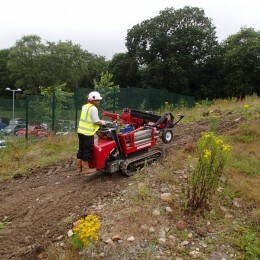 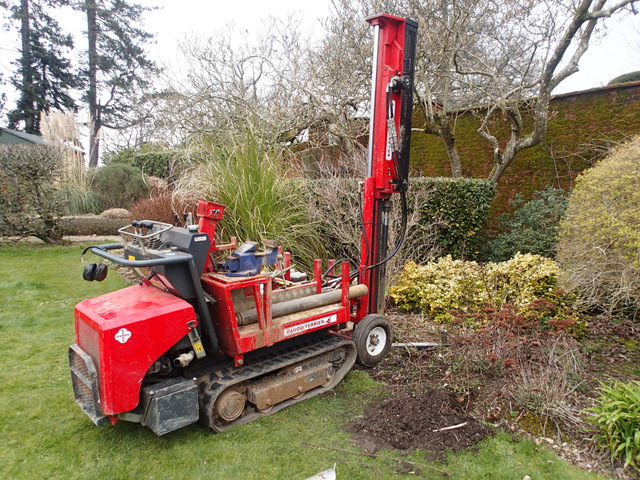 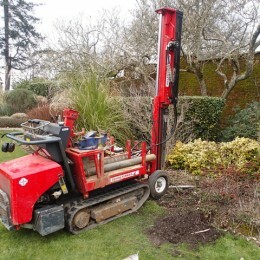 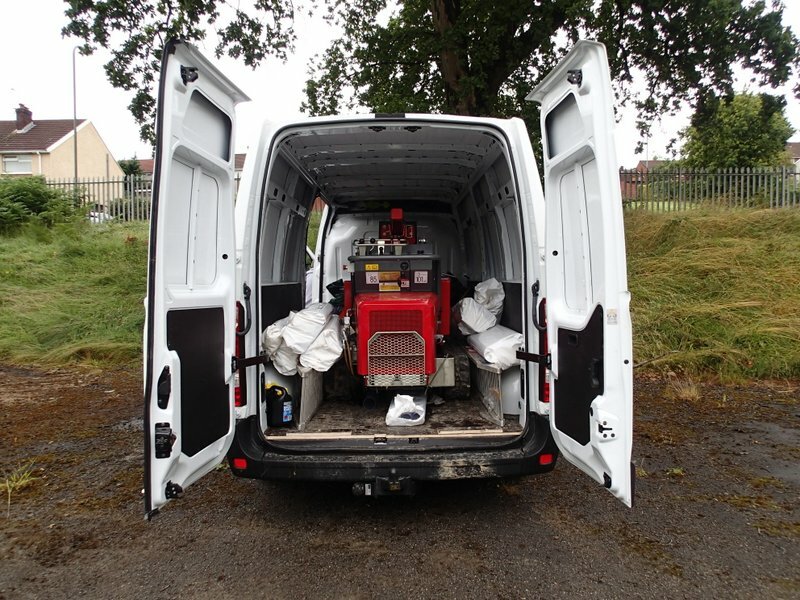 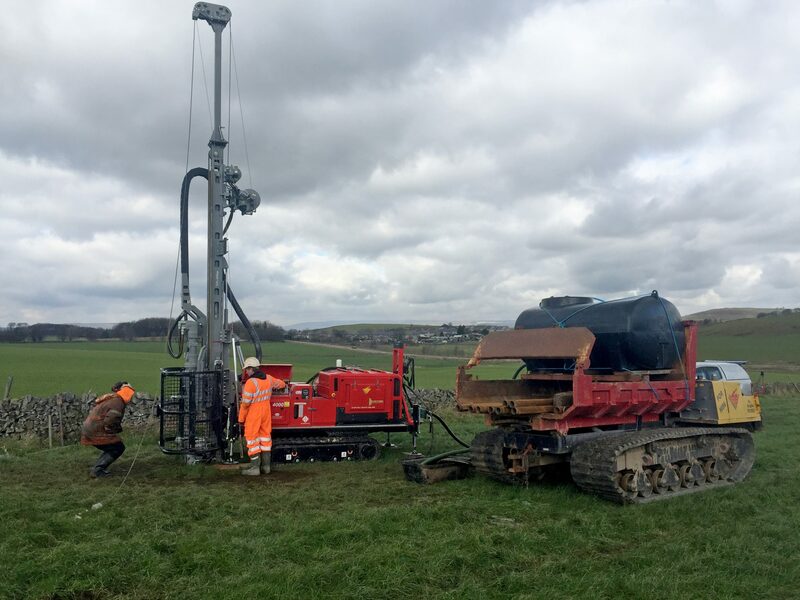 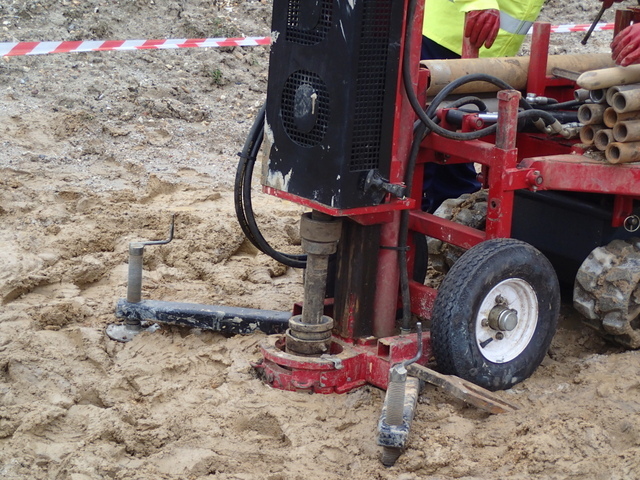 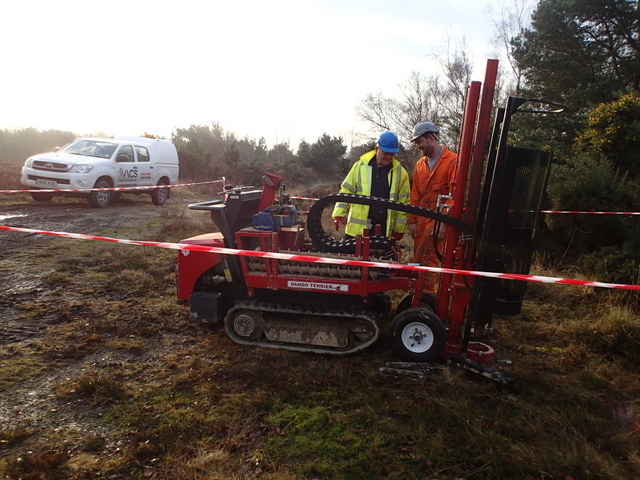 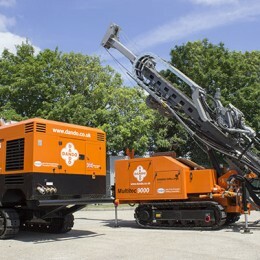 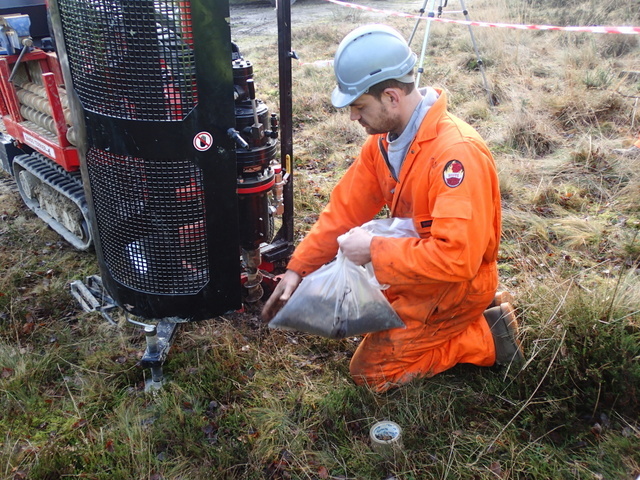 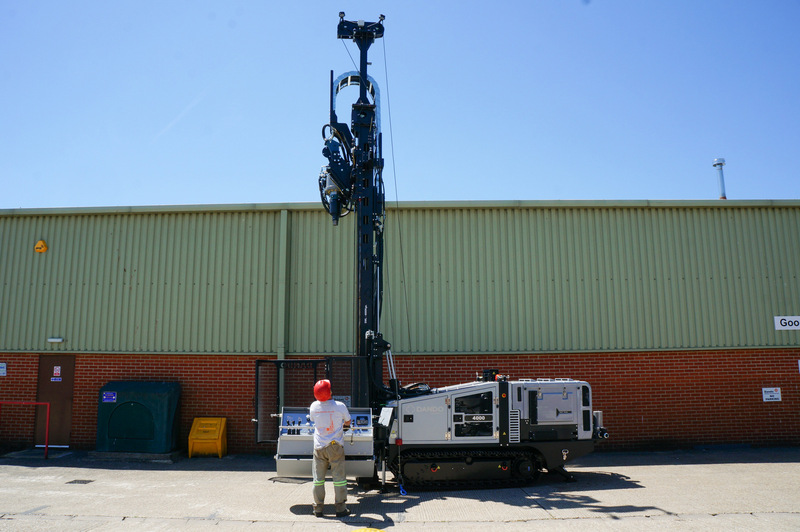 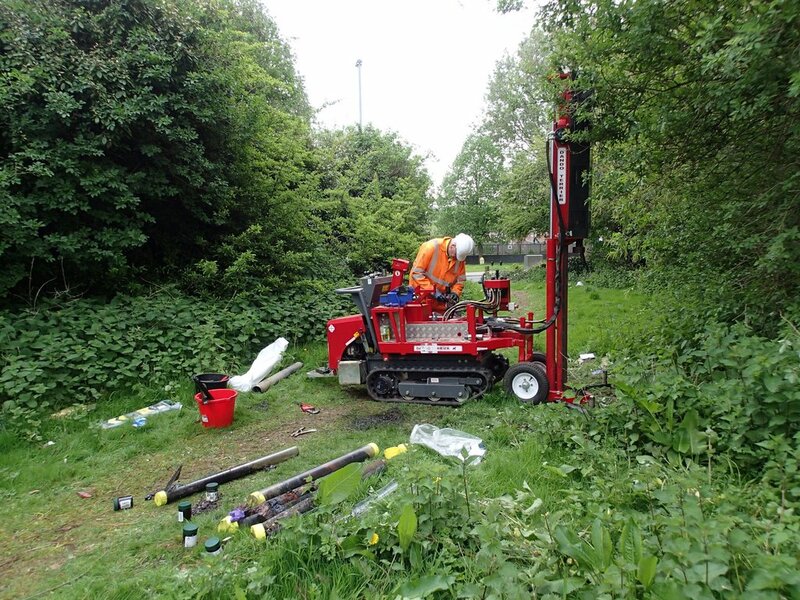 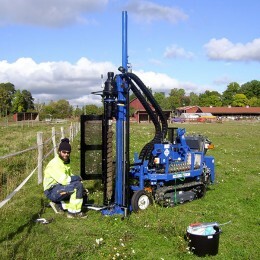 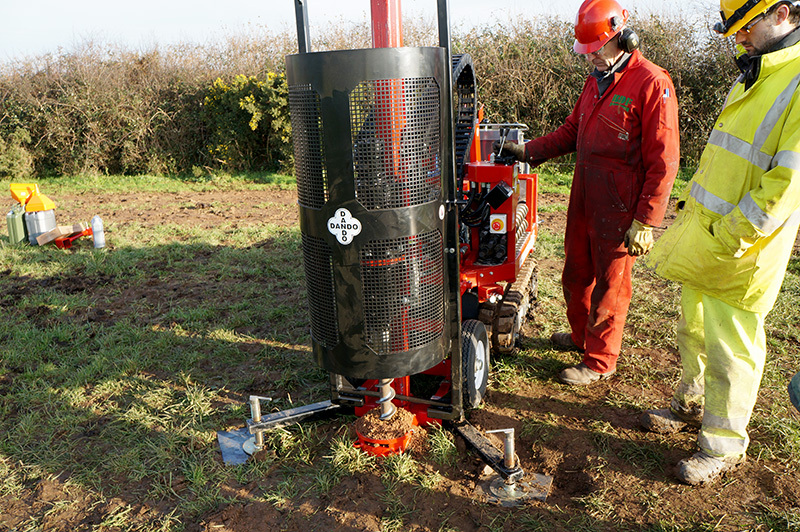 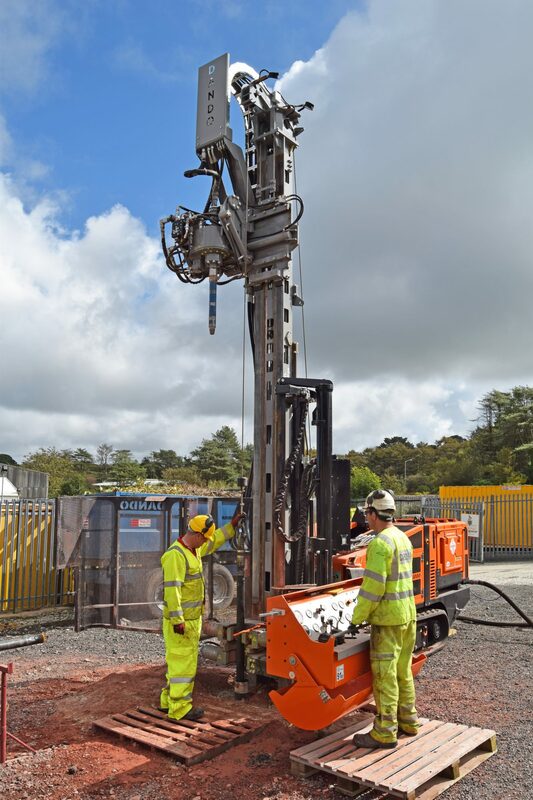 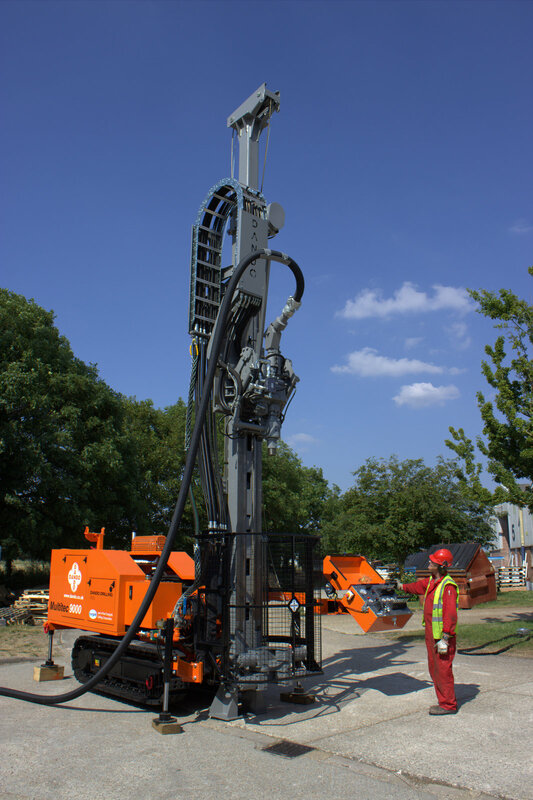 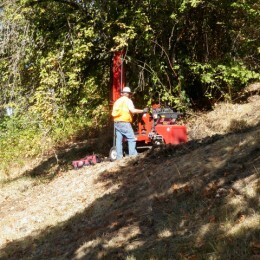 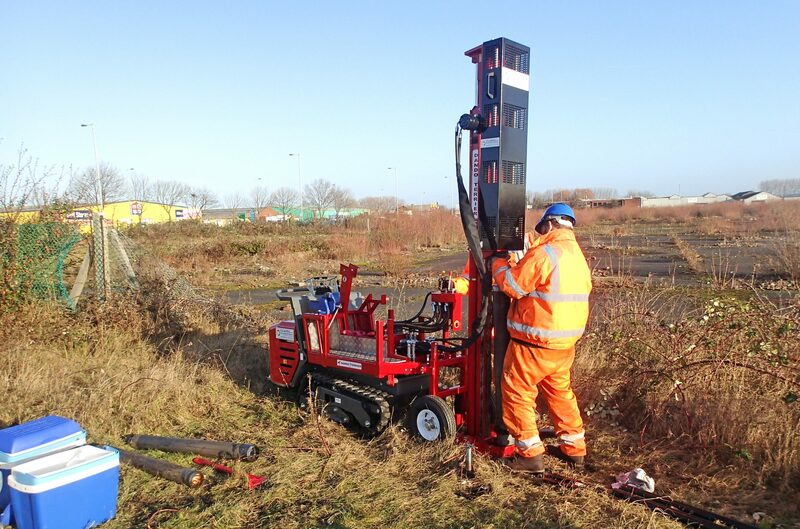 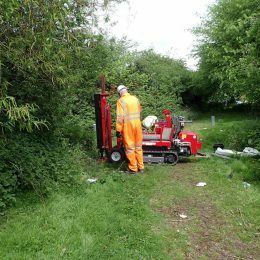 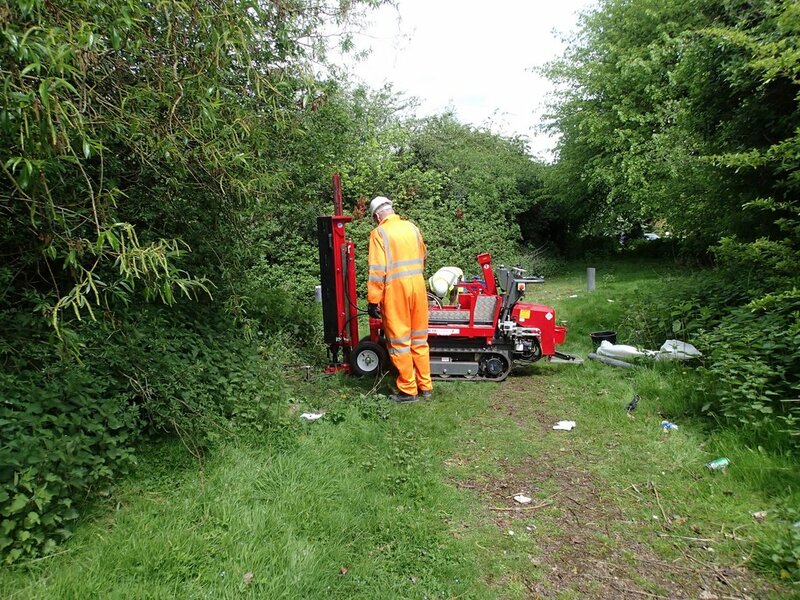 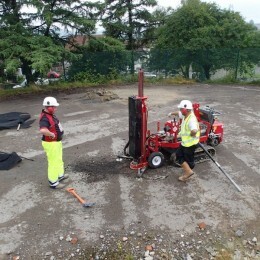 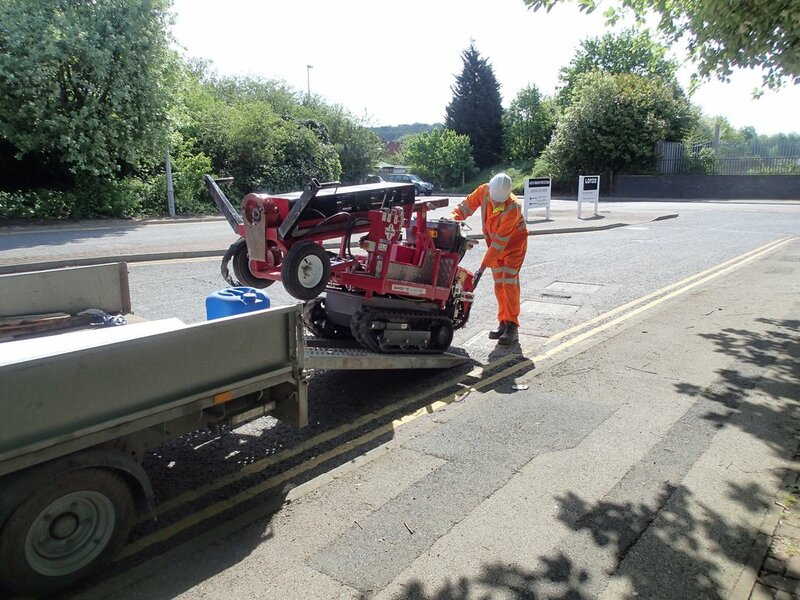 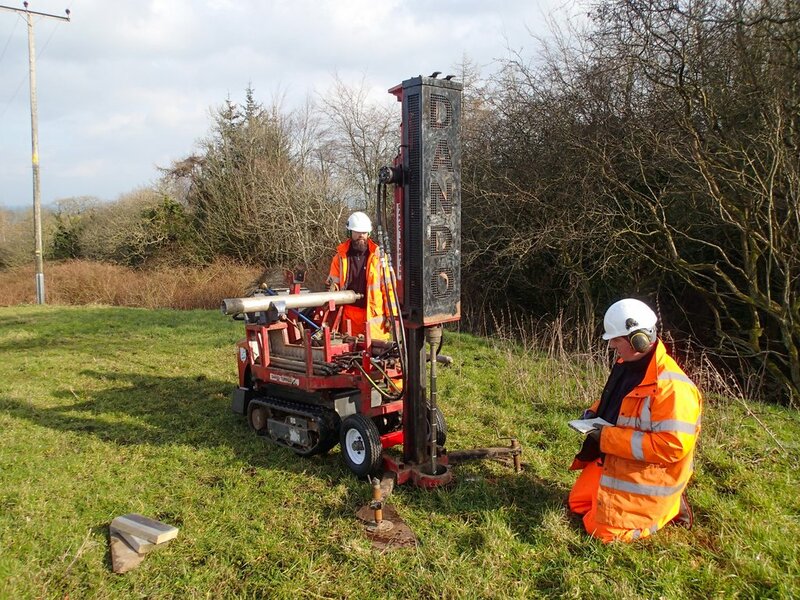 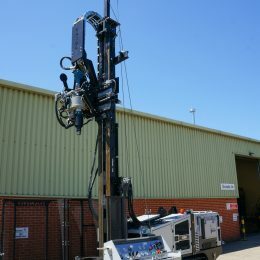 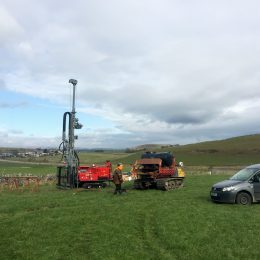 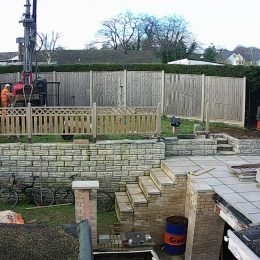 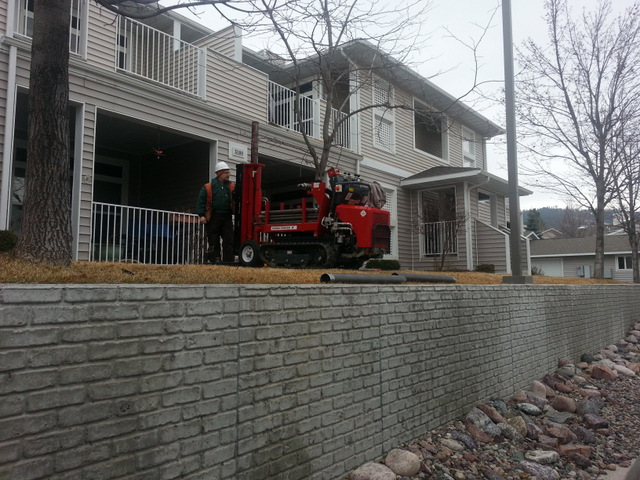 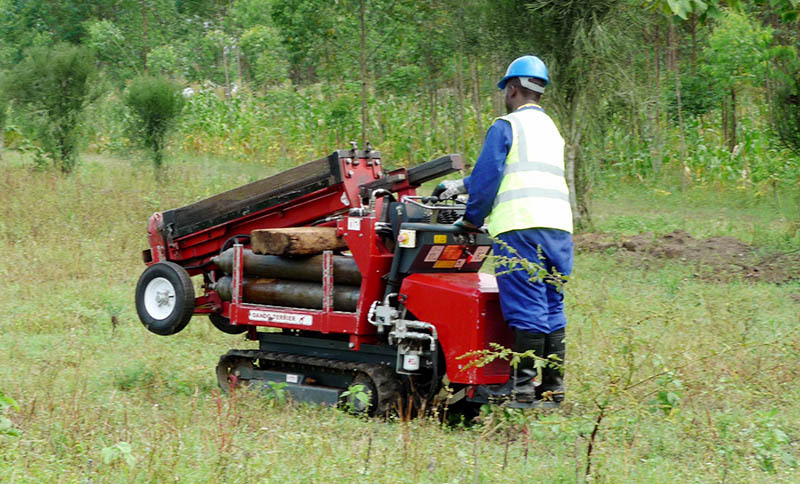 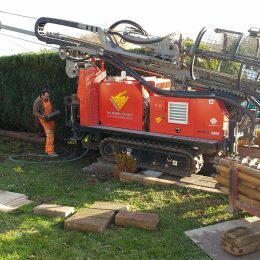 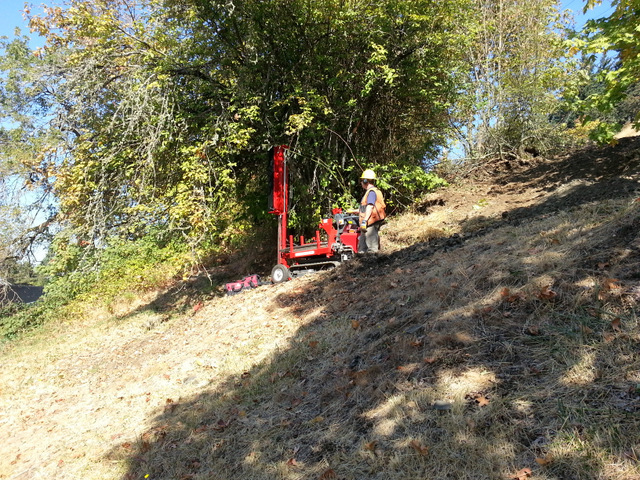 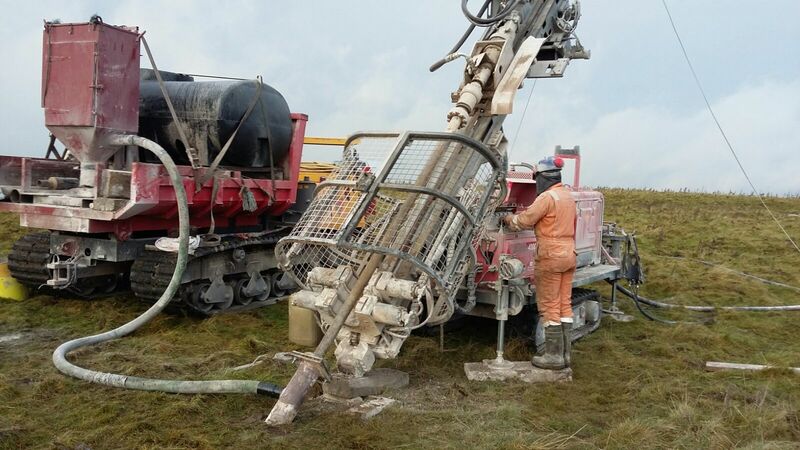 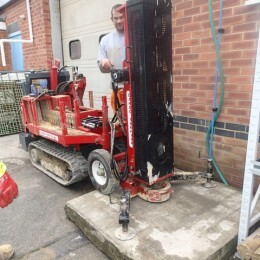 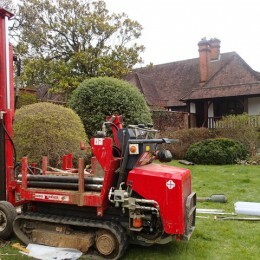 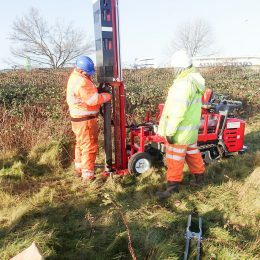 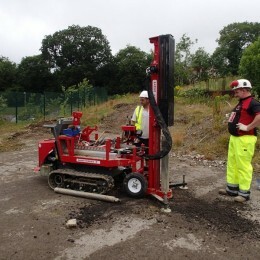 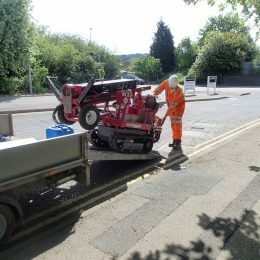 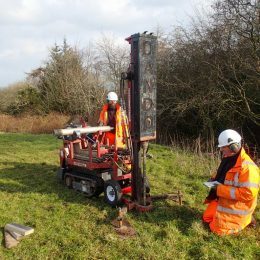 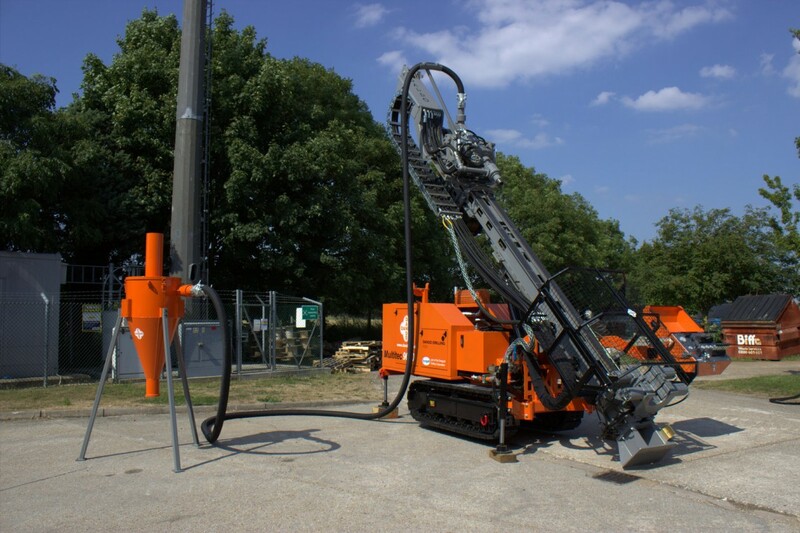 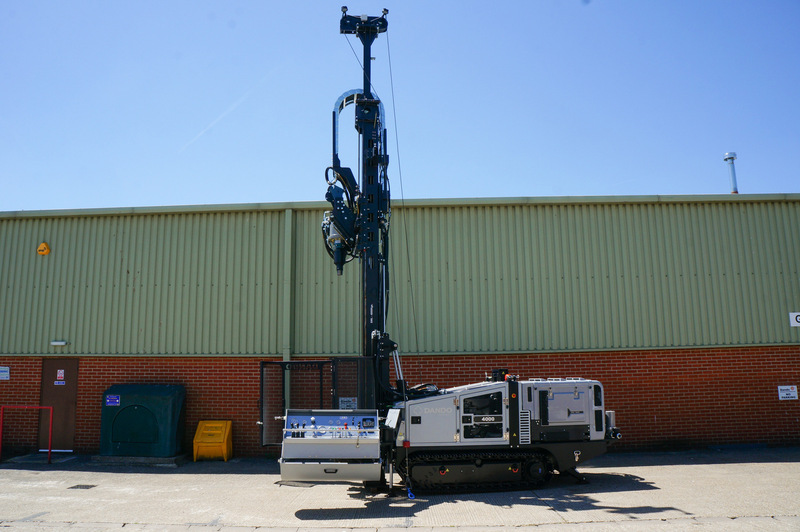 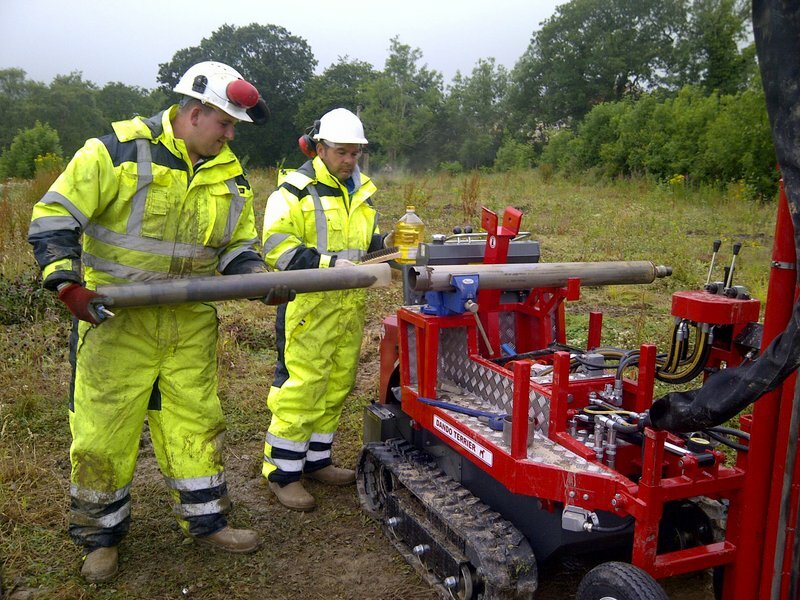 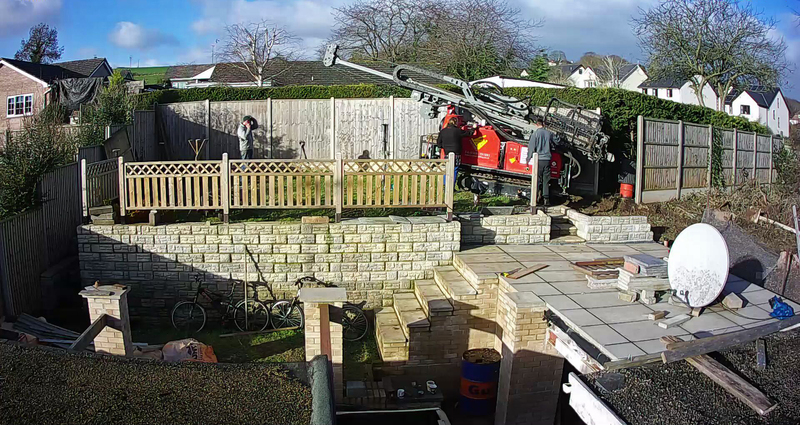 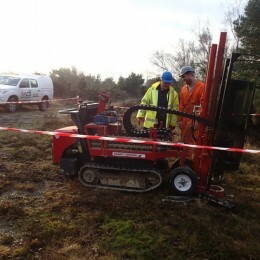 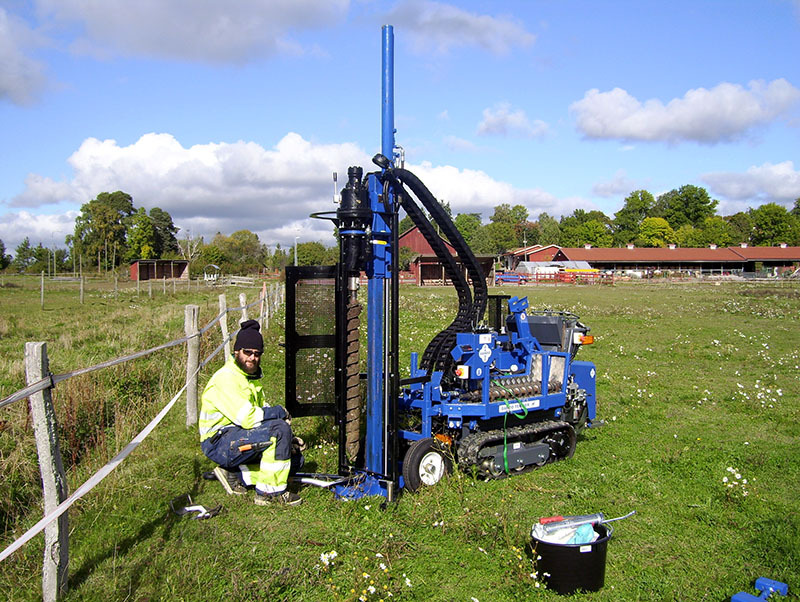 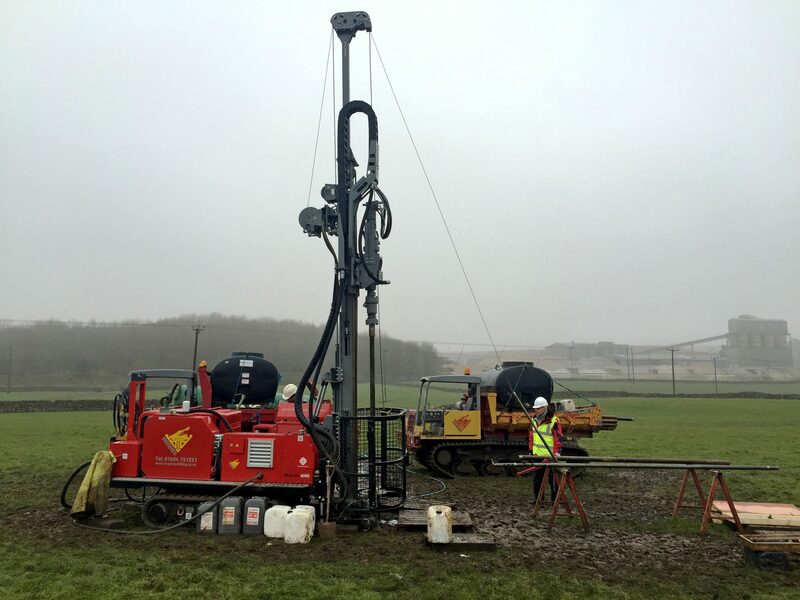 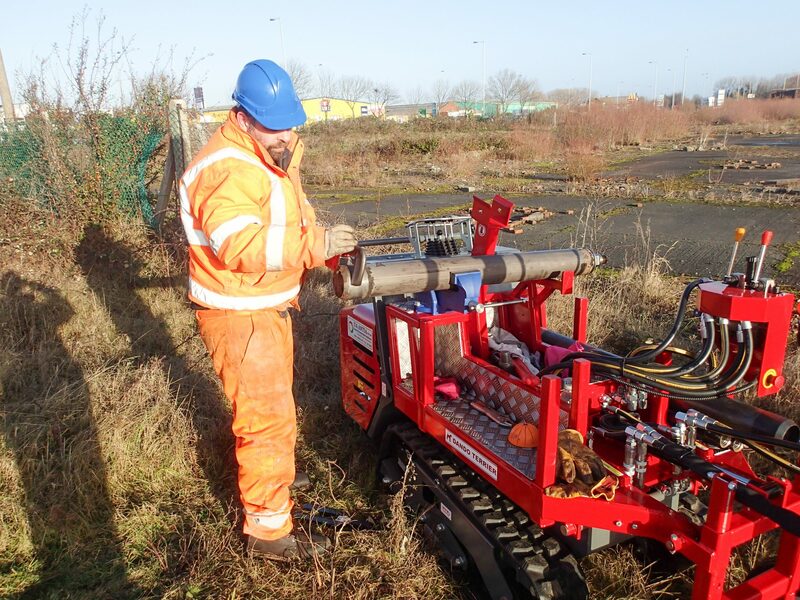 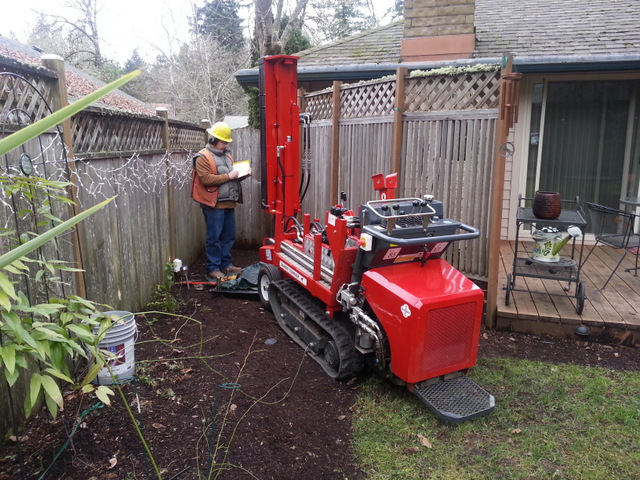 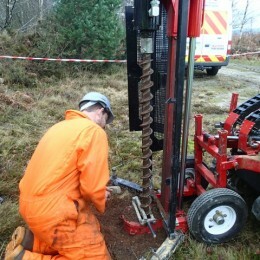 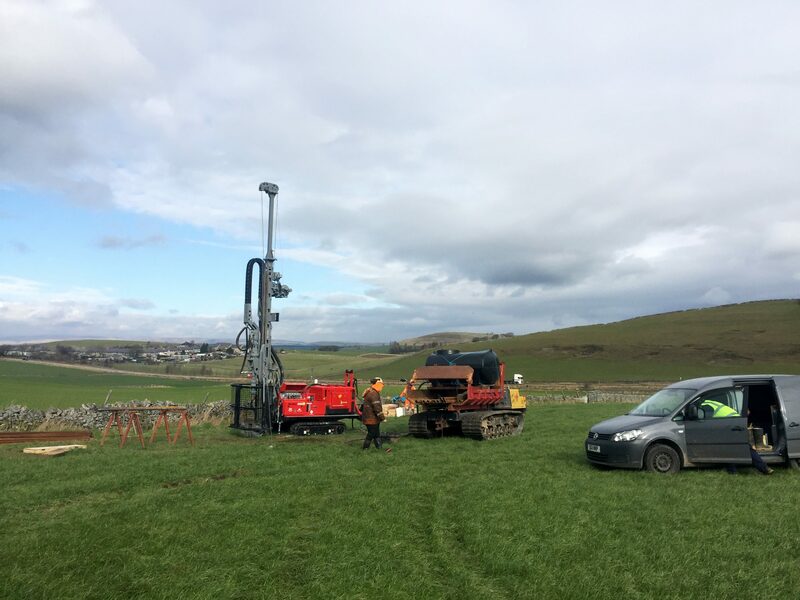 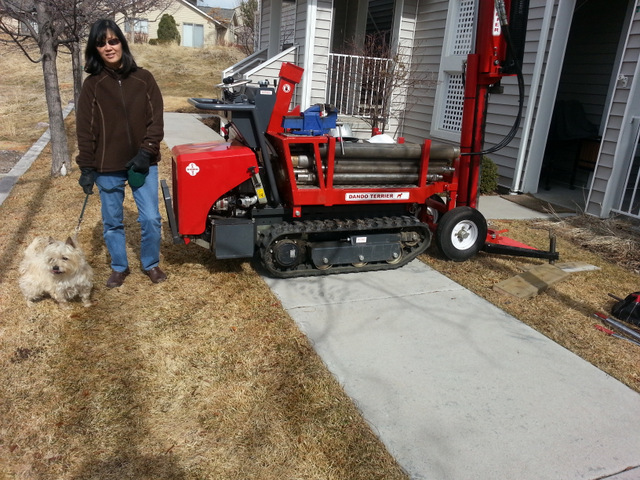 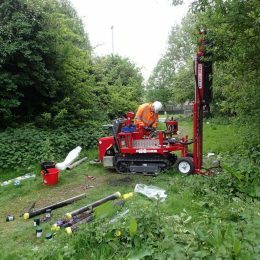 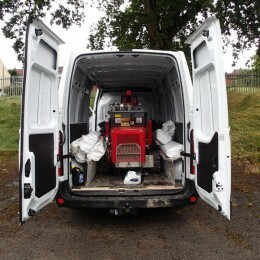 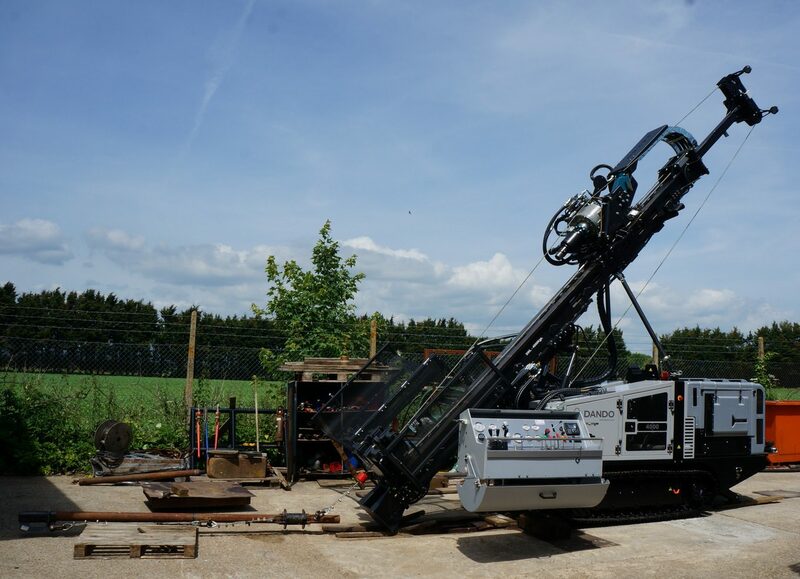 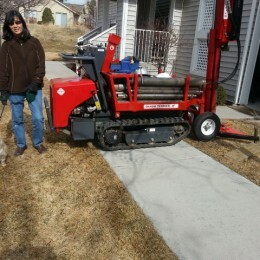 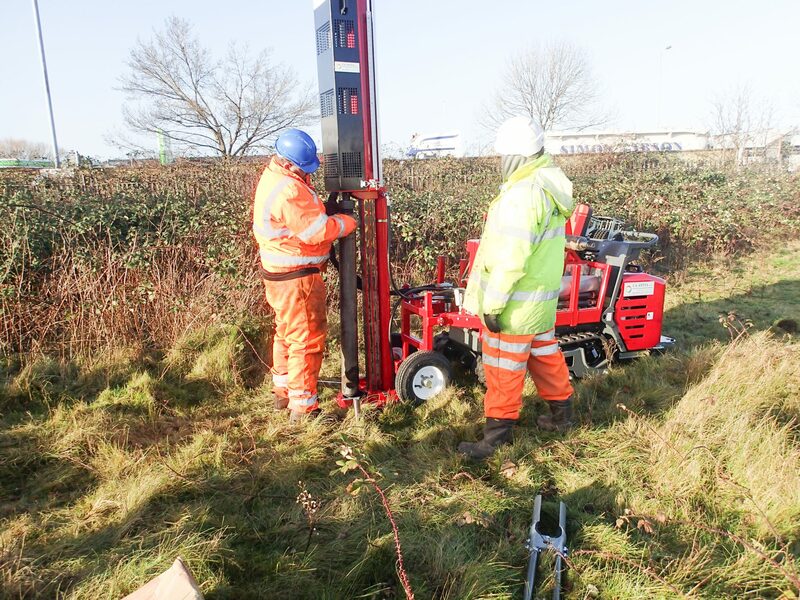 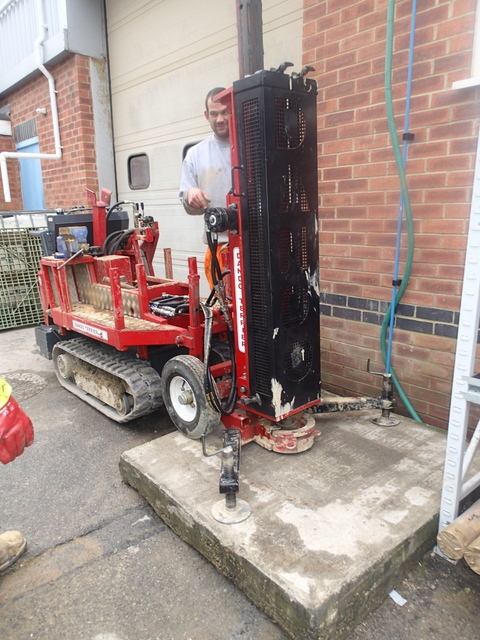 Duplex drilling and windowless sampling with a UK customer’s Dando Terrier for contaminated land assessment. 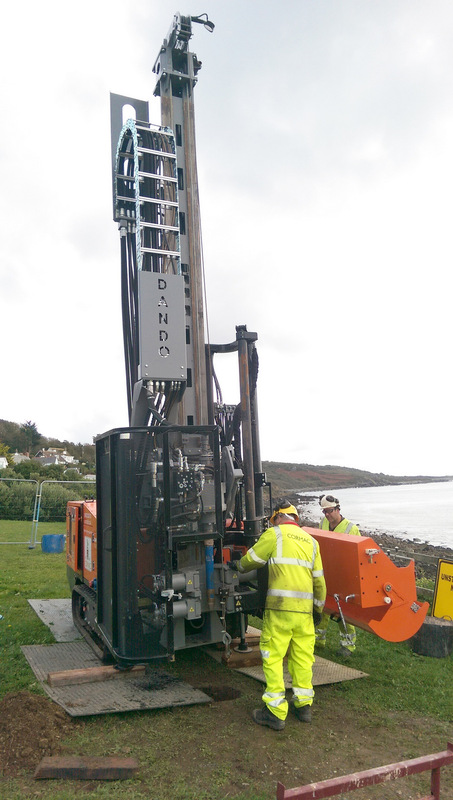 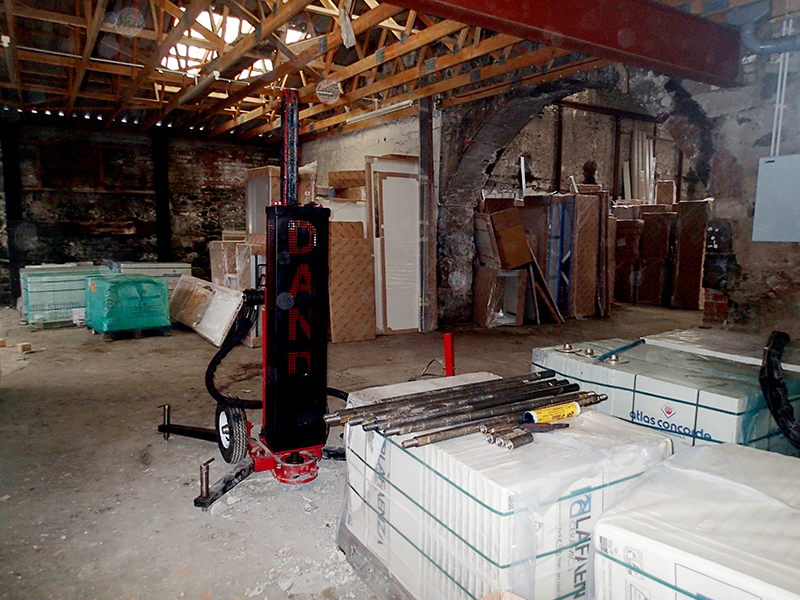 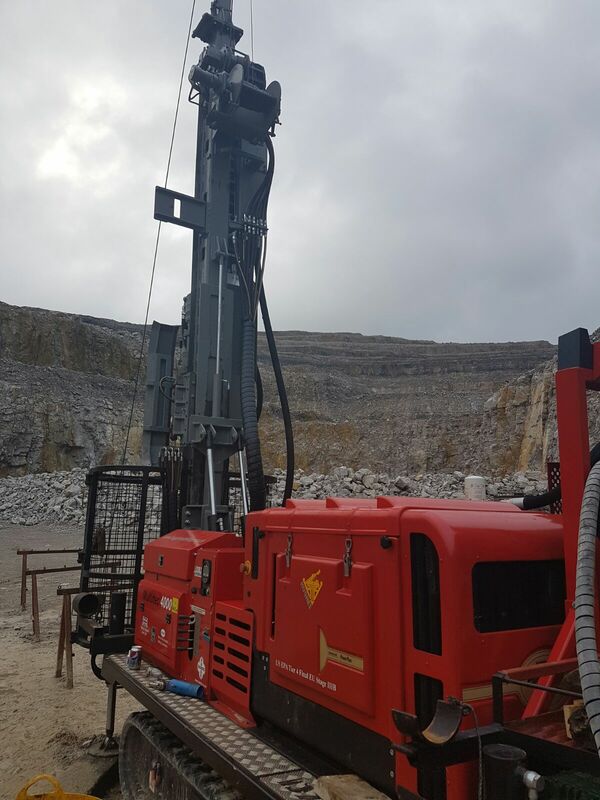 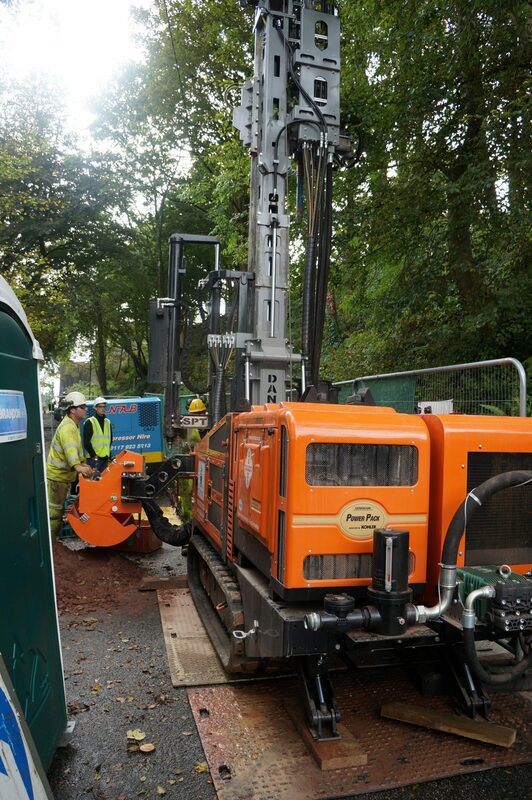 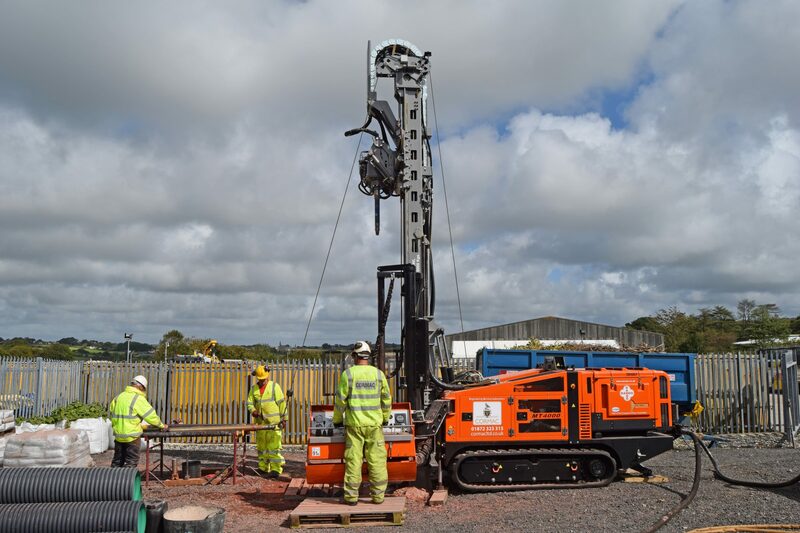 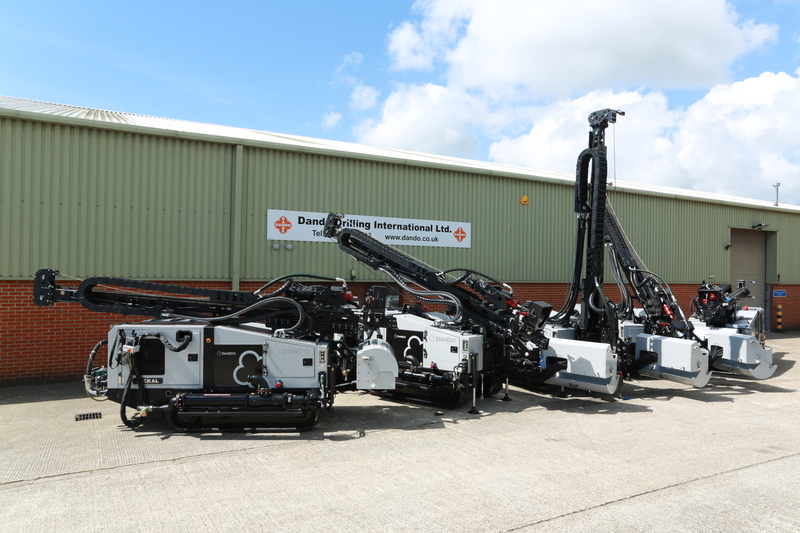 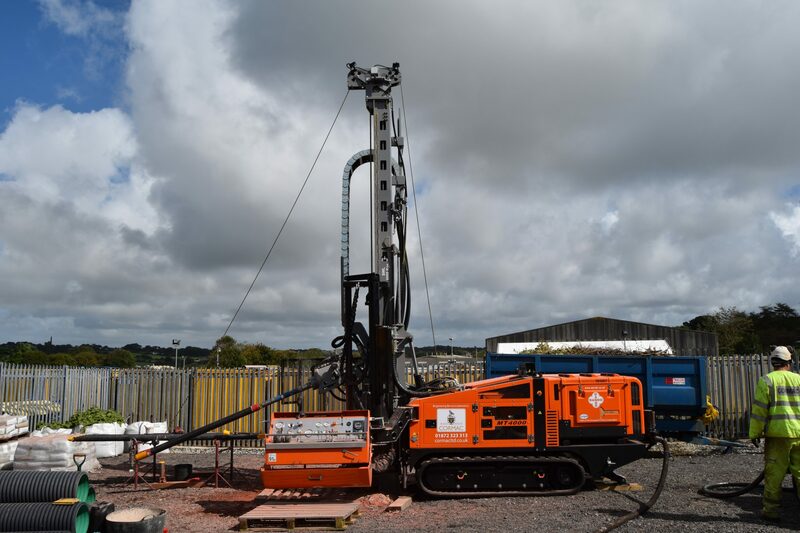 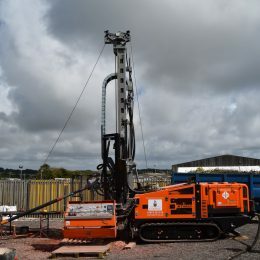 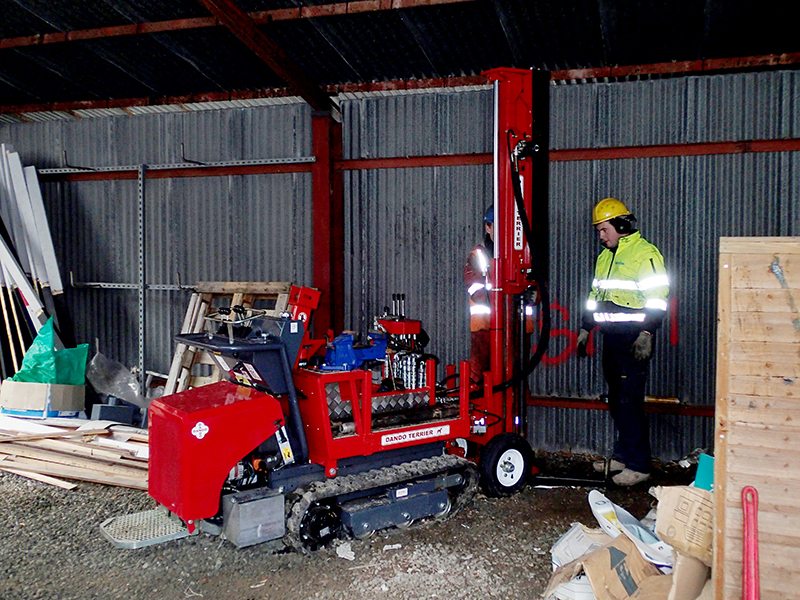 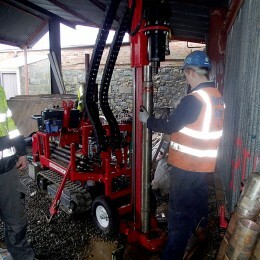 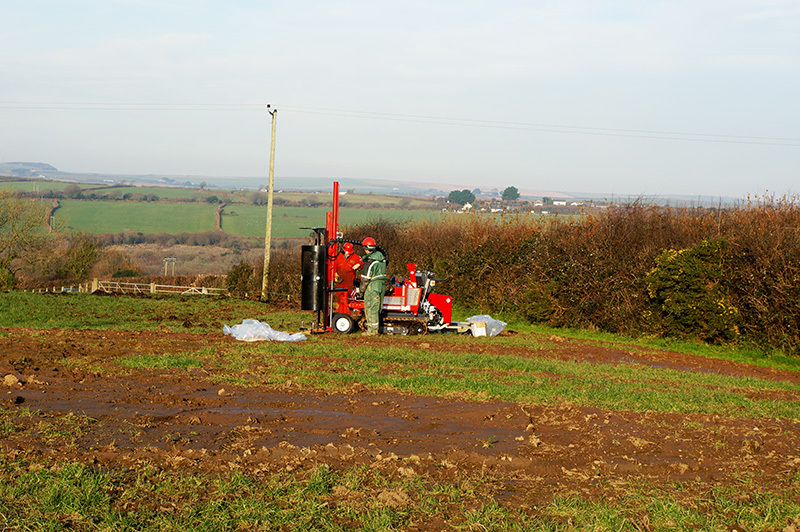 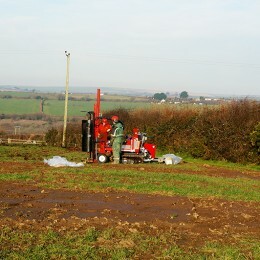 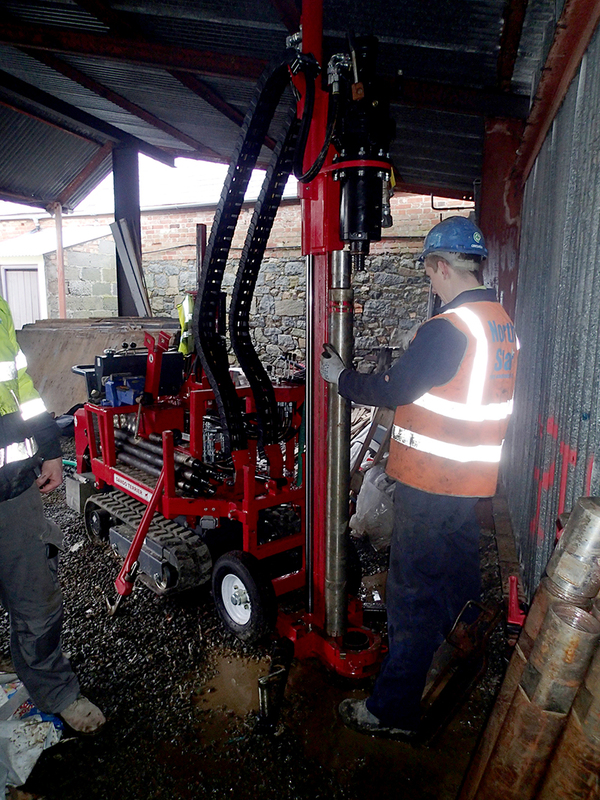 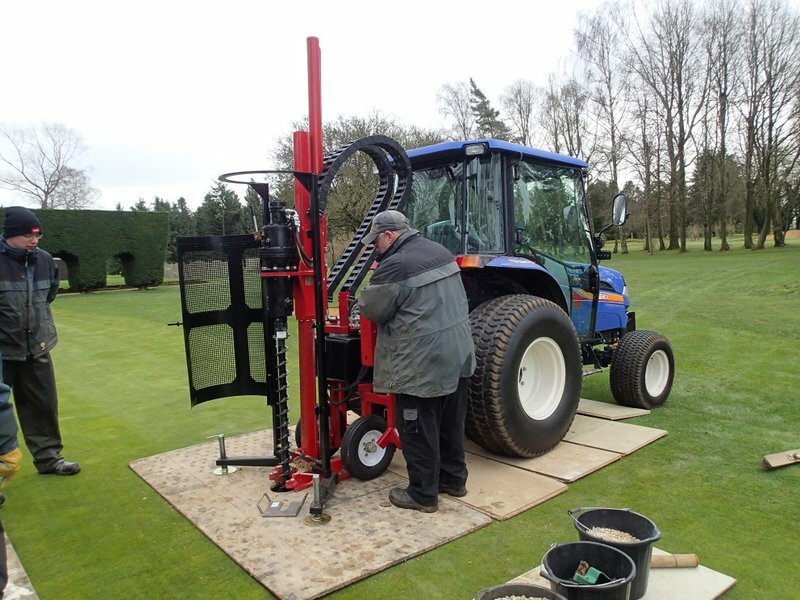 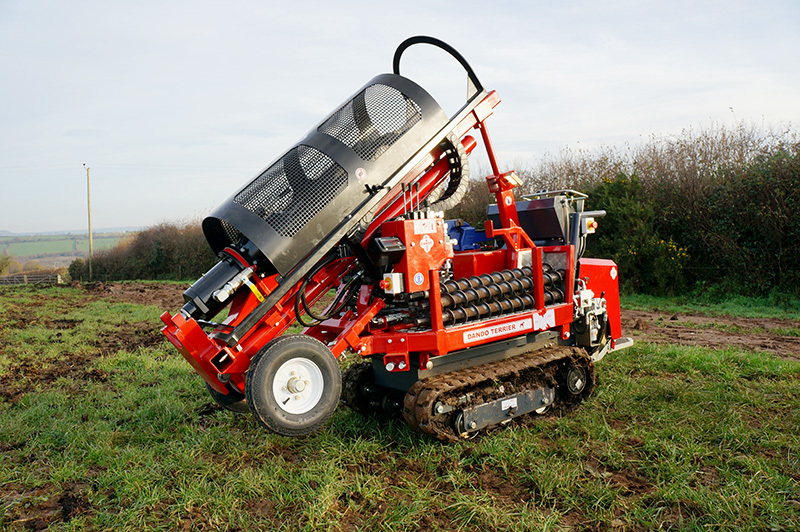 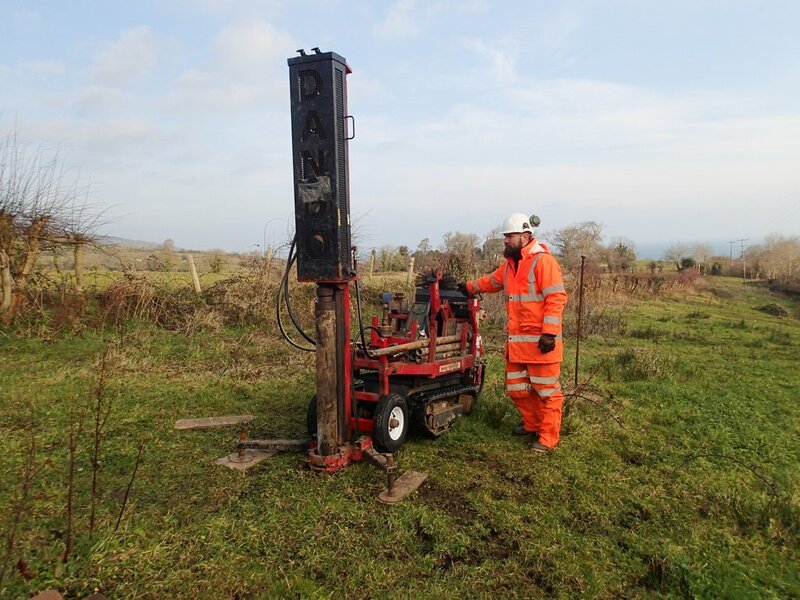 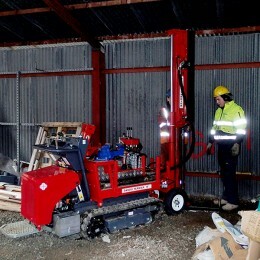 Duplex drilling, CPT and dynamic probing with the Dando Terrier during a customer visit in Northern Ireland. 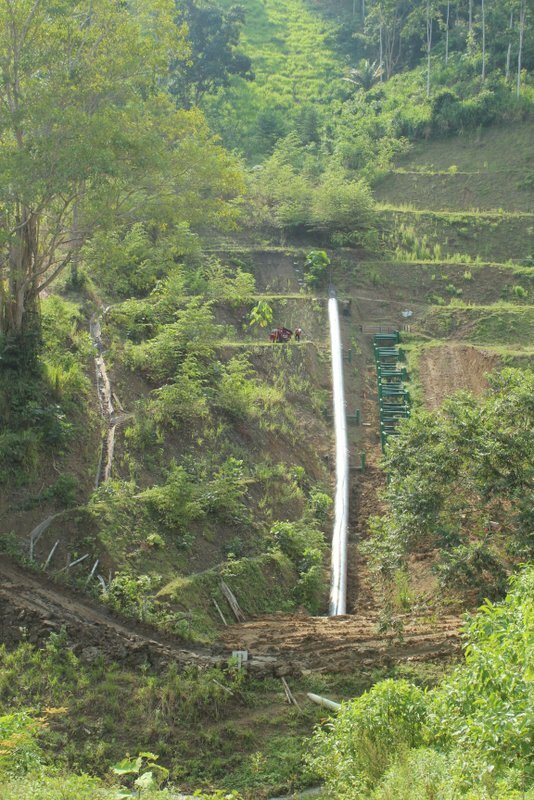 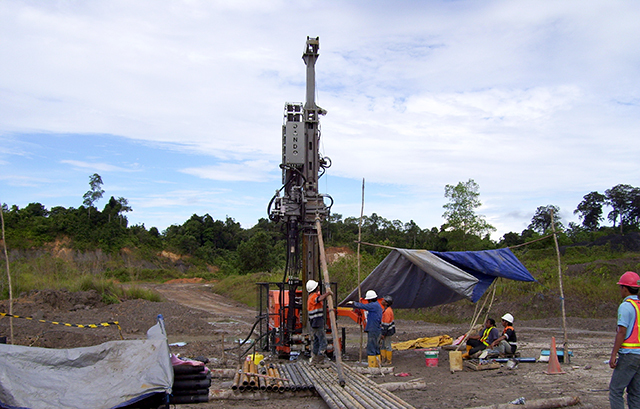 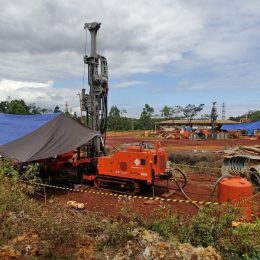 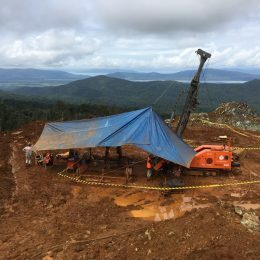 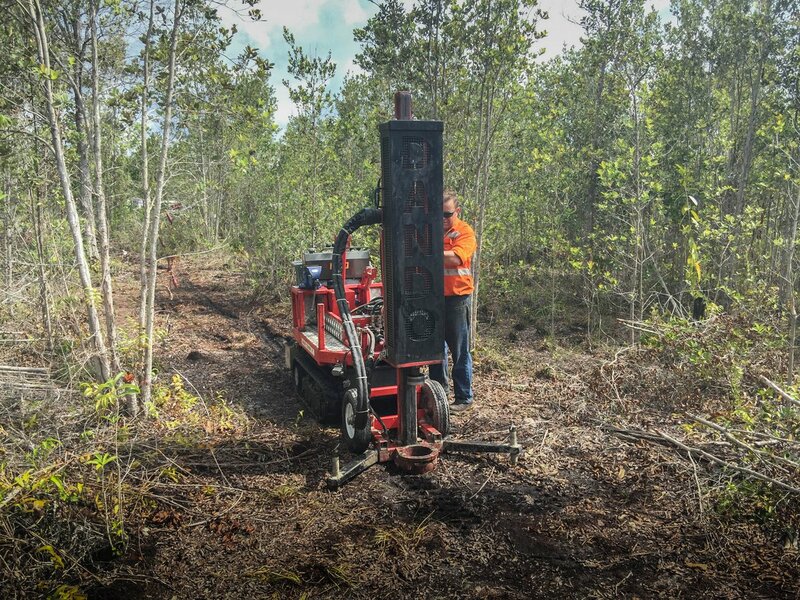 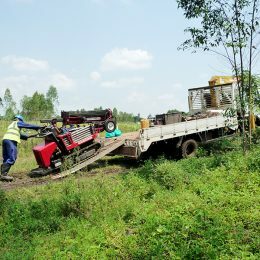 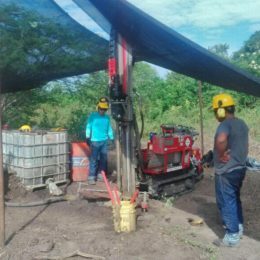 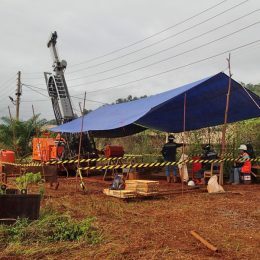 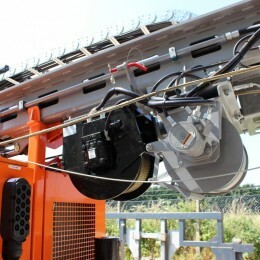 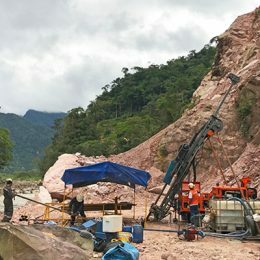 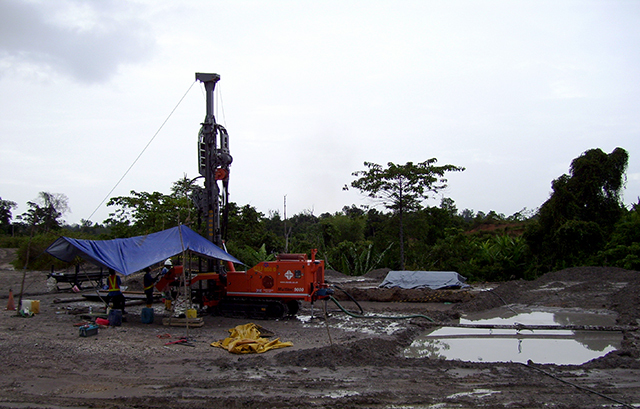 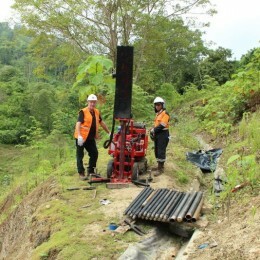 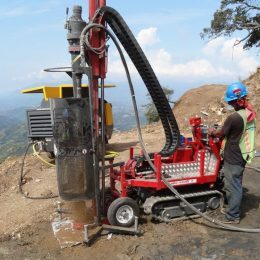 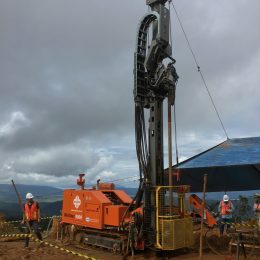 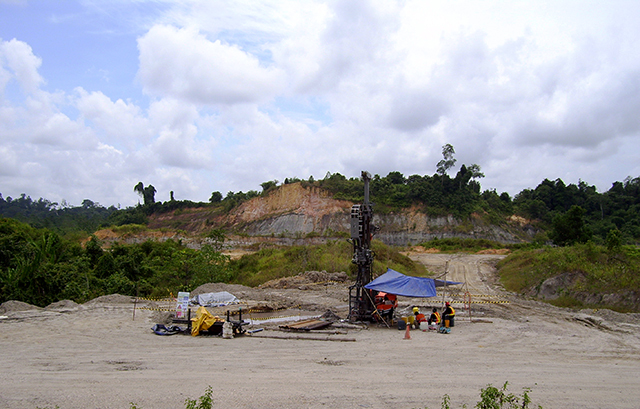 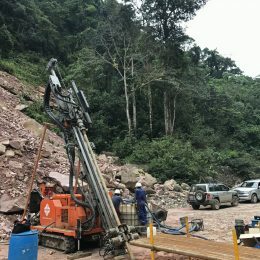 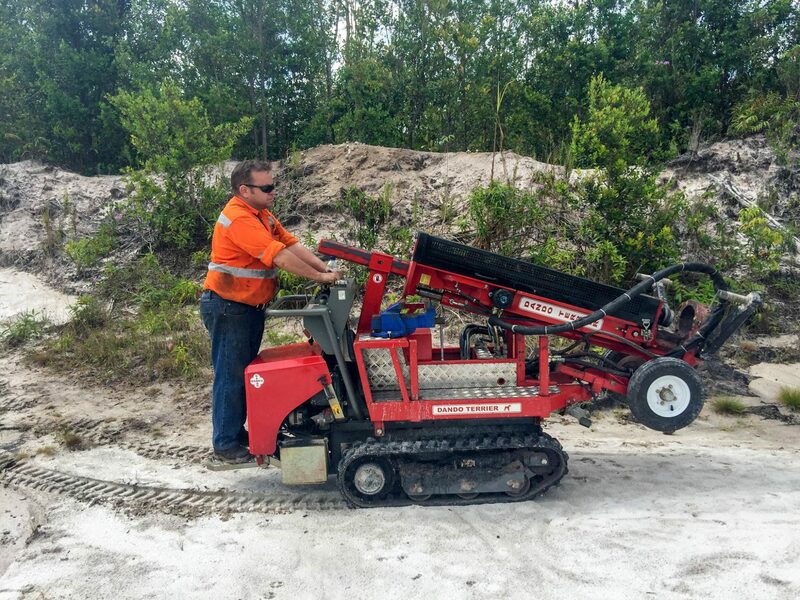 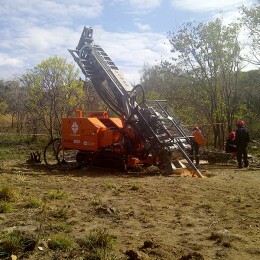 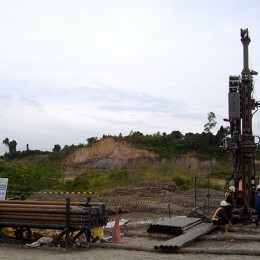 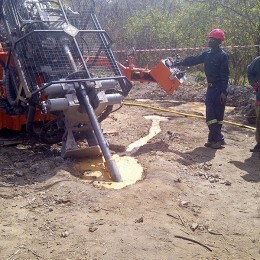 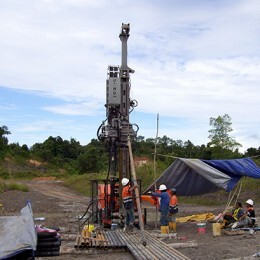 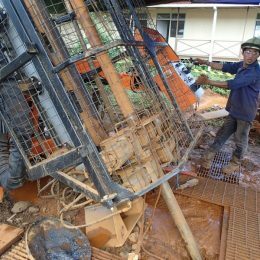 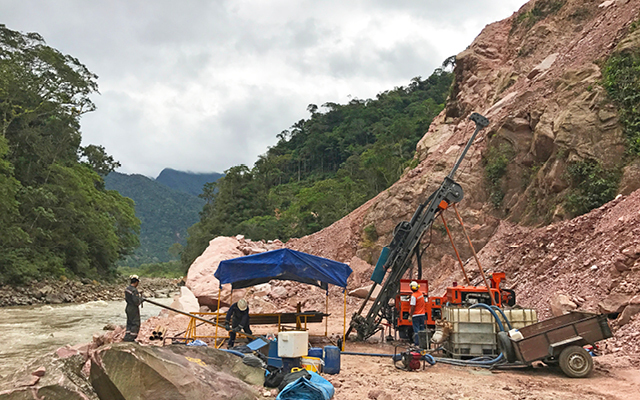 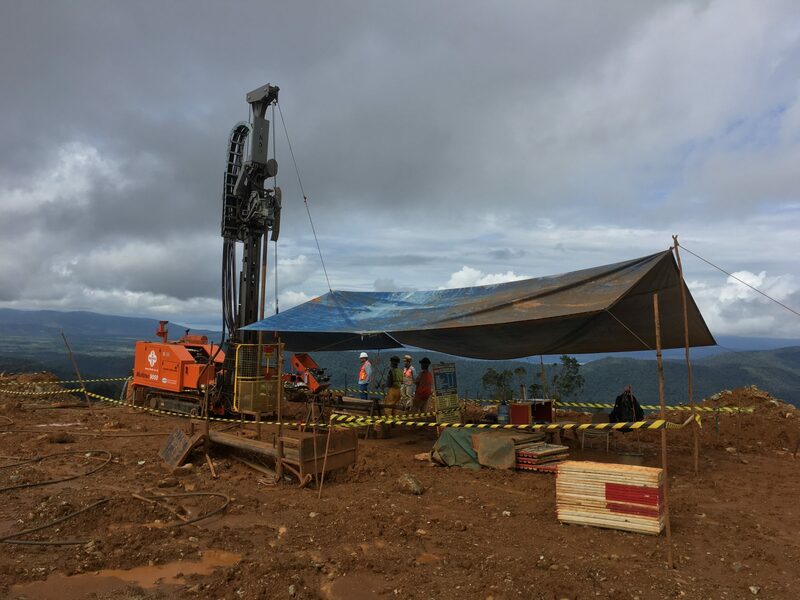 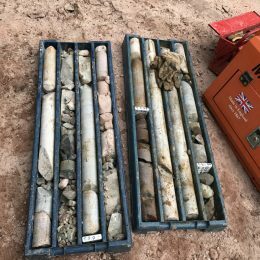 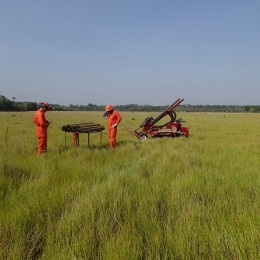 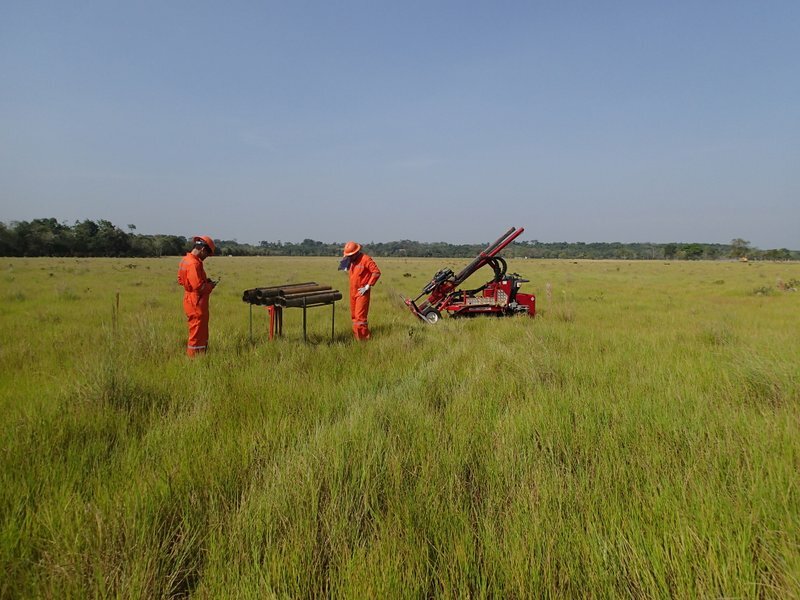 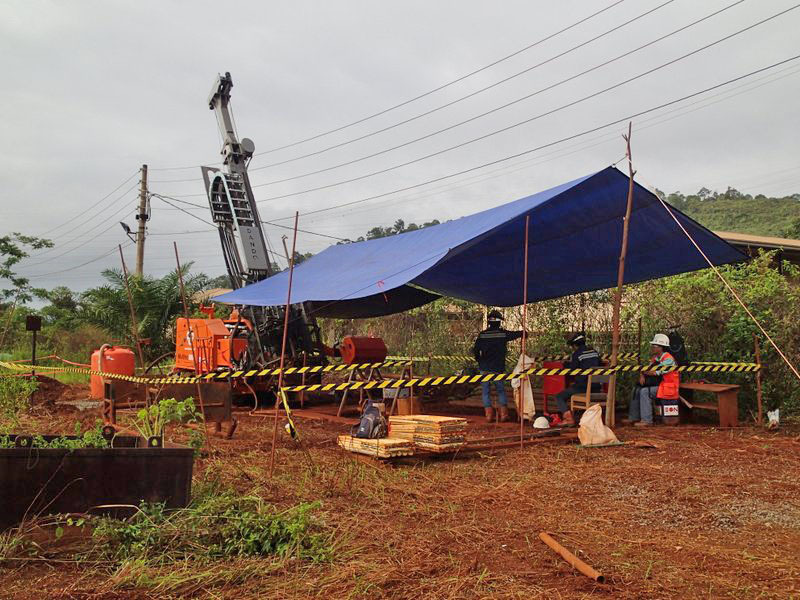 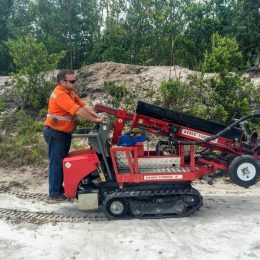 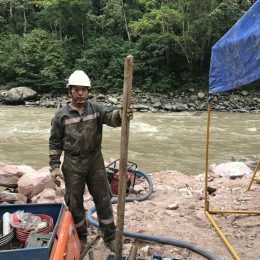 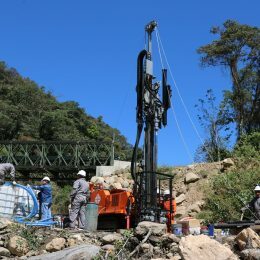 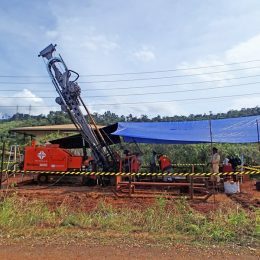 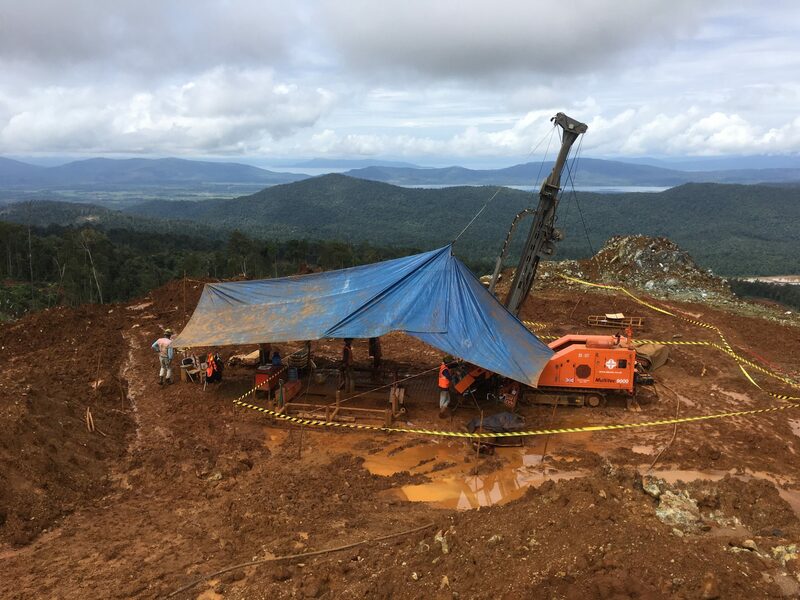 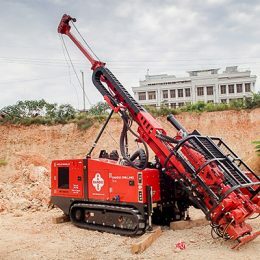 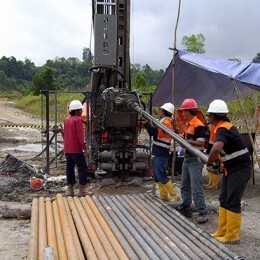 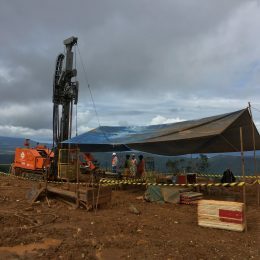 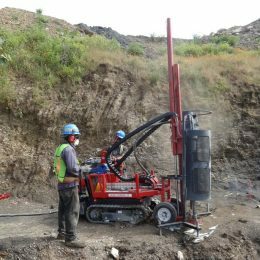 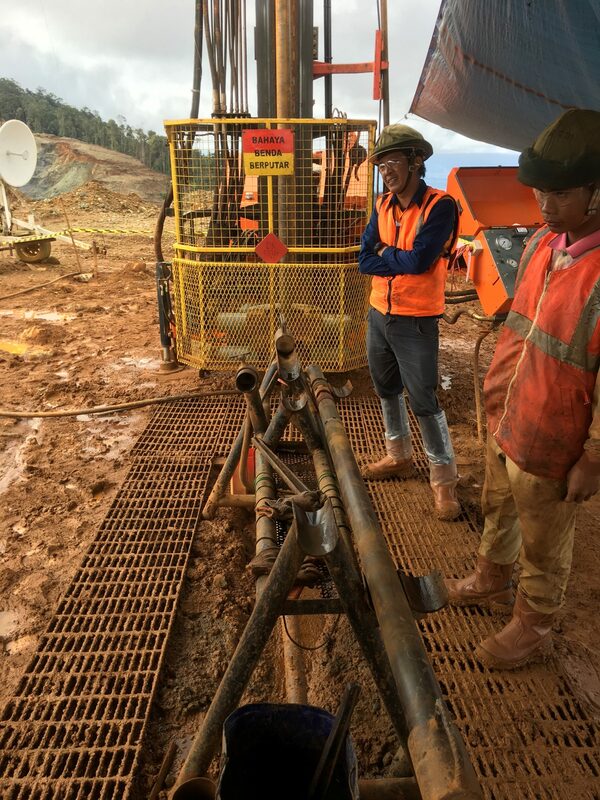 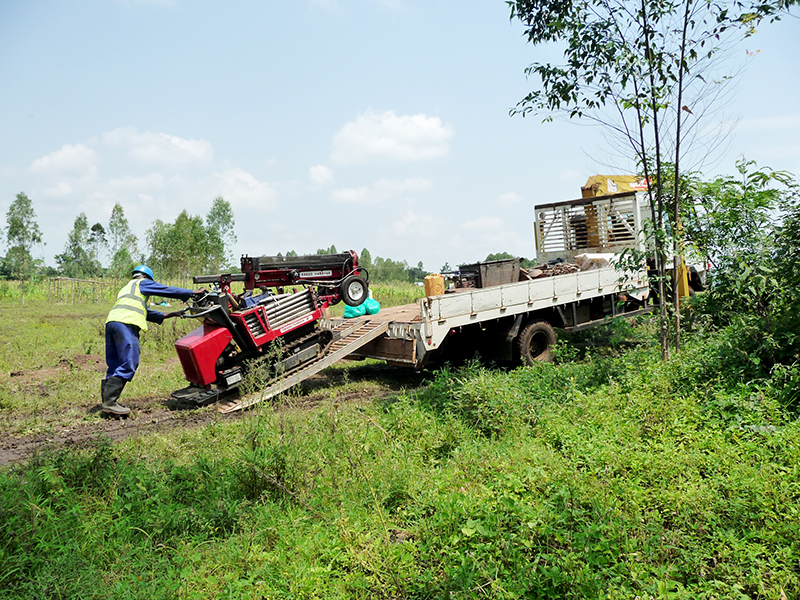 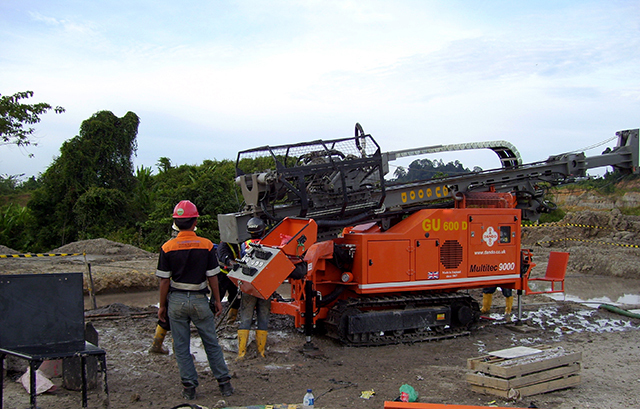 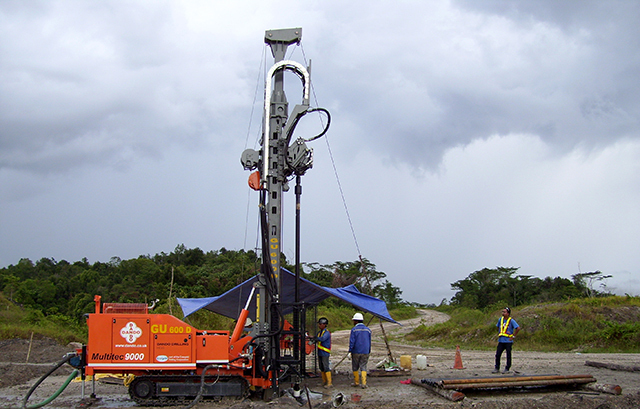 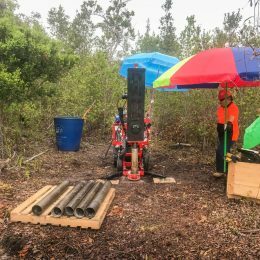 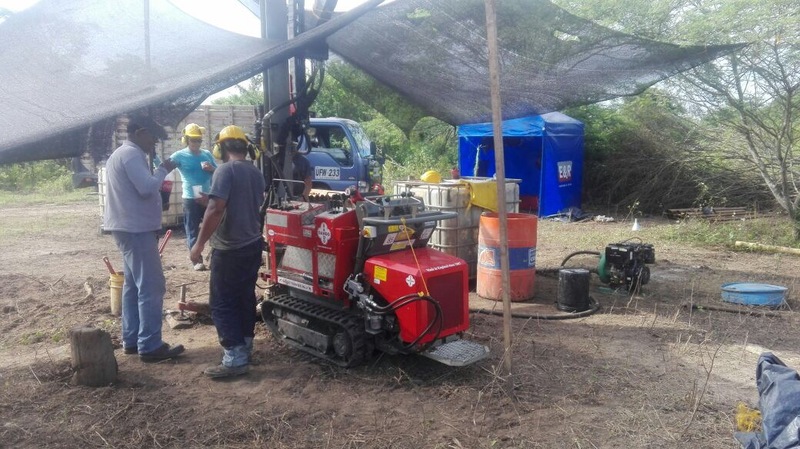 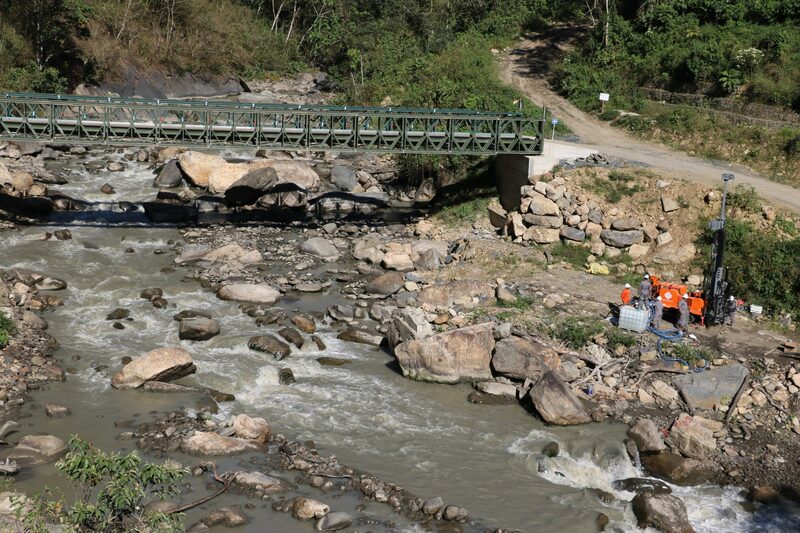 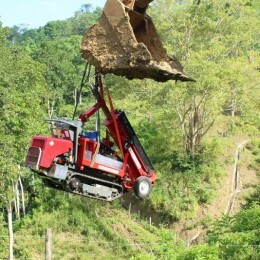 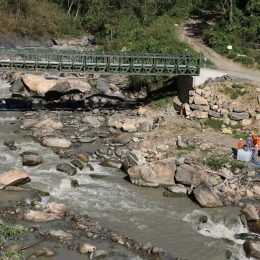 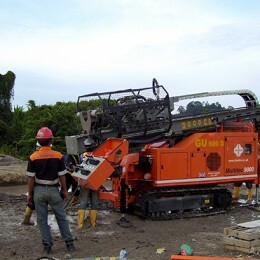 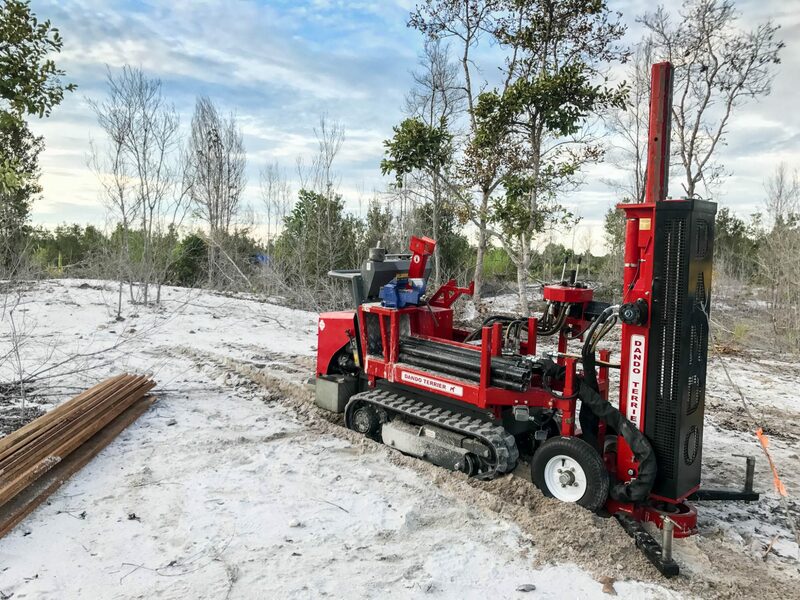 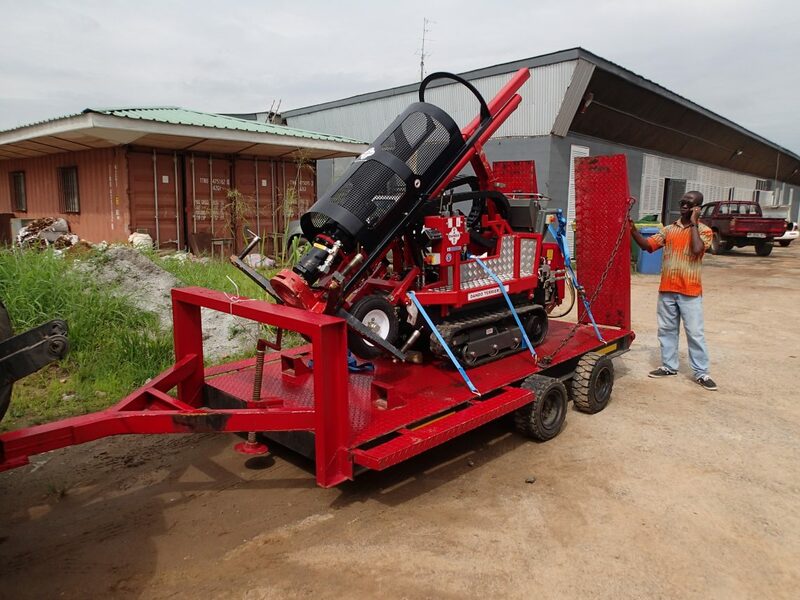 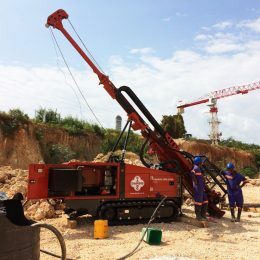 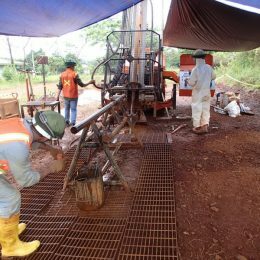 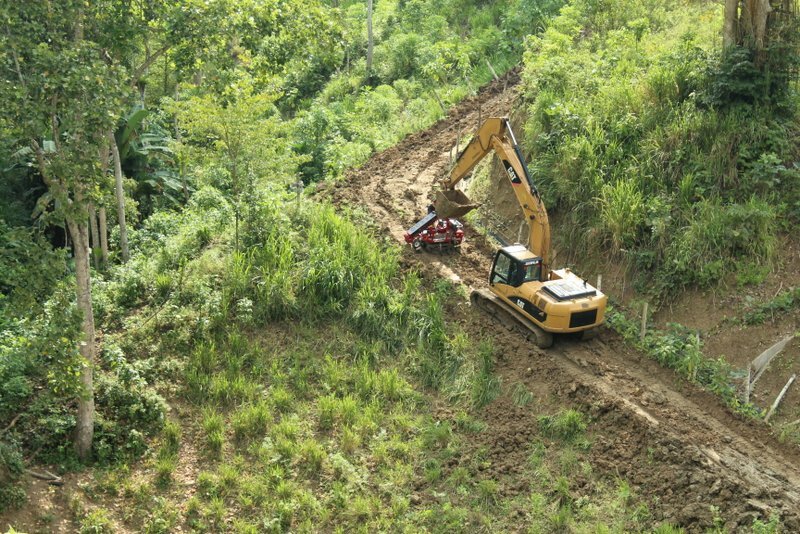 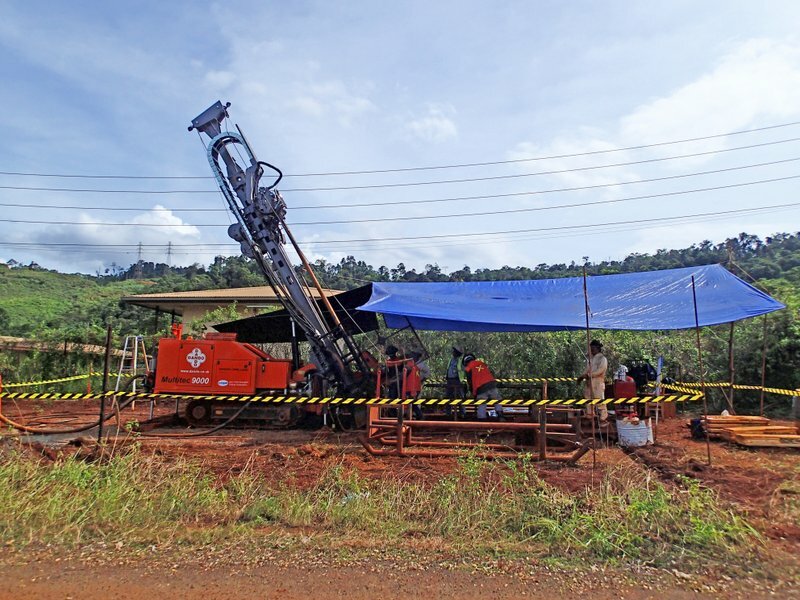 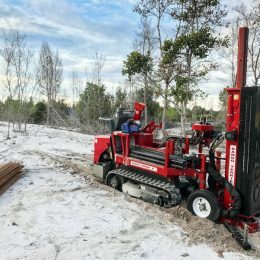 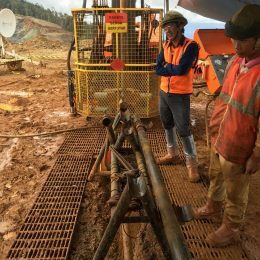 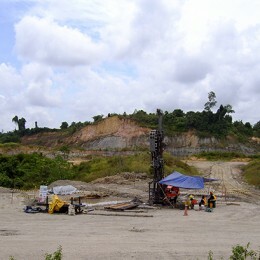 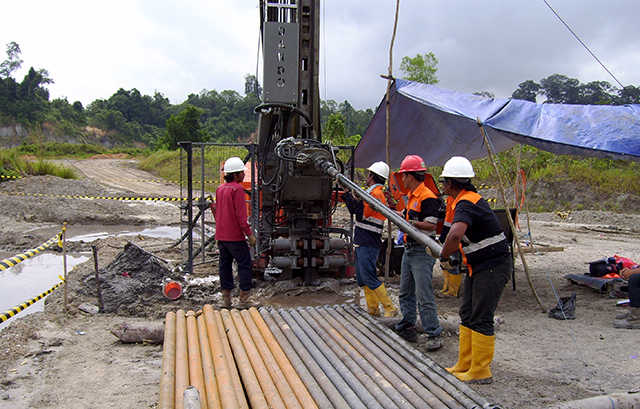 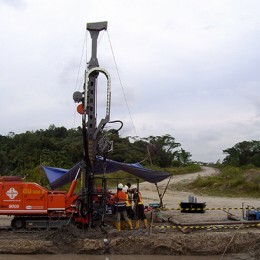 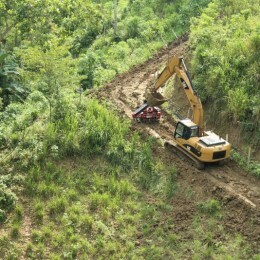 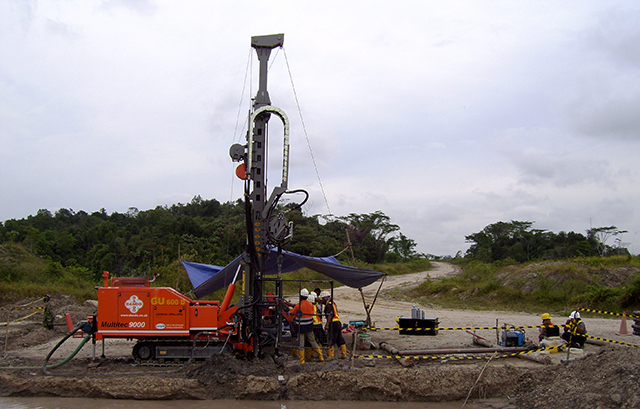 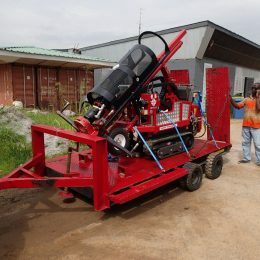 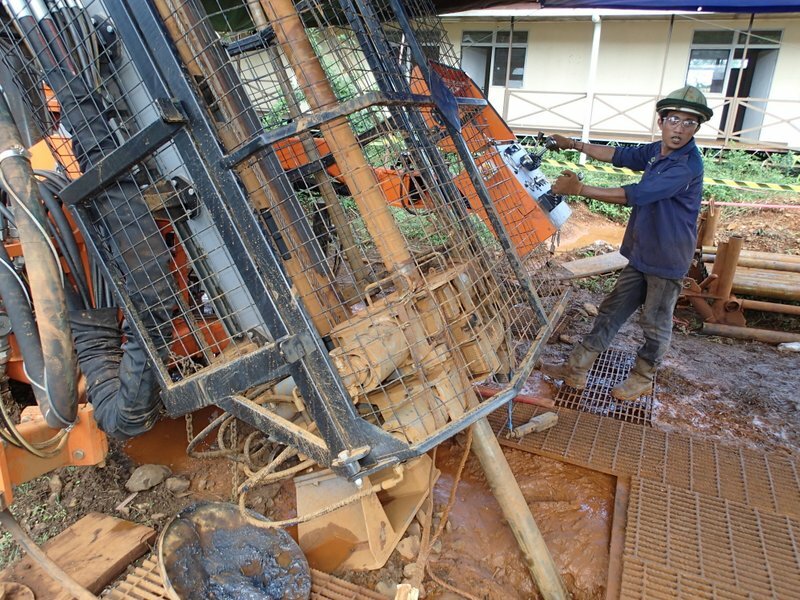 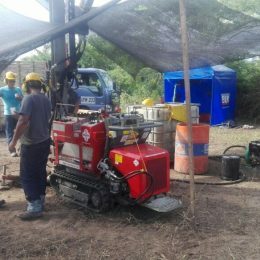 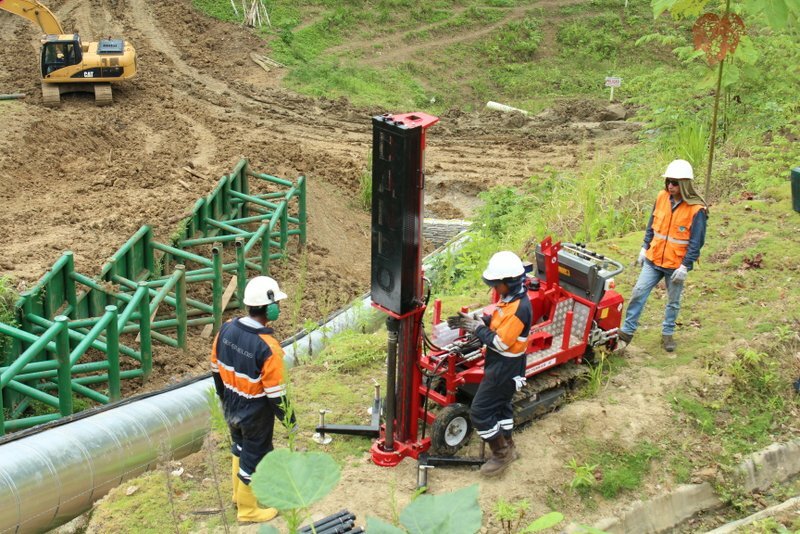 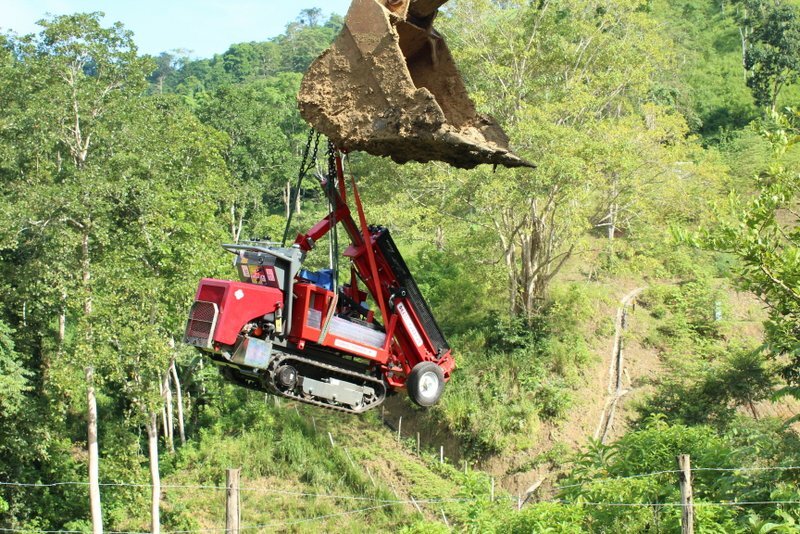 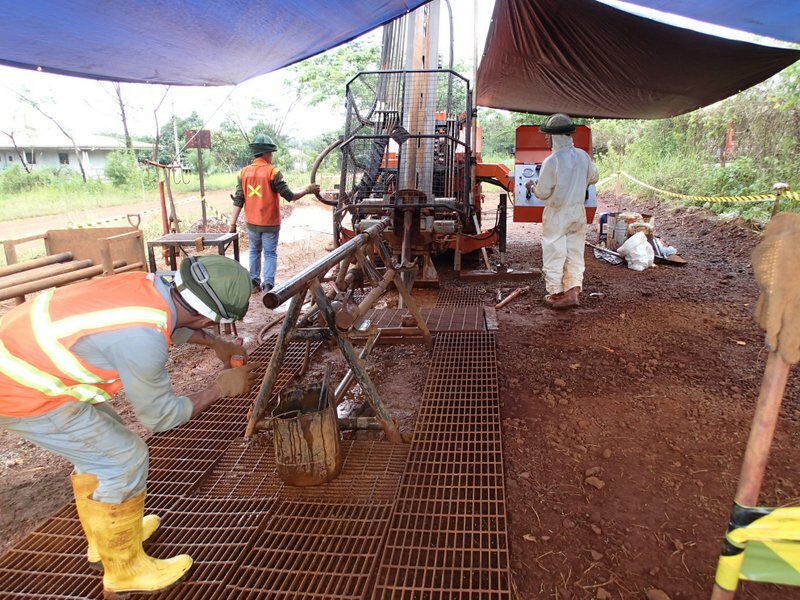 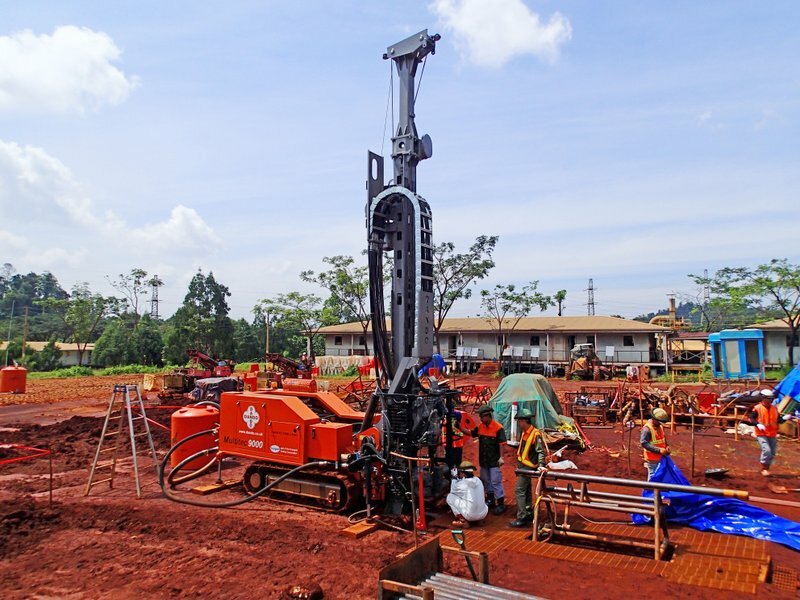 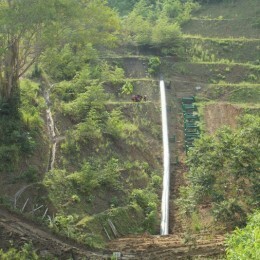 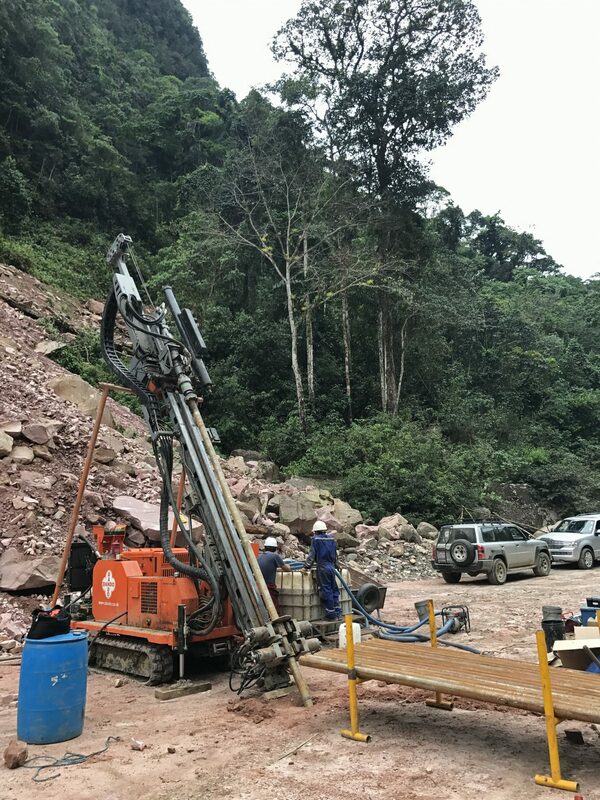 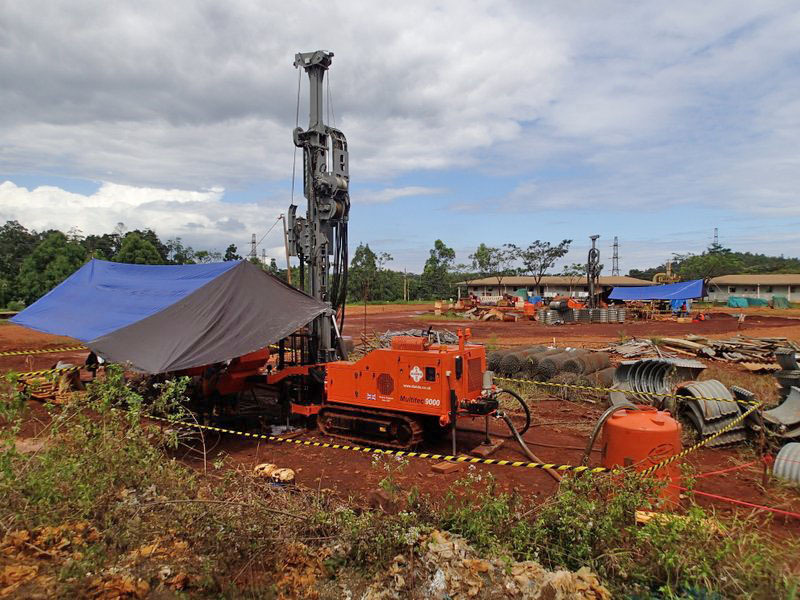 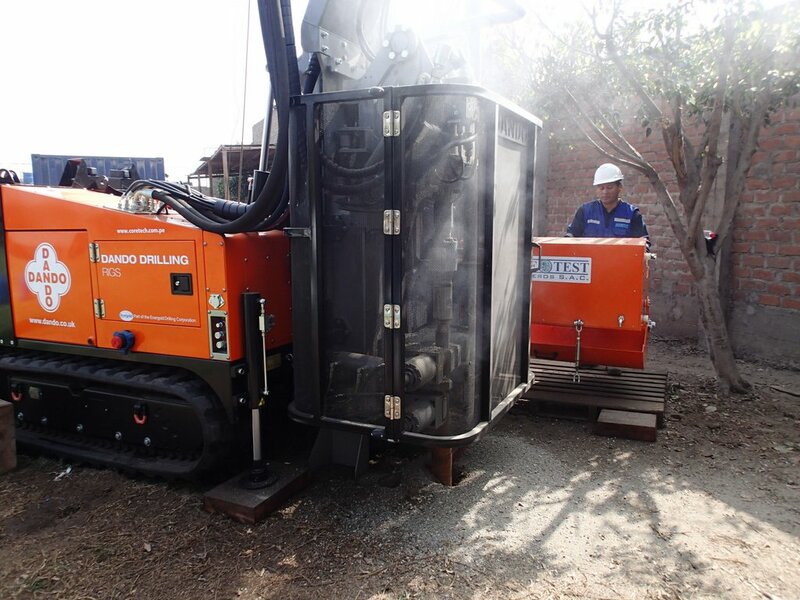 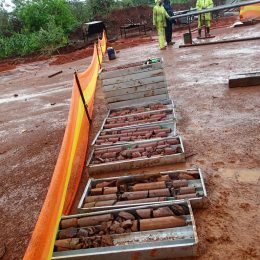 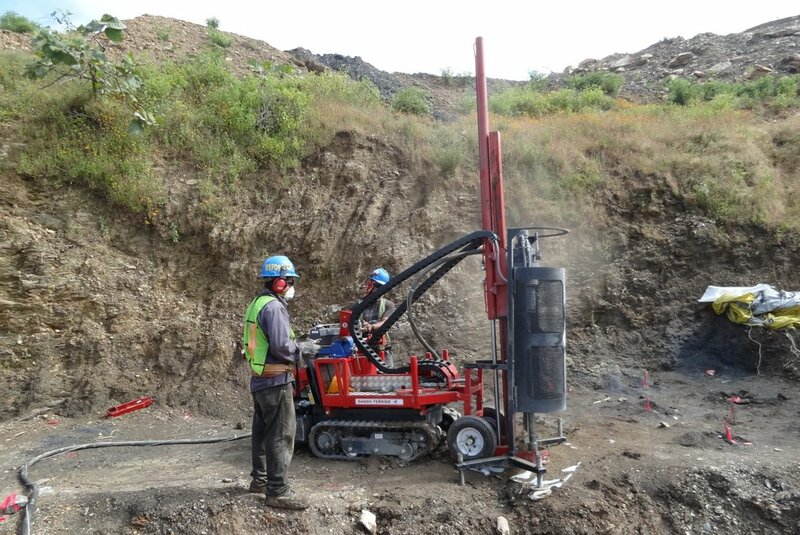 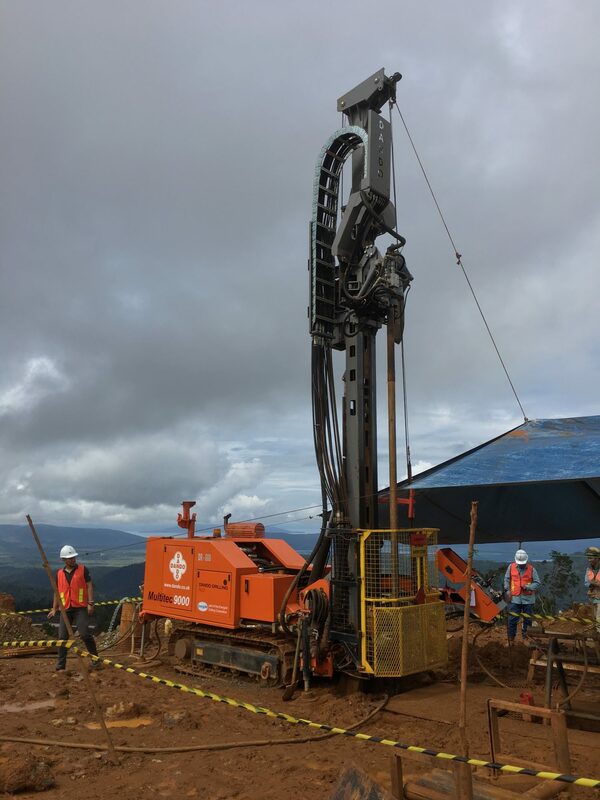 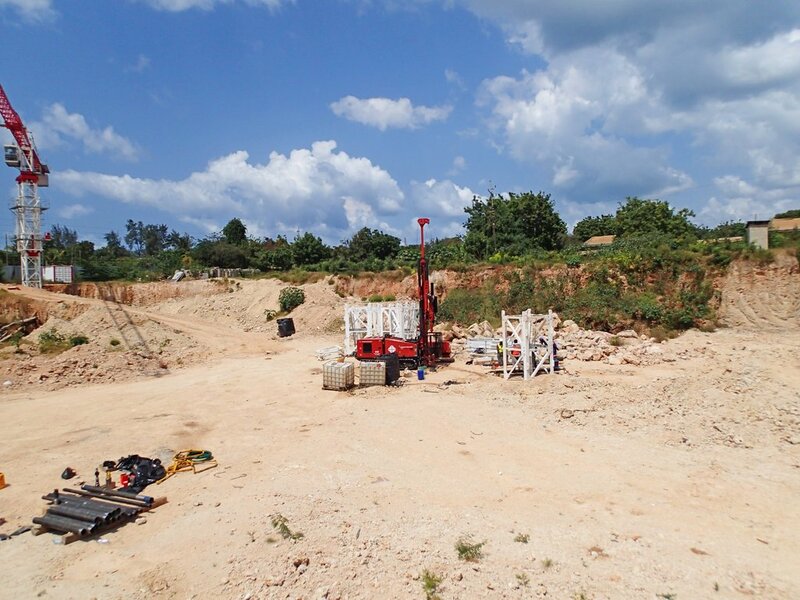 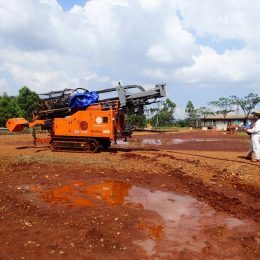 Indonesian gold specialists PT Green Gold Engineering are using the percussive Dando Terrier for alluvial gold exploration on a new concession of mineral sands in Kalimantan. 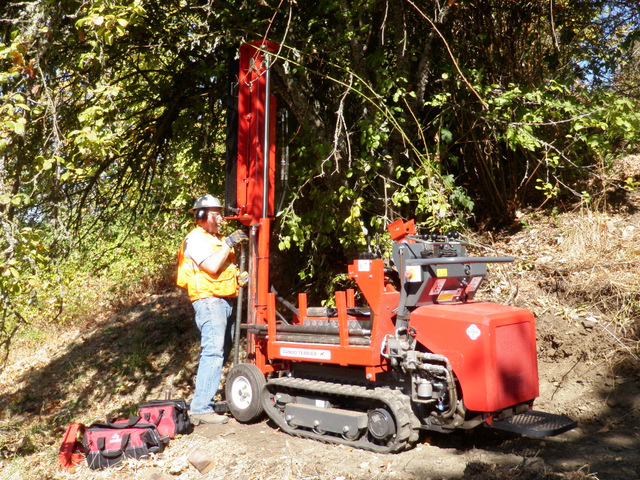 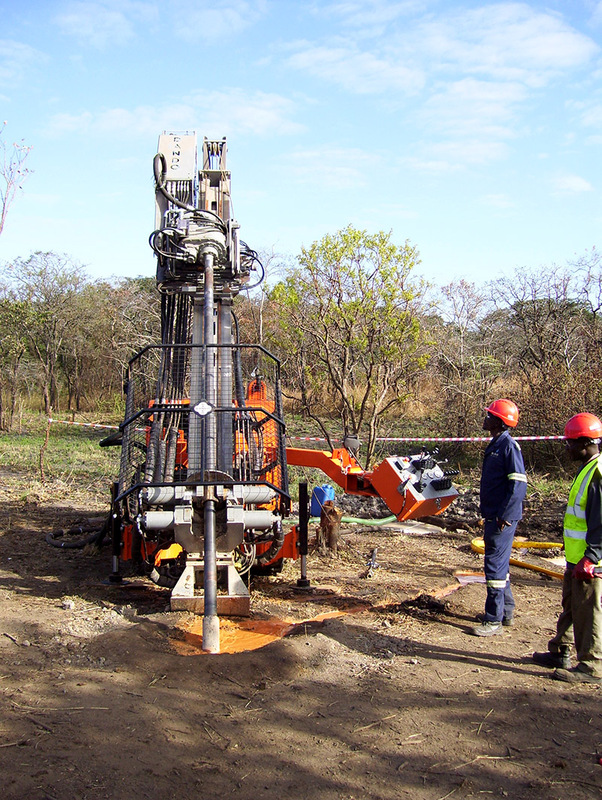 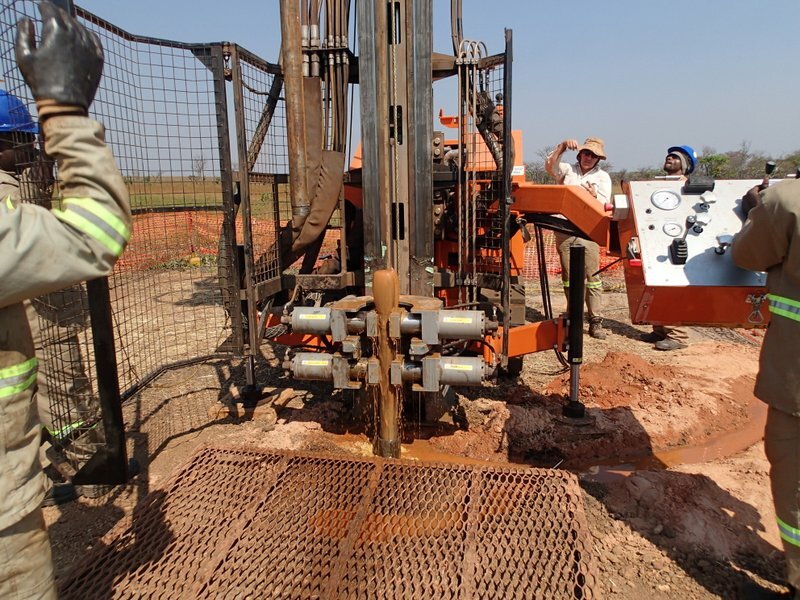 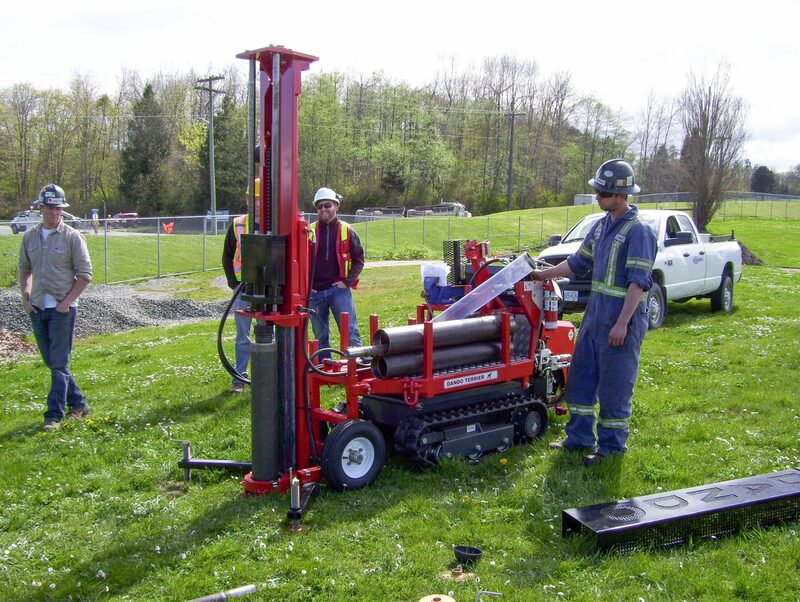 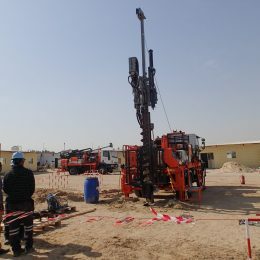 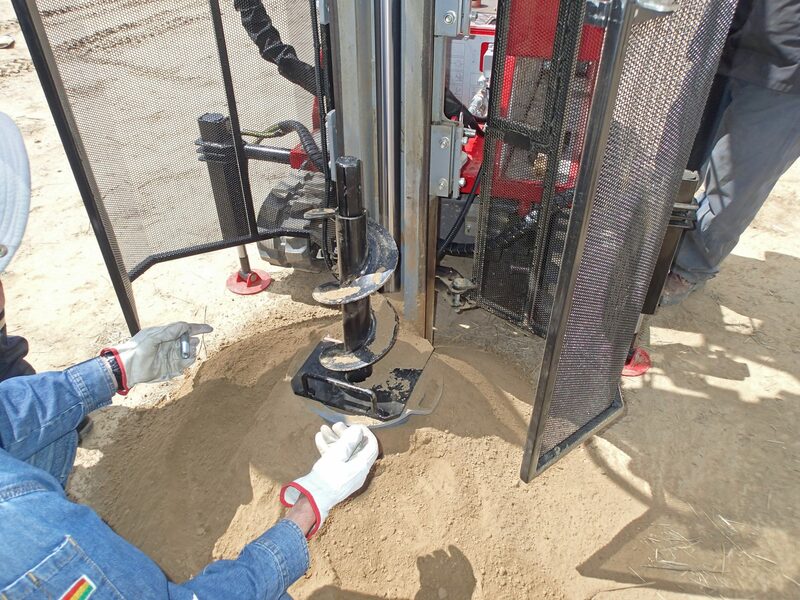 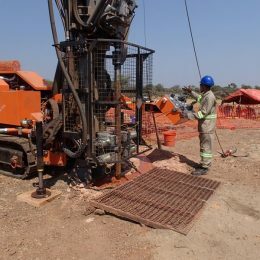 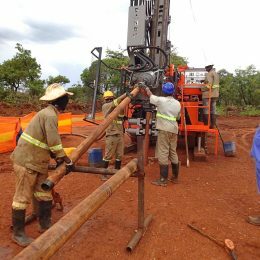 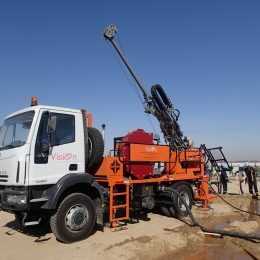 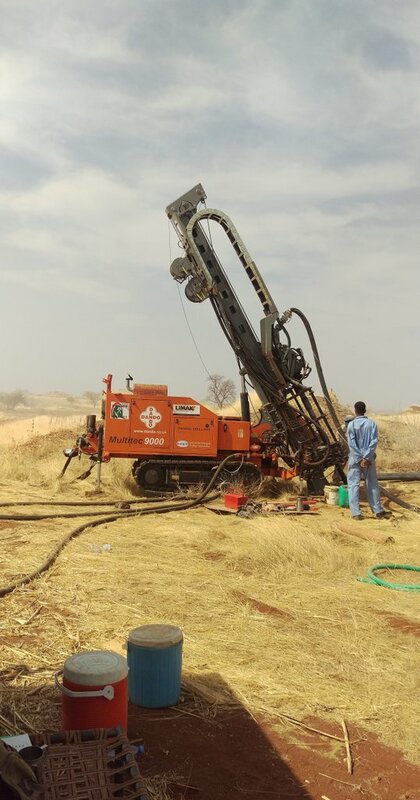 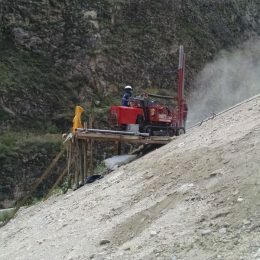 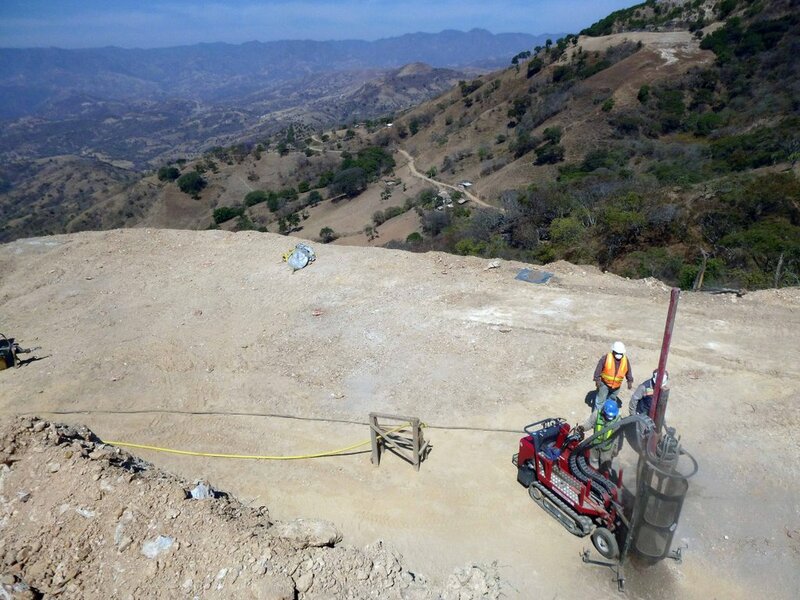 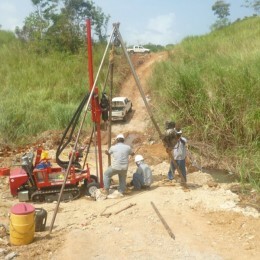 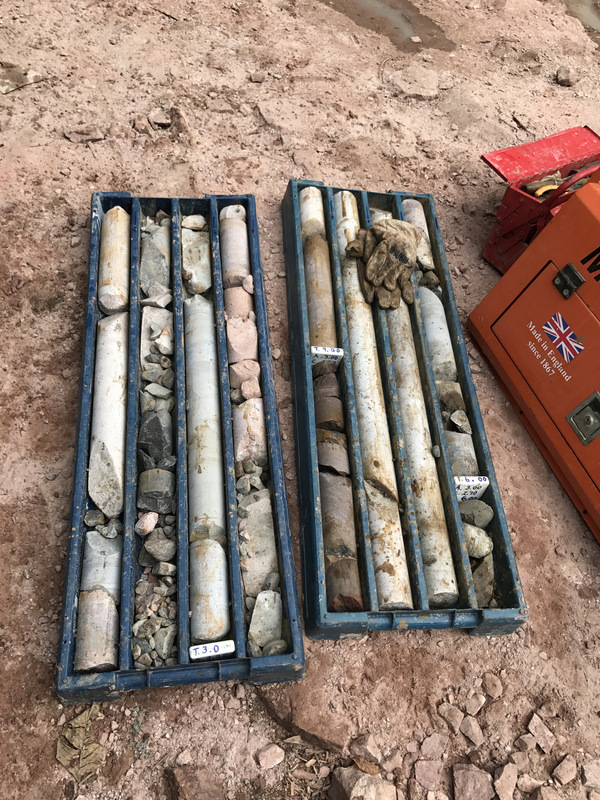 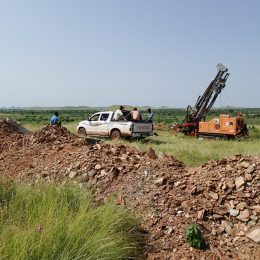 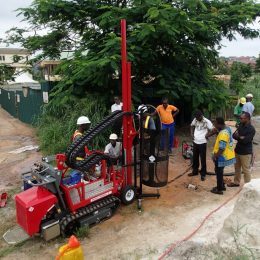 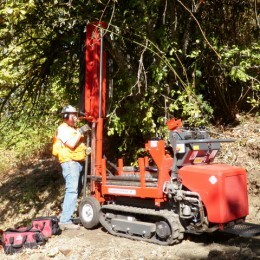 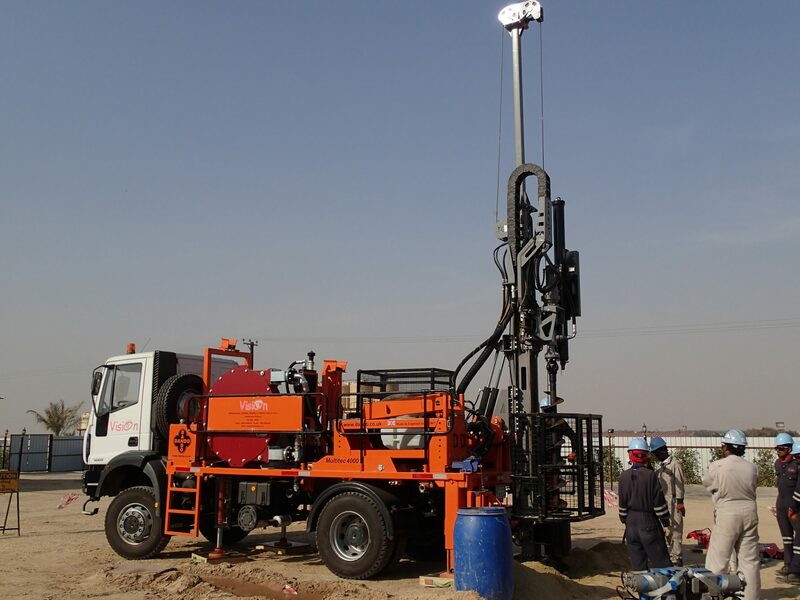 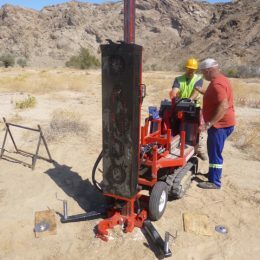 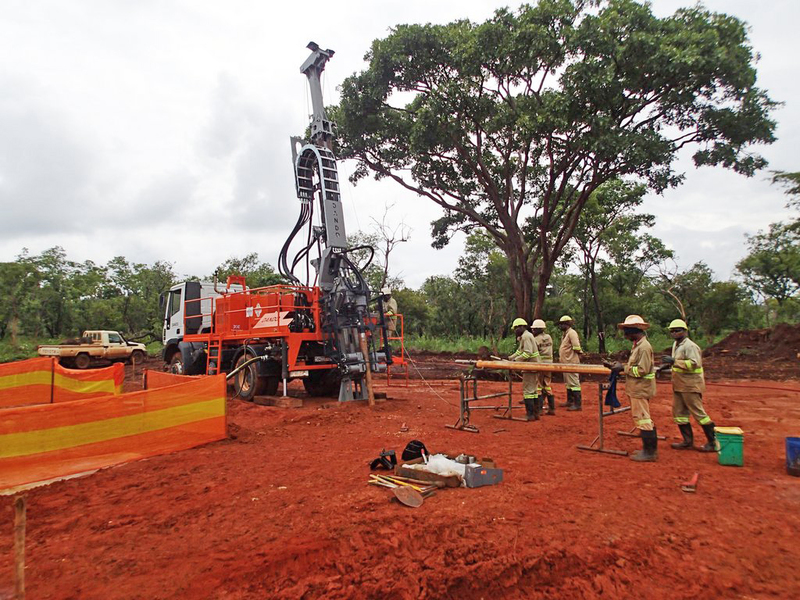 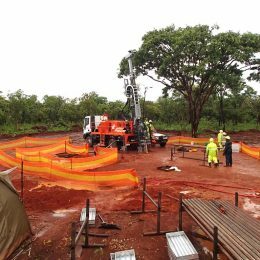 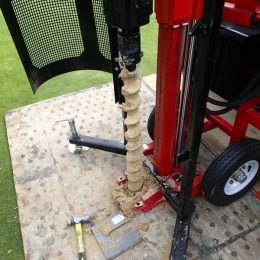 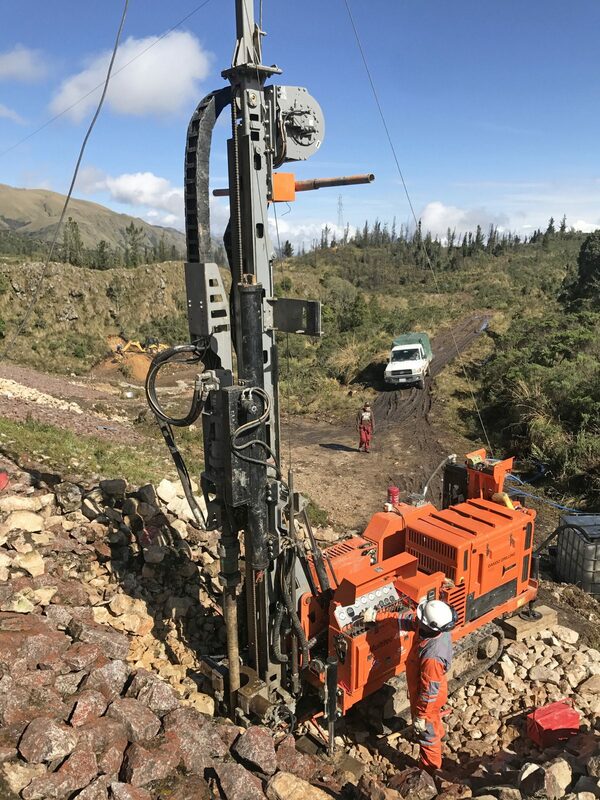 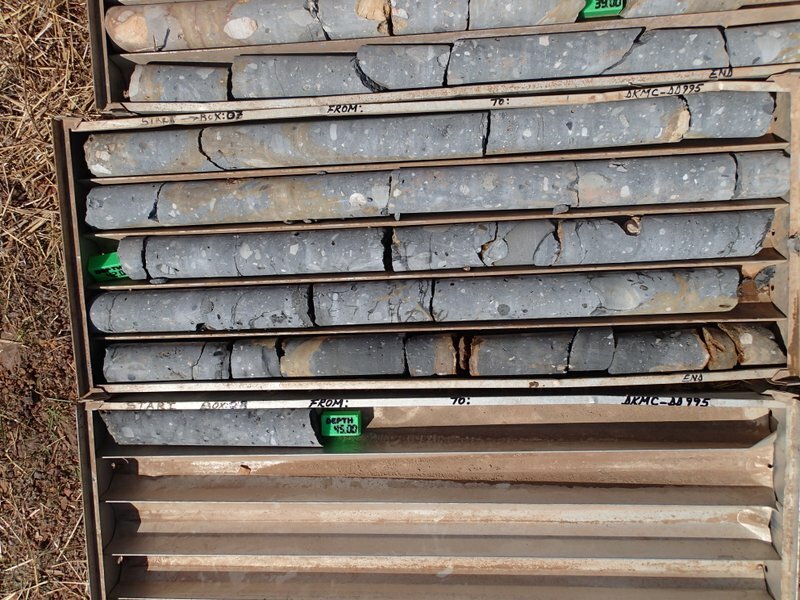 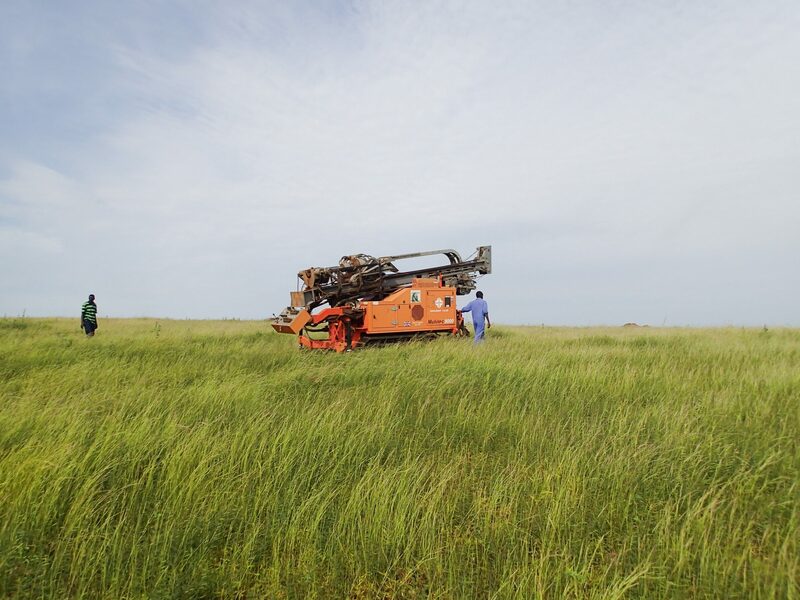 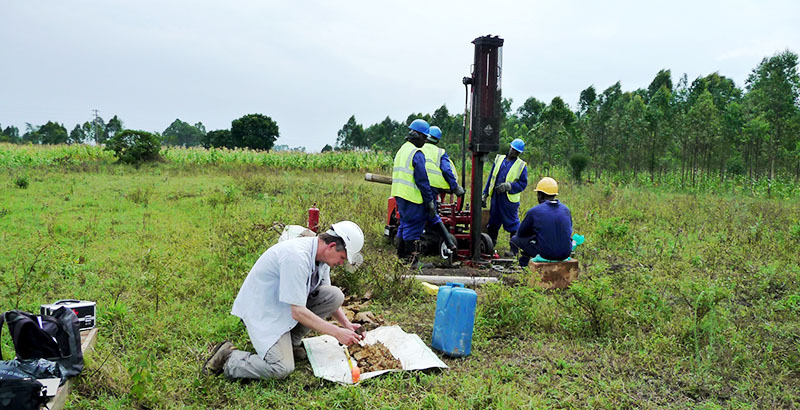 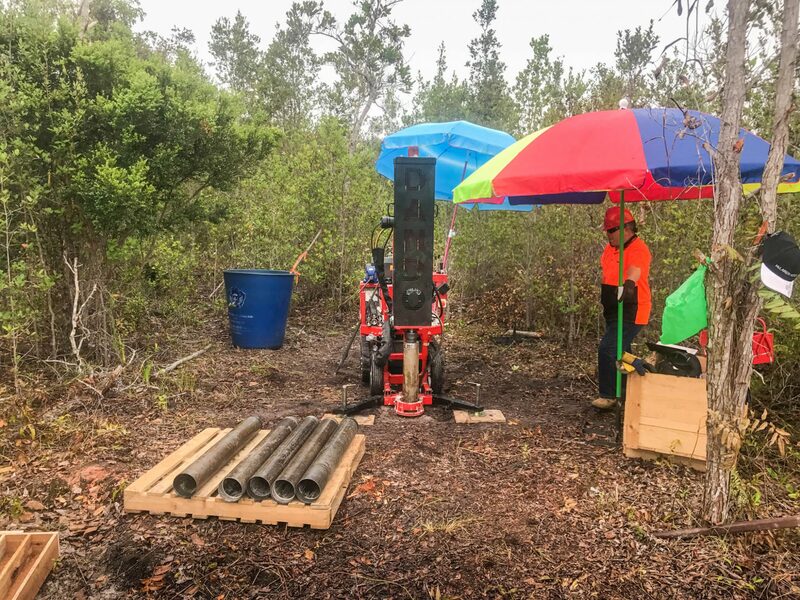 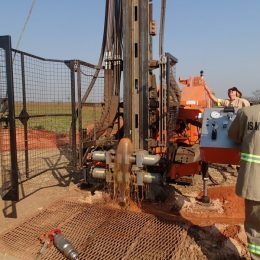 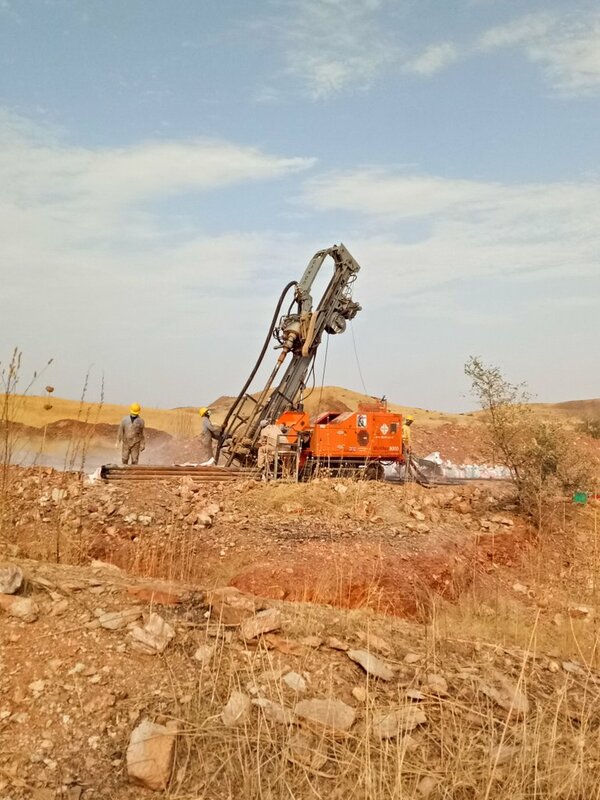 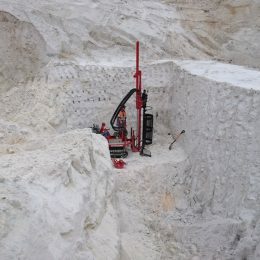 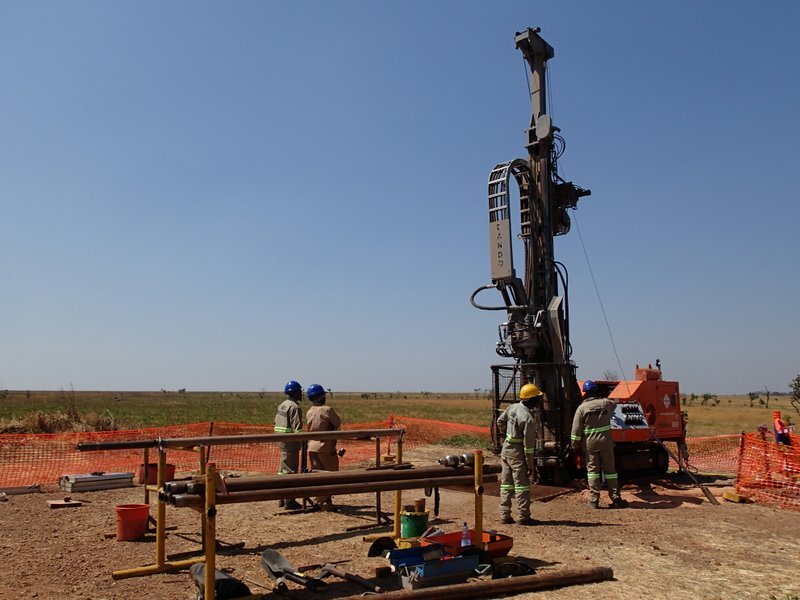 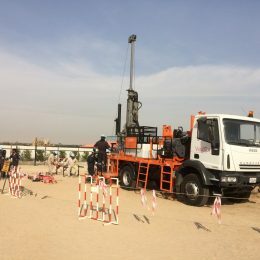 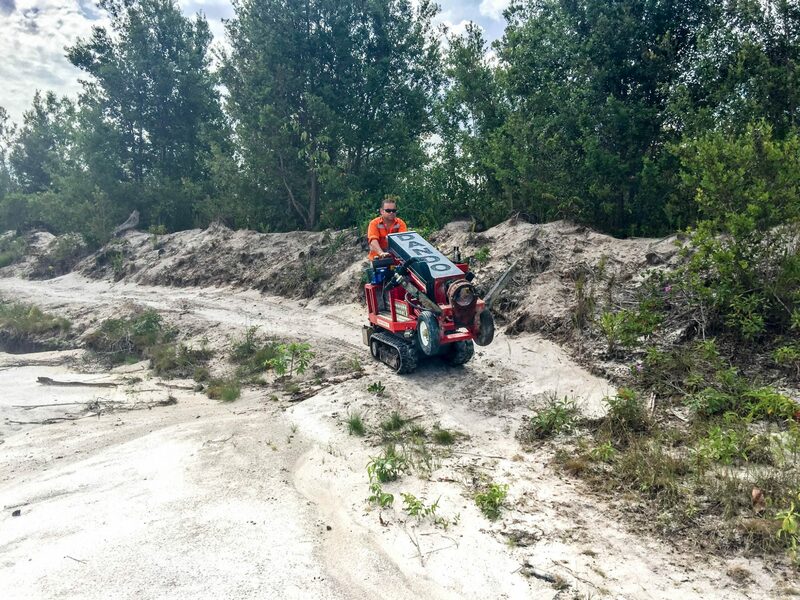 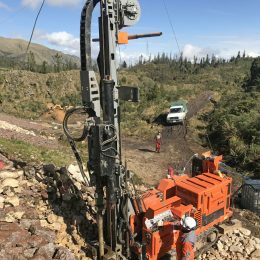 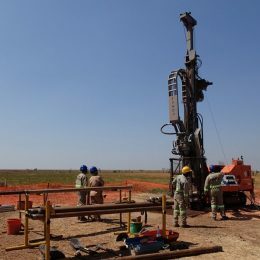 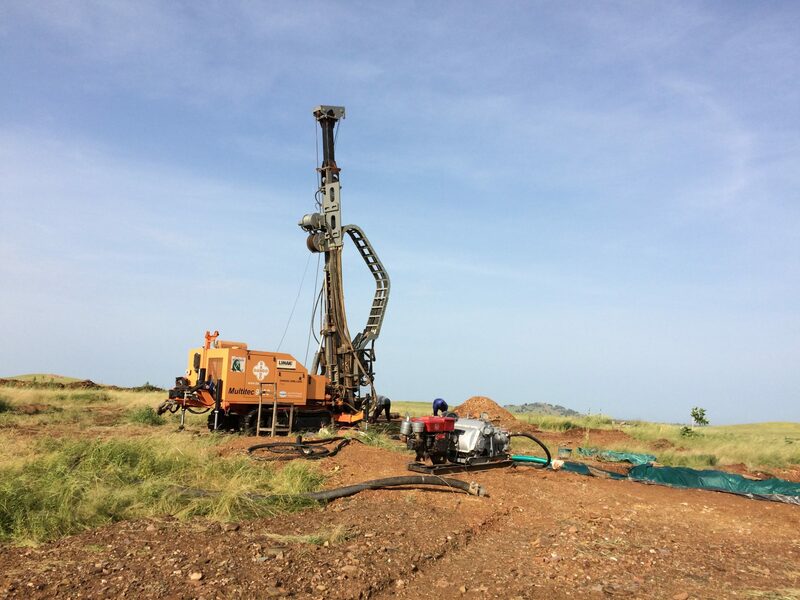 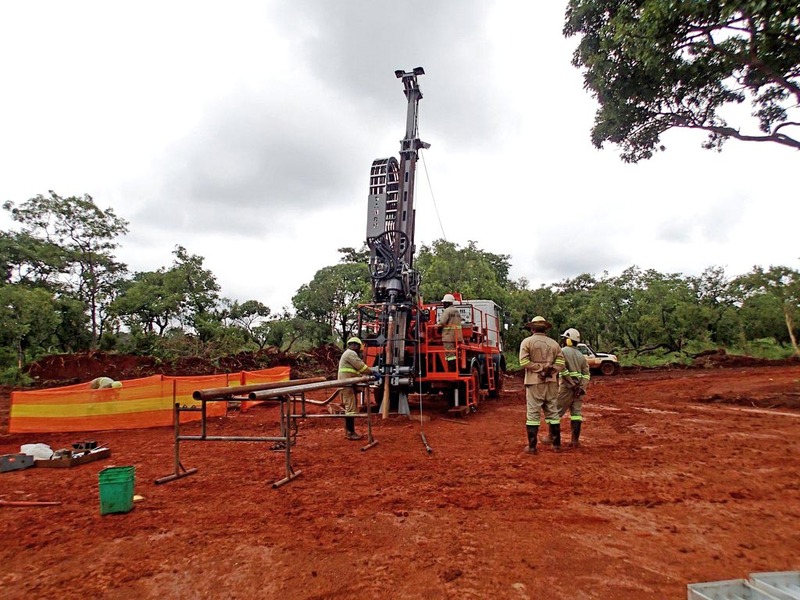 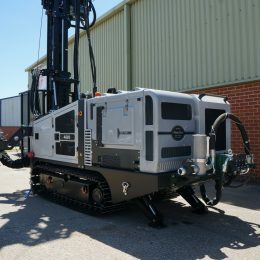 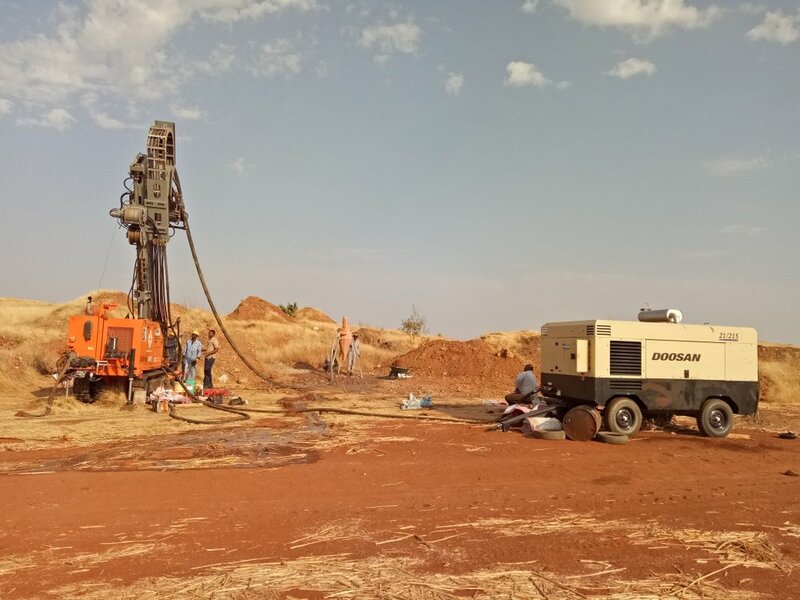 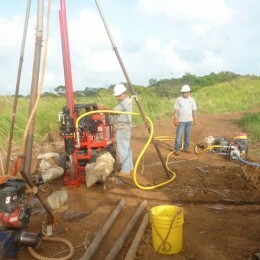 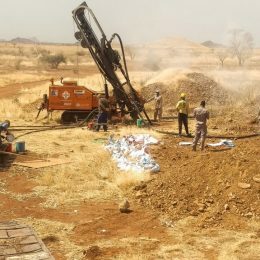 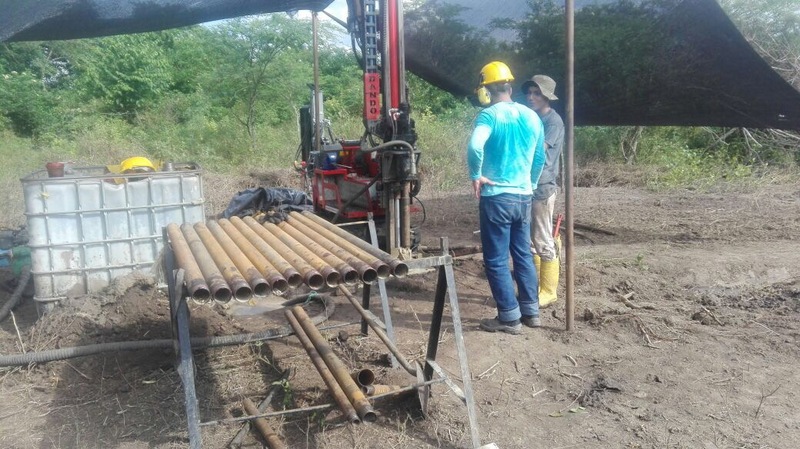 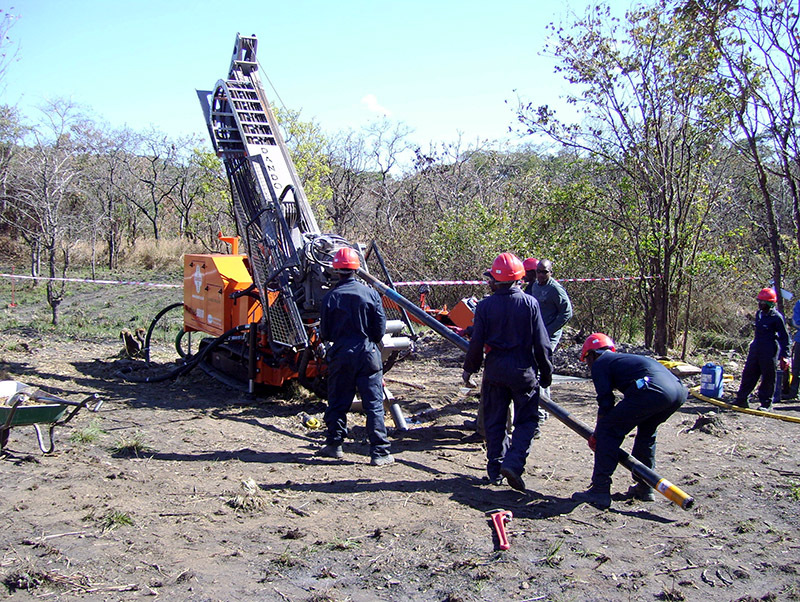 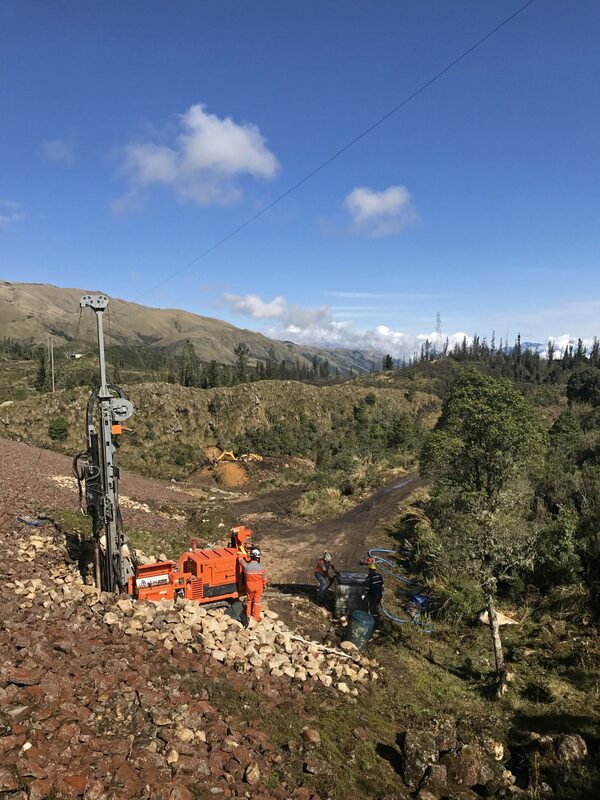 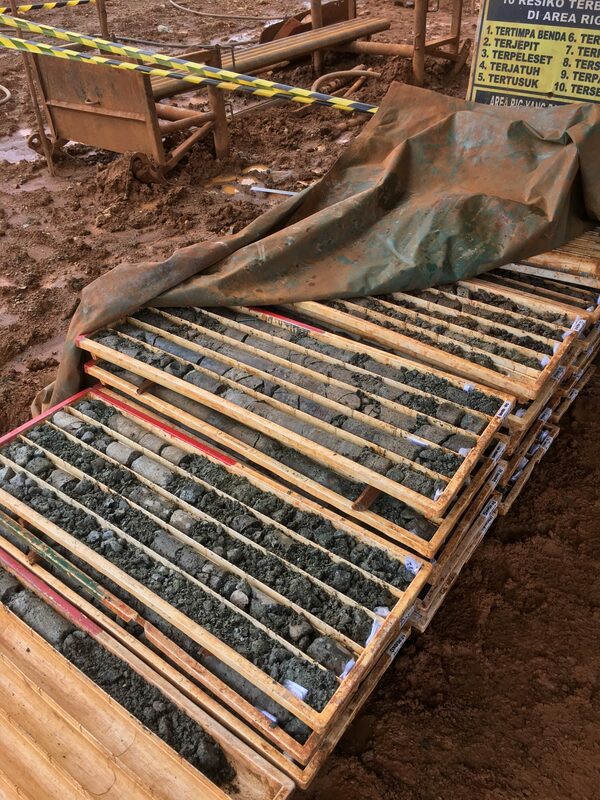 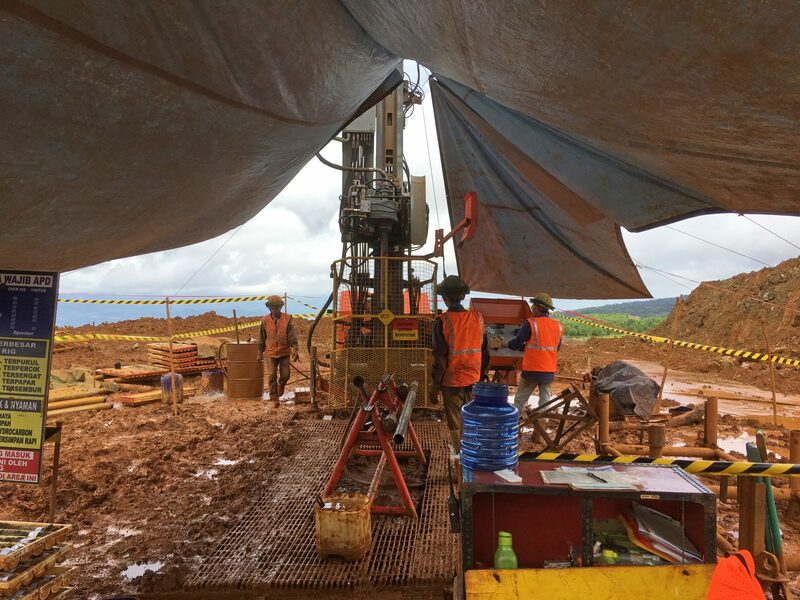 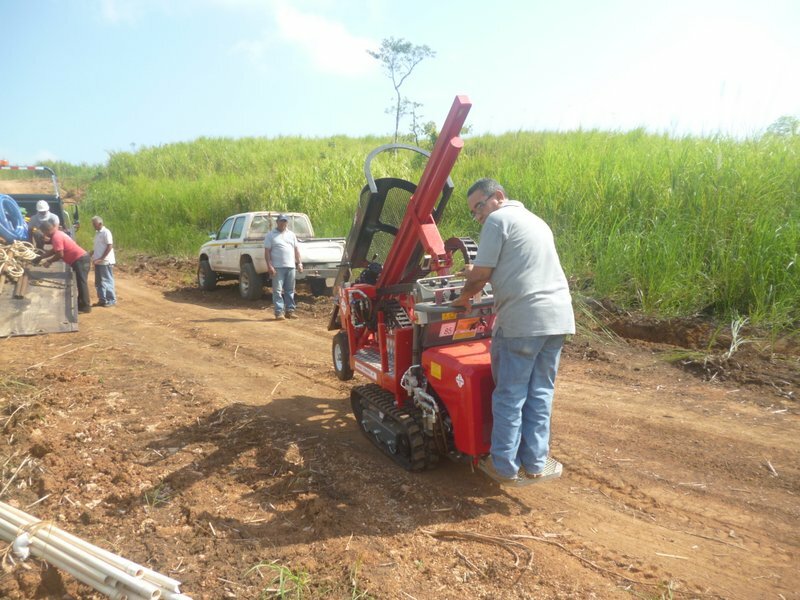 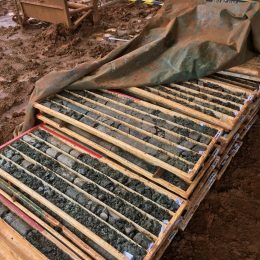 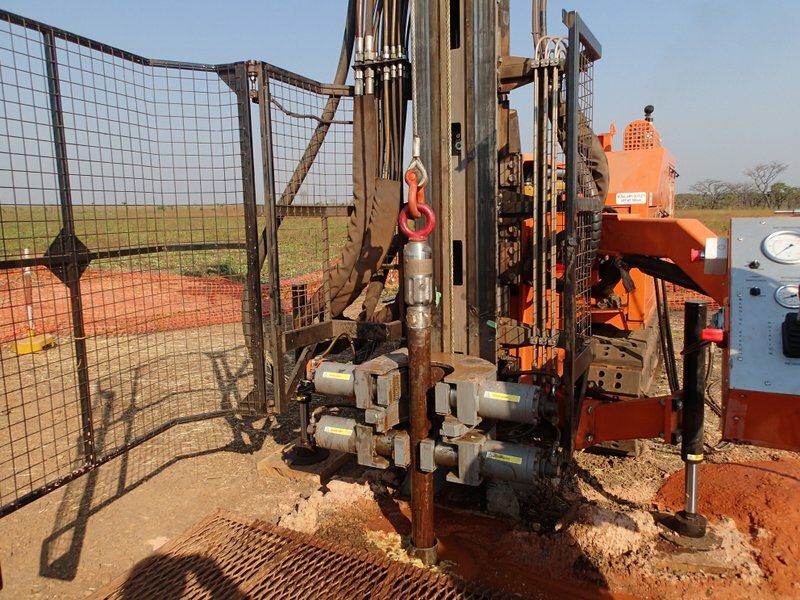 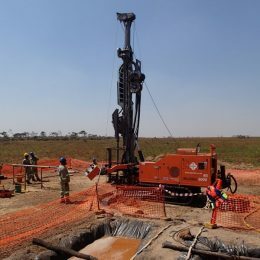 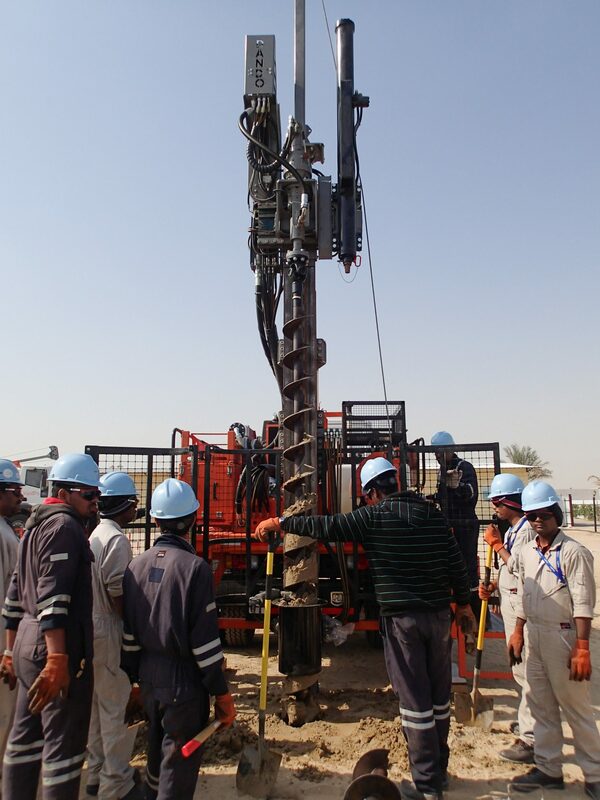 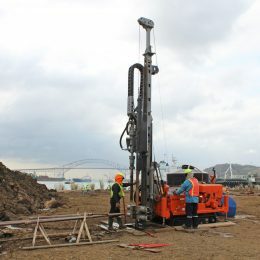 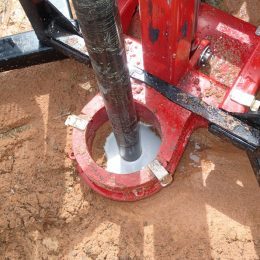 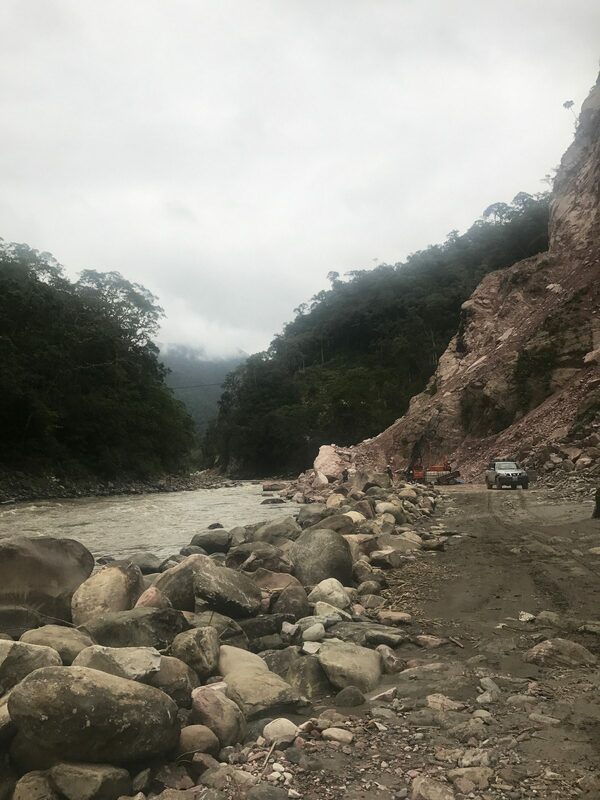 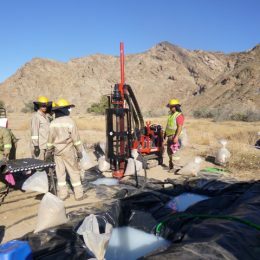 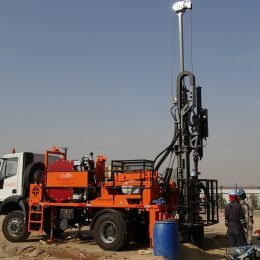 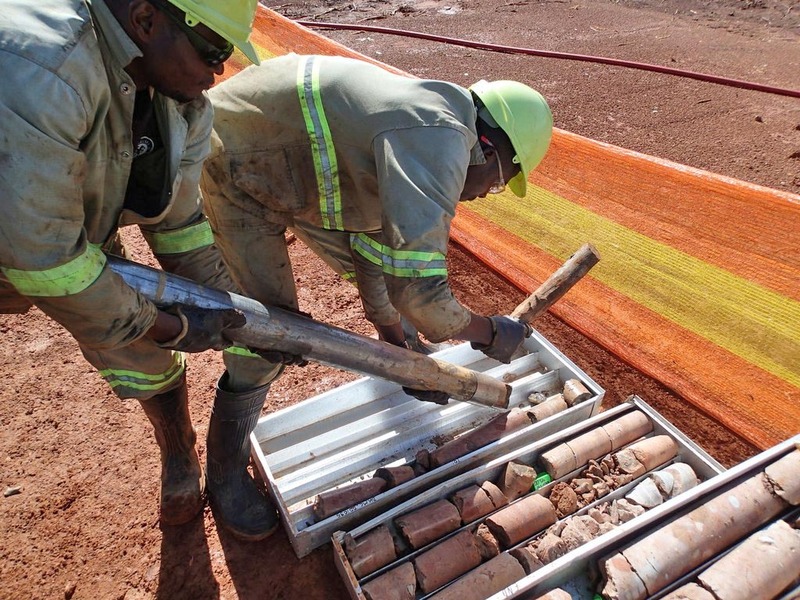 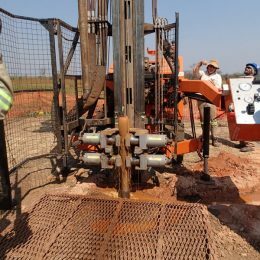 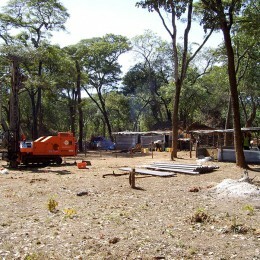 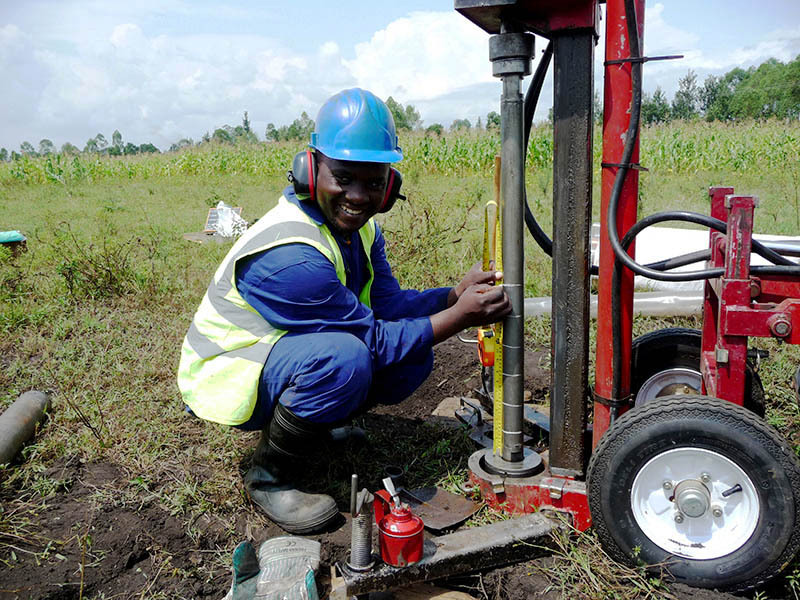 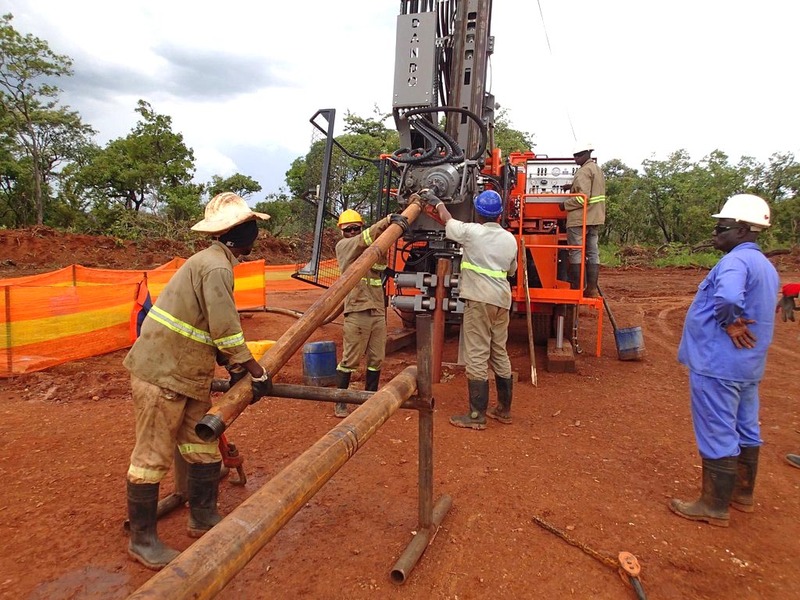 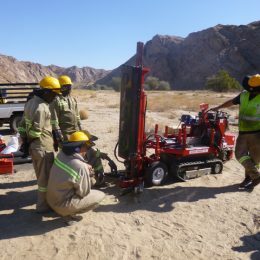 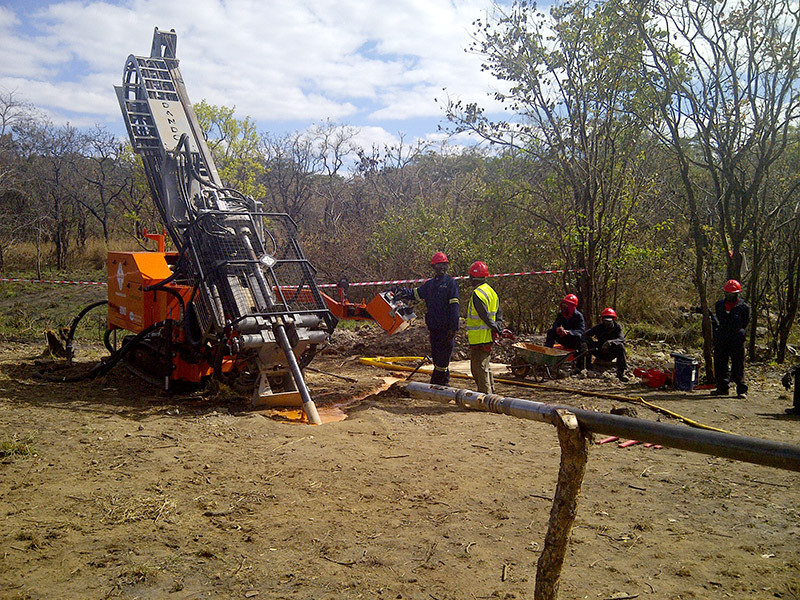 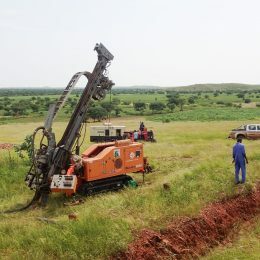 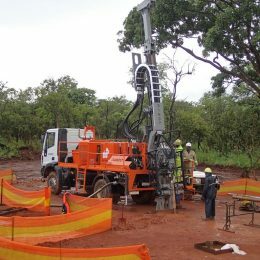 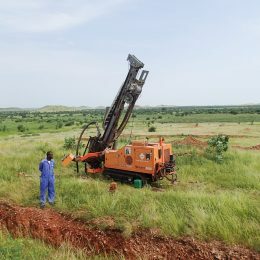 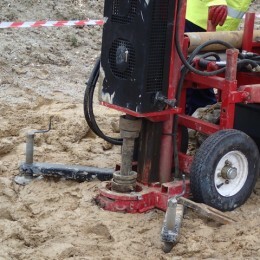 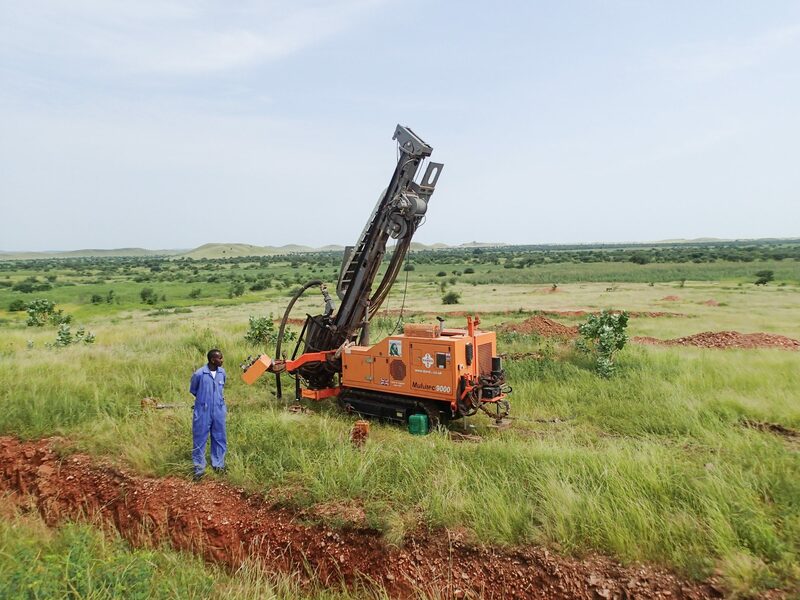 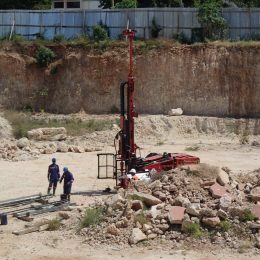 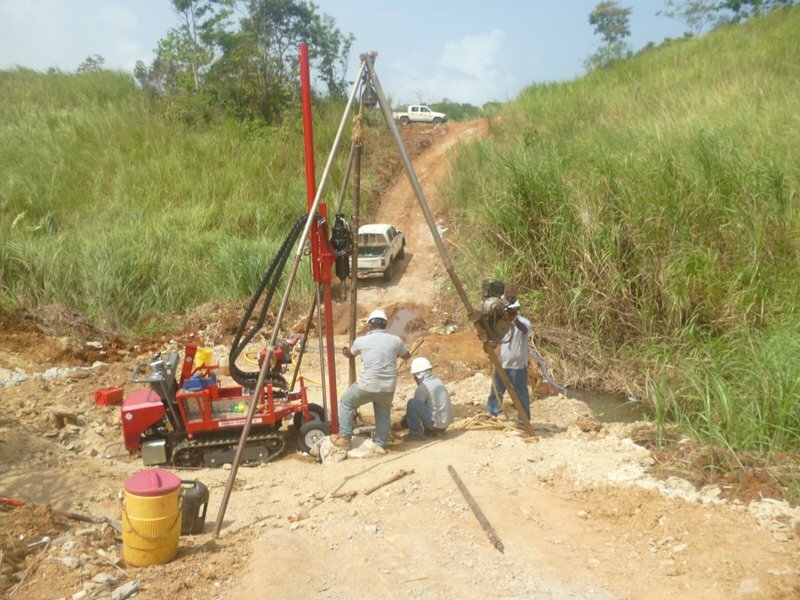 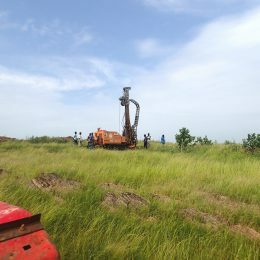 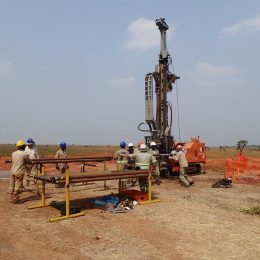 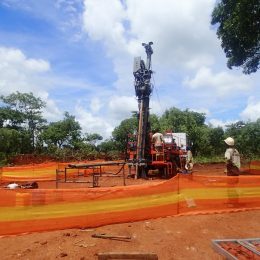 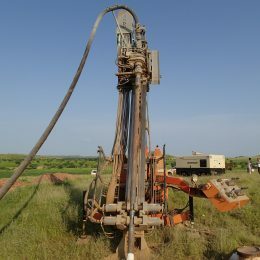 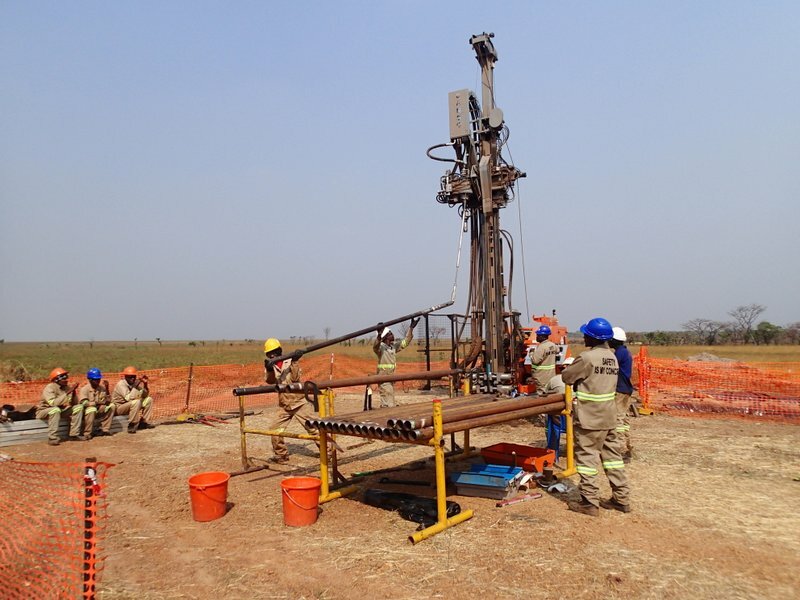 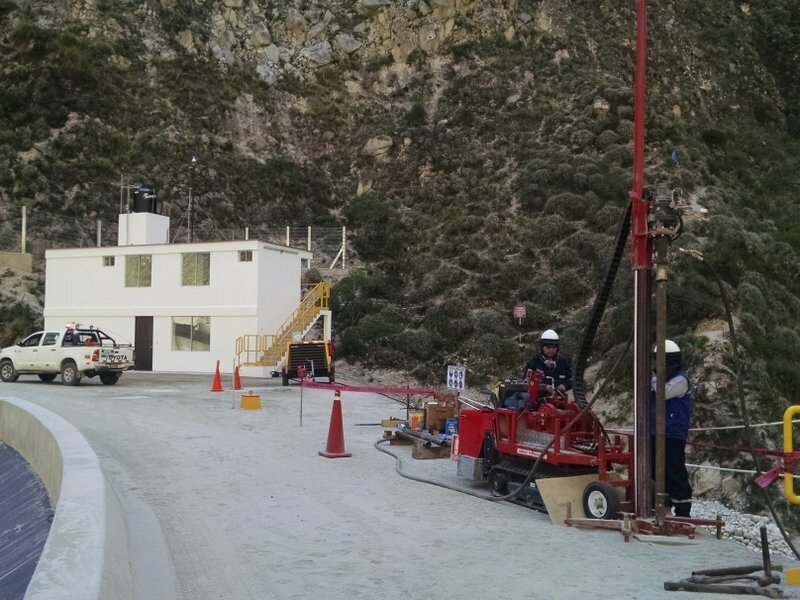 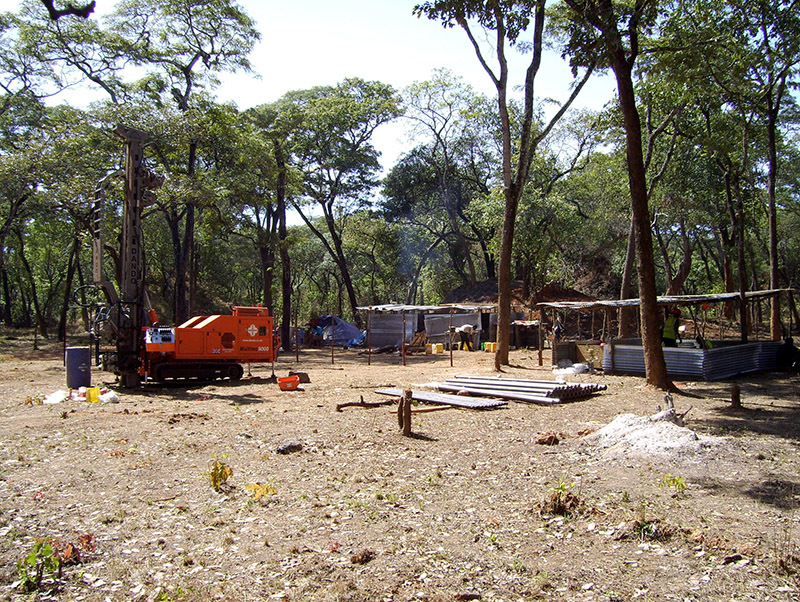 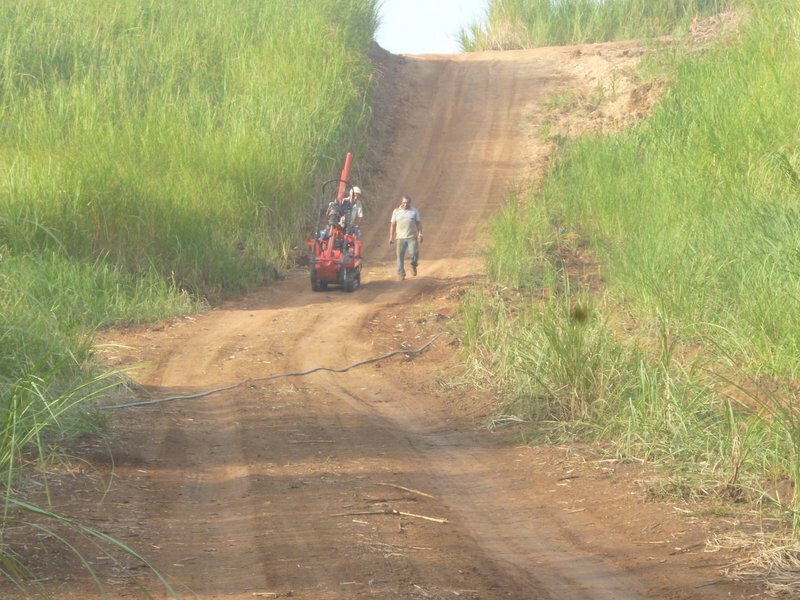 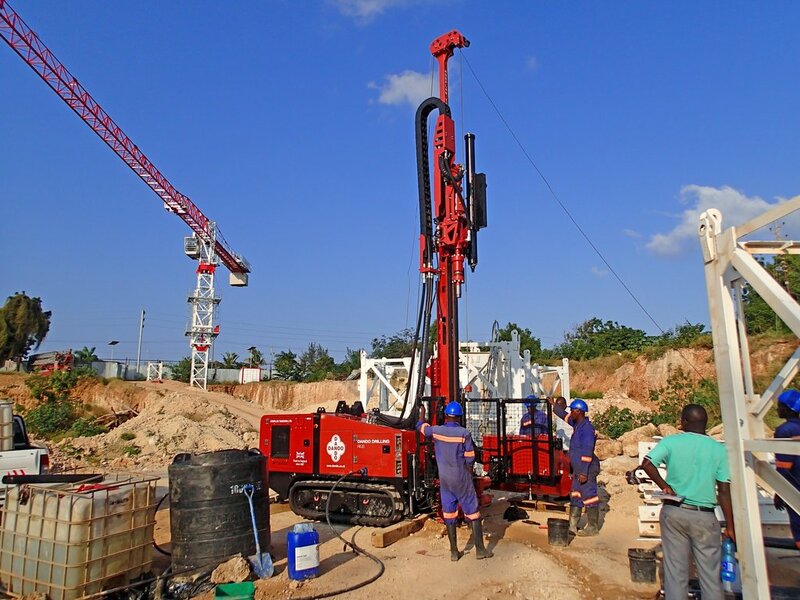 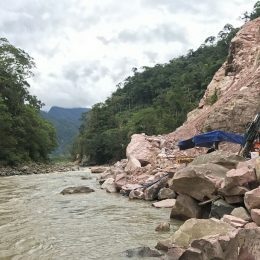 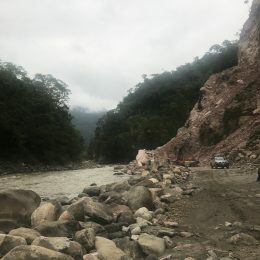 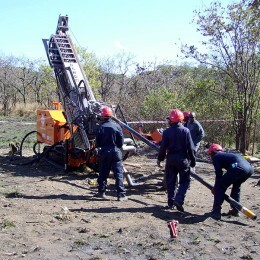 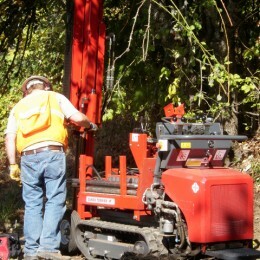 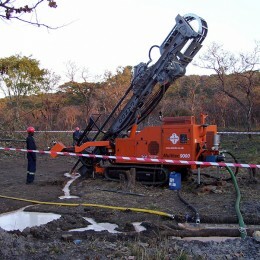 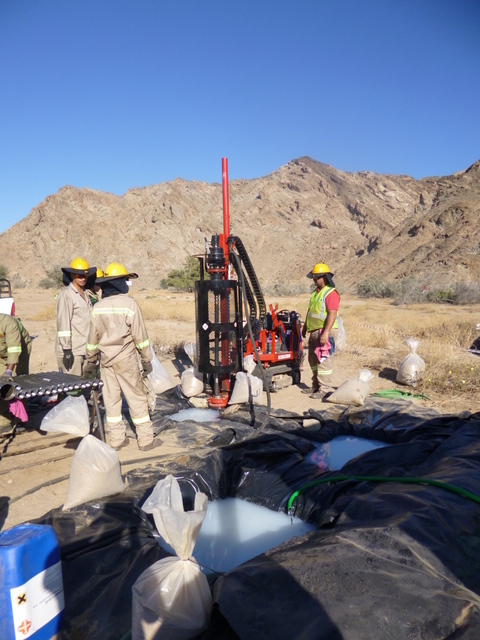 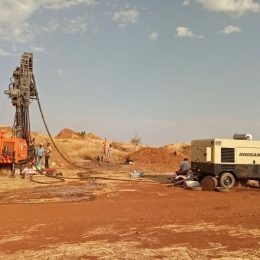 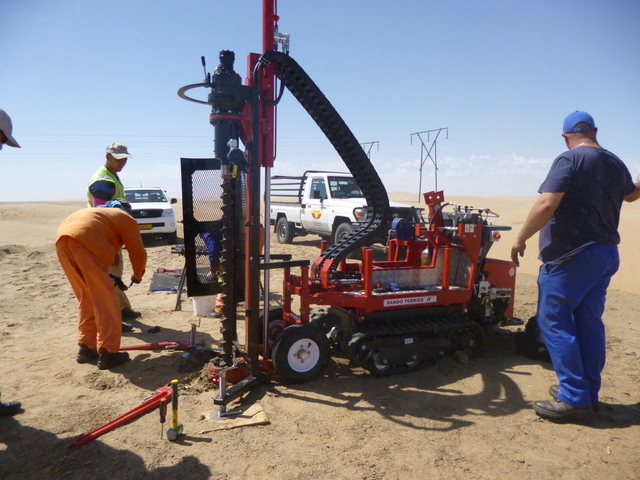 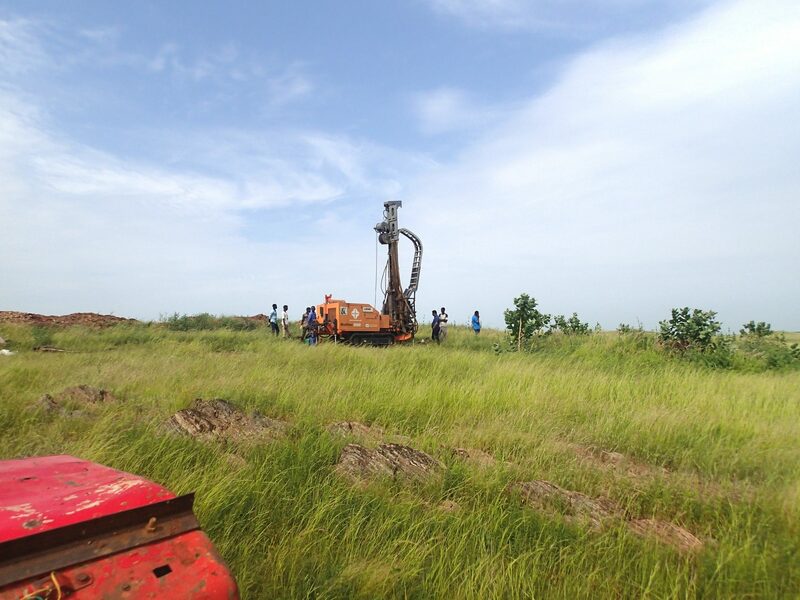 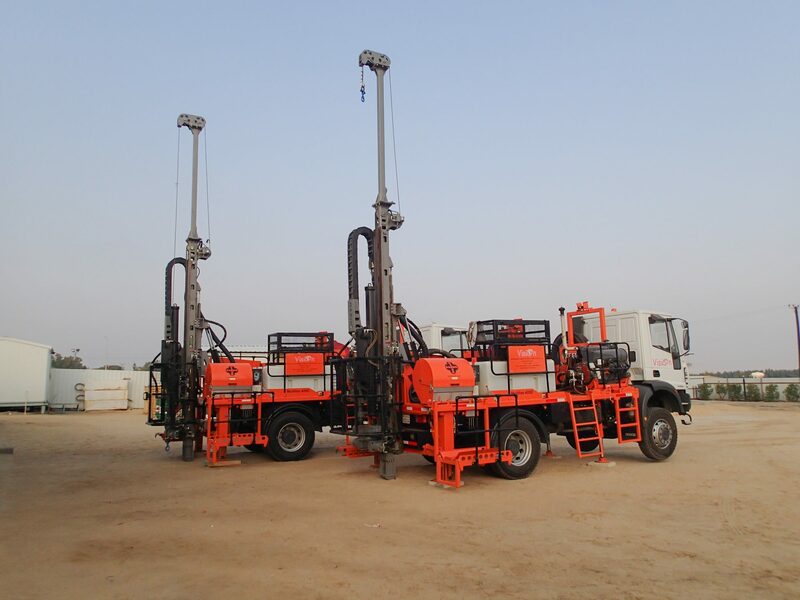 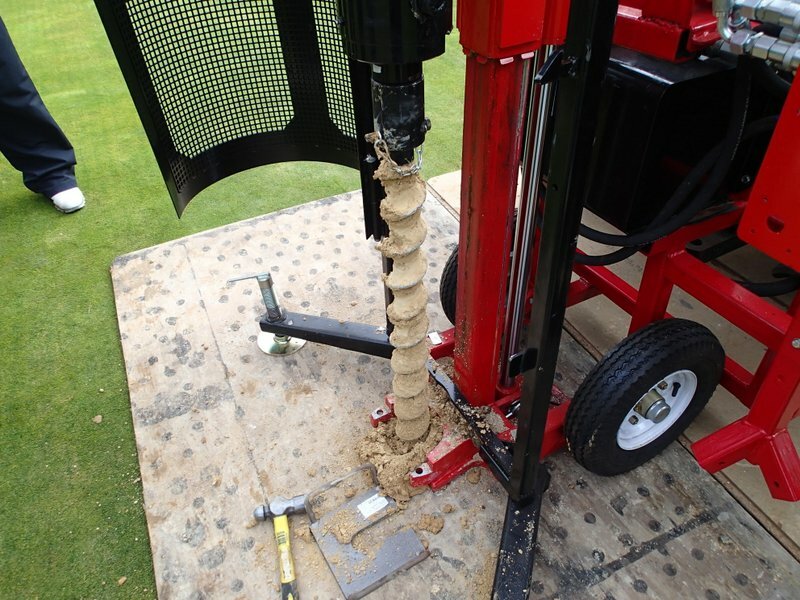 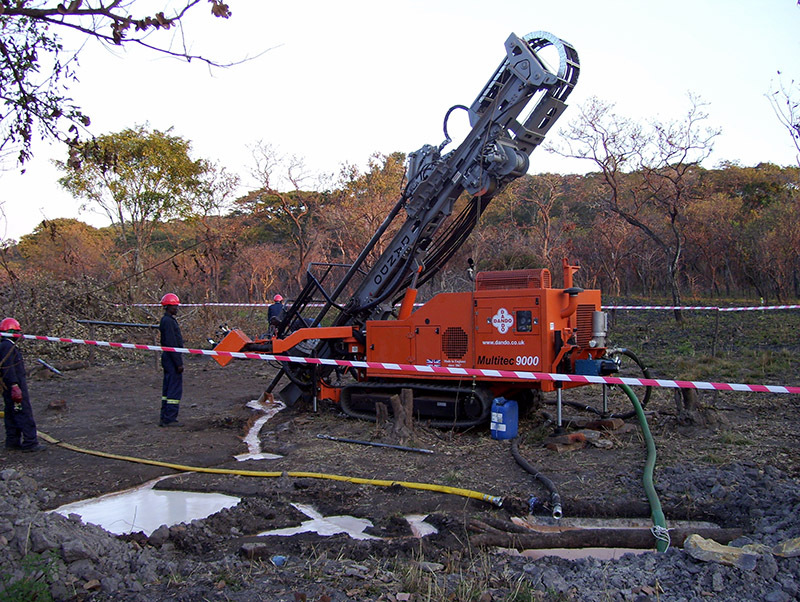 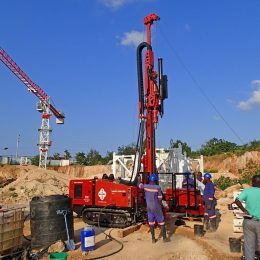 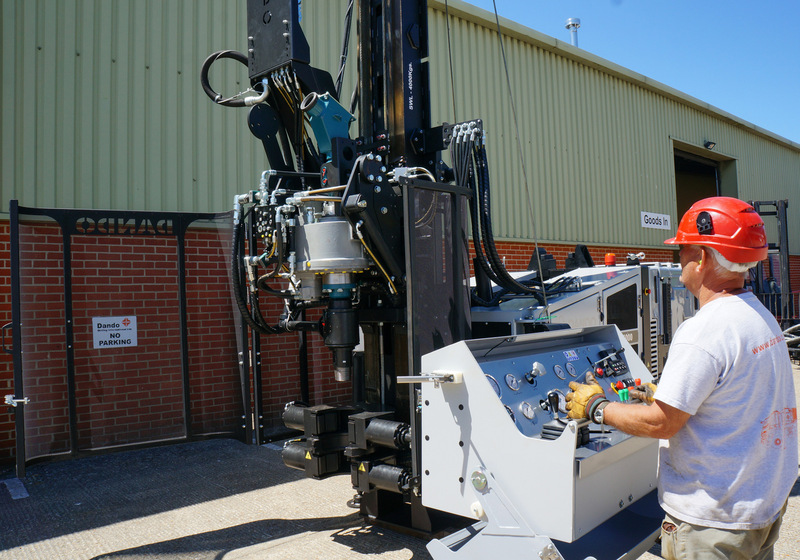 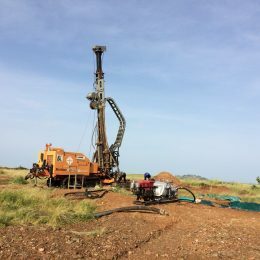 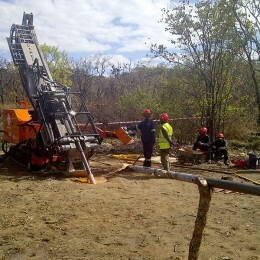 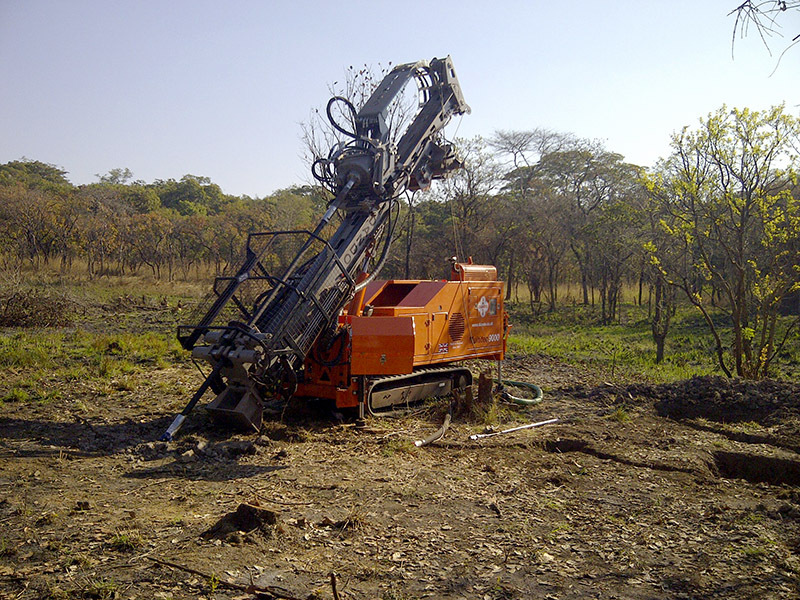 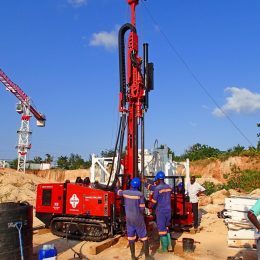 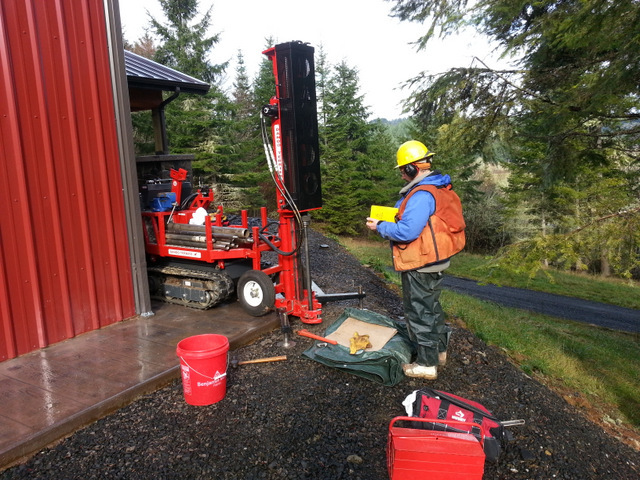 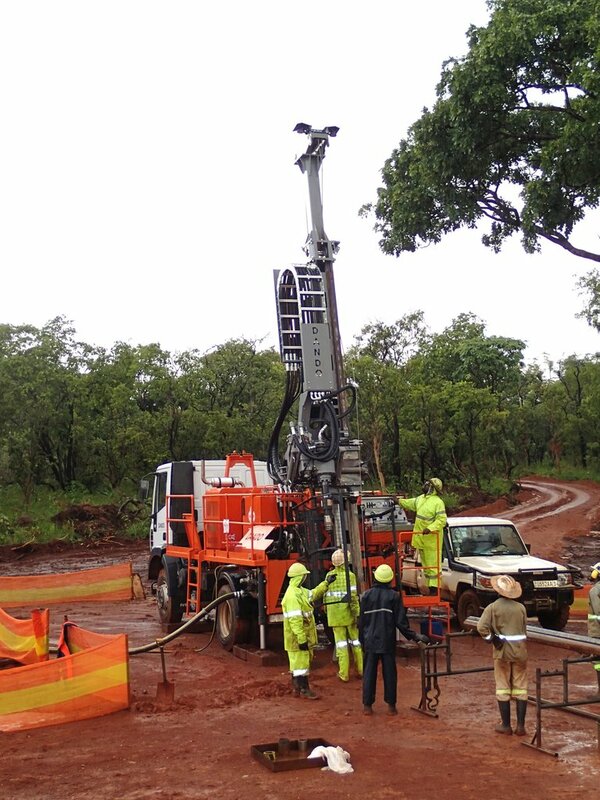 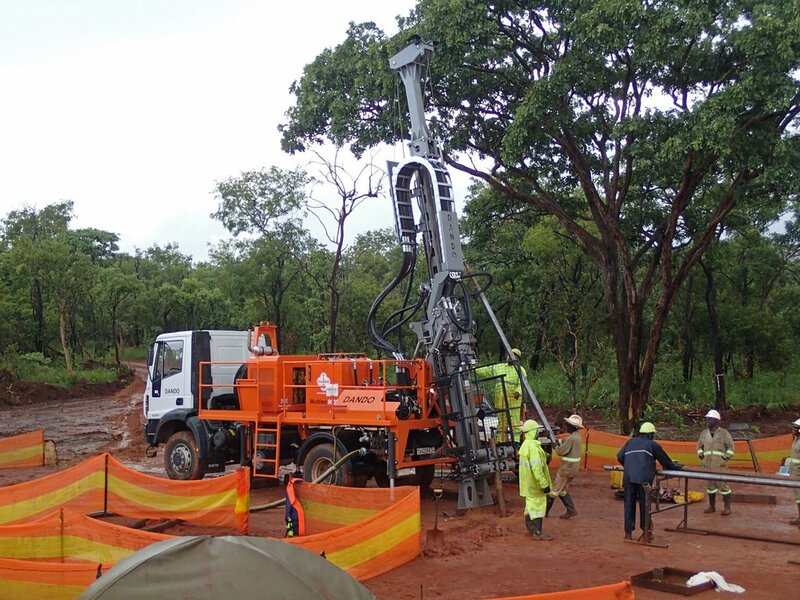 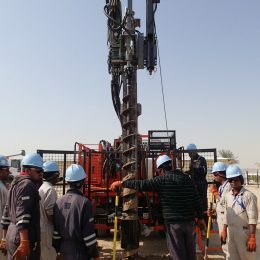 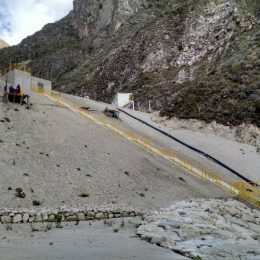 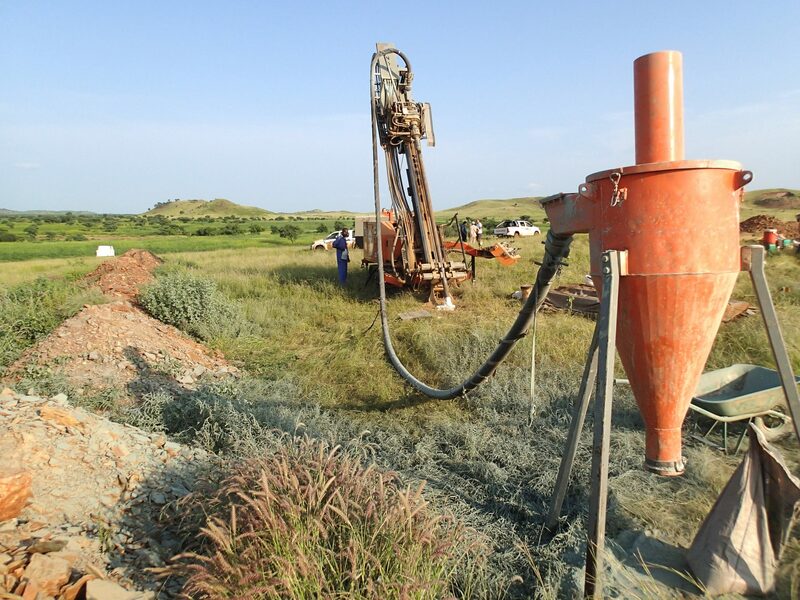 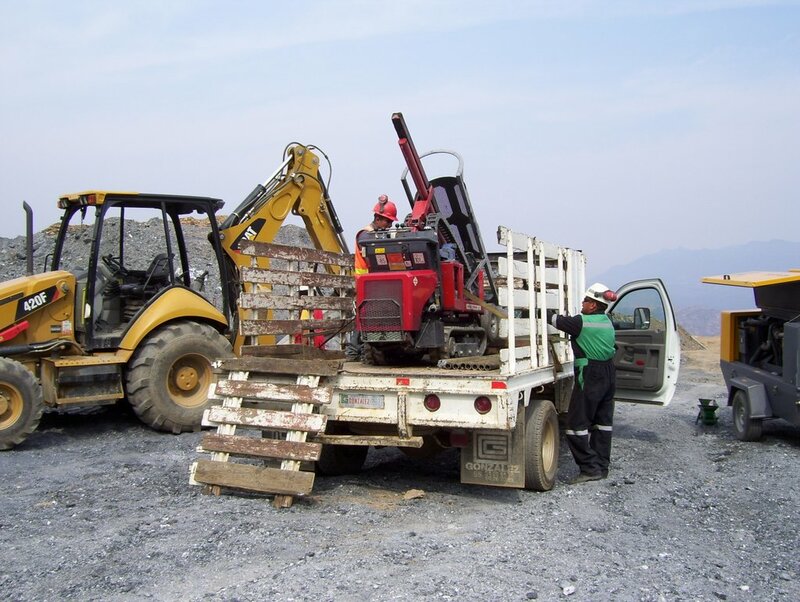 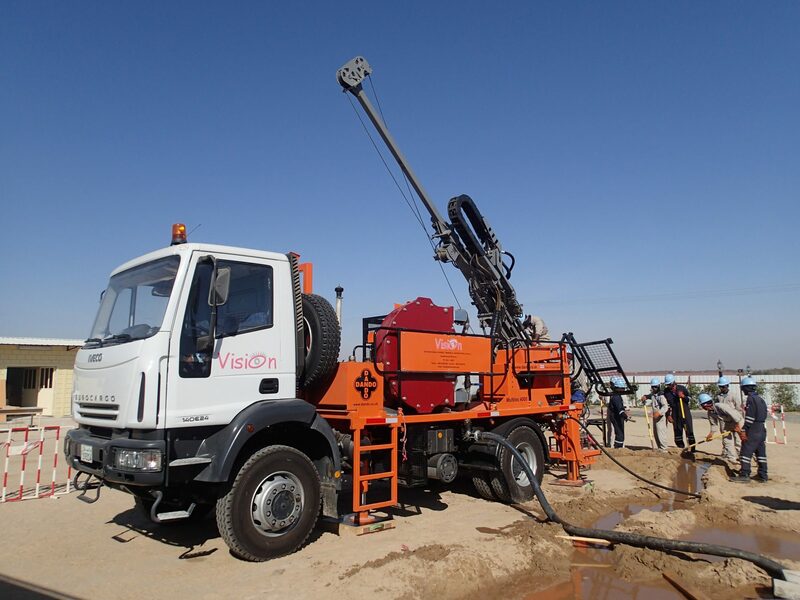 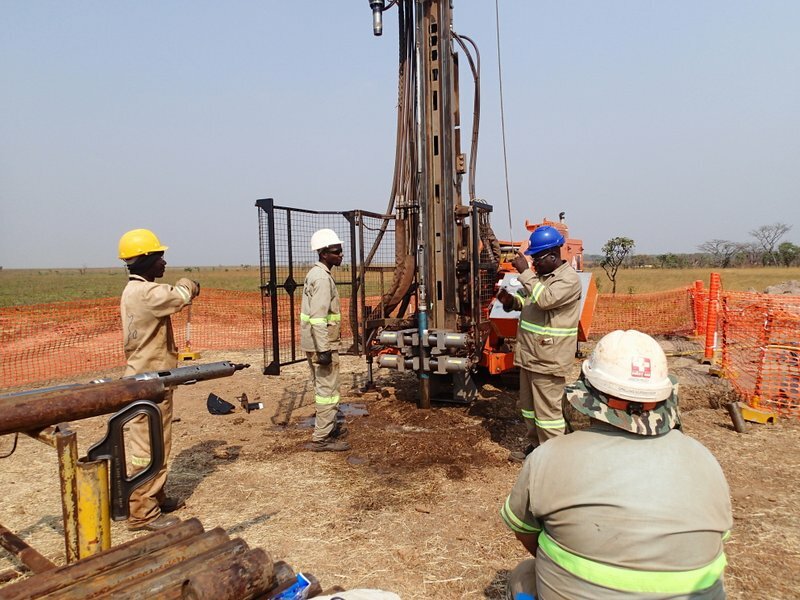 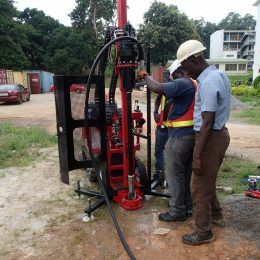 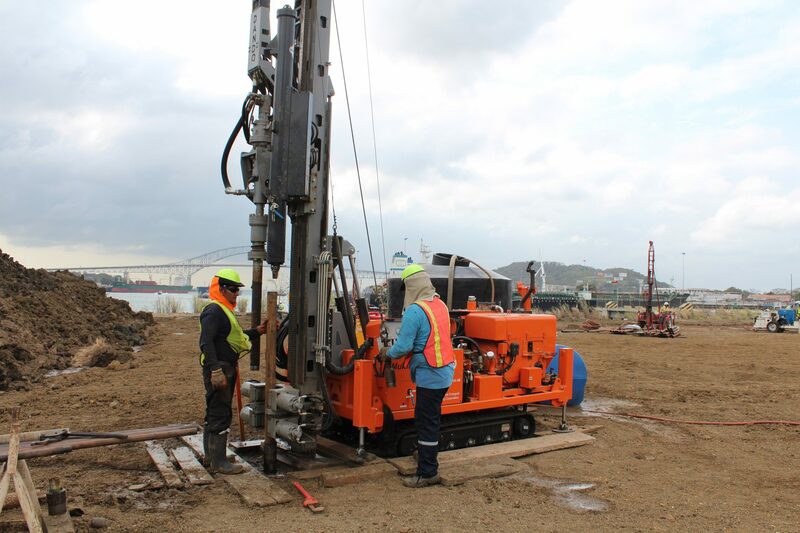 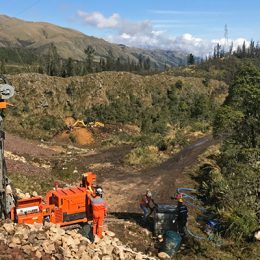 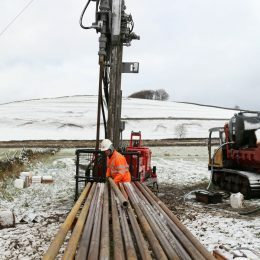 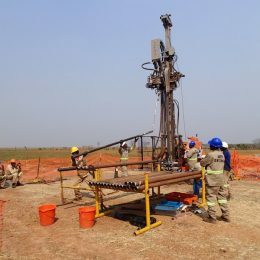 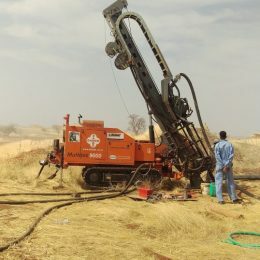 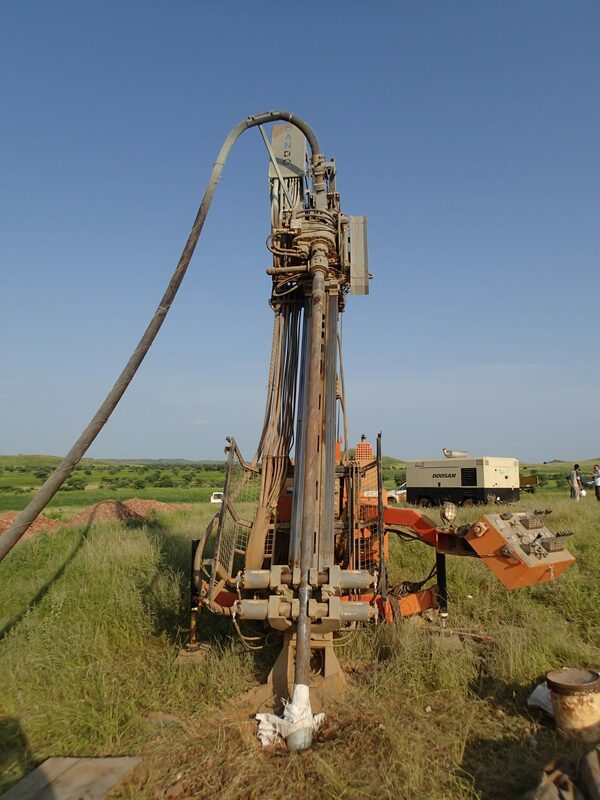 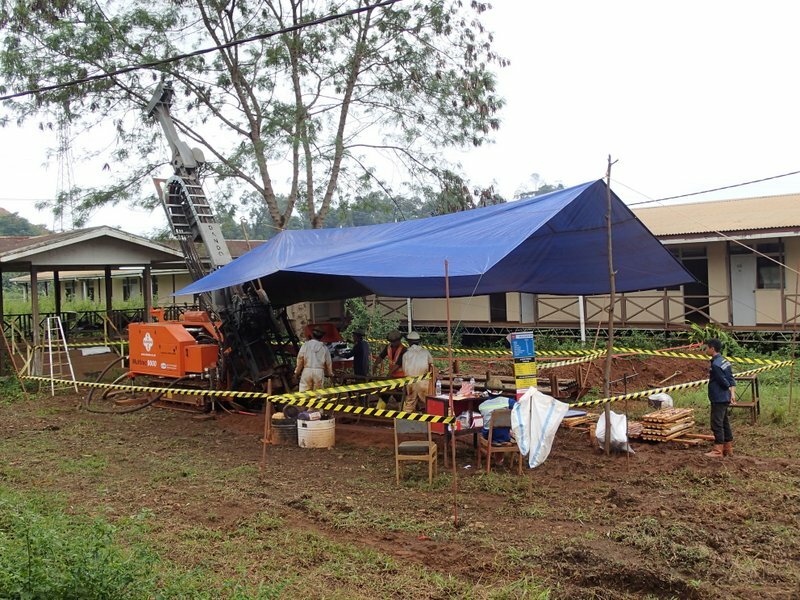 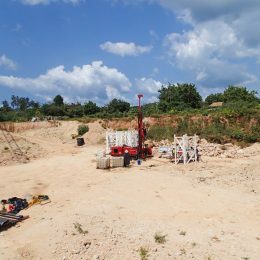 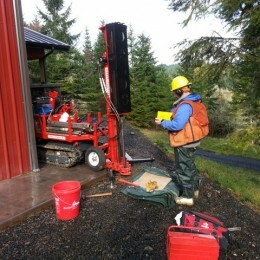 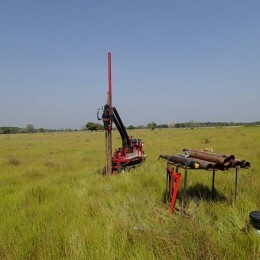 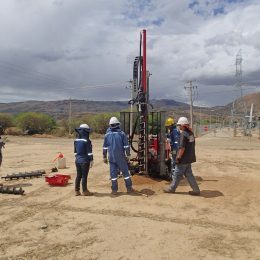 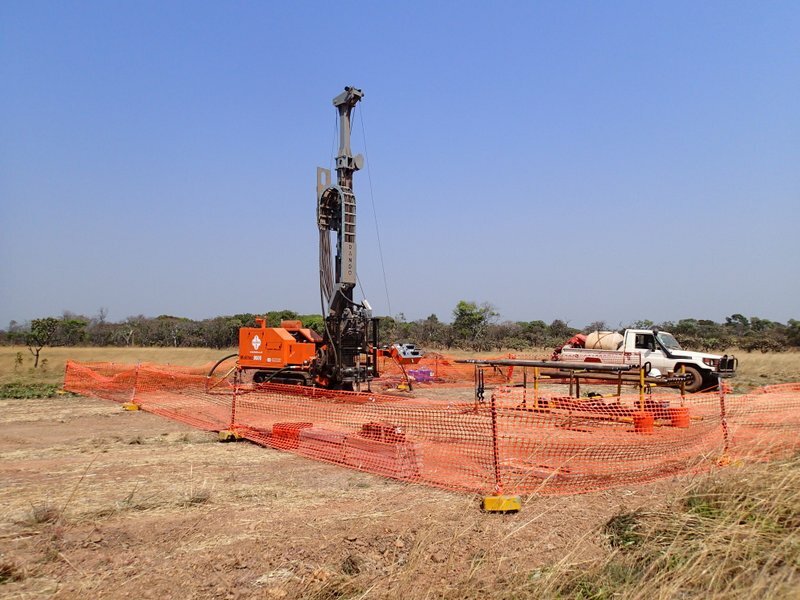 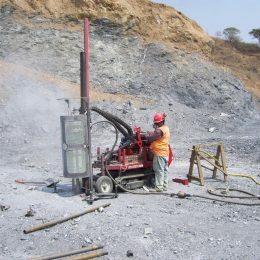 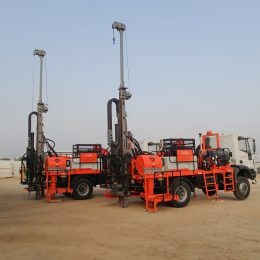 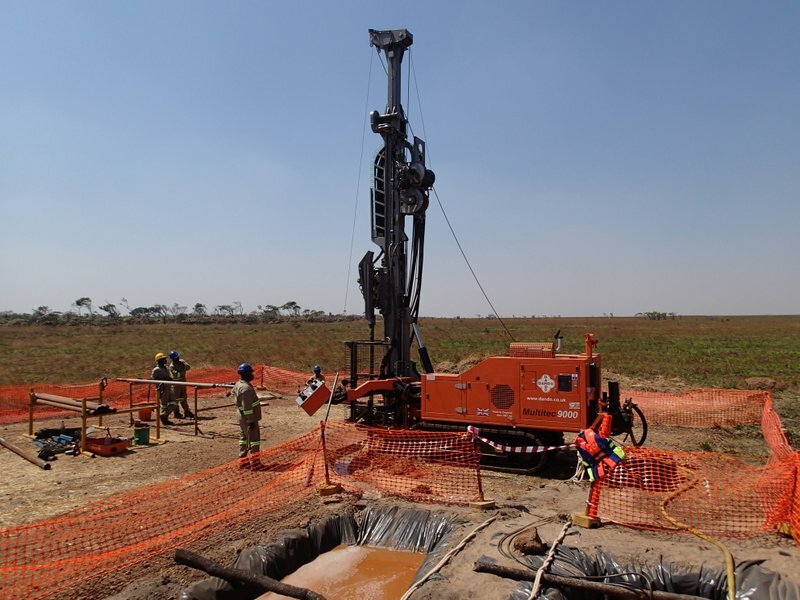 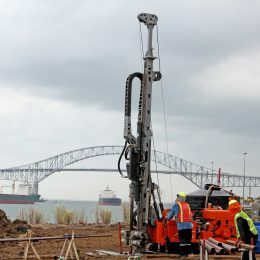 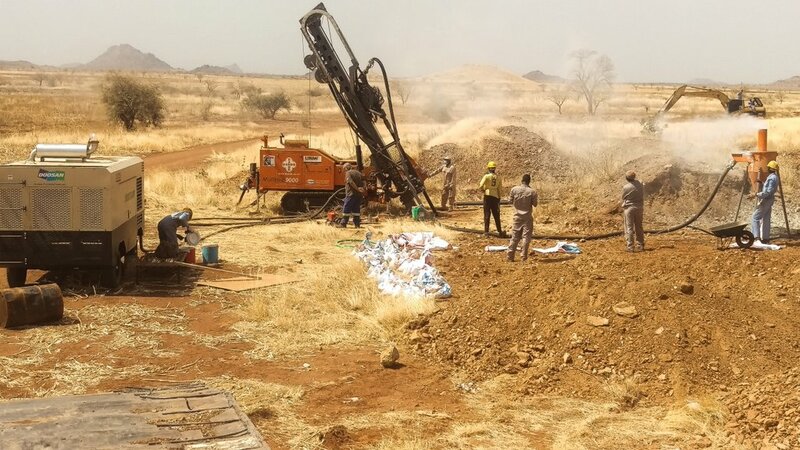 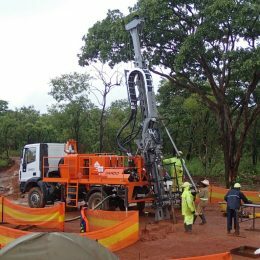 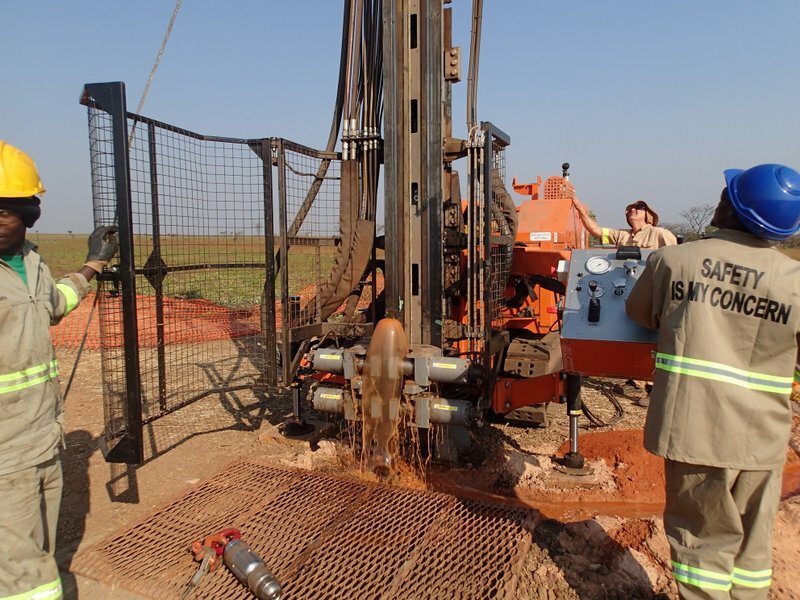 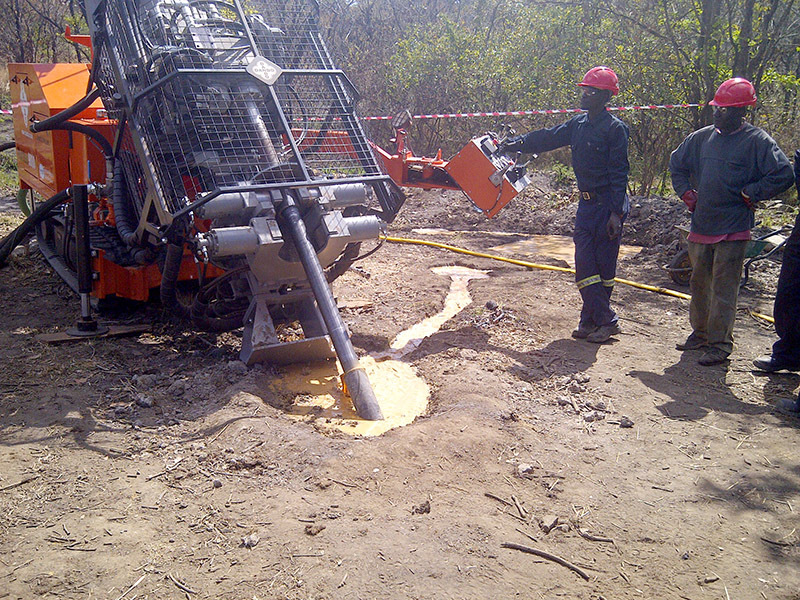 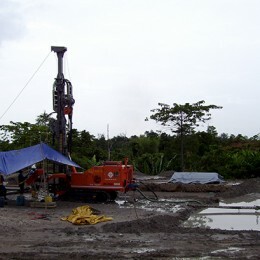 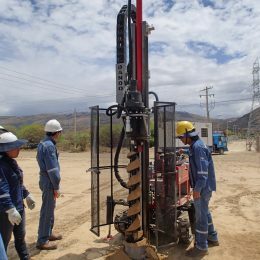 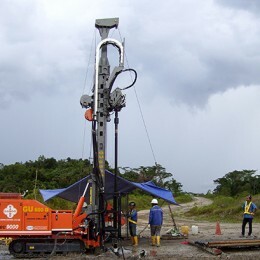 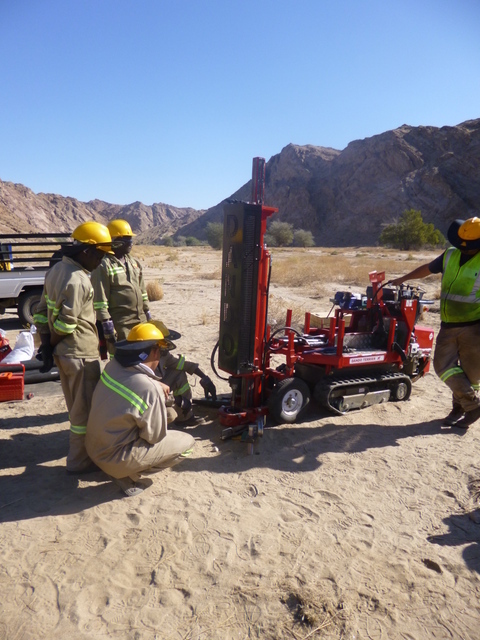 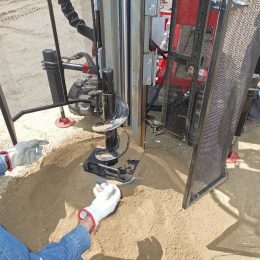 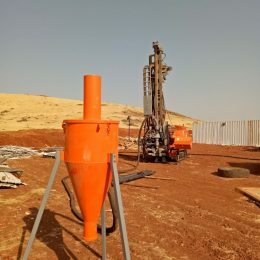 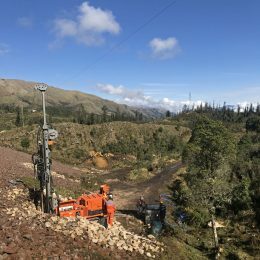 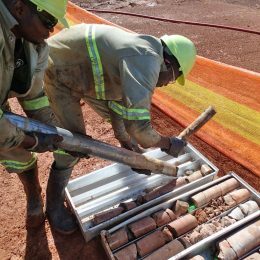 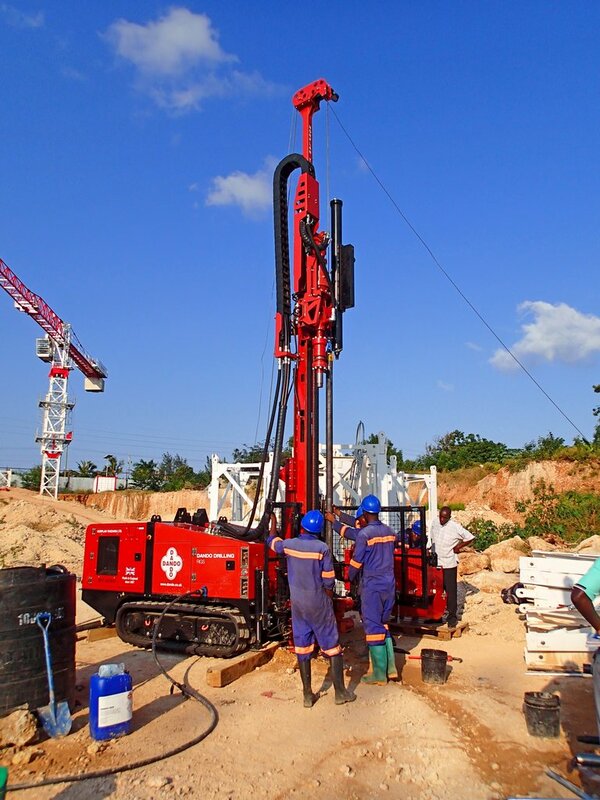 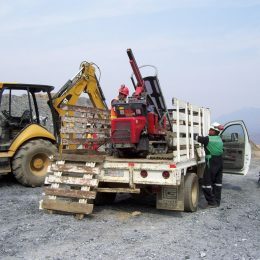 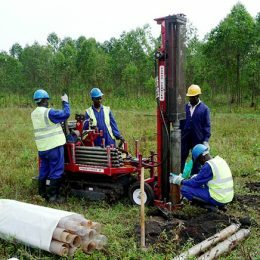 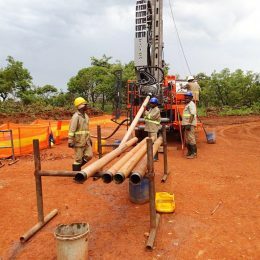 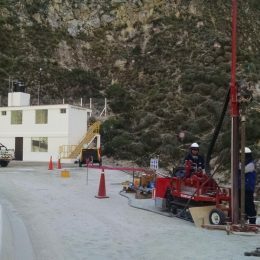 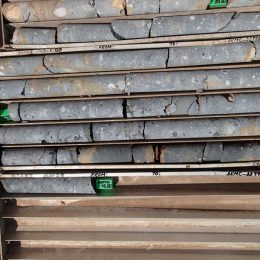 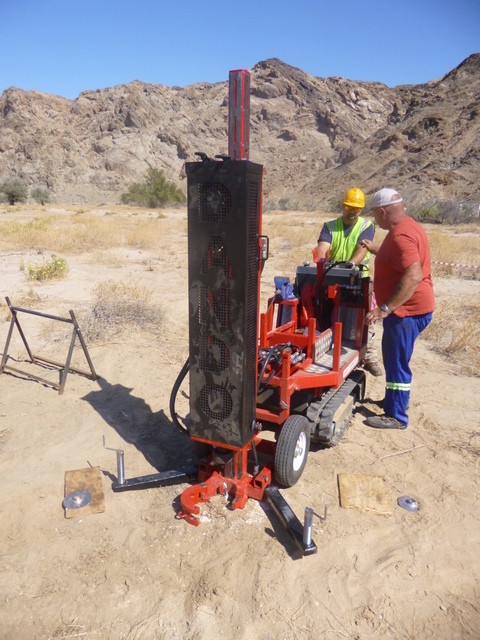 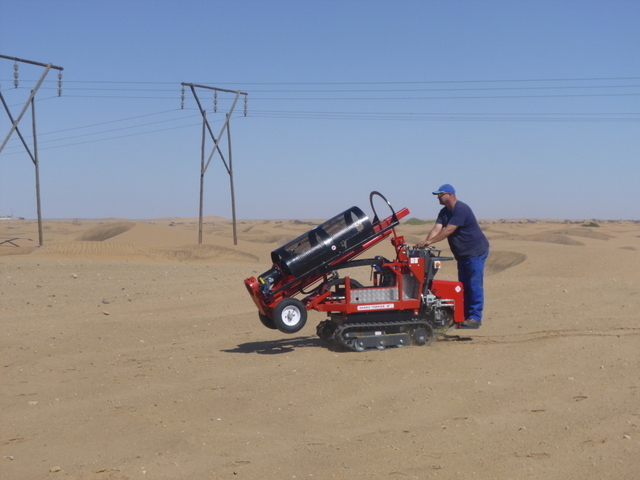 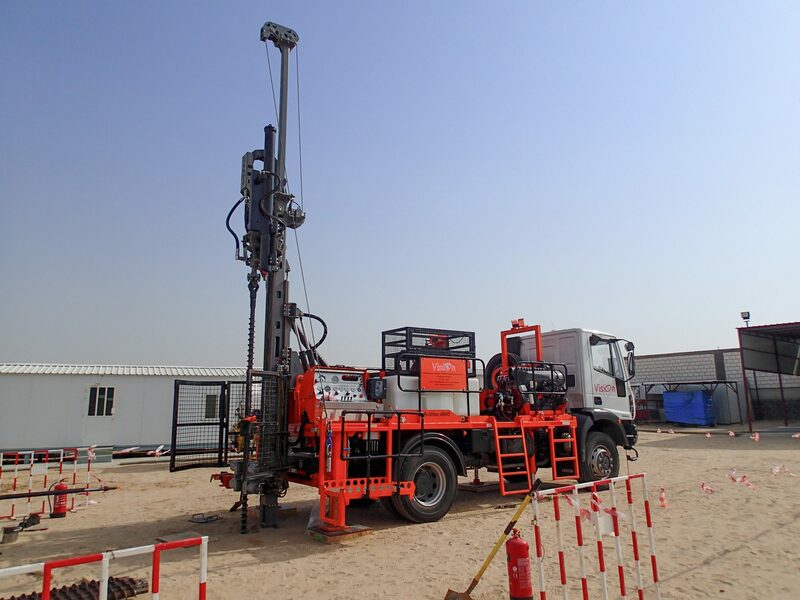 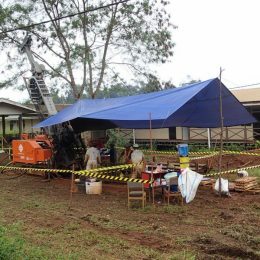 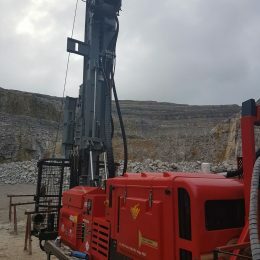 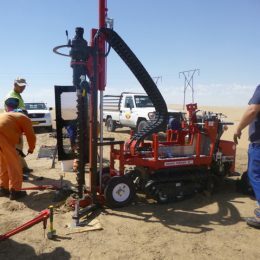 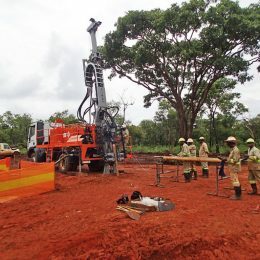 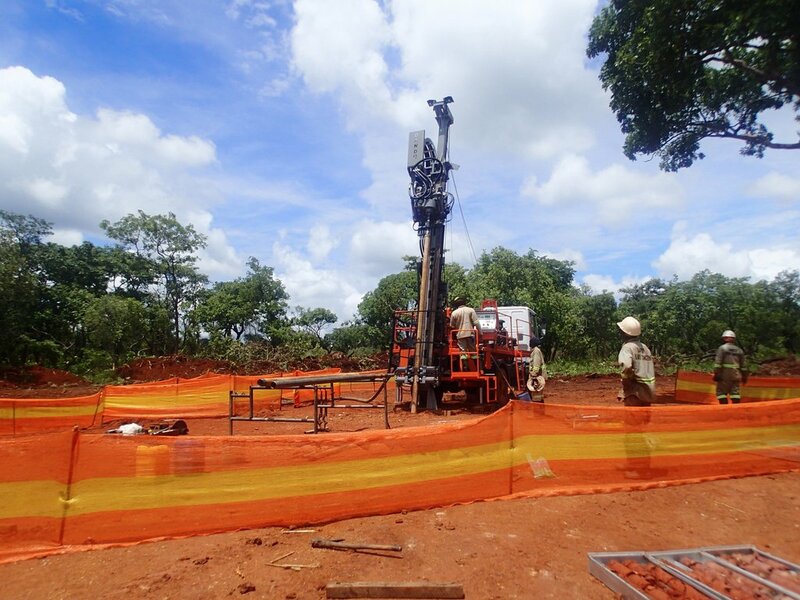 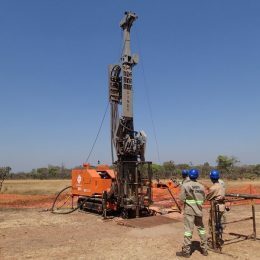 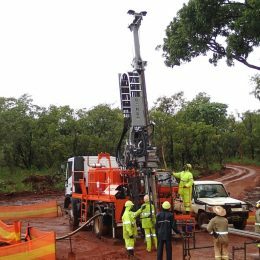 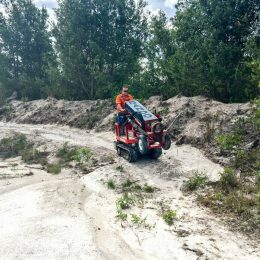 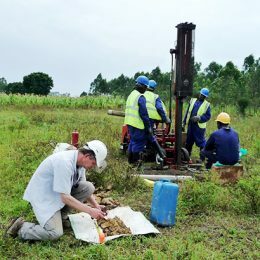 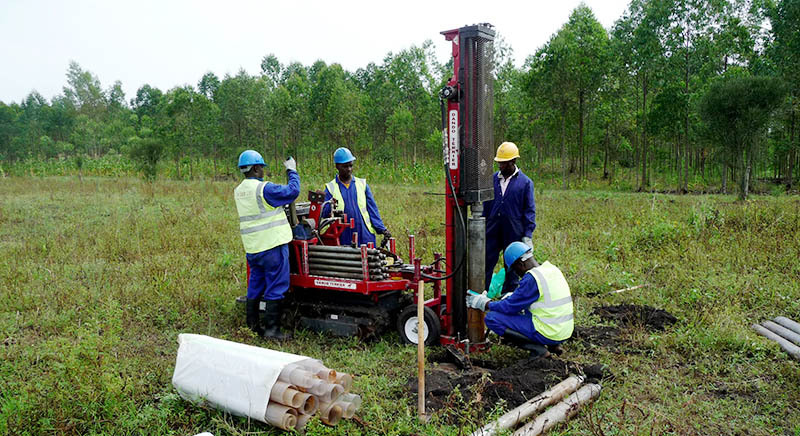 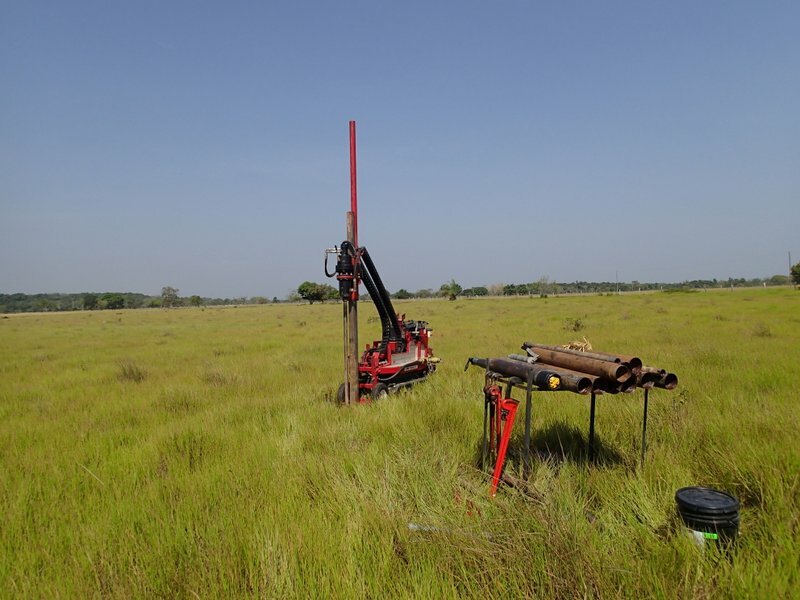 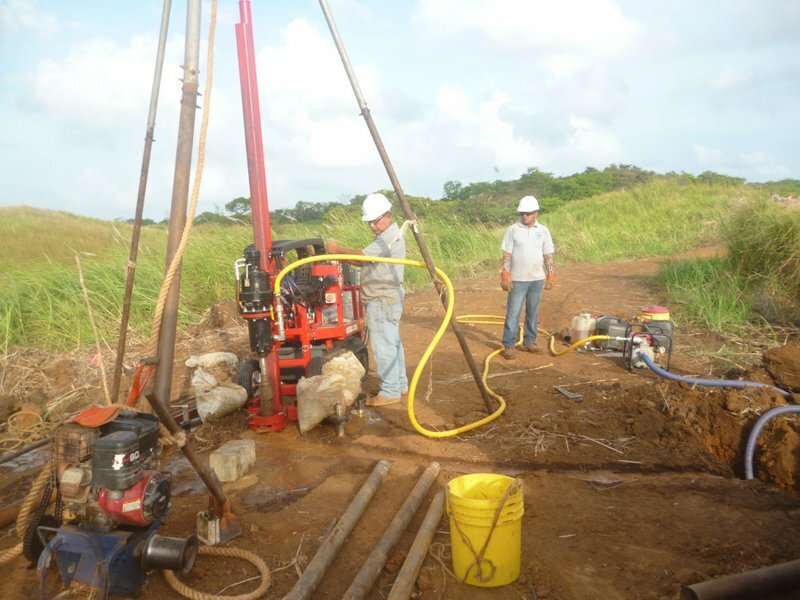 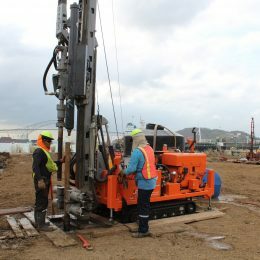 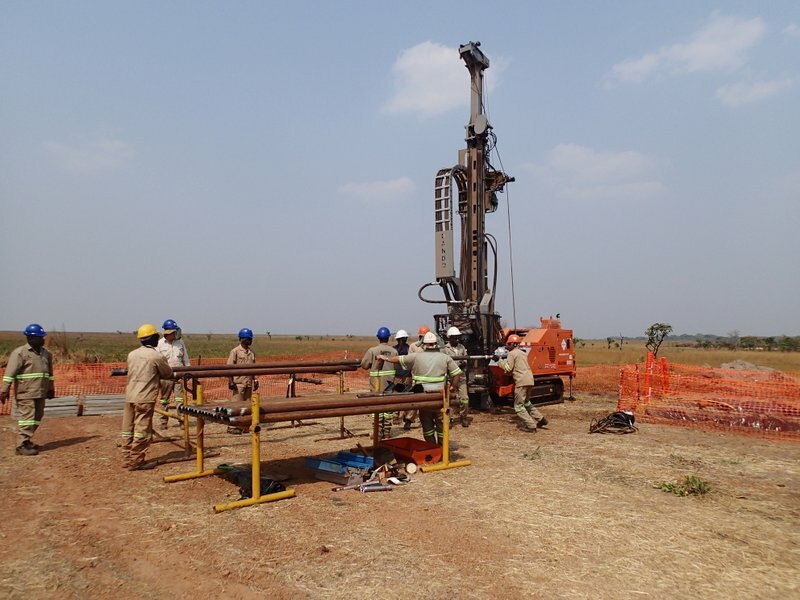 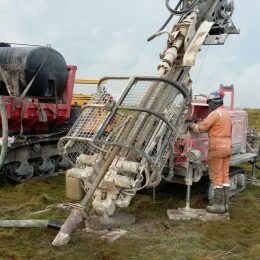 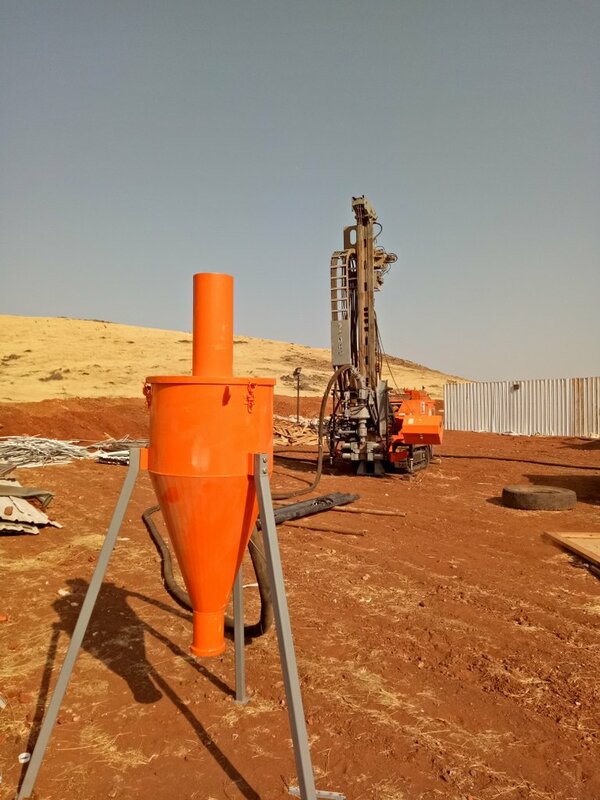 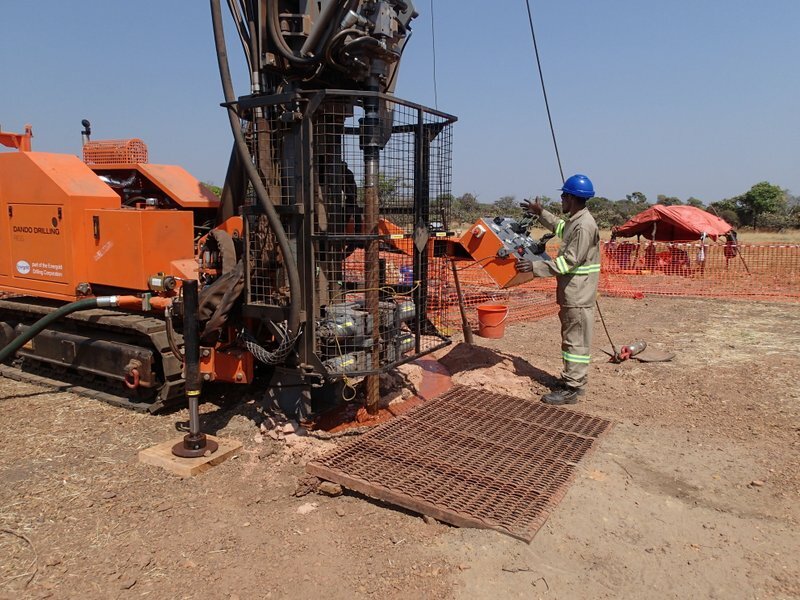 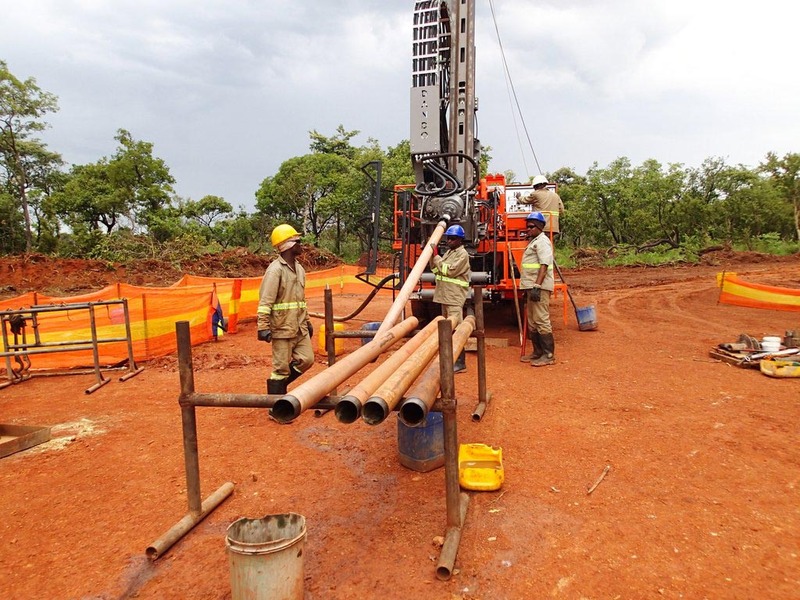 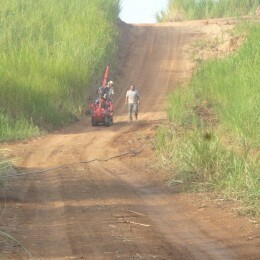 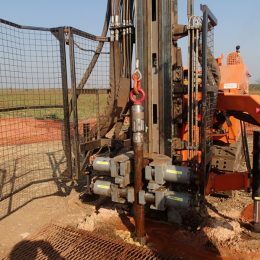 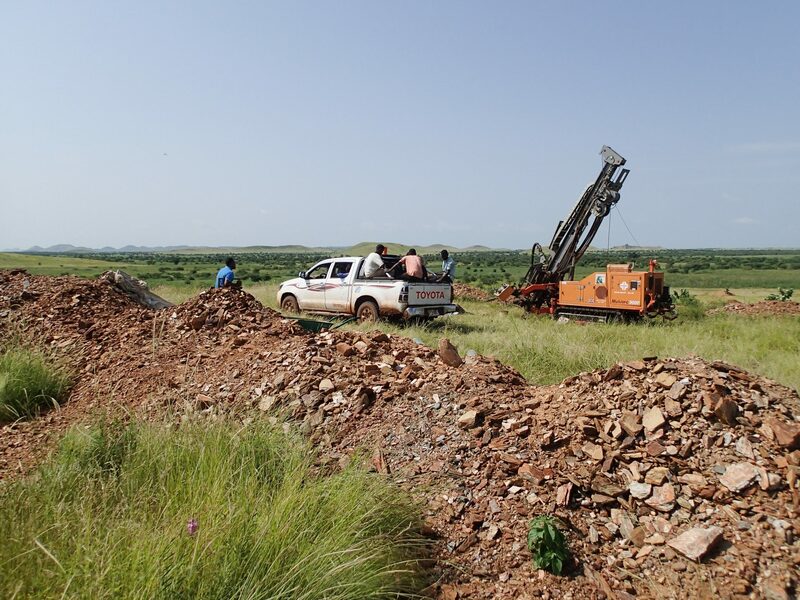 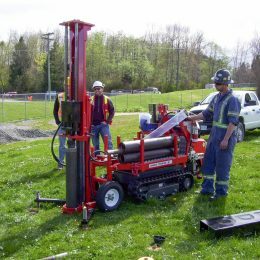 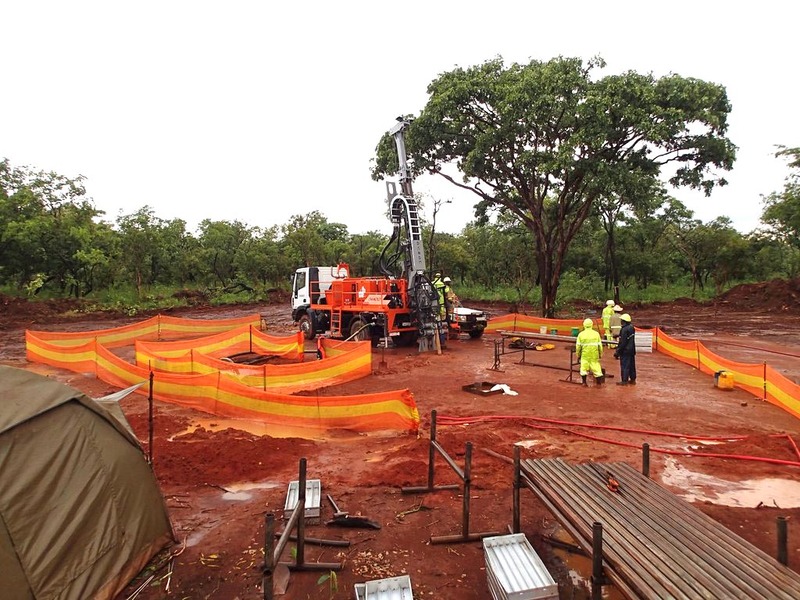 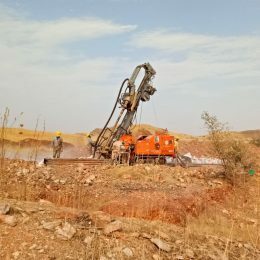 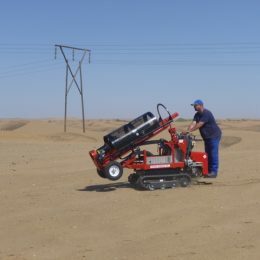 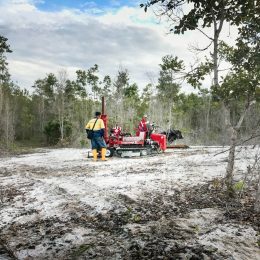 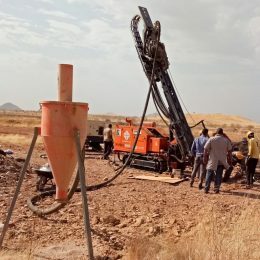 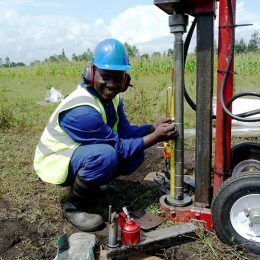 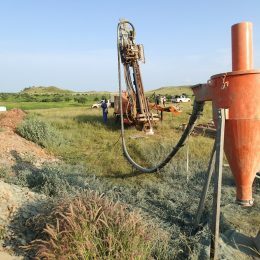 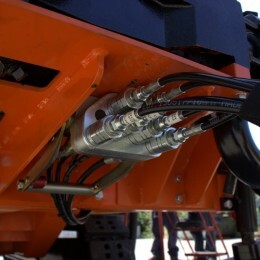 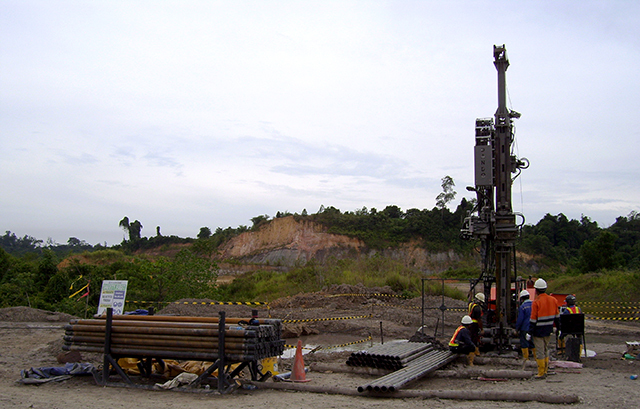 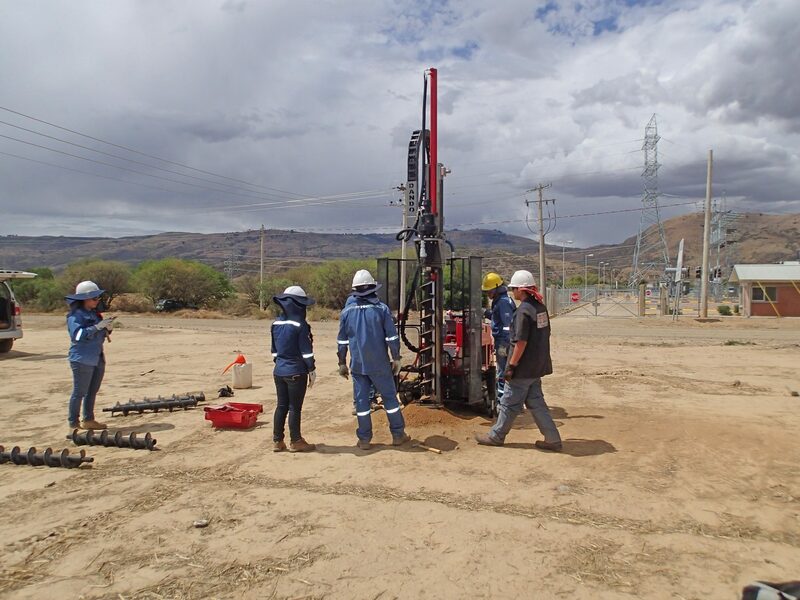 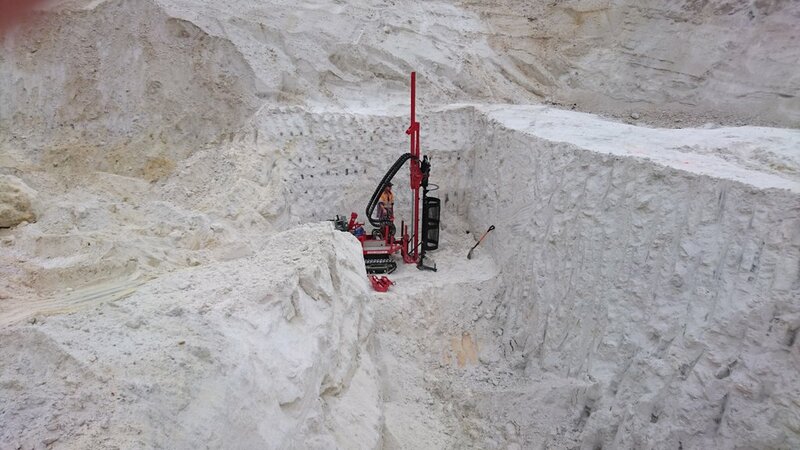 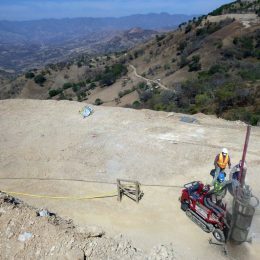 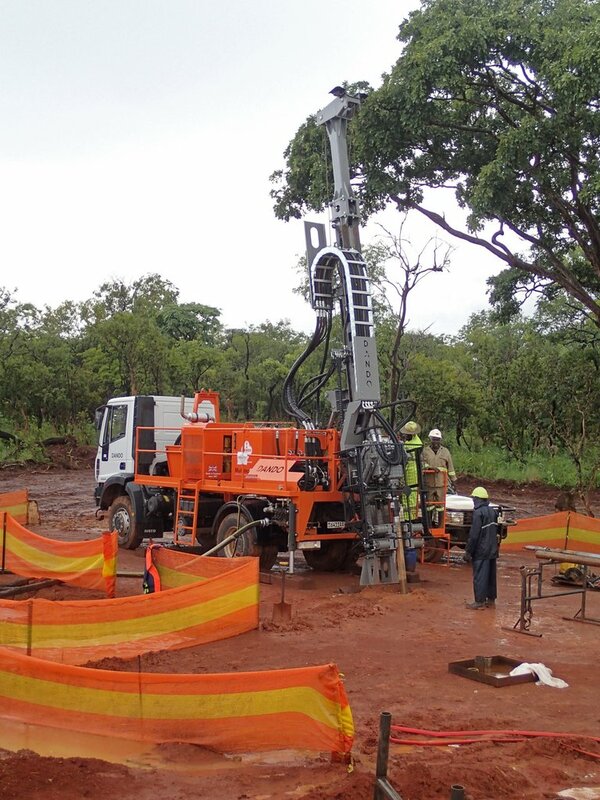 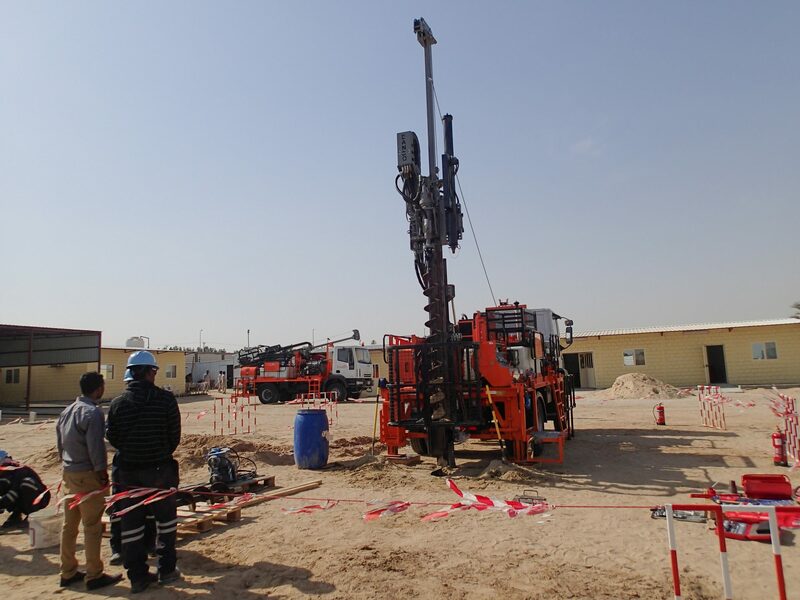 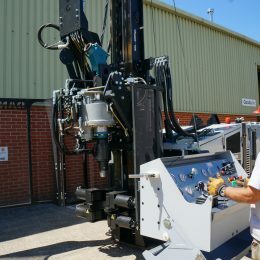 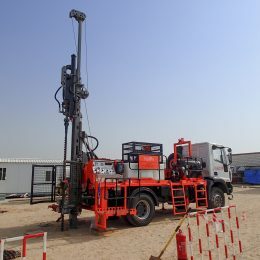 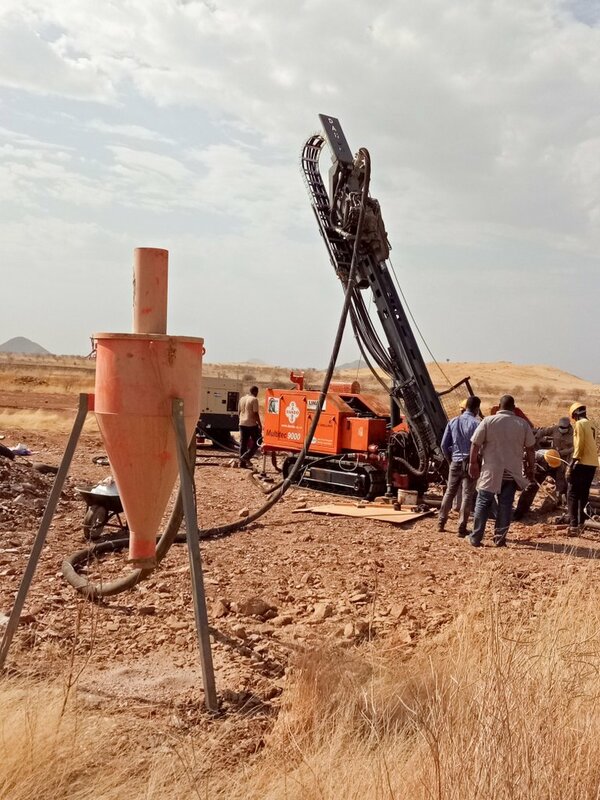 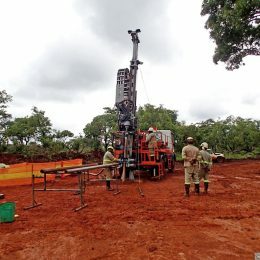 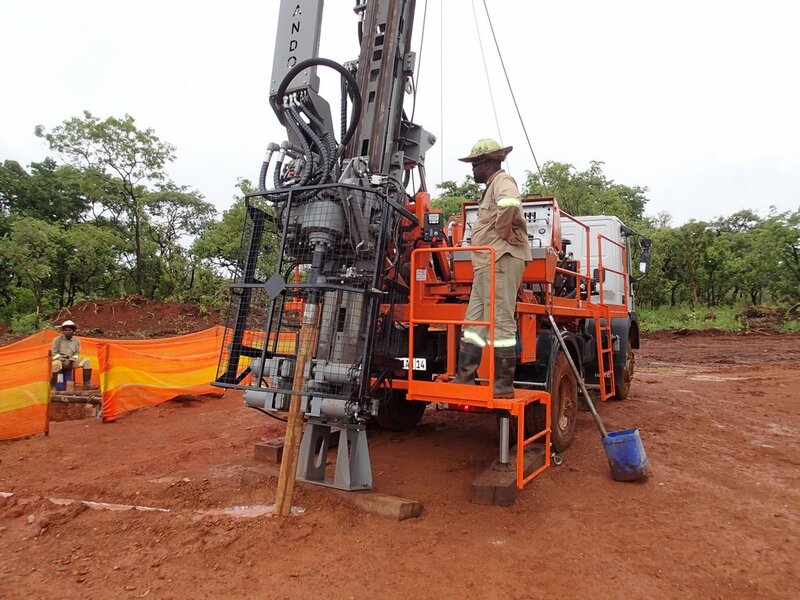 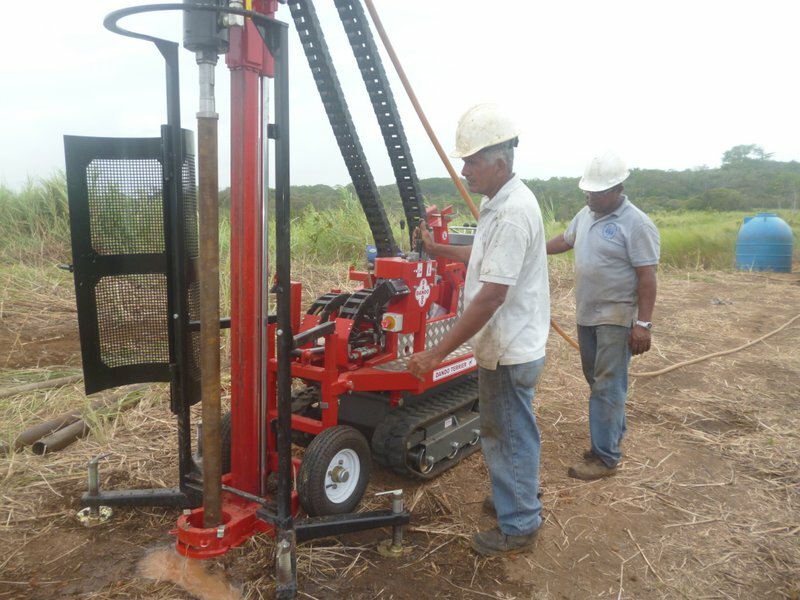 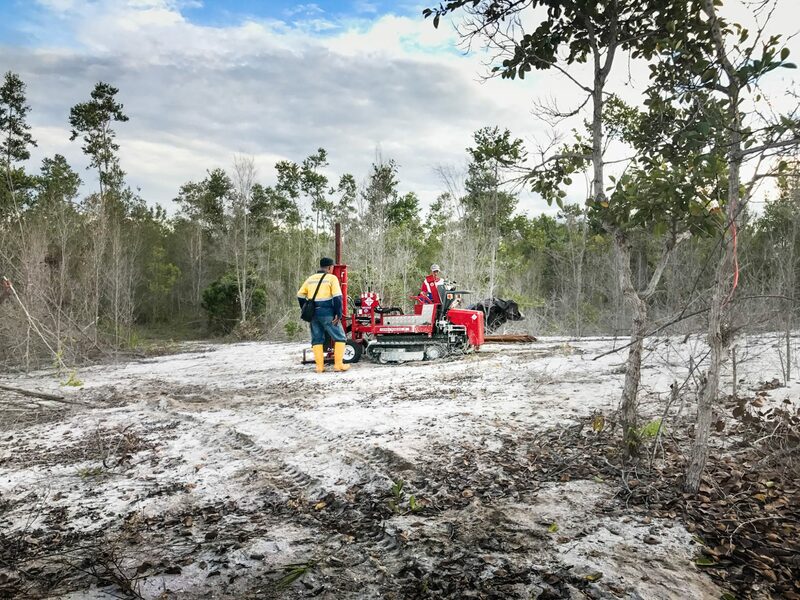 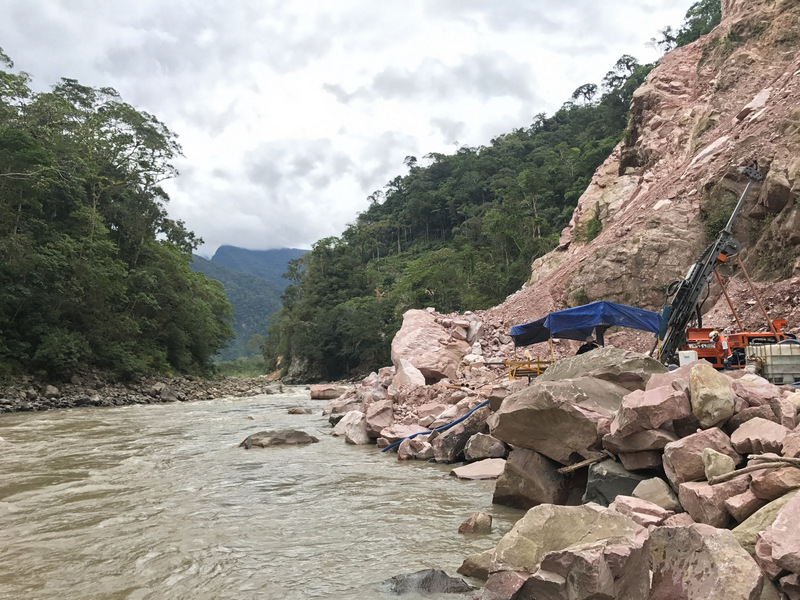 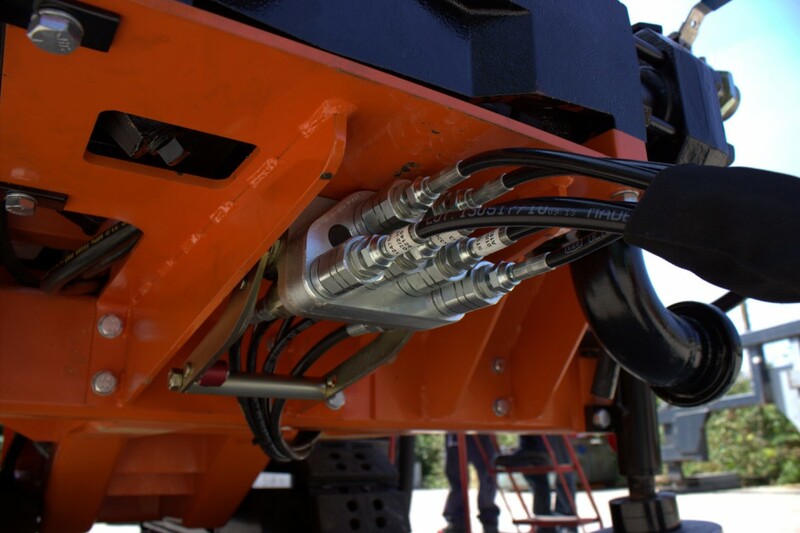 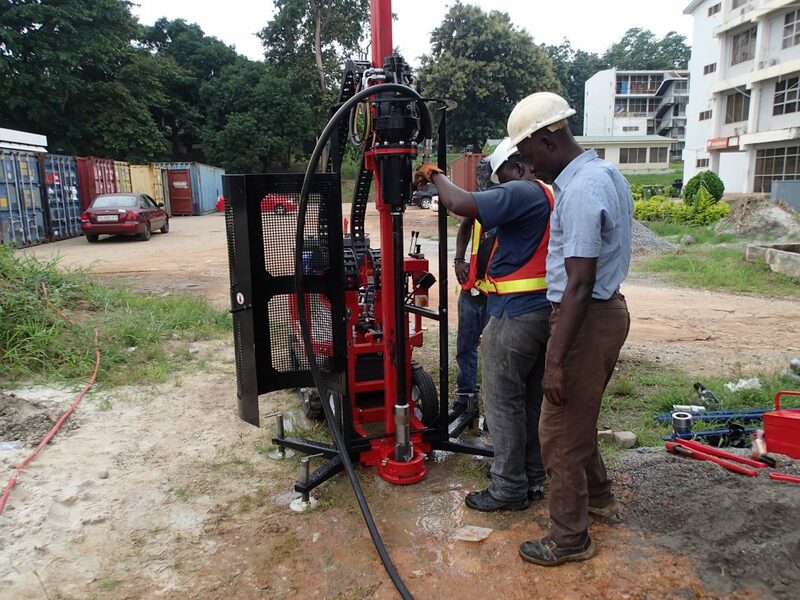 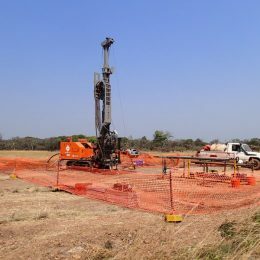 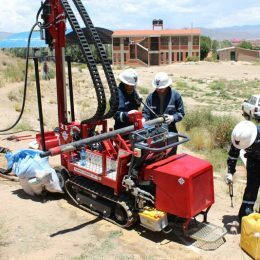 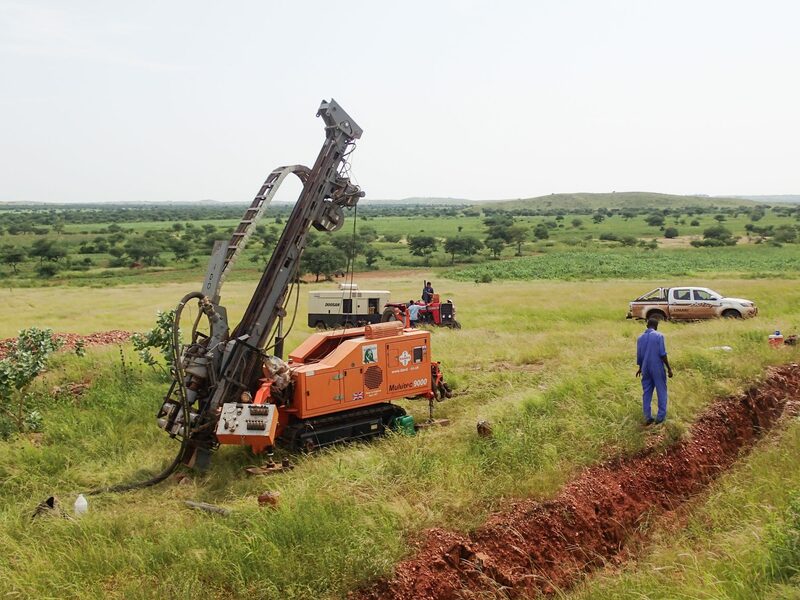 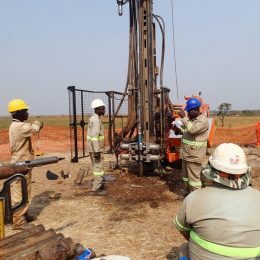 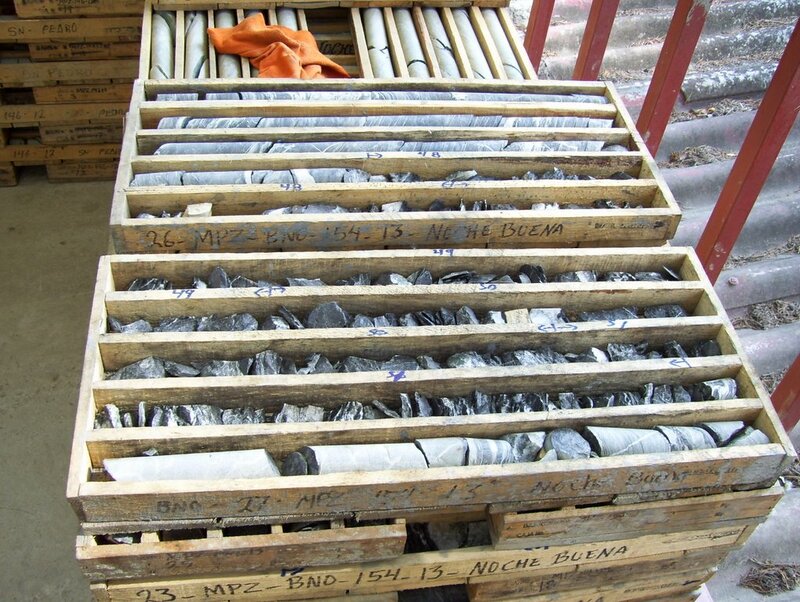 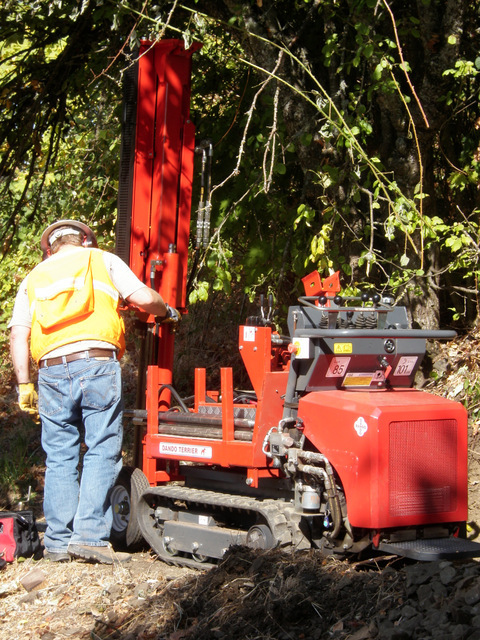 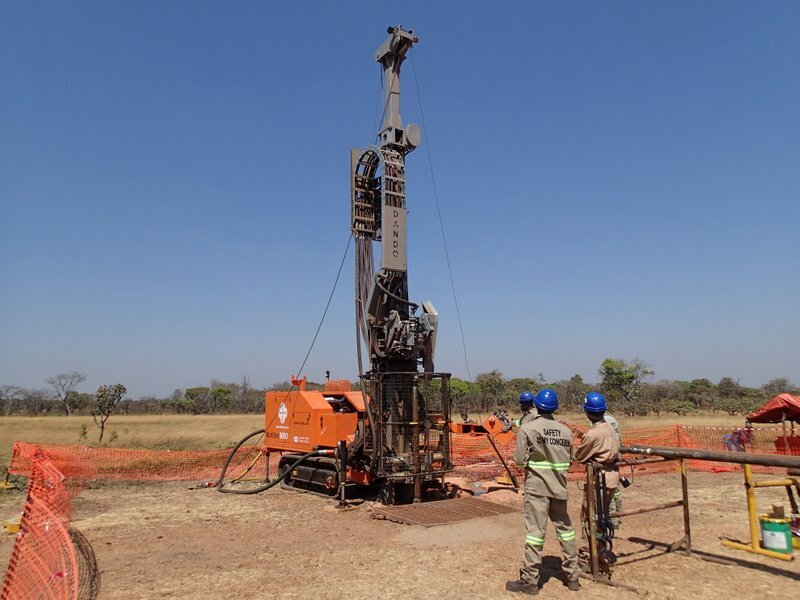 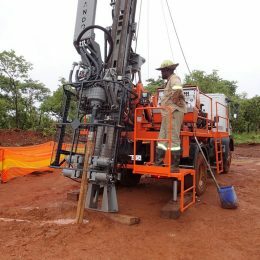 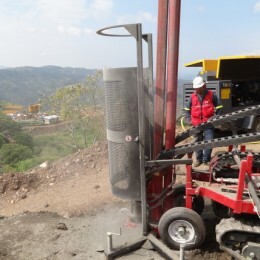 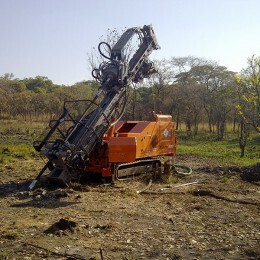 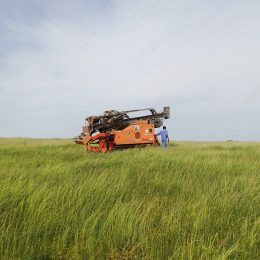 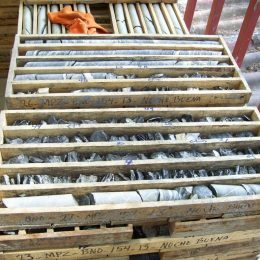 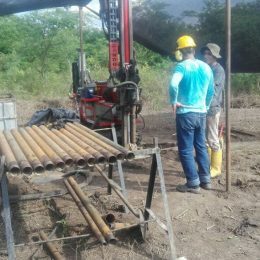 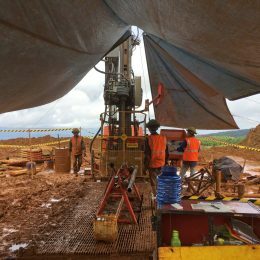 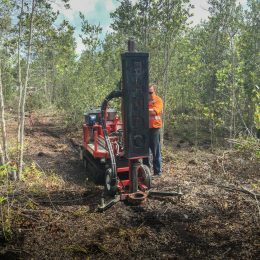 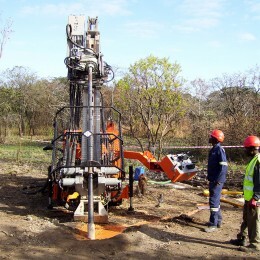 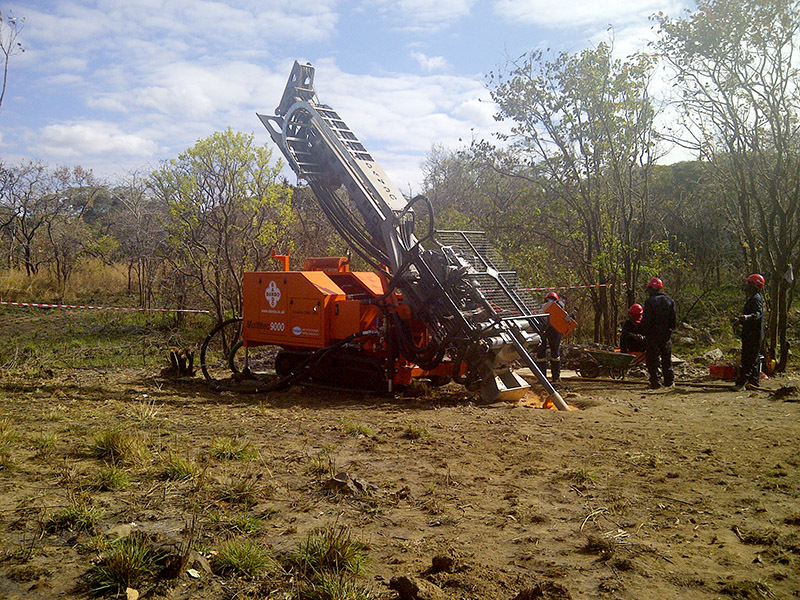 Requiring samples in the 10-15m range, Green Gold‘s drilling division, Indrill, required a small, lightweight rig with low ground pressure to navigate the fine powder-white sand. 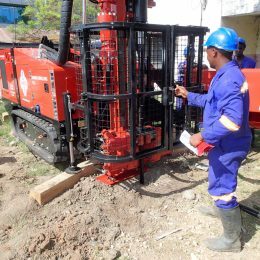 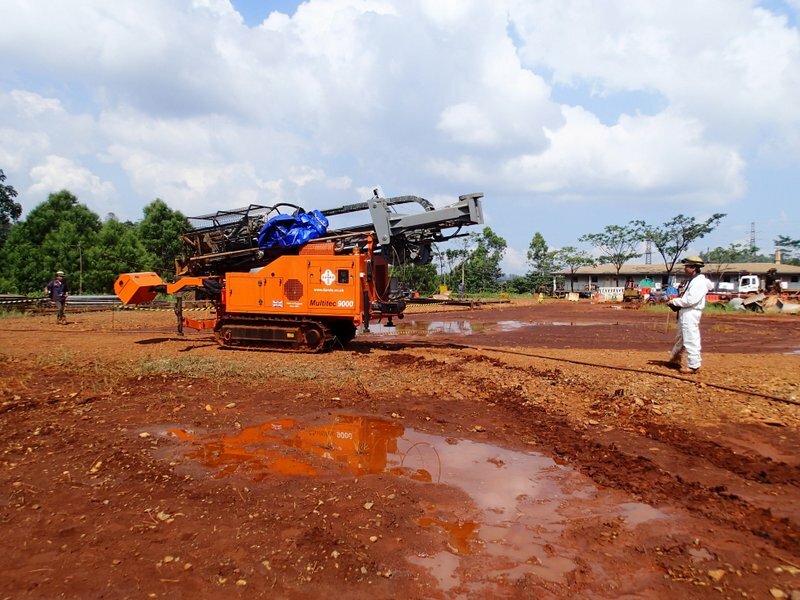 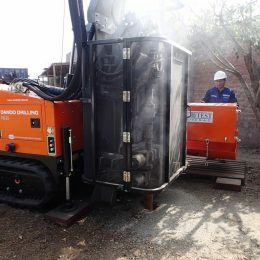 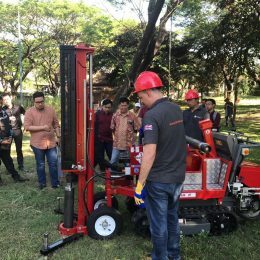 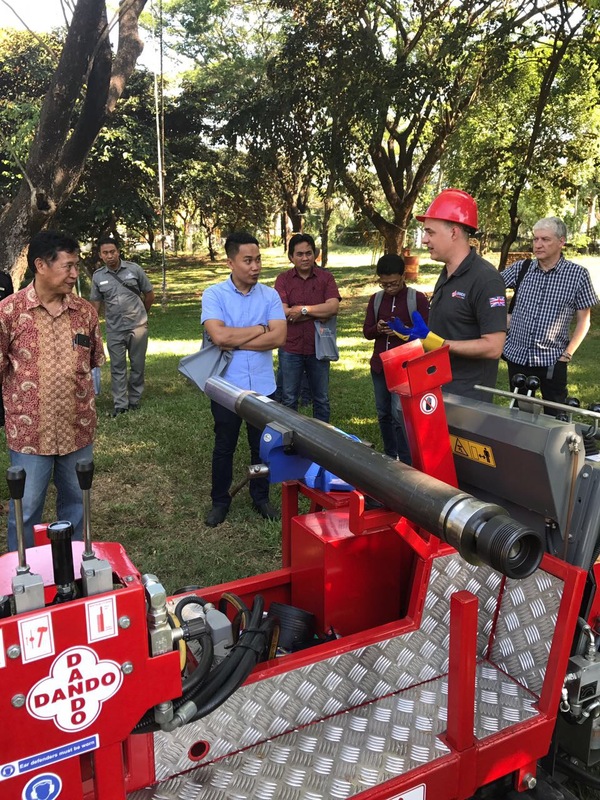 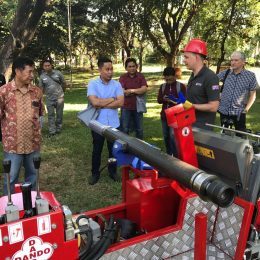 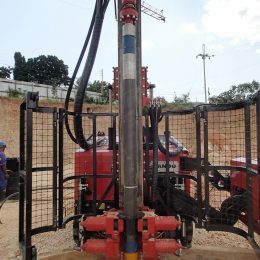 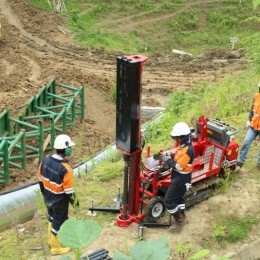 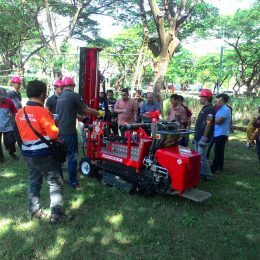 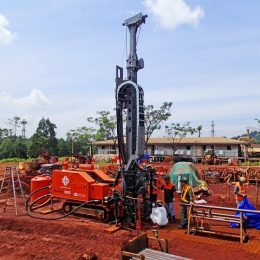 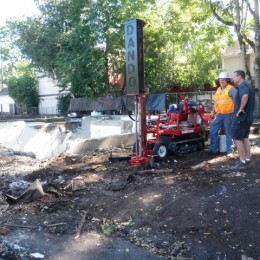 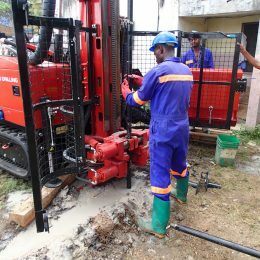 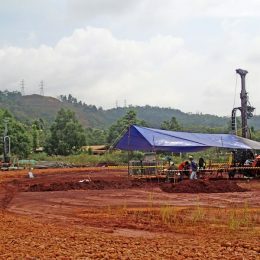 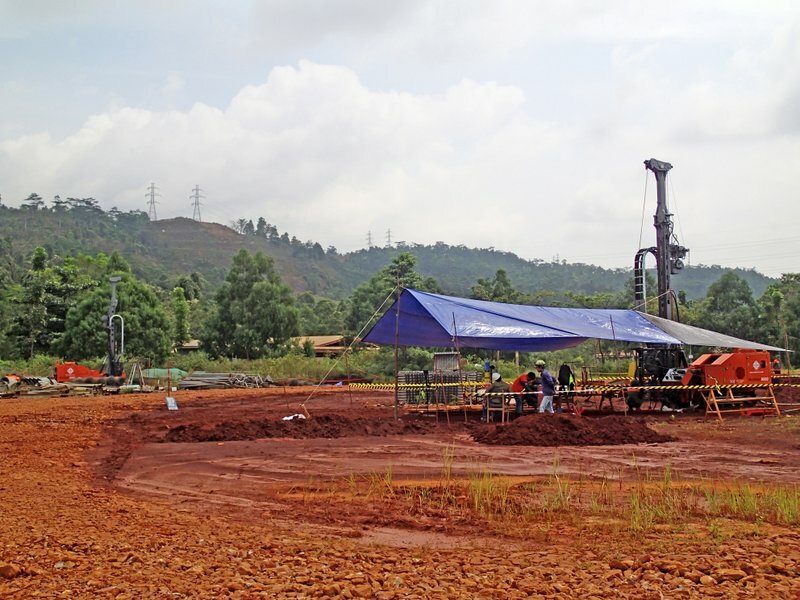 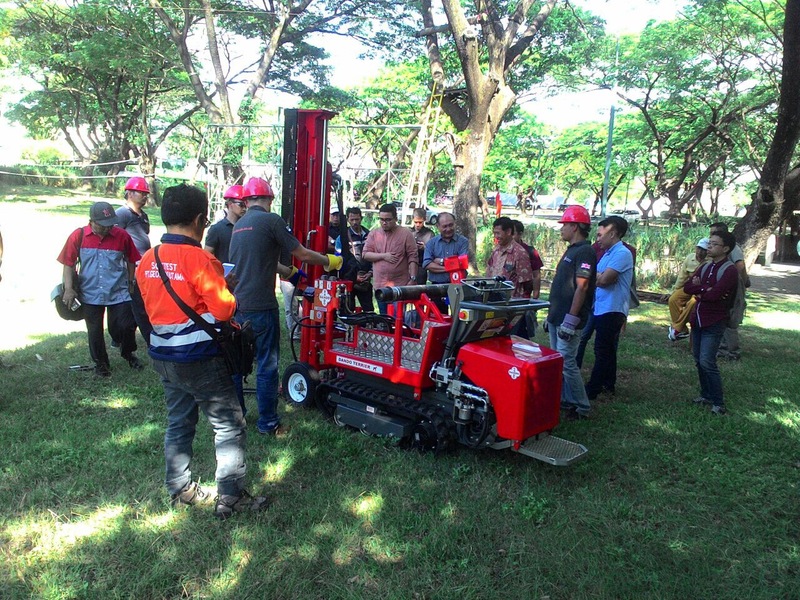 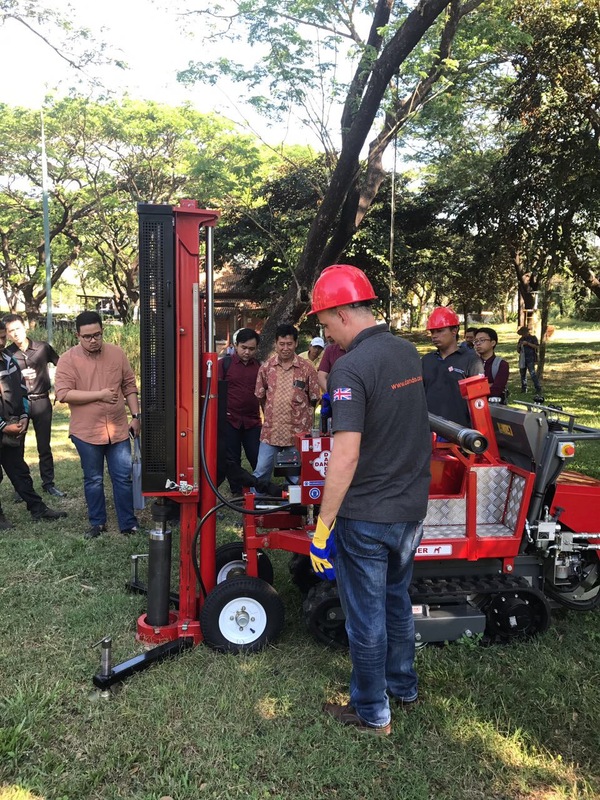 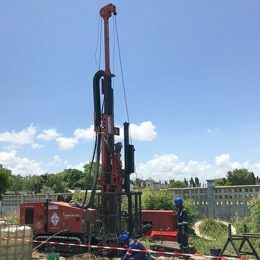 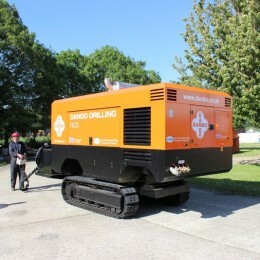 A Dando Terrier demonstration day held in Indonesia for a selection of companies within the country’s geotechnical sector. 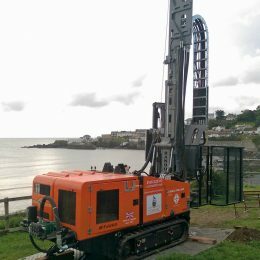 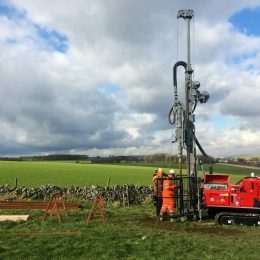 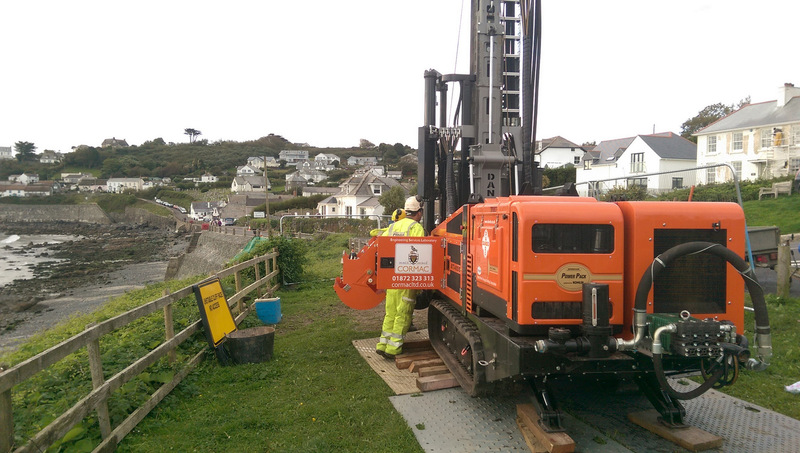 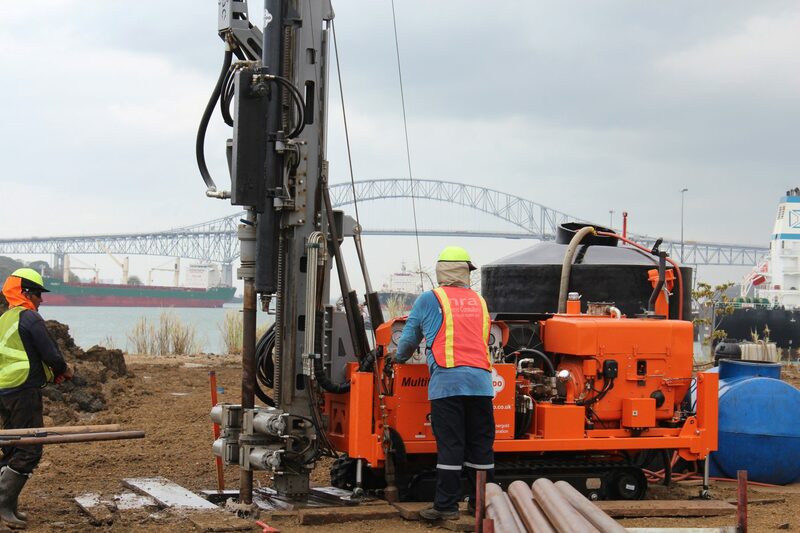 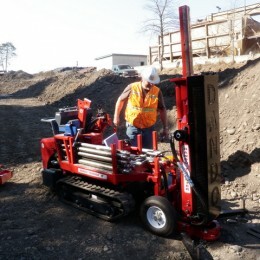 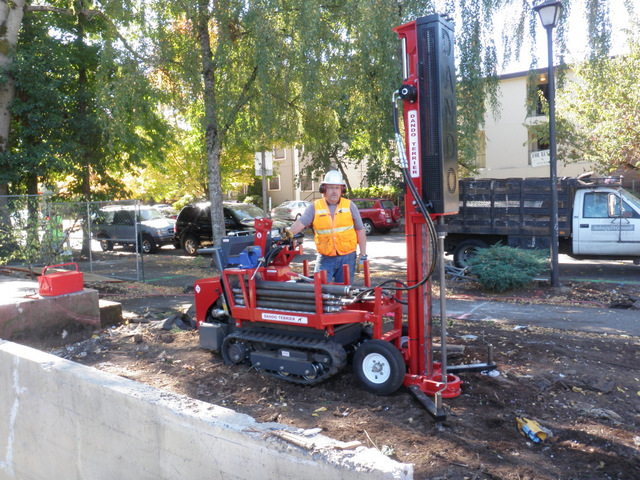 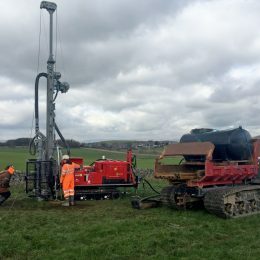 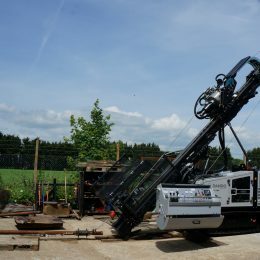 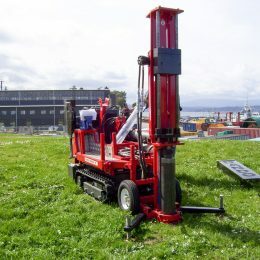 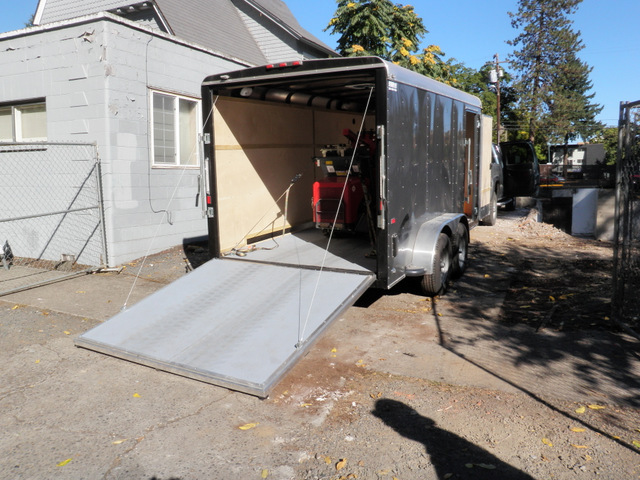 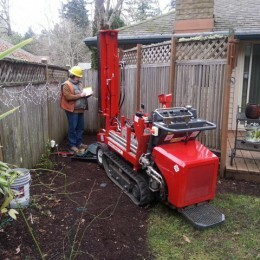 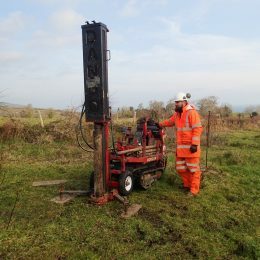 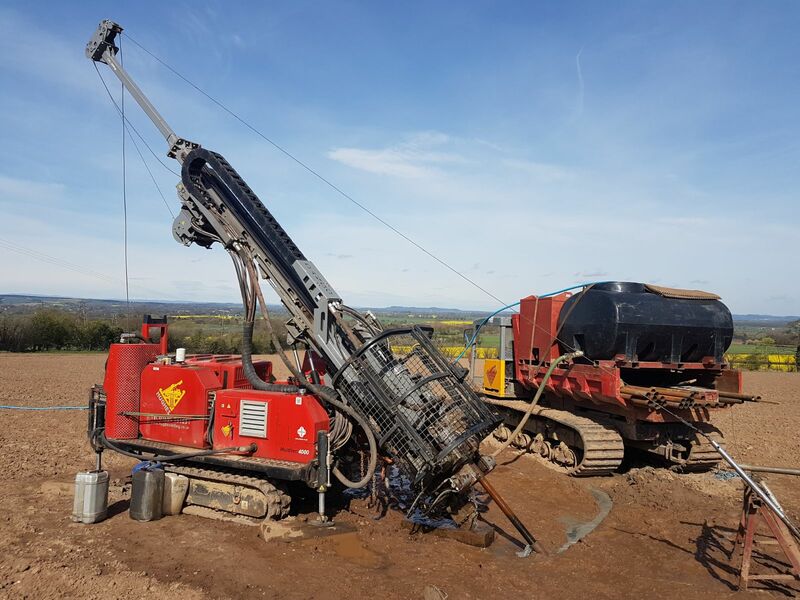 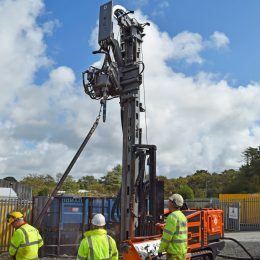 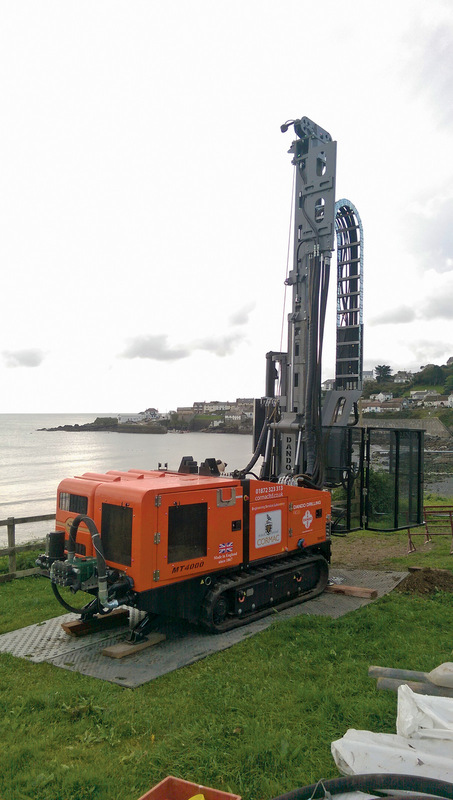 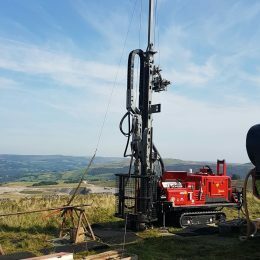 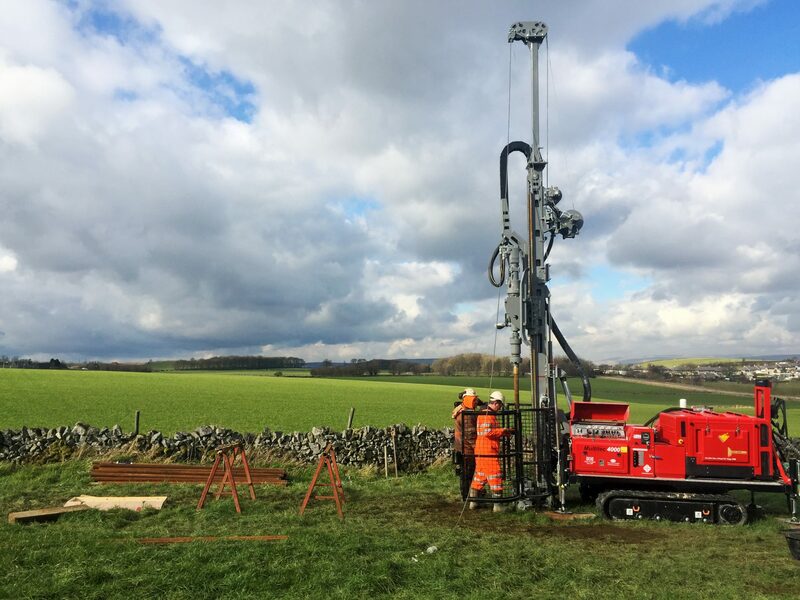 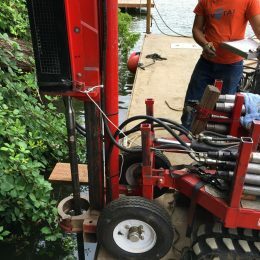 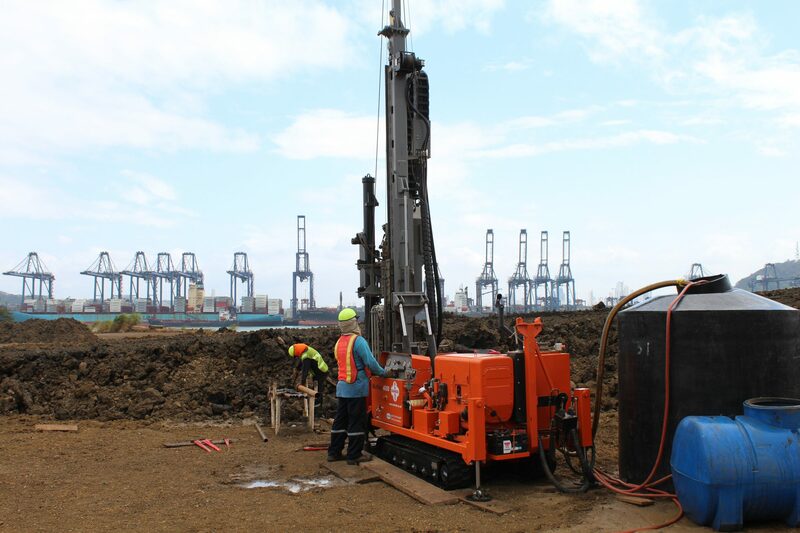 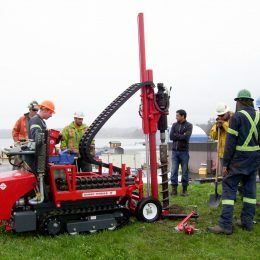 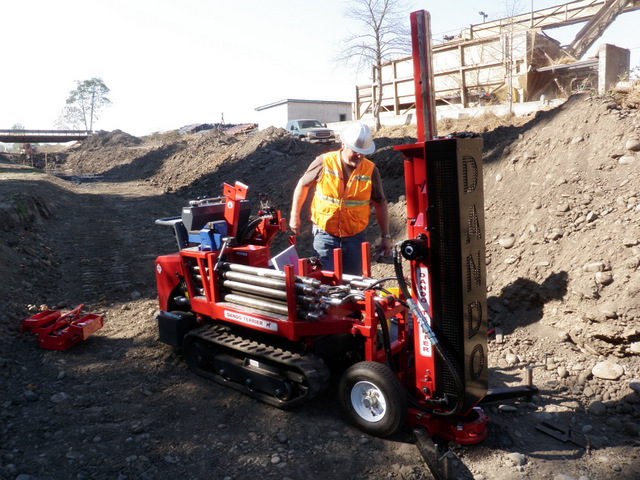 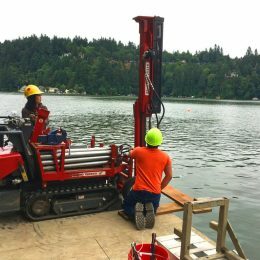 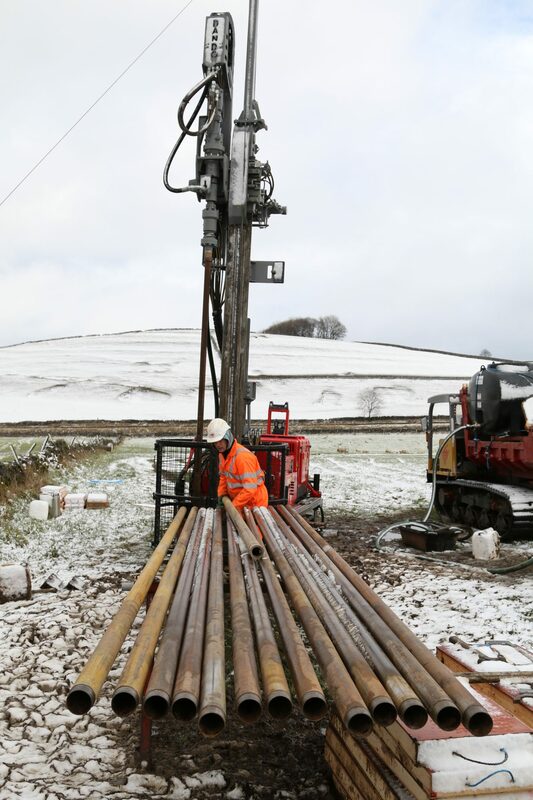 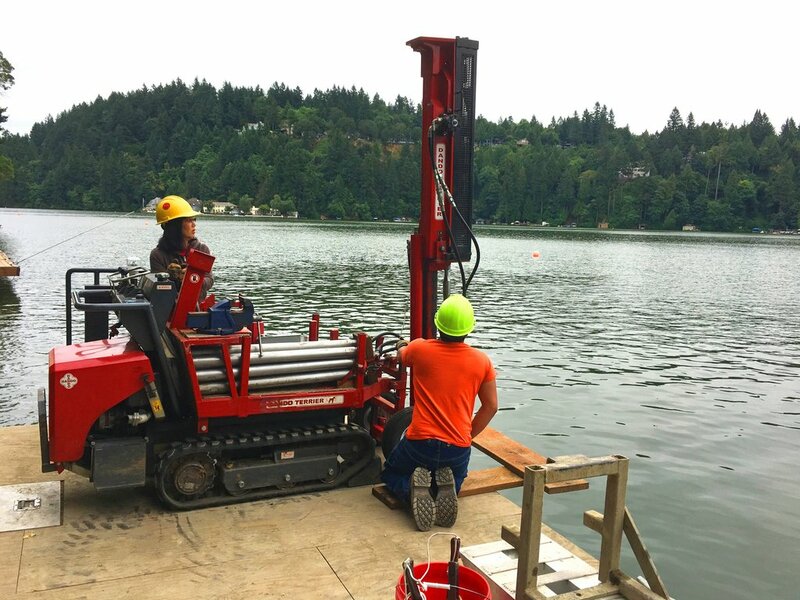 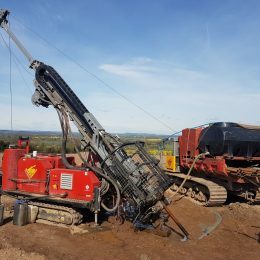 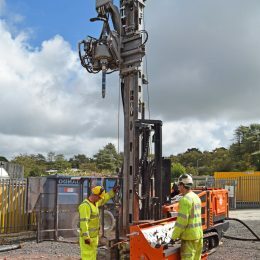 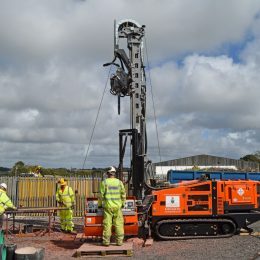 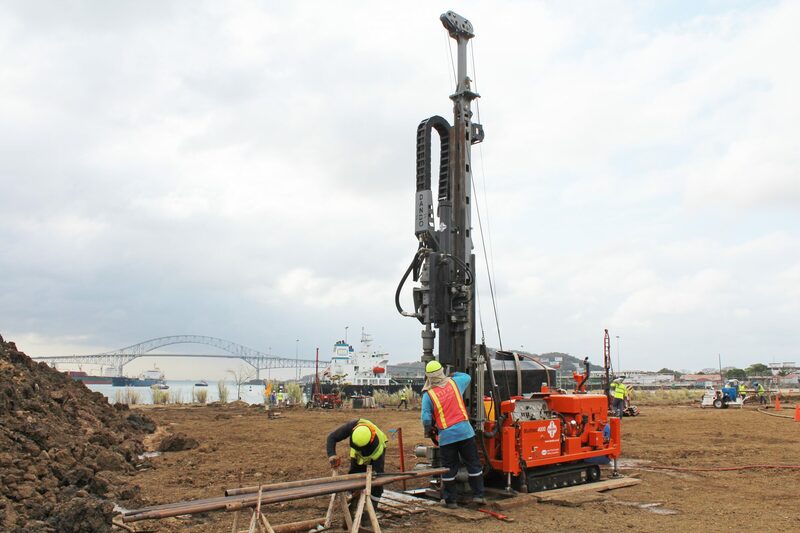 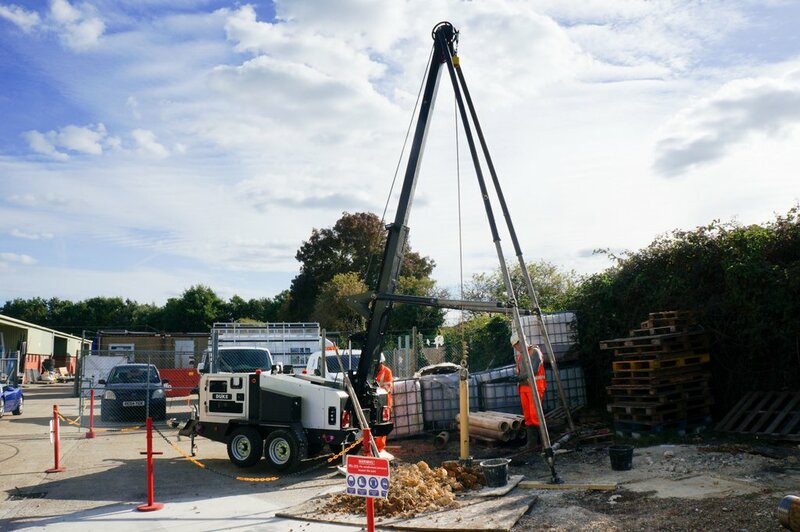 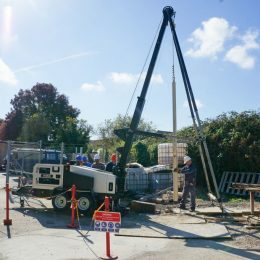 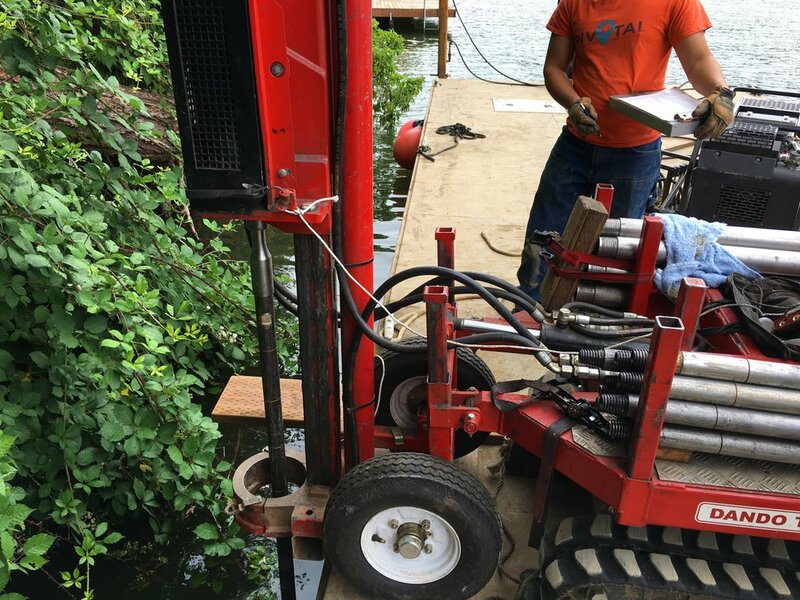 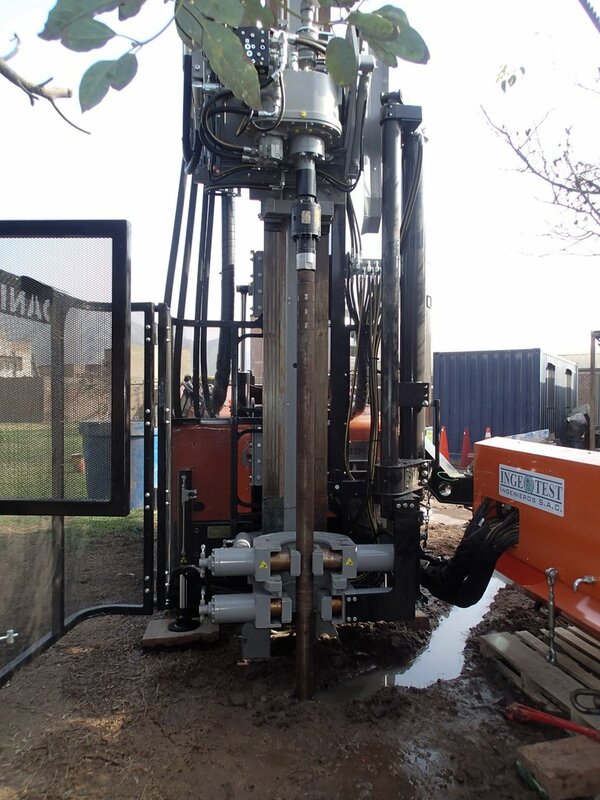 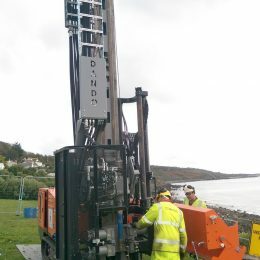 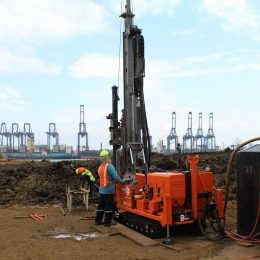 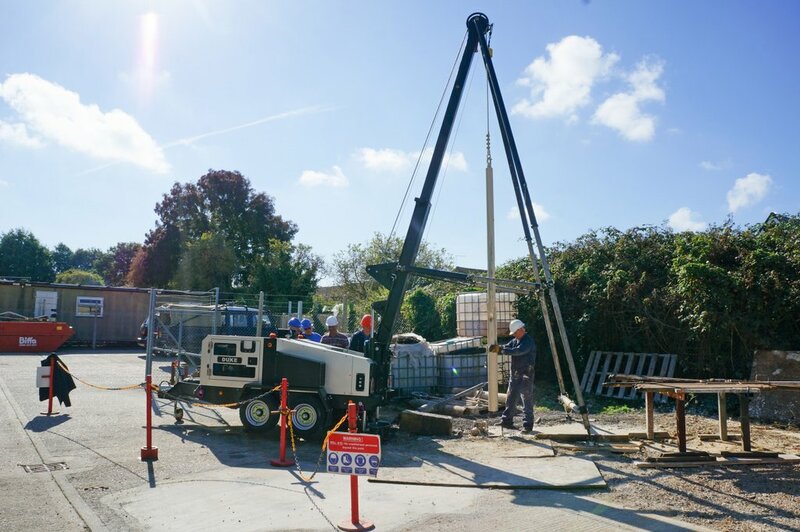 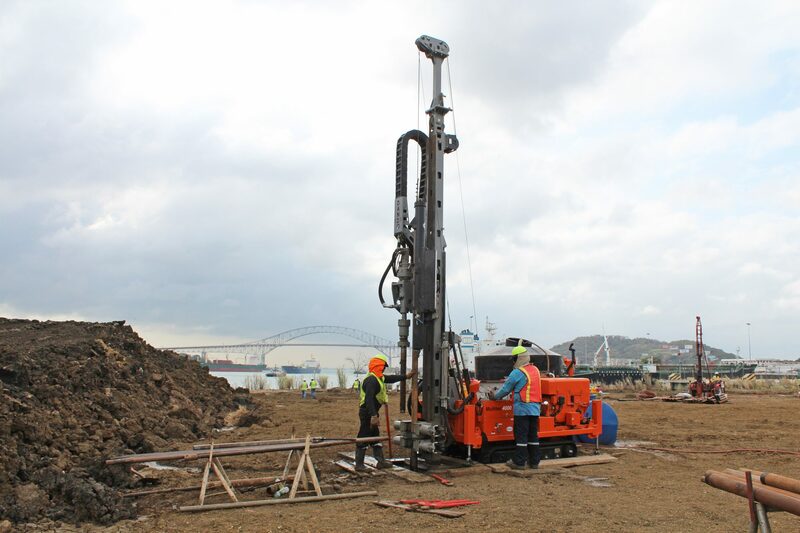 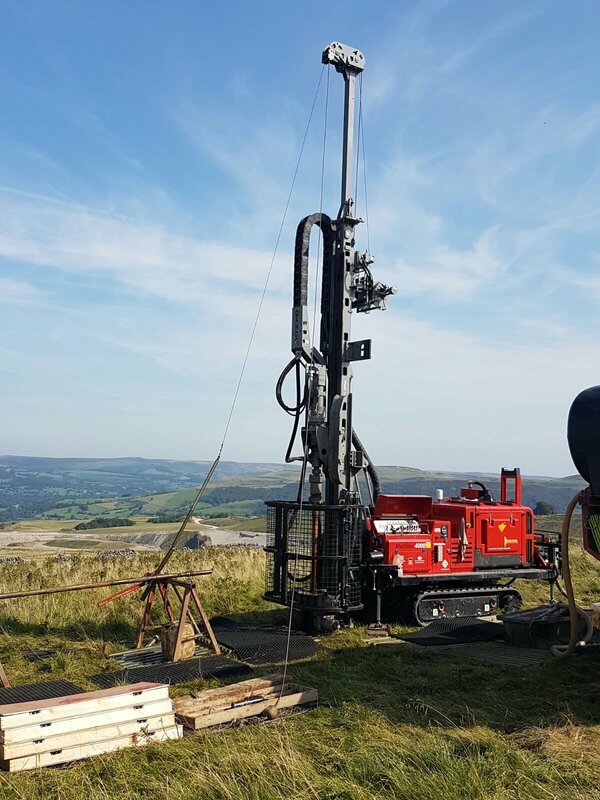 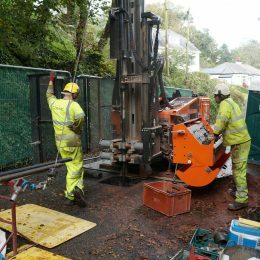 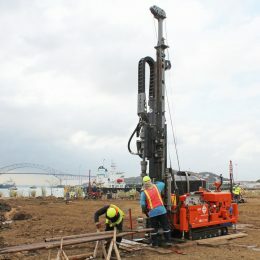 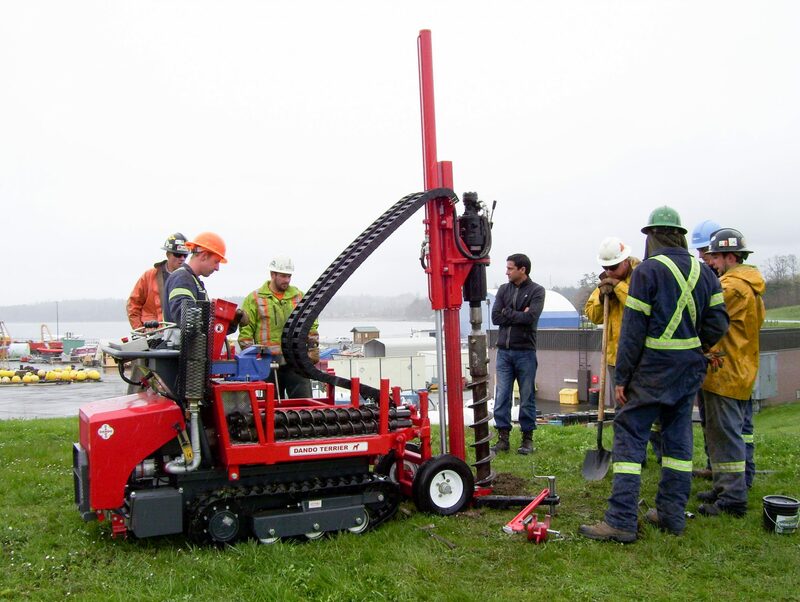 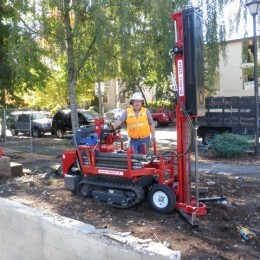 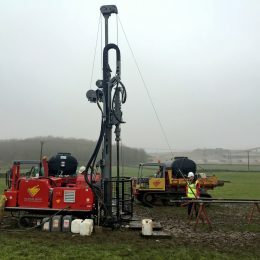 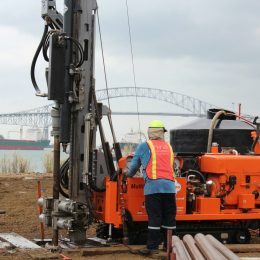 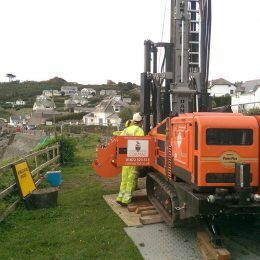 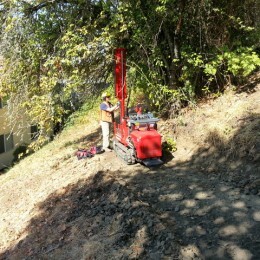 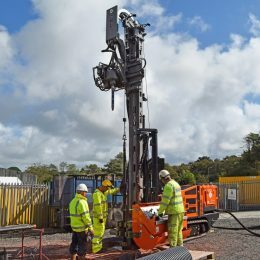 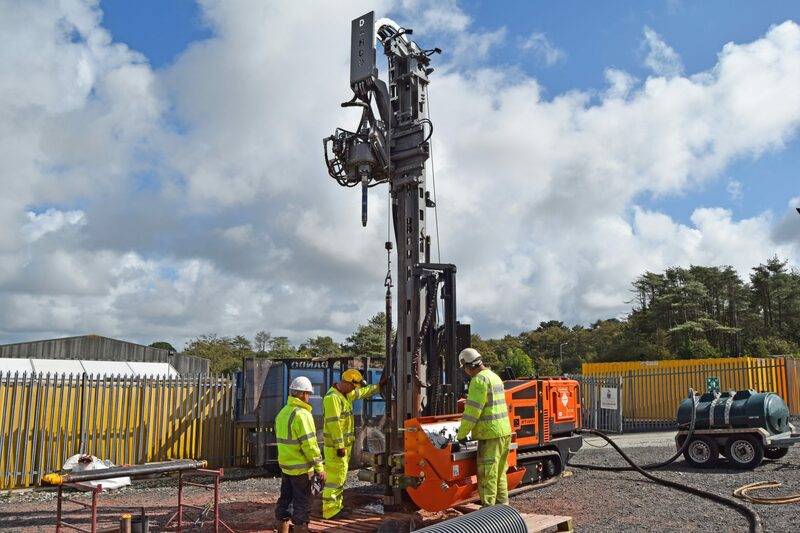 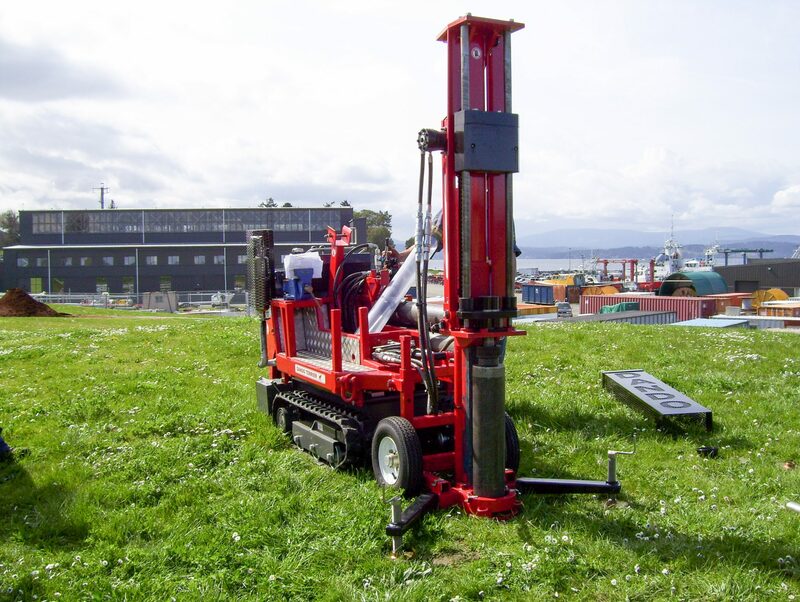 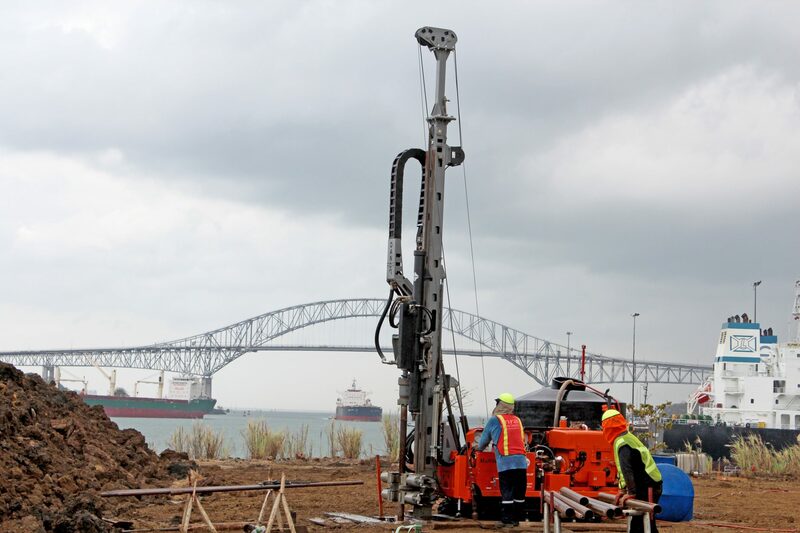 Purchased back in 2012, a US customer's Terrier rig has been carrying out lake-bottom soil investigation ahead of piling to support a new boat slip. 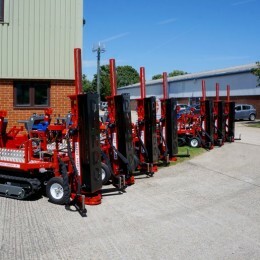 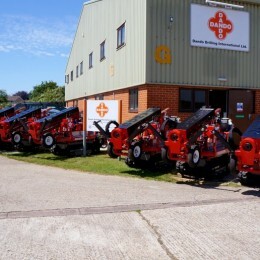 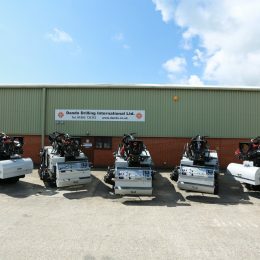 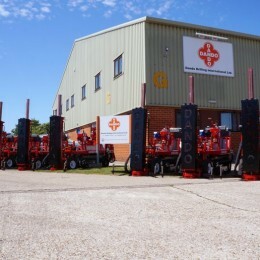 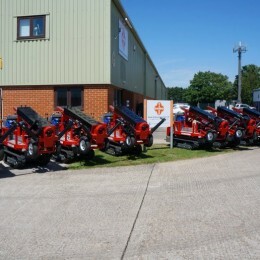 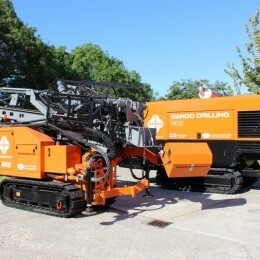 A fleet of seven Dando Terrier percussive rigs sold to a customer in Turkey for ballast sampling on the country's railways. 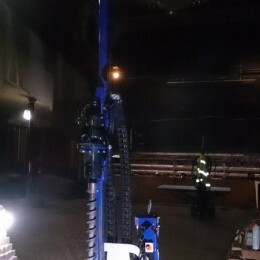 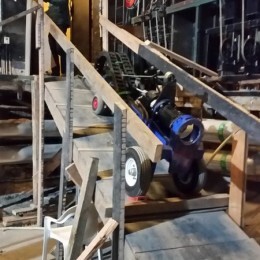 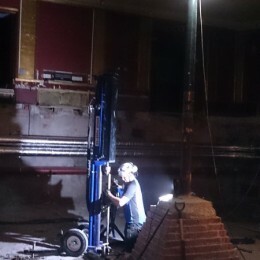 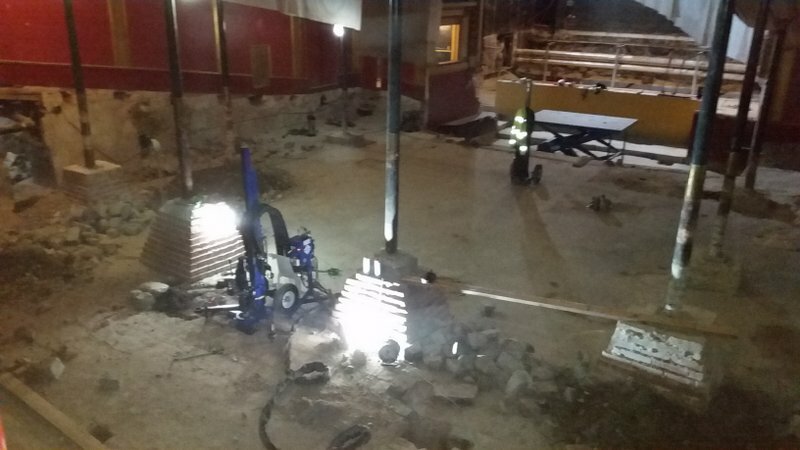 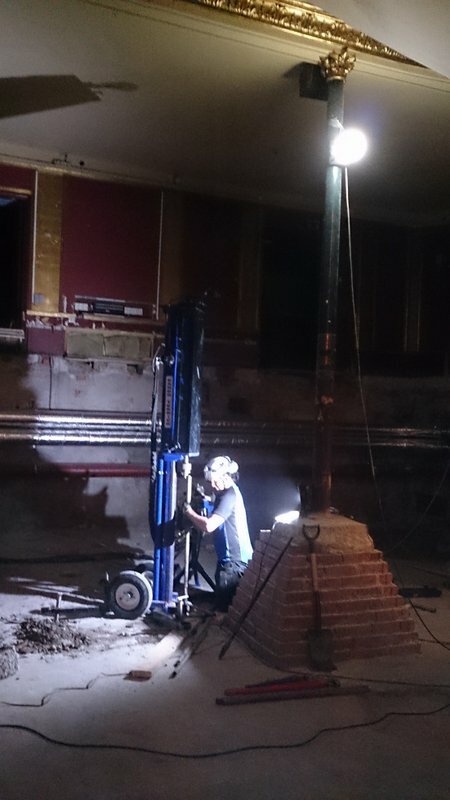 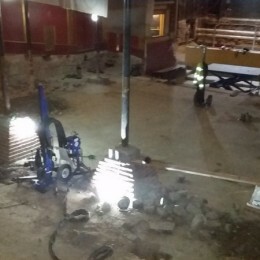 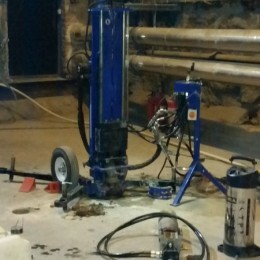 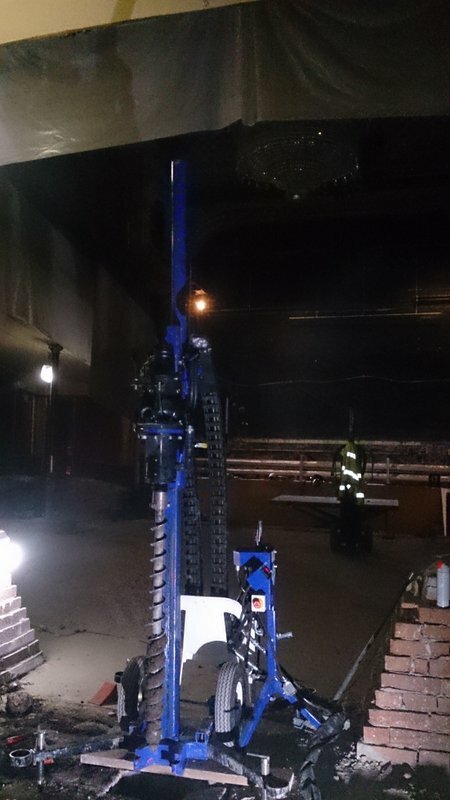 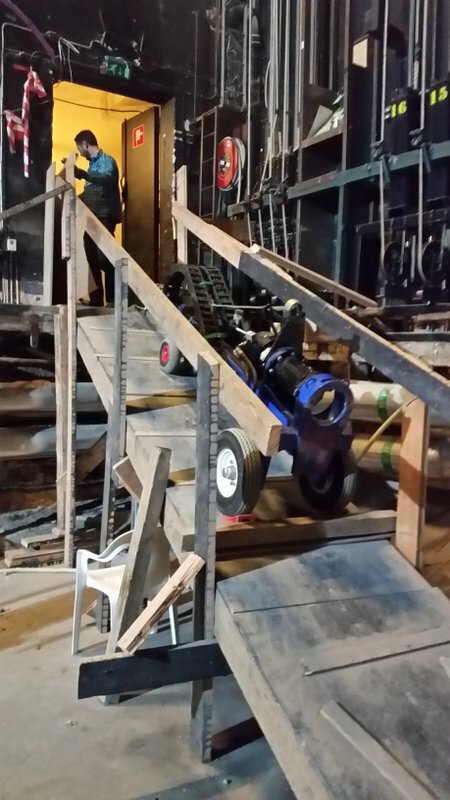 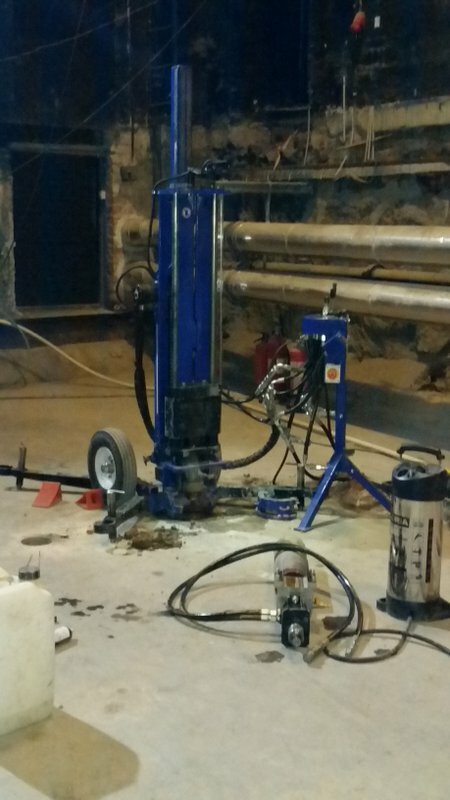 A customer's Dando Terrier working on various geotechnical projects including site investigation in the basement of Stockholm’s ancient theatre, the Vasateatern. 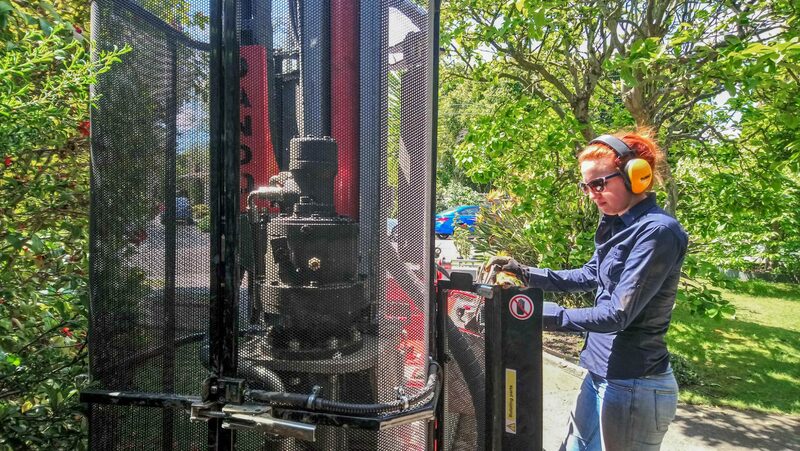 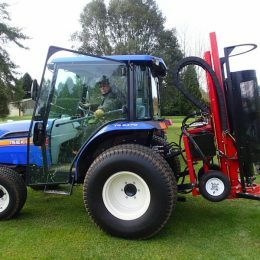 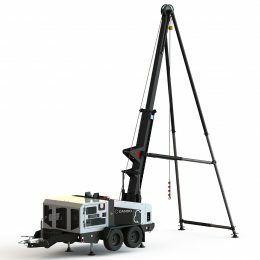 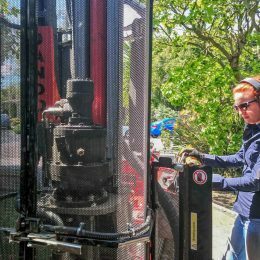 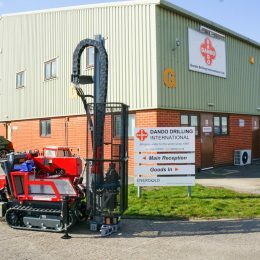 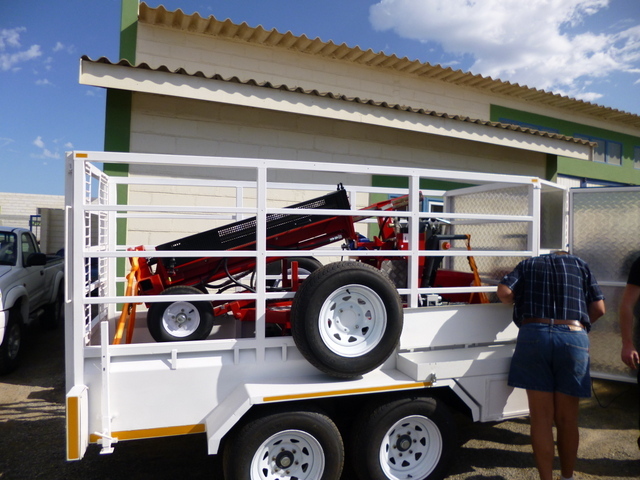 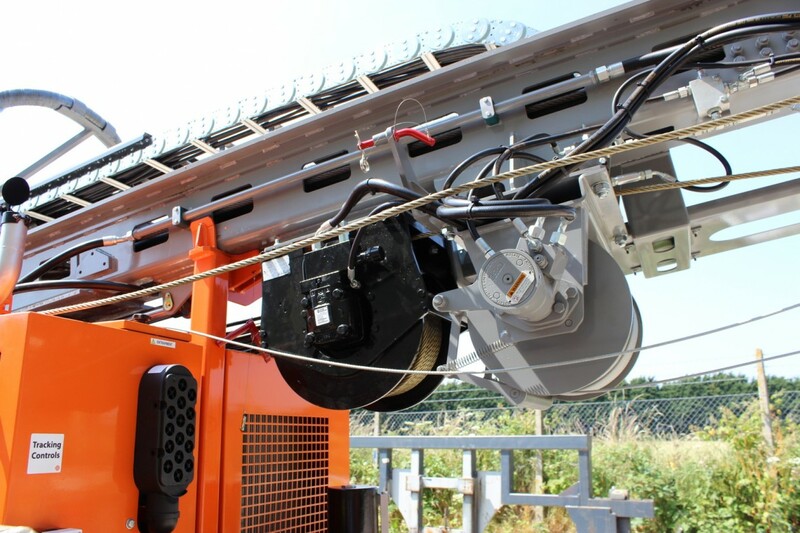 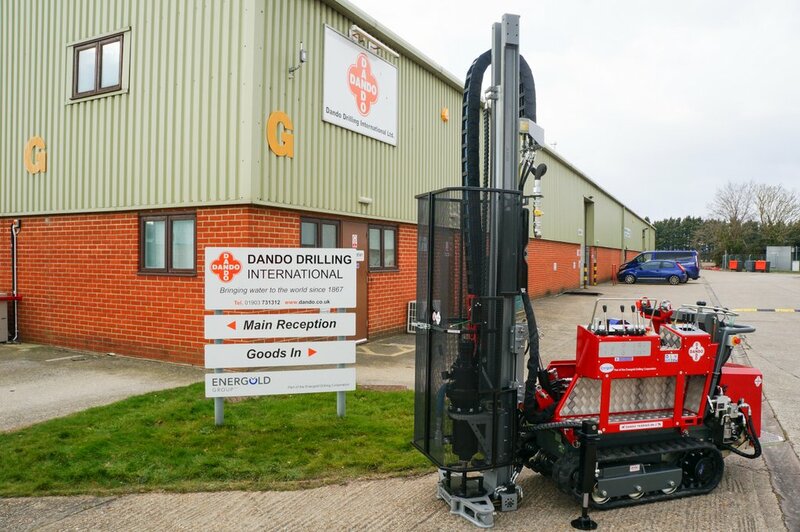 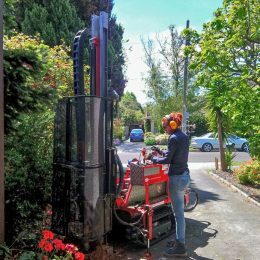 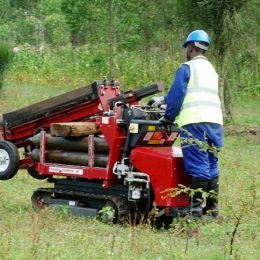 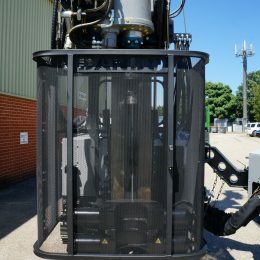 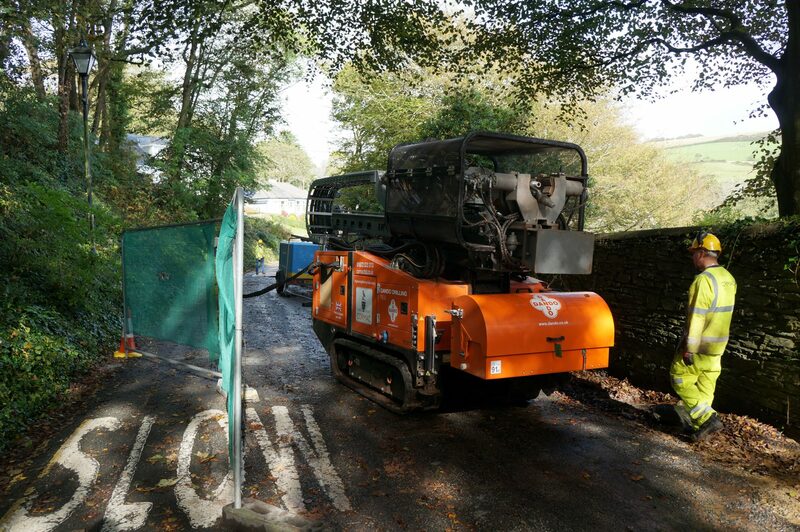 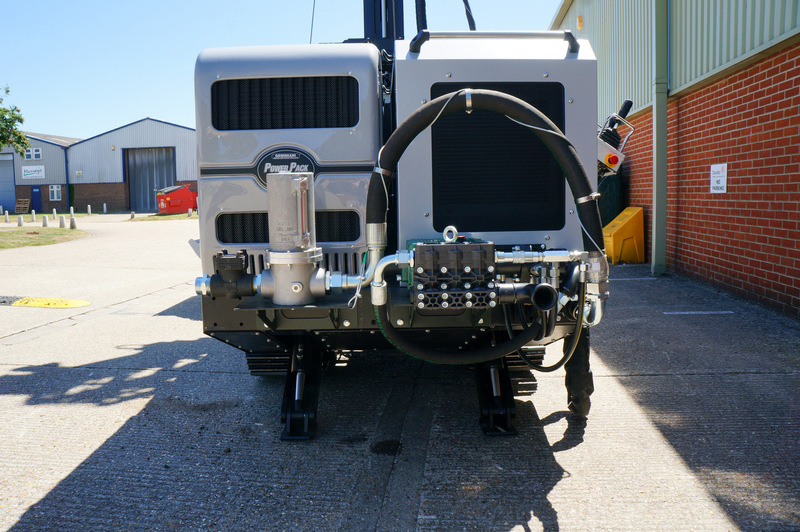 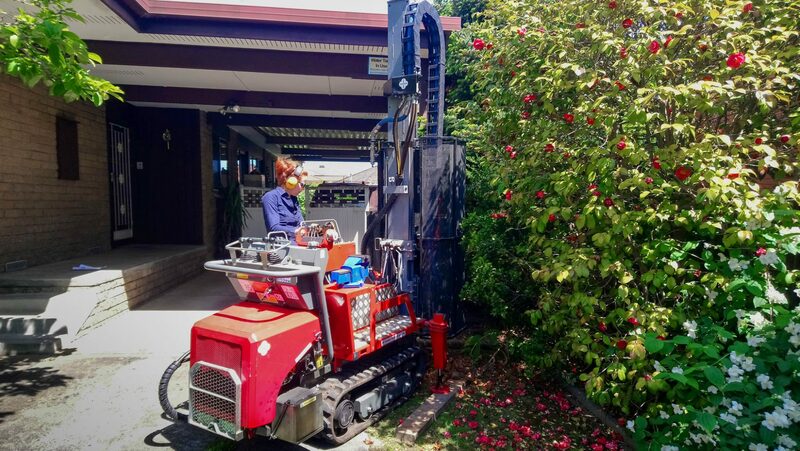 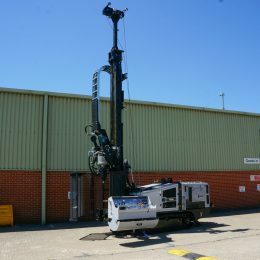 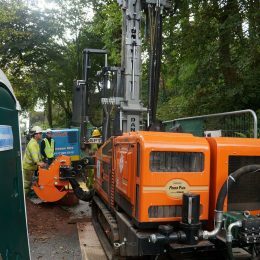 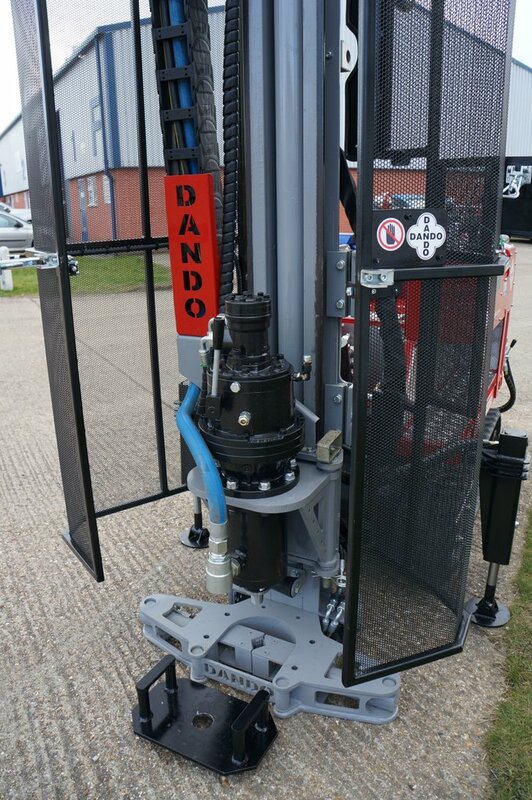 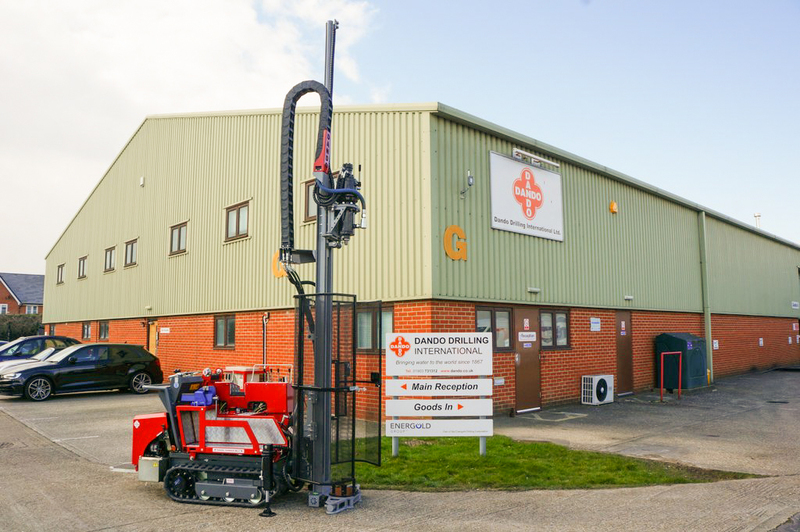 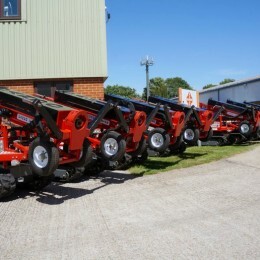 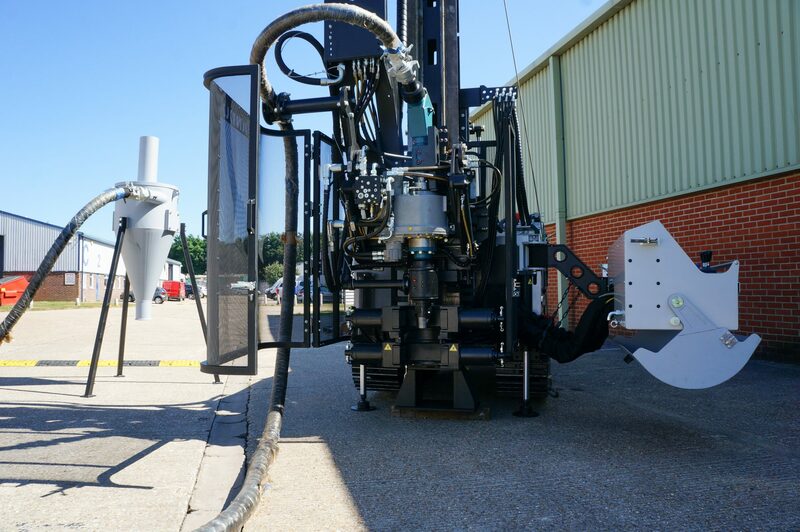 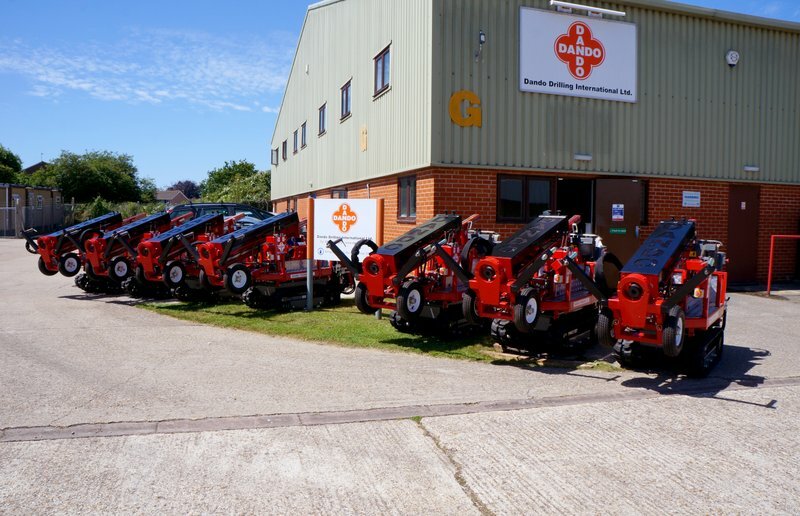 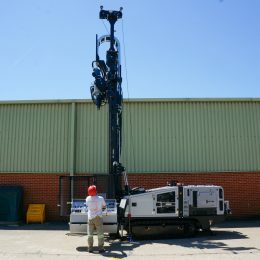 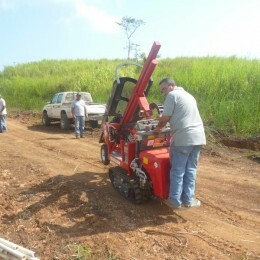 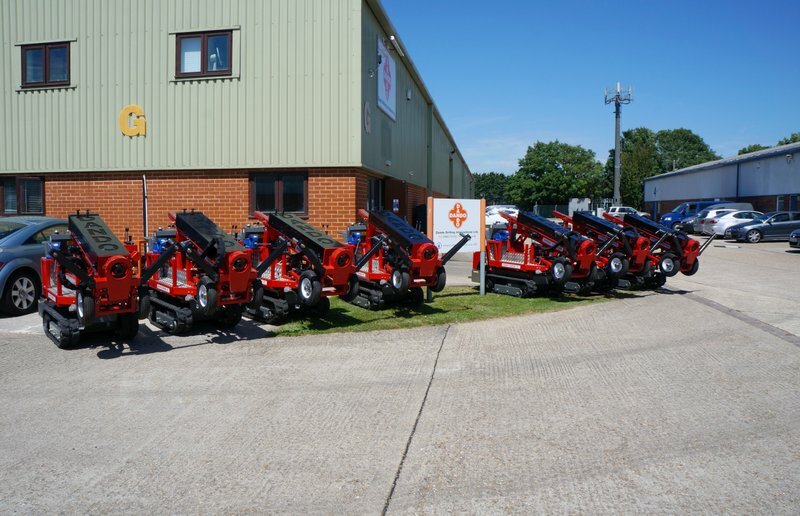 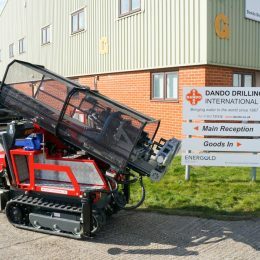 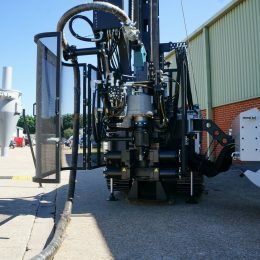 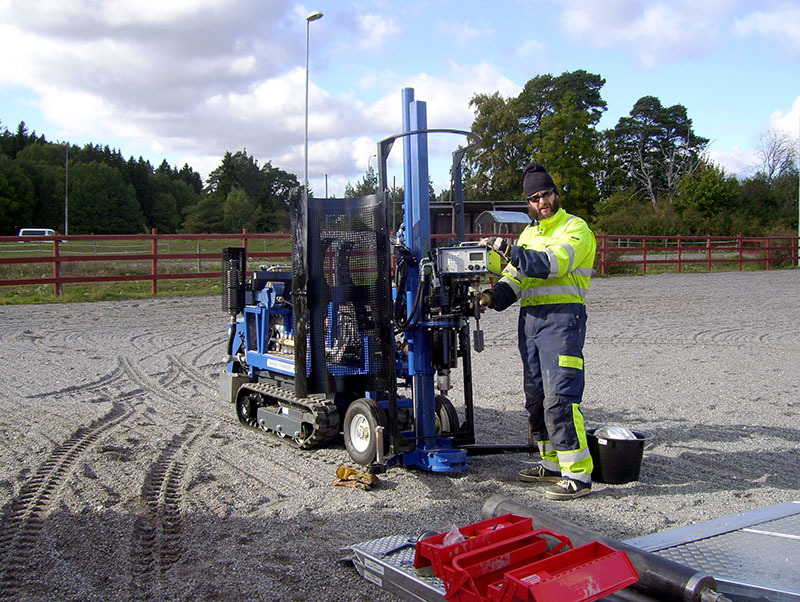 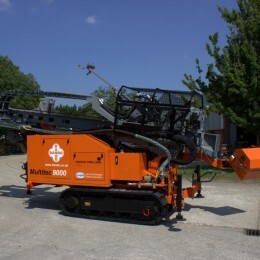 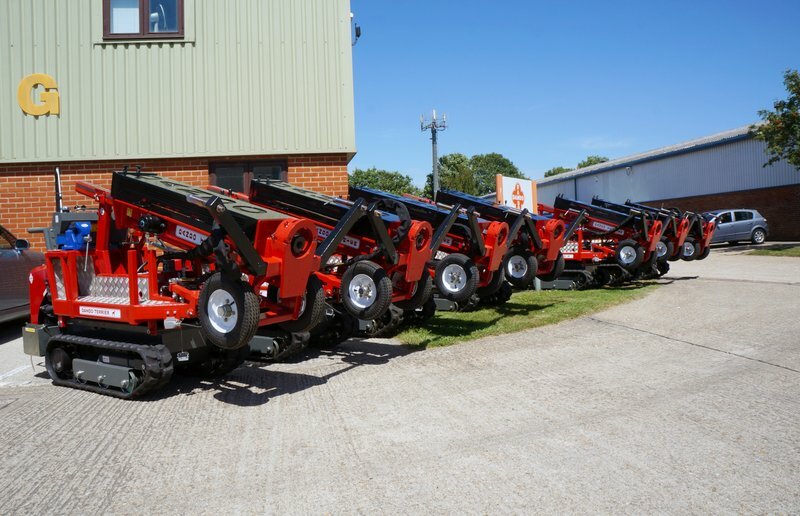 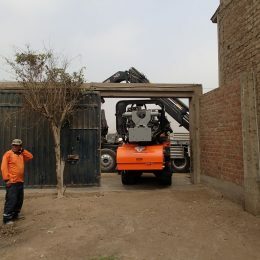 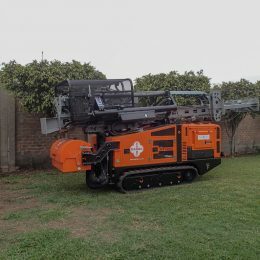 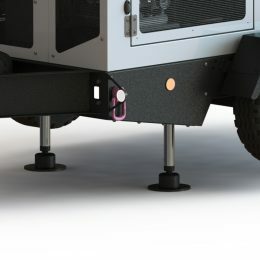 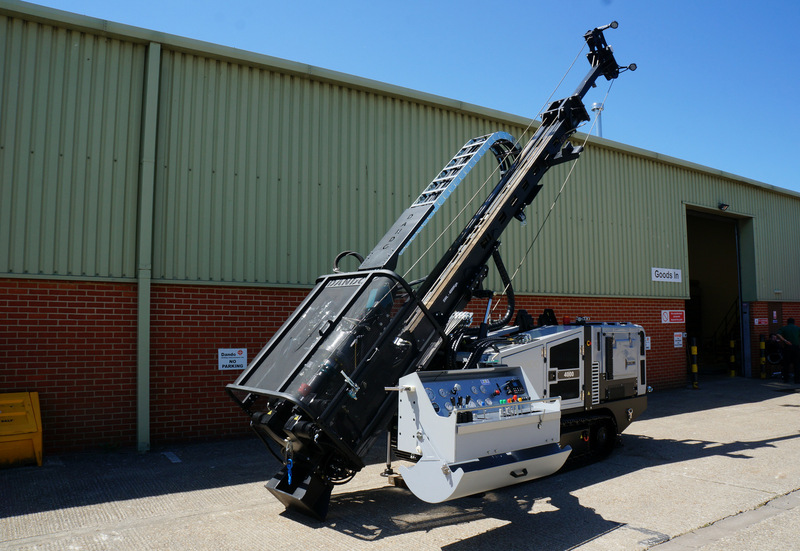 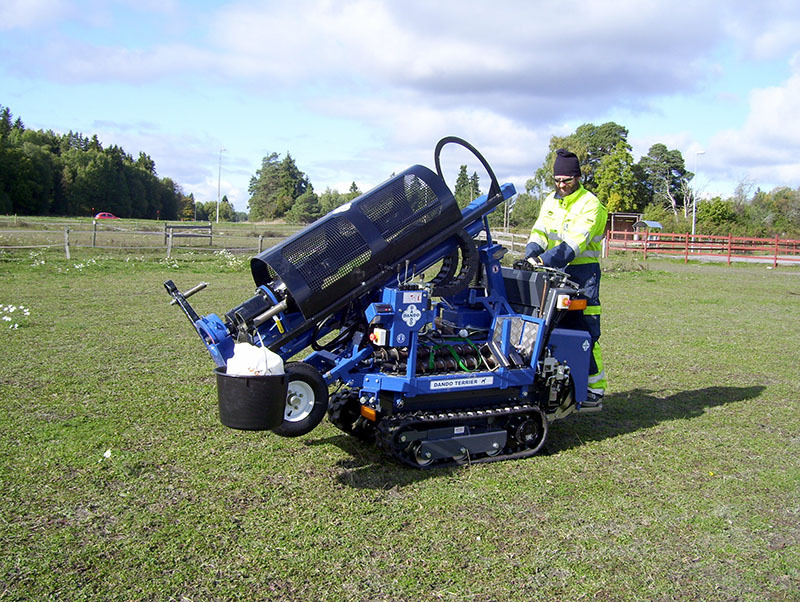 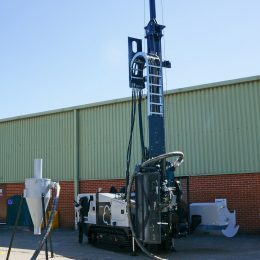 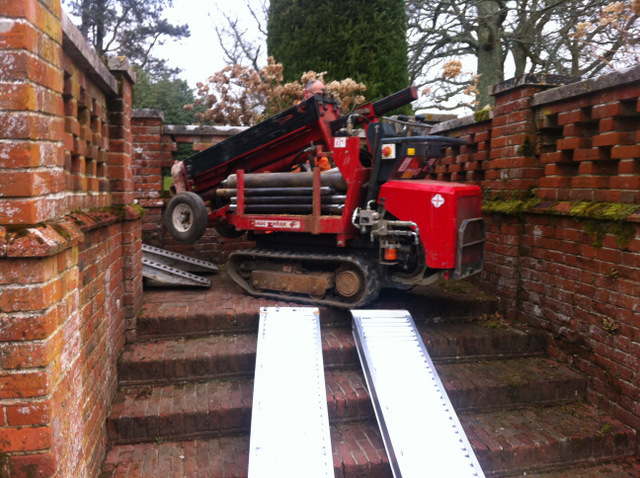 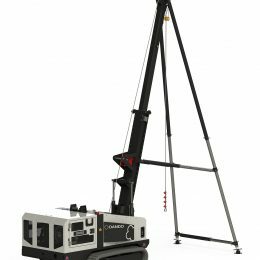 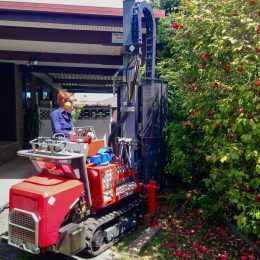 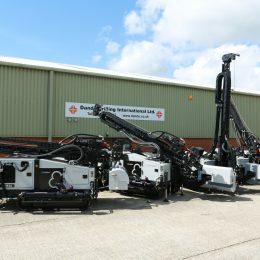 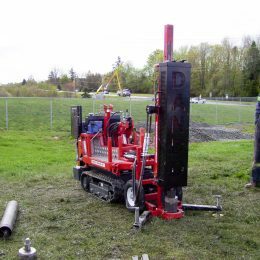 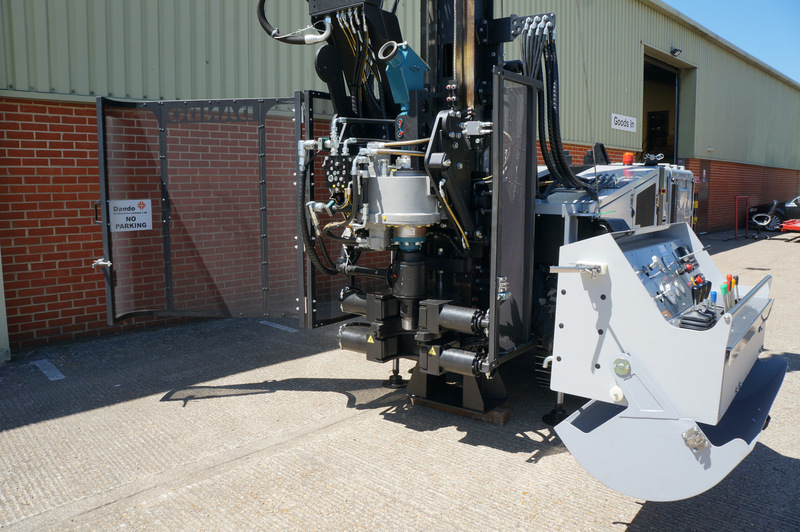 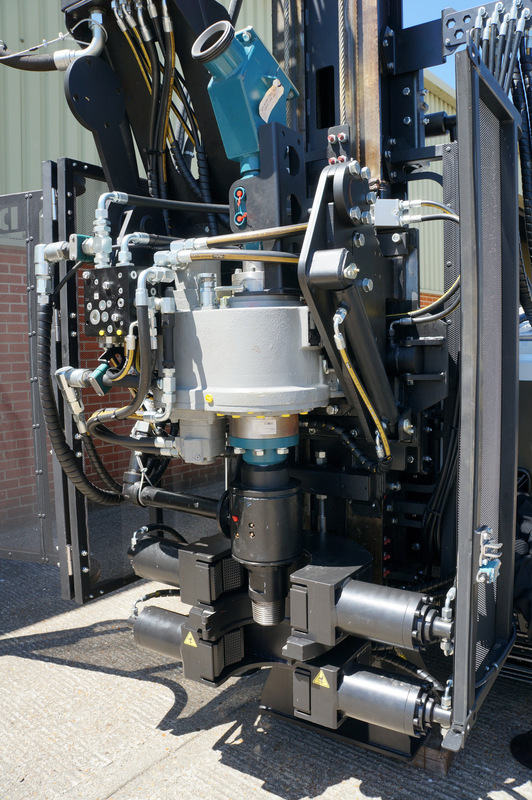 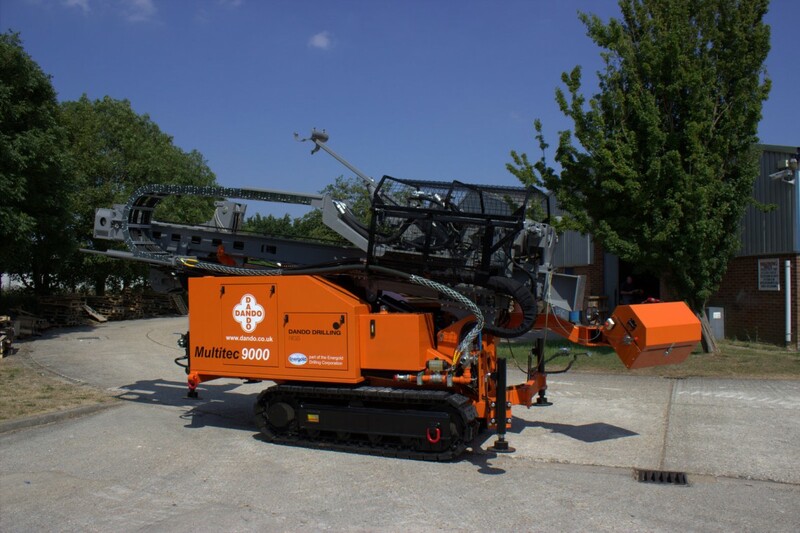 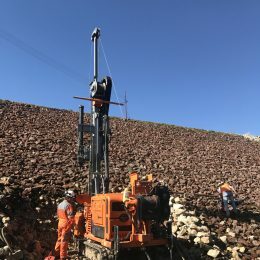 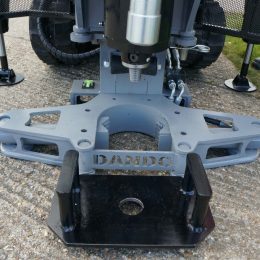 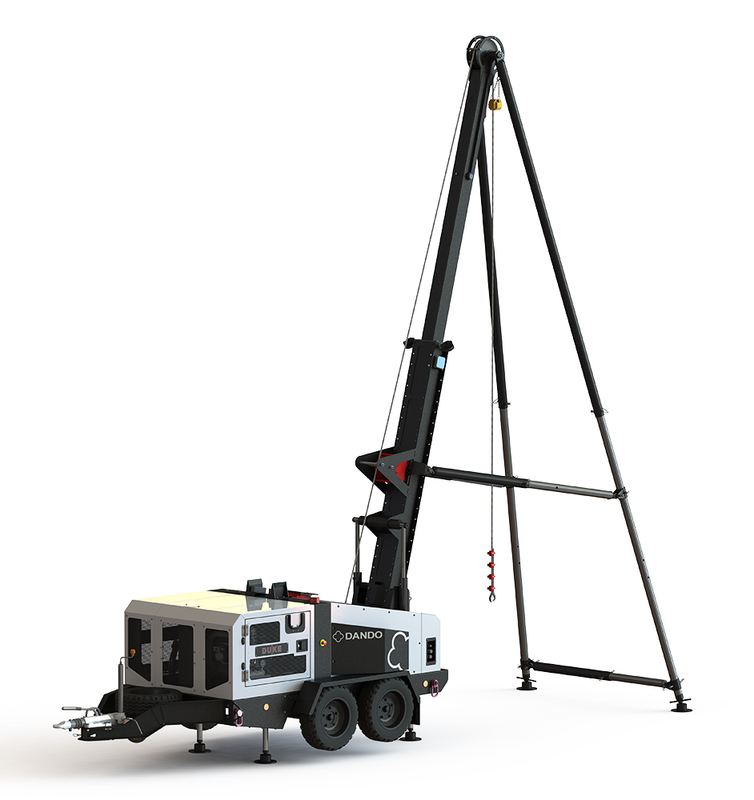 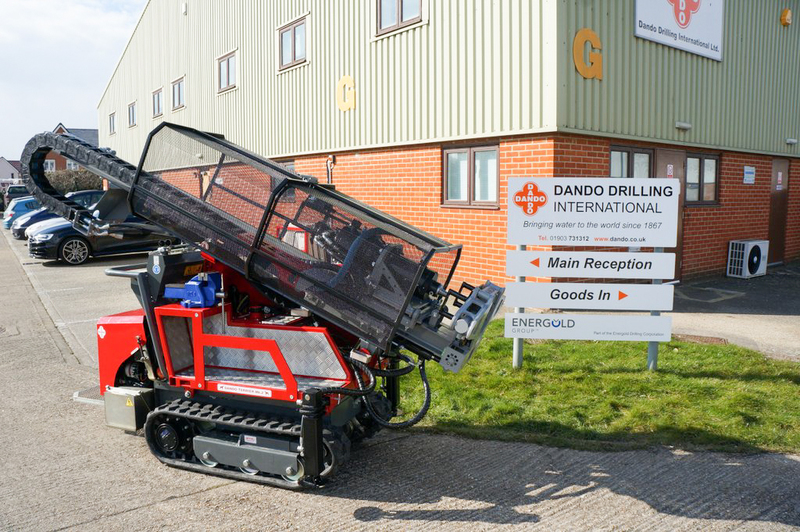 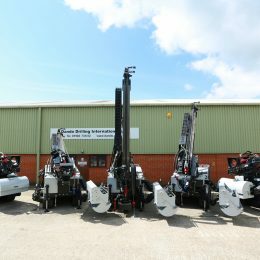 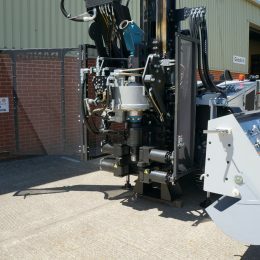 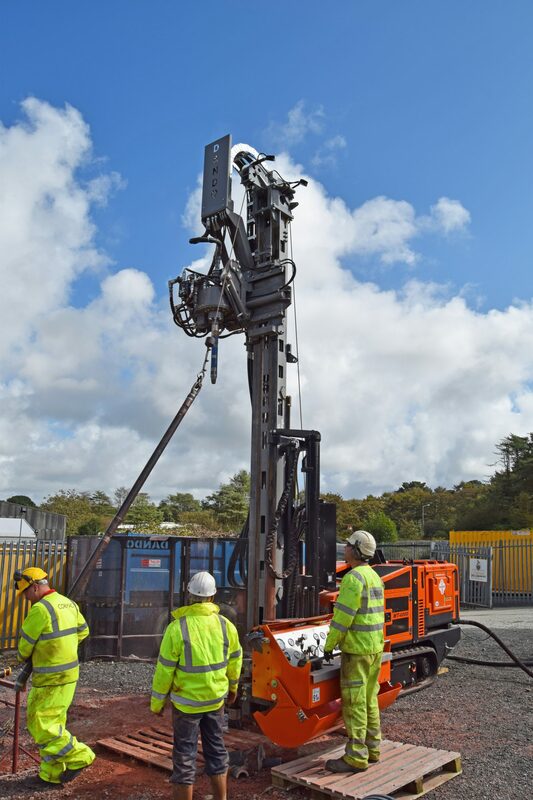 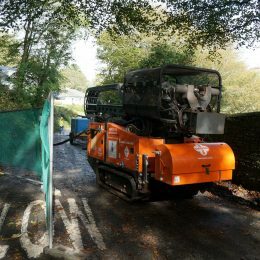 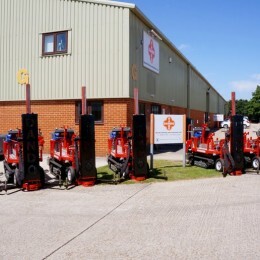 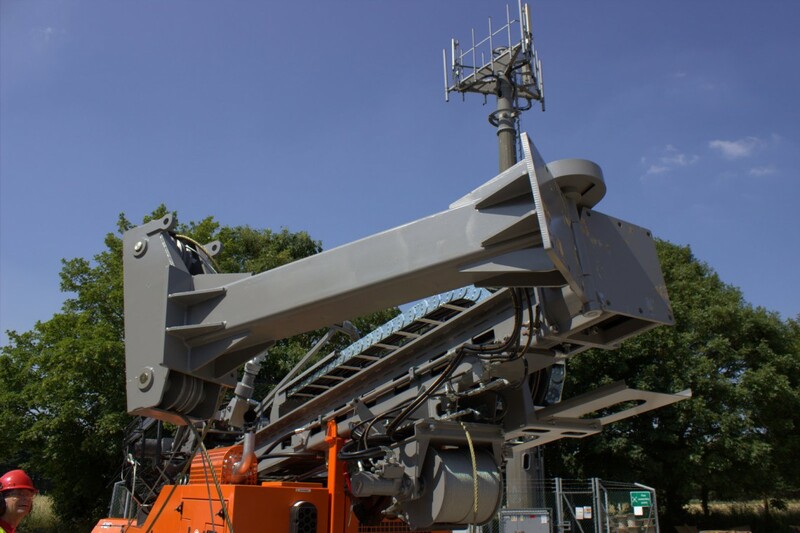 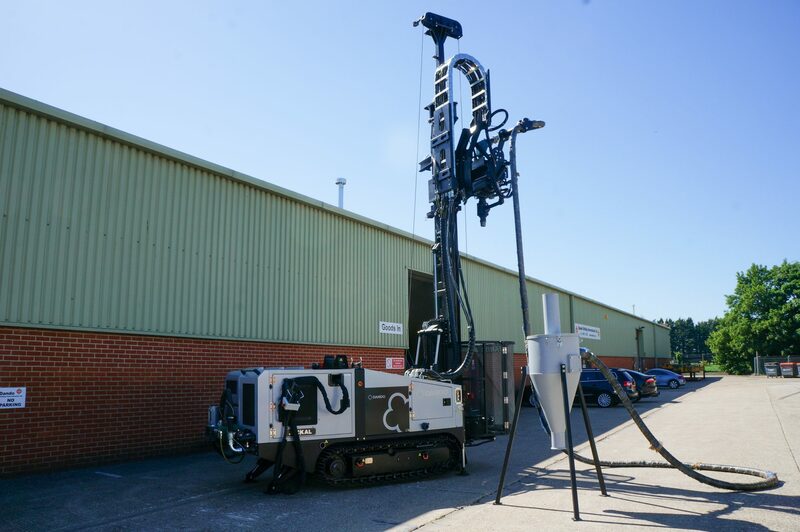 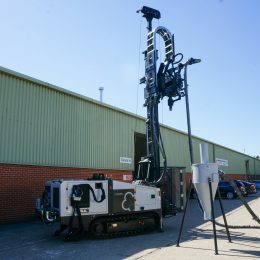 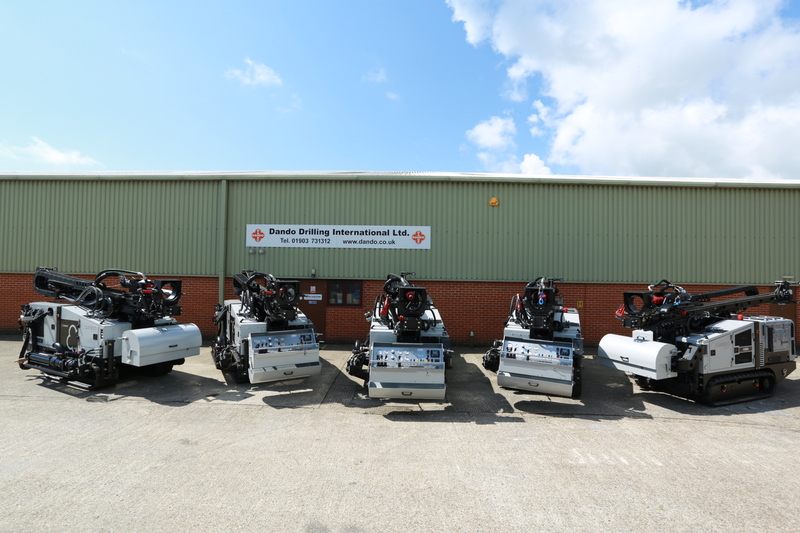 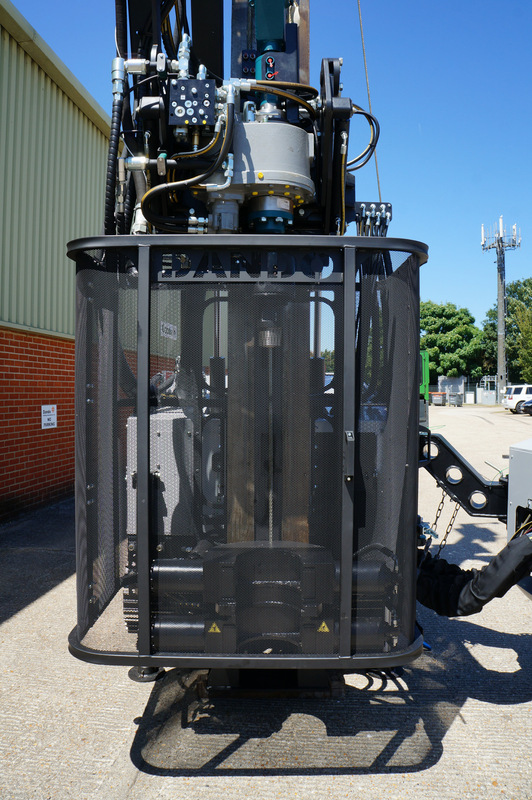 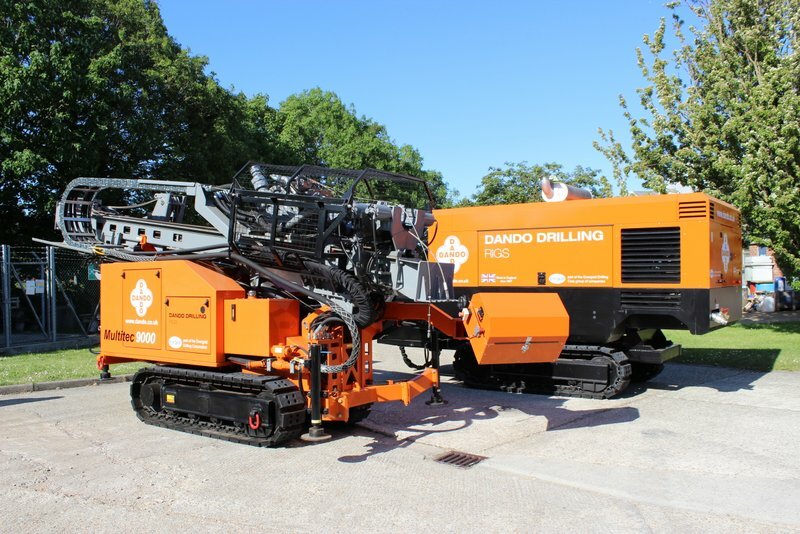 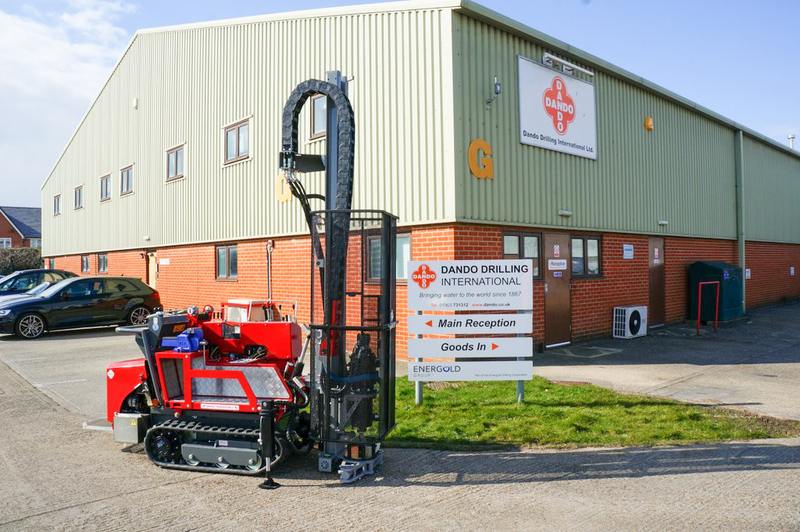 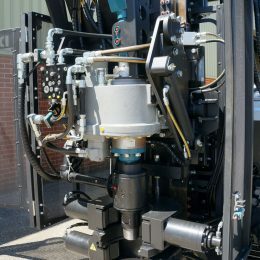 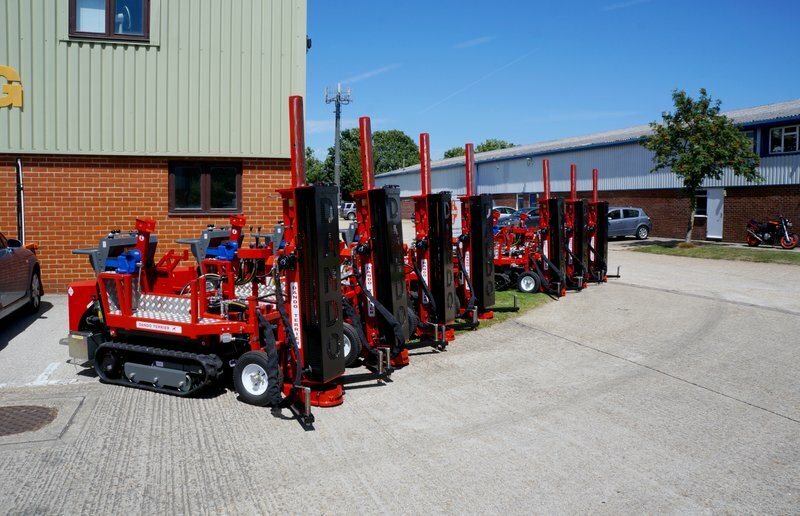 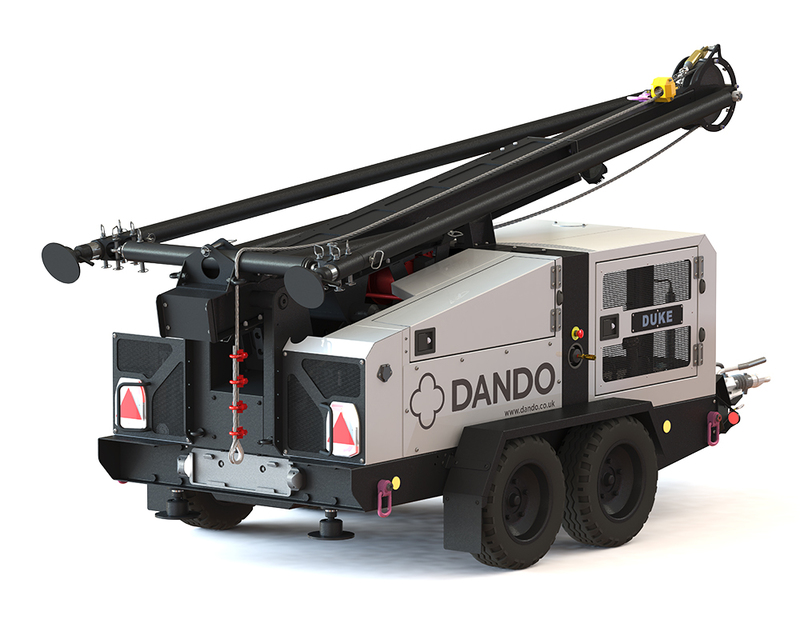 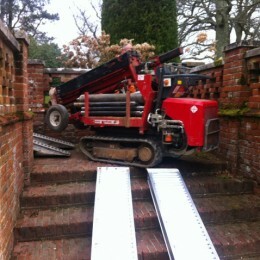 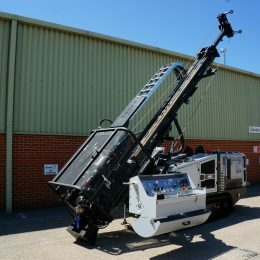 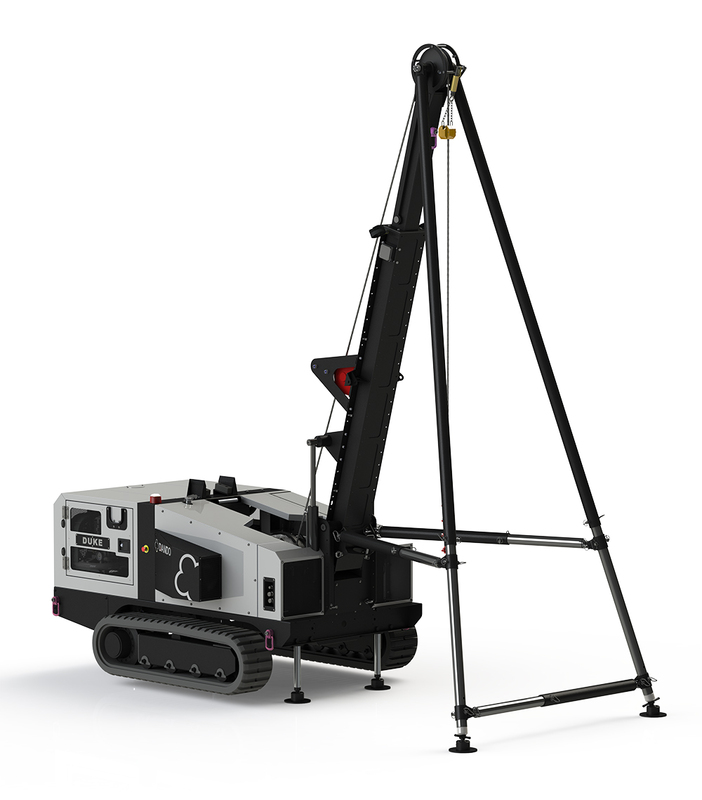 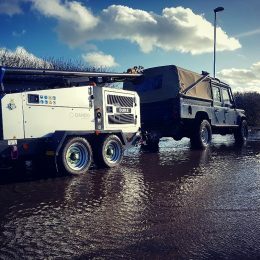 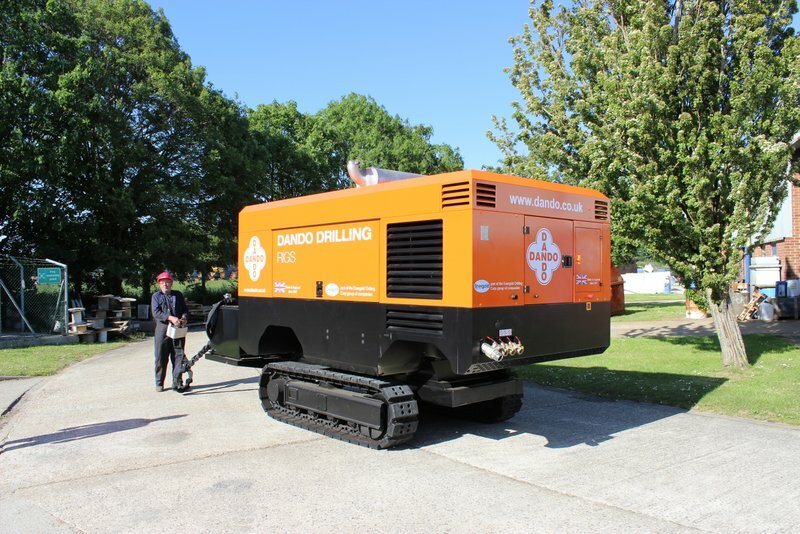 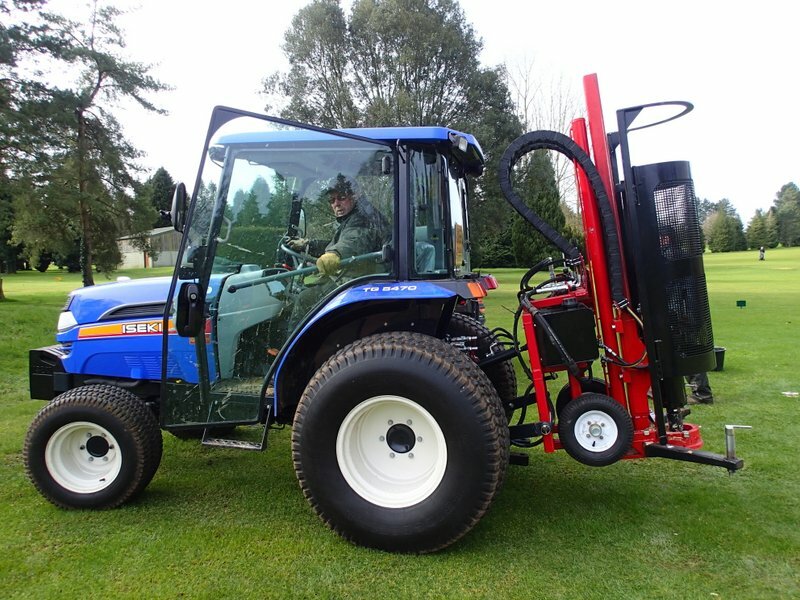 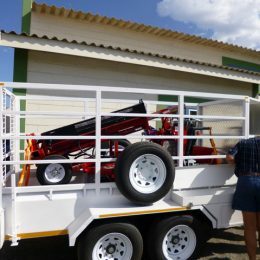 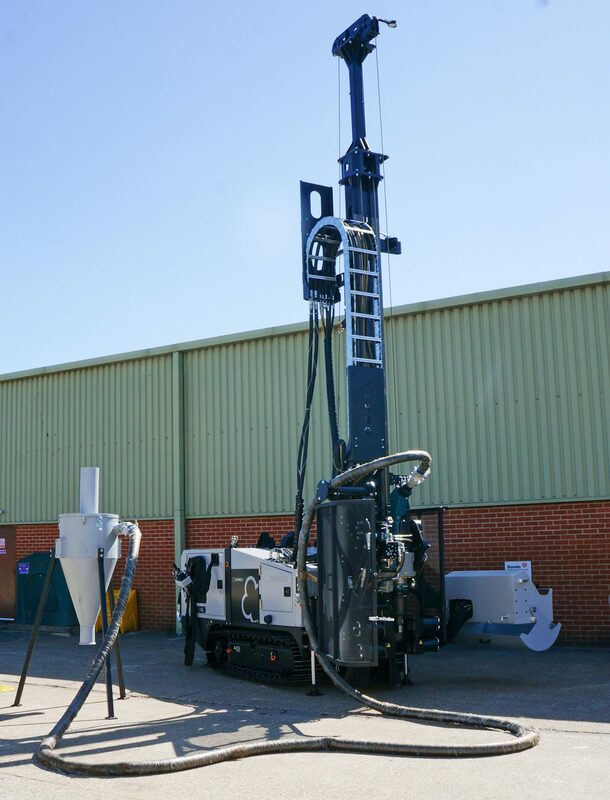 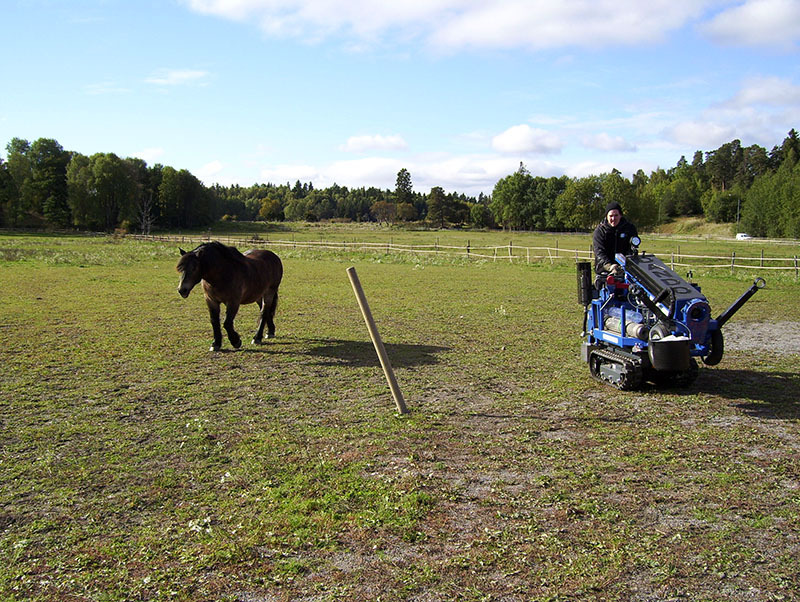 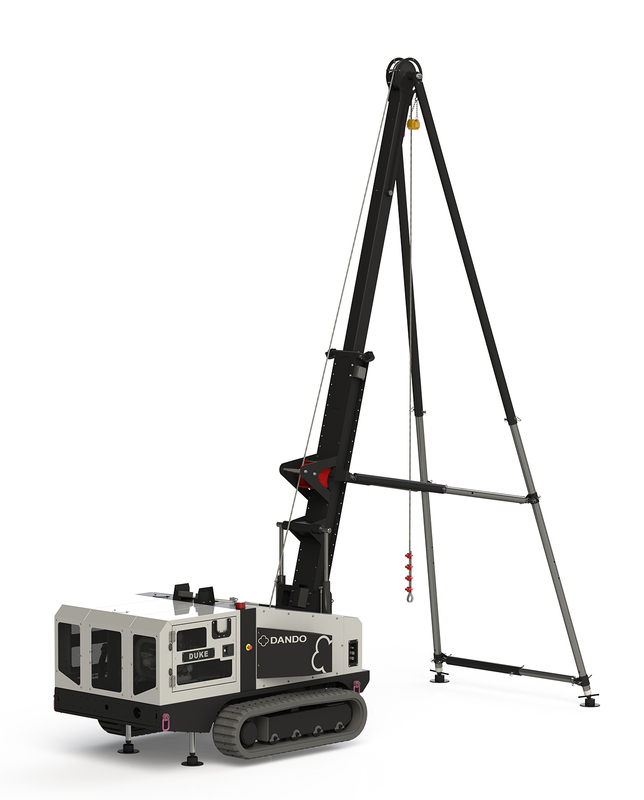 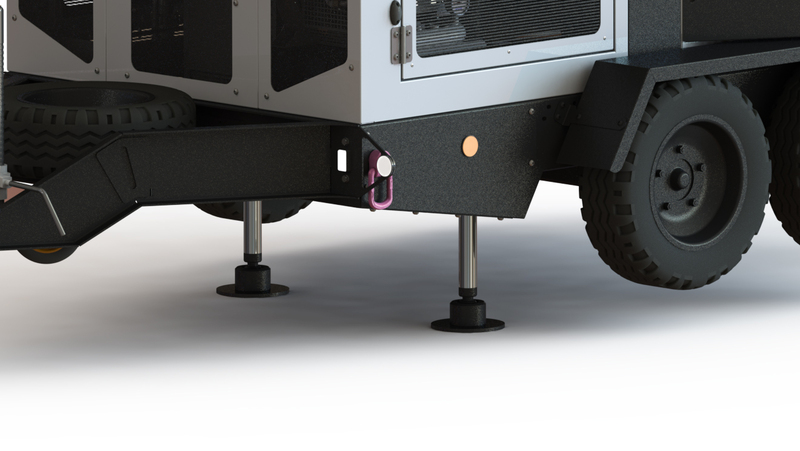 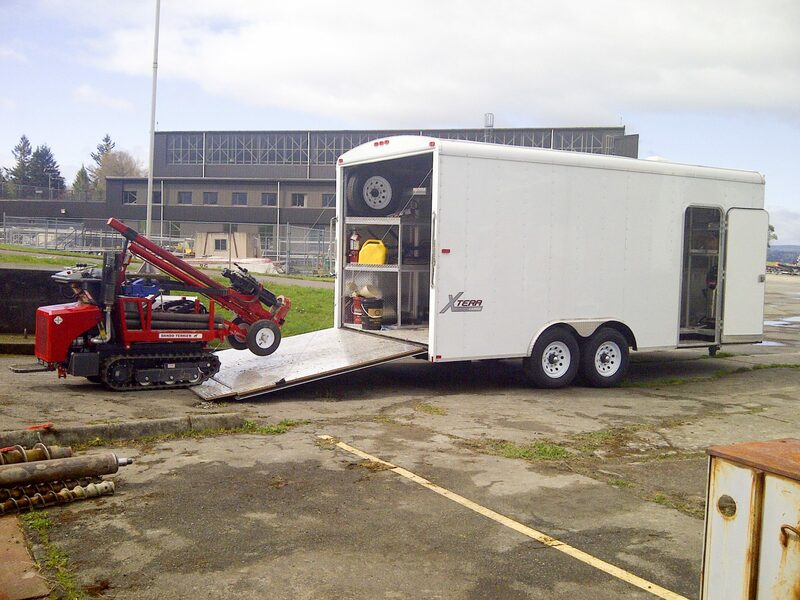 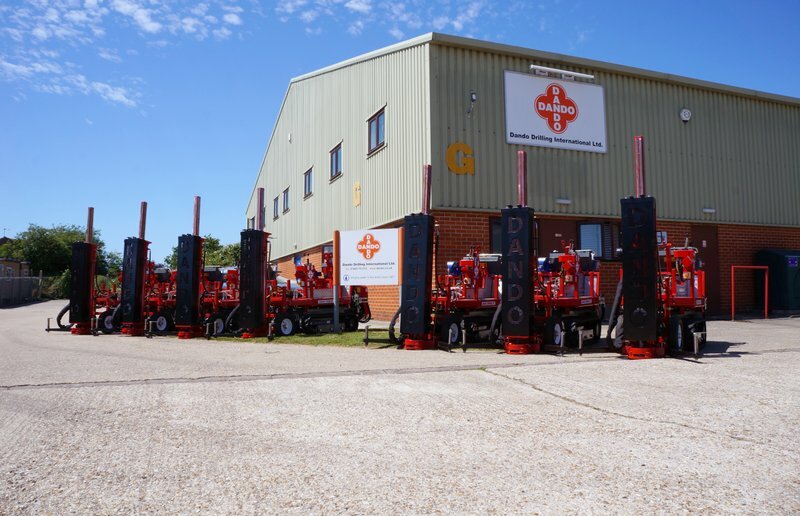 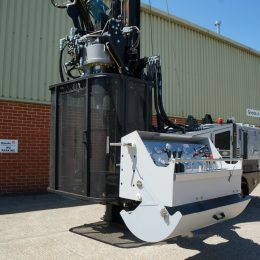 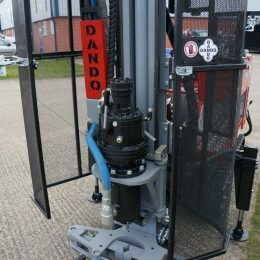 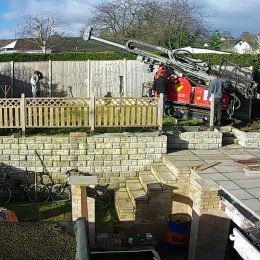 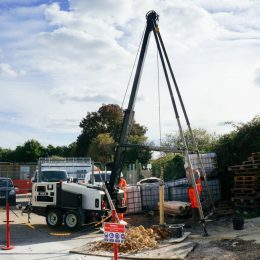 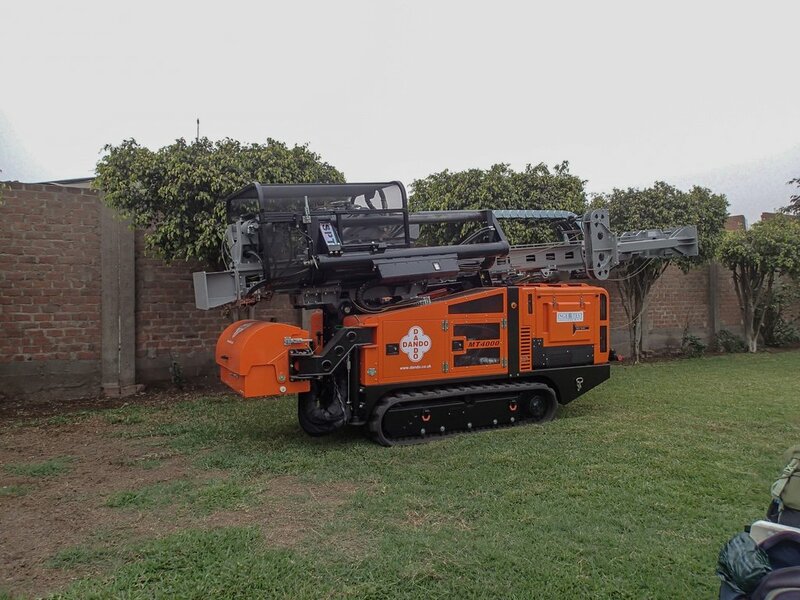 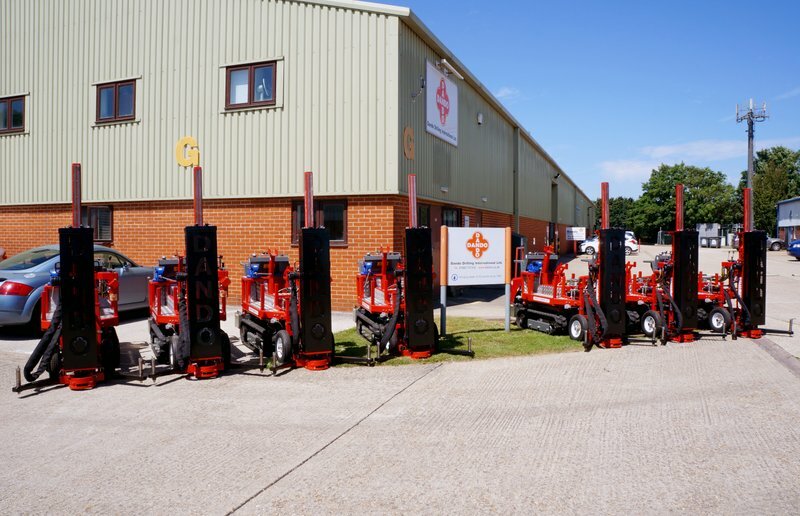 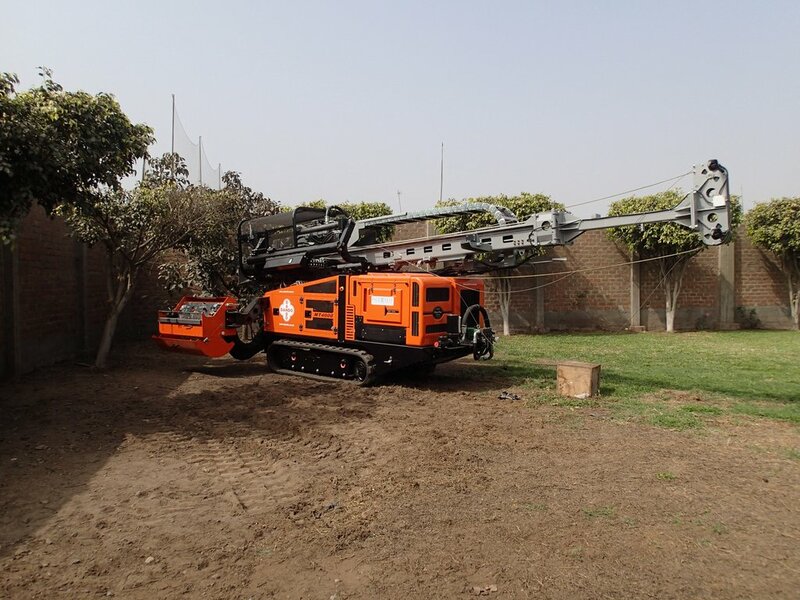 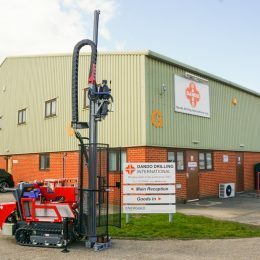 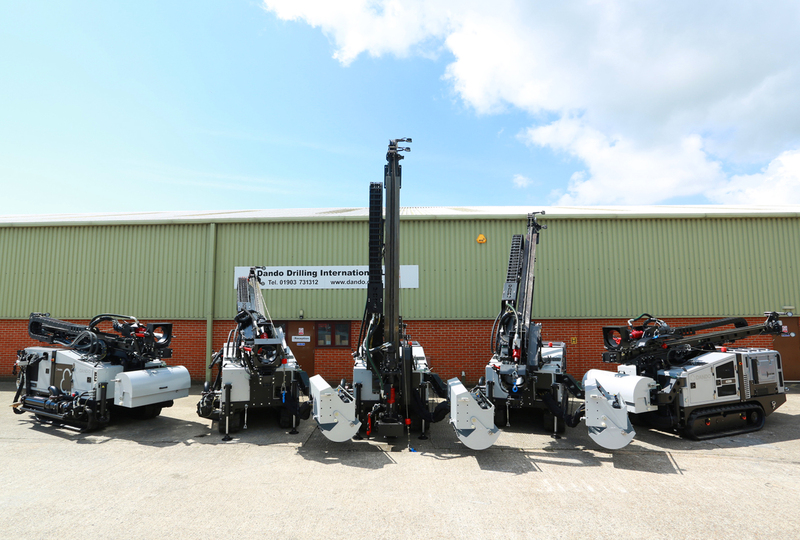 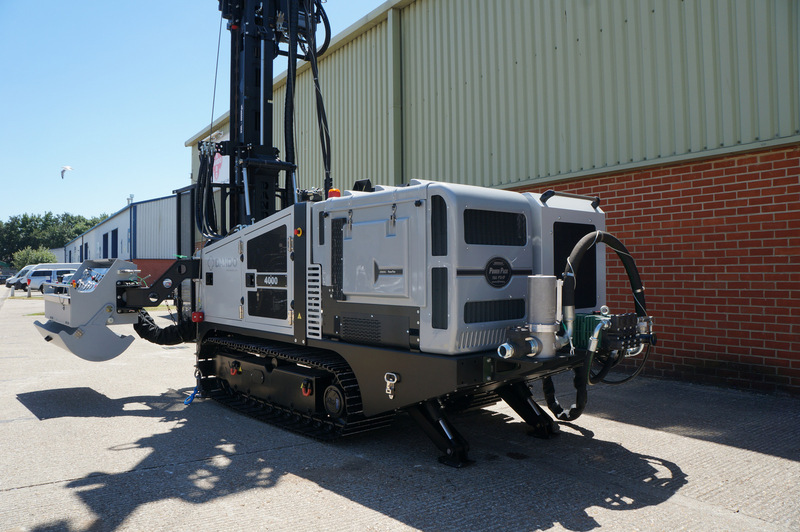 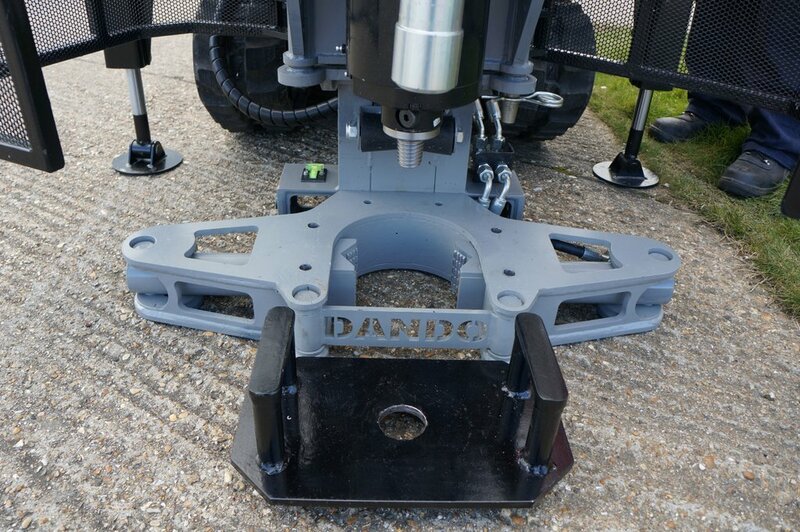 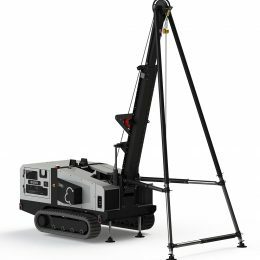 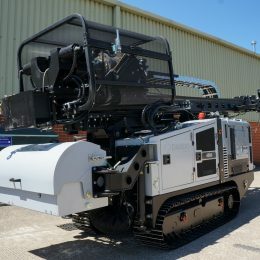 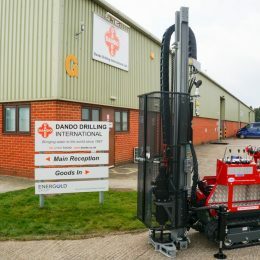 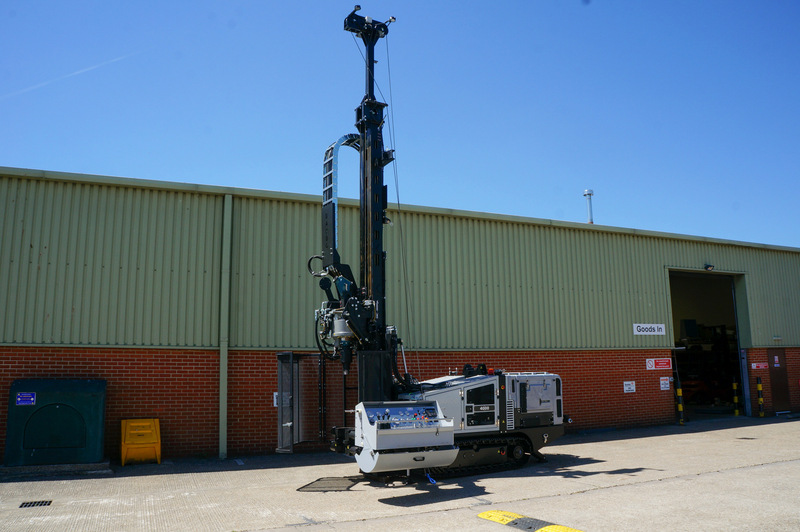 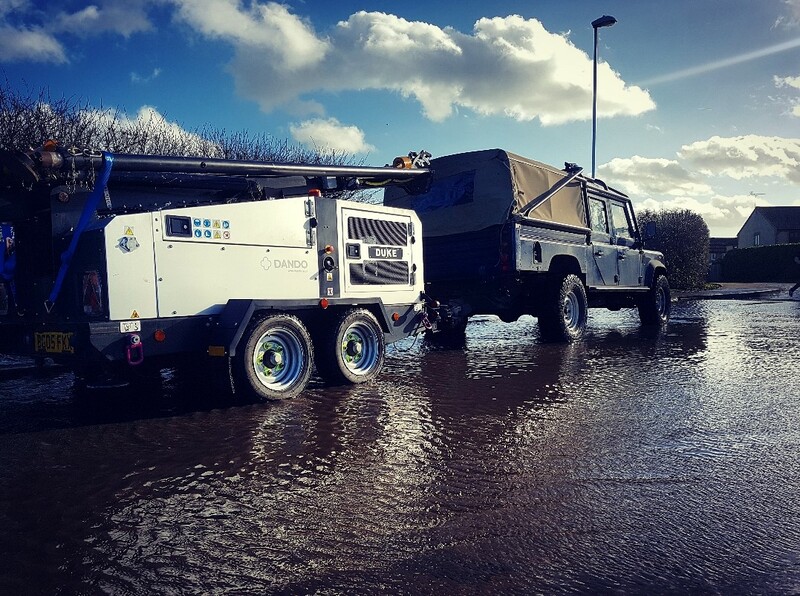 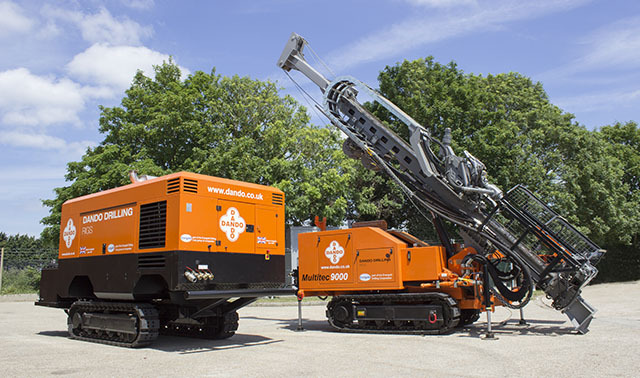 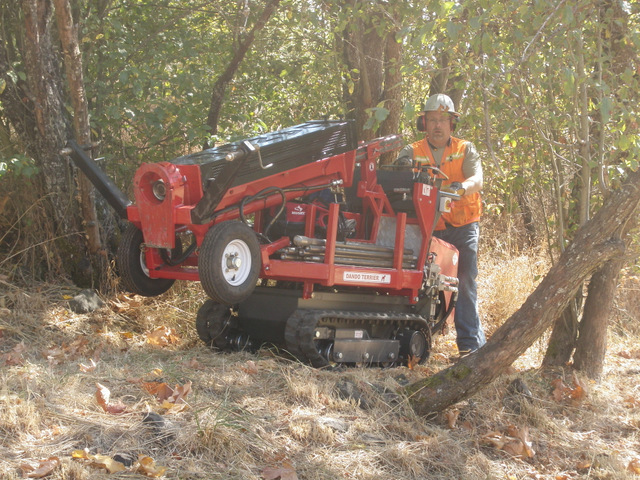 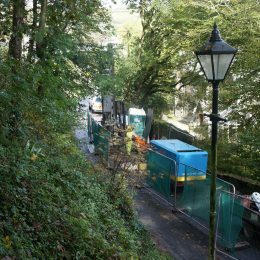 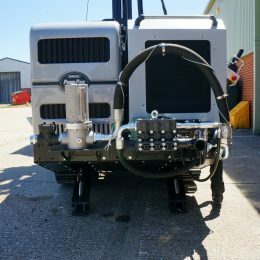 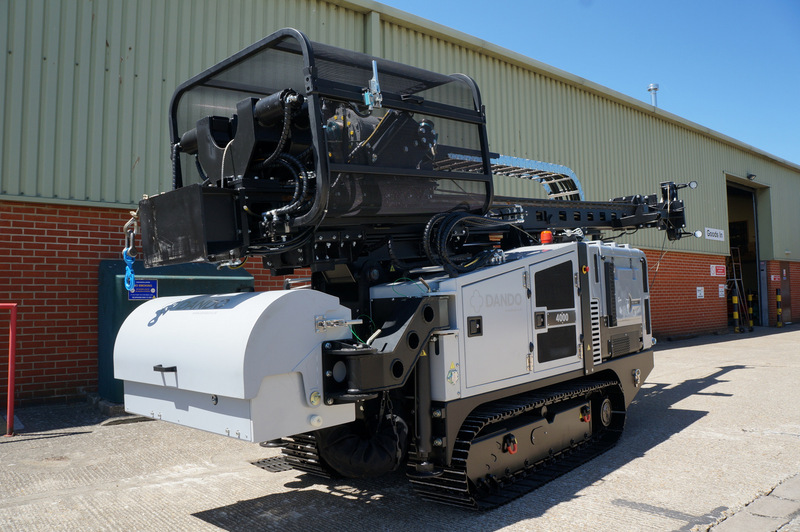 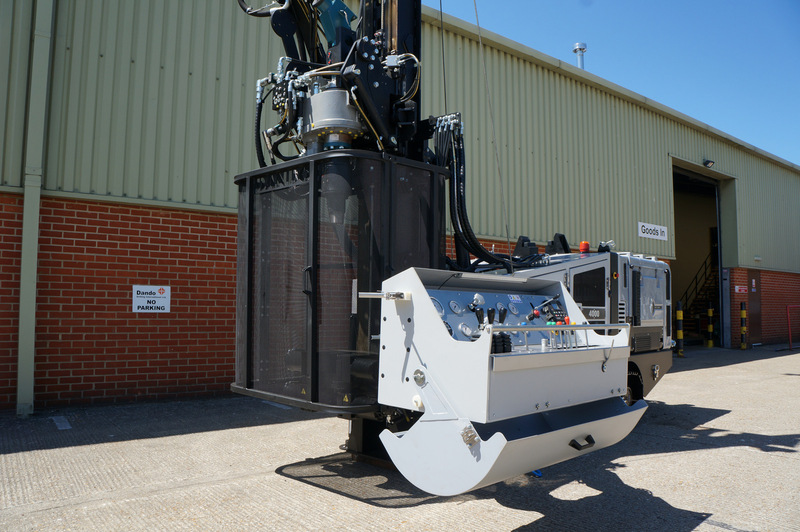 With limited space and restricted access being an issue, the Dando Terrier was seen by the customer as the perfect solution with its compact crawler mounted design and detachable mast assembly for remote operation. 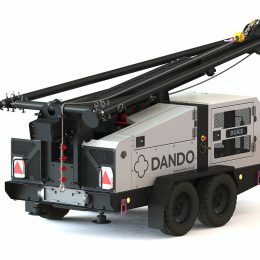 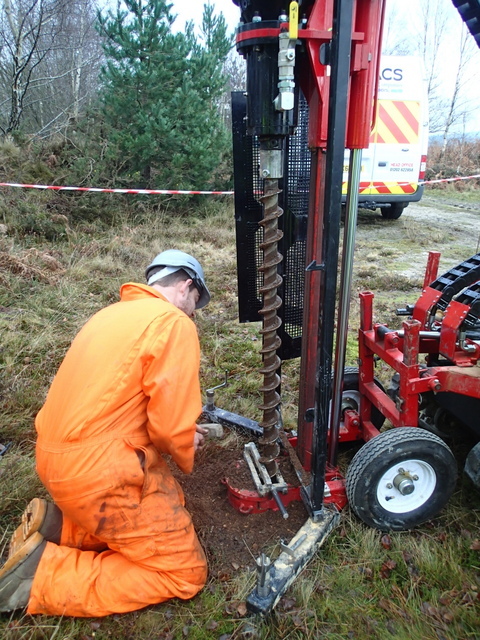 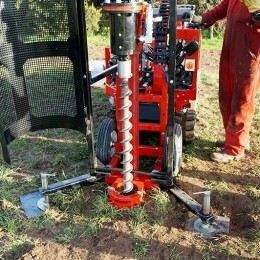 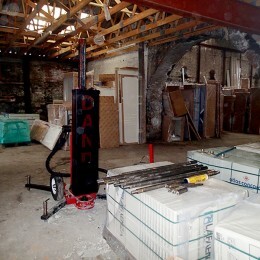 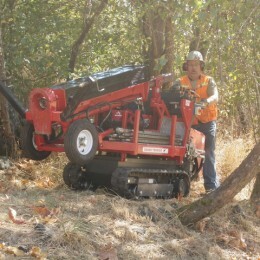 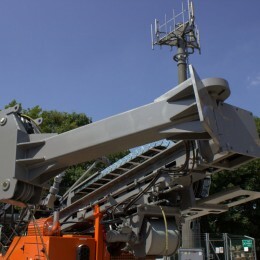 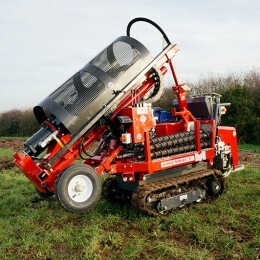 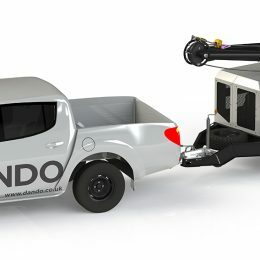 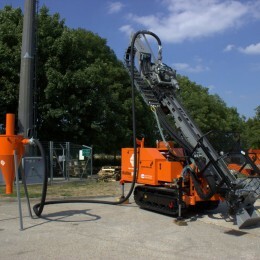 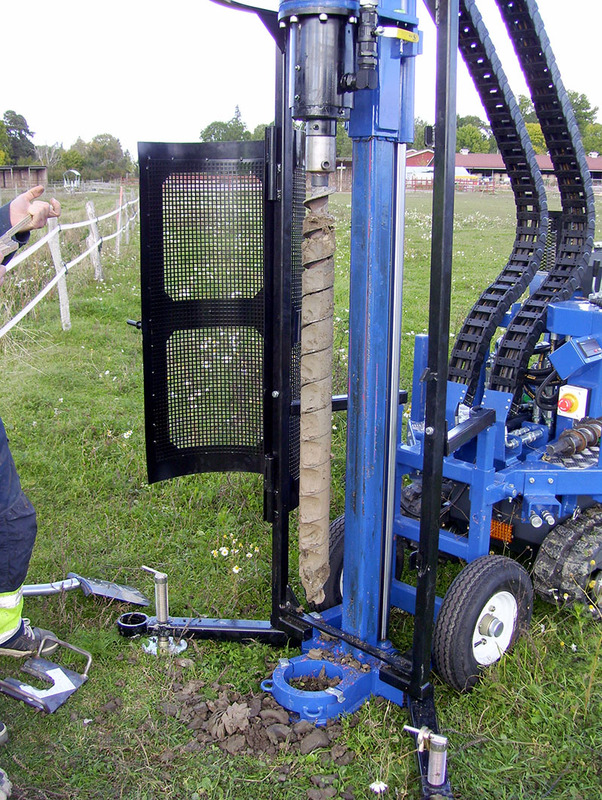 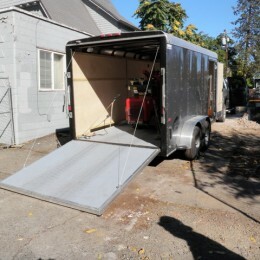 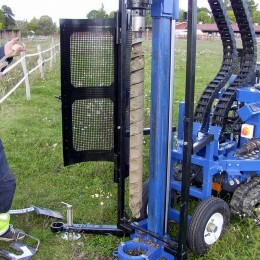 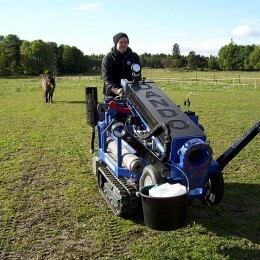 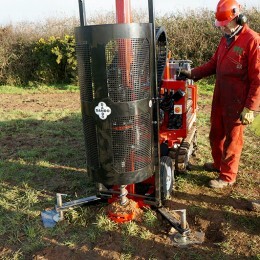 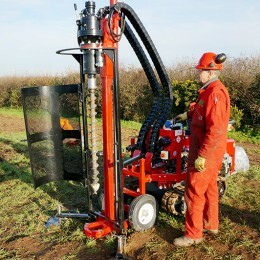 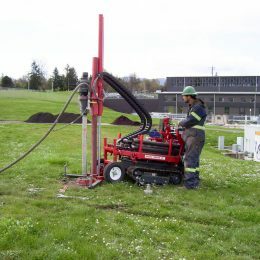 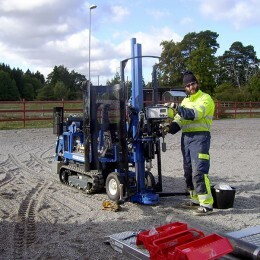 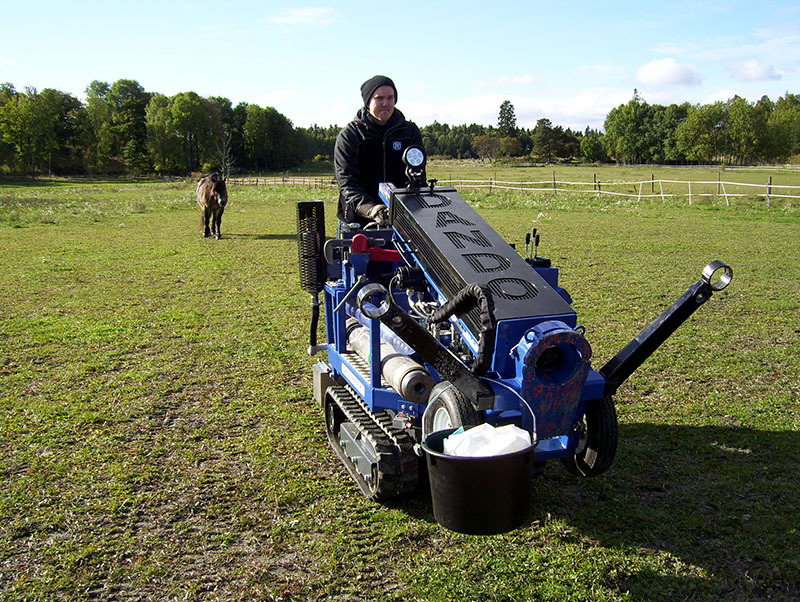 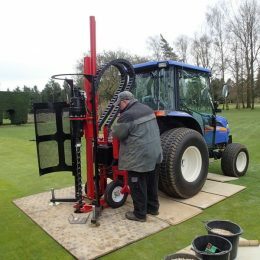 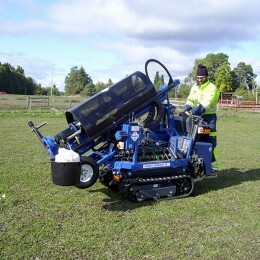 The Dando Terrier with interchangeable percussive and rotary mast for carrying out a variety of sampling techniques. 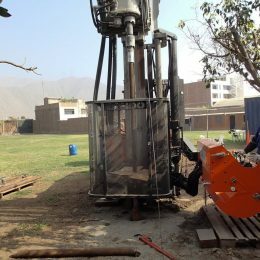 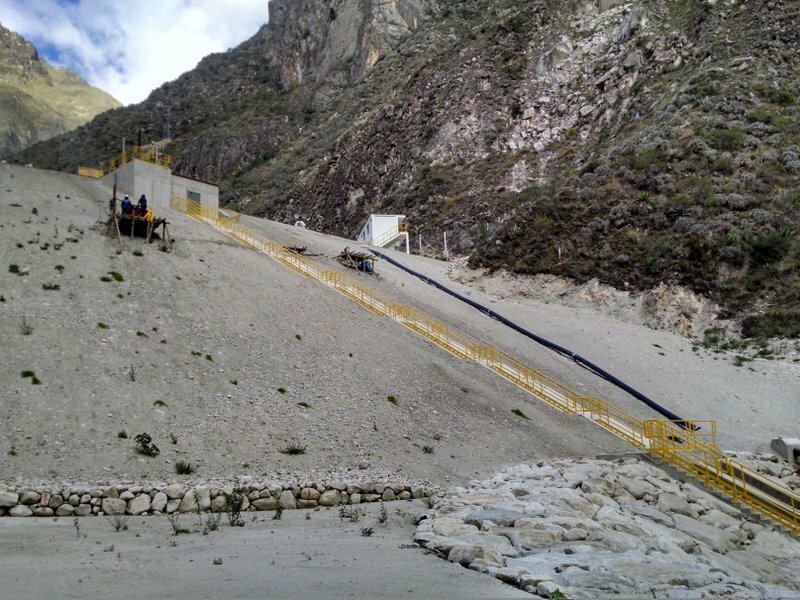 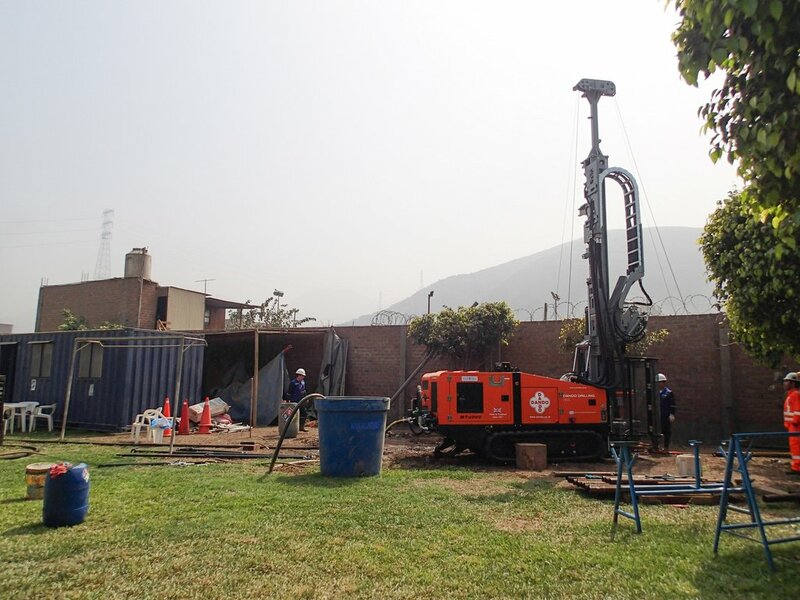 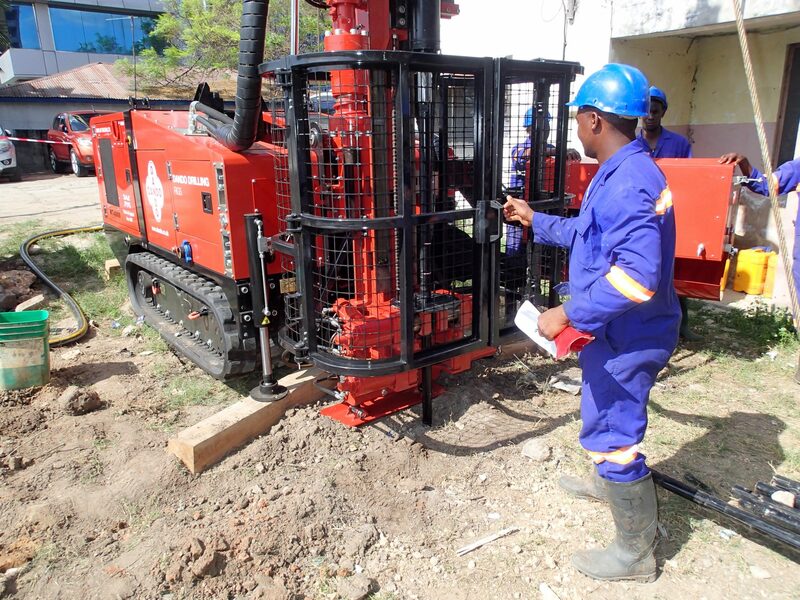 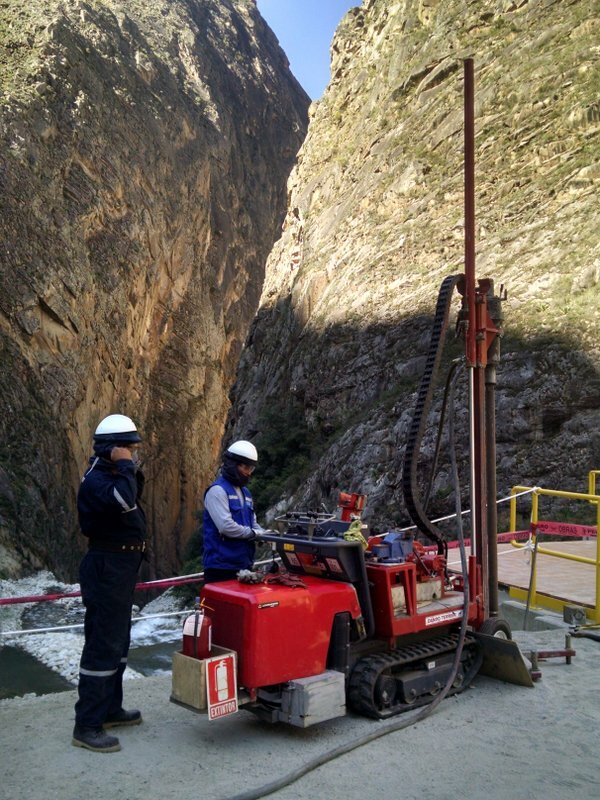 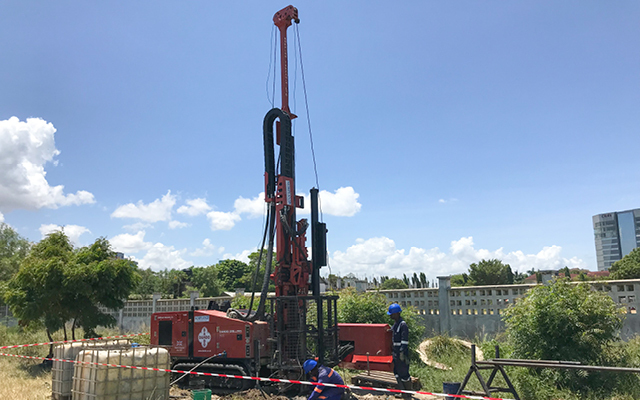 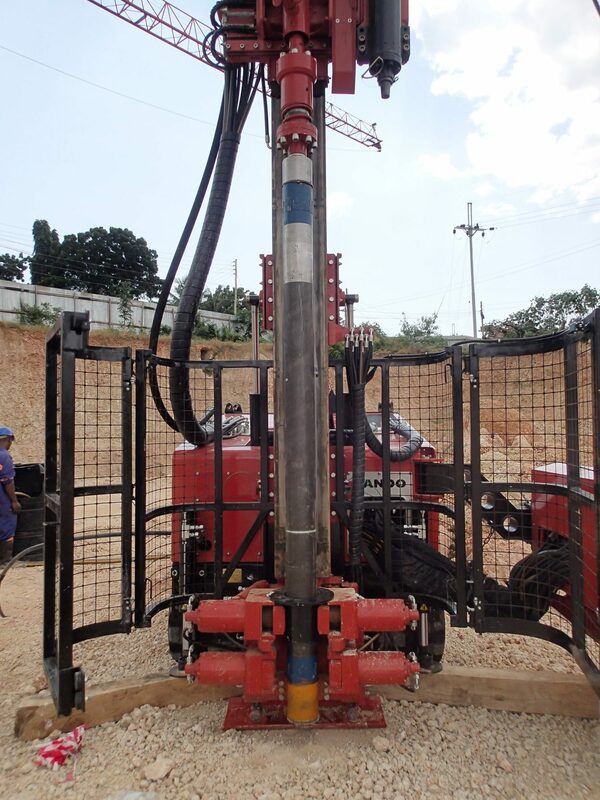 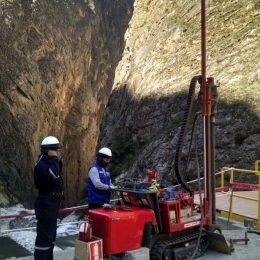 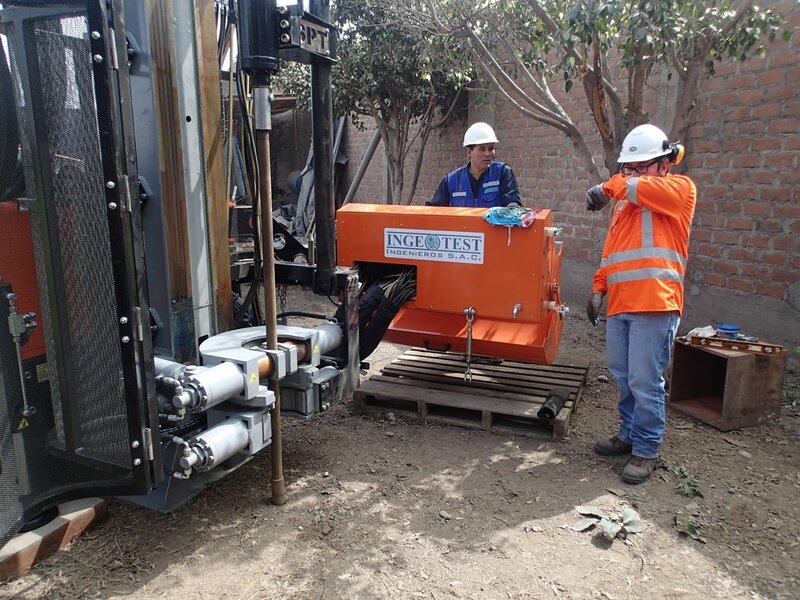 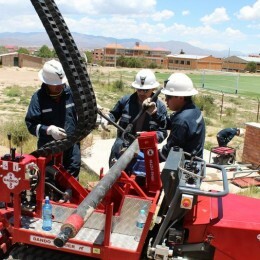 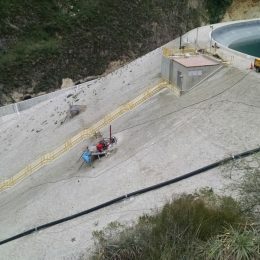 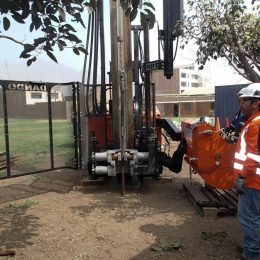 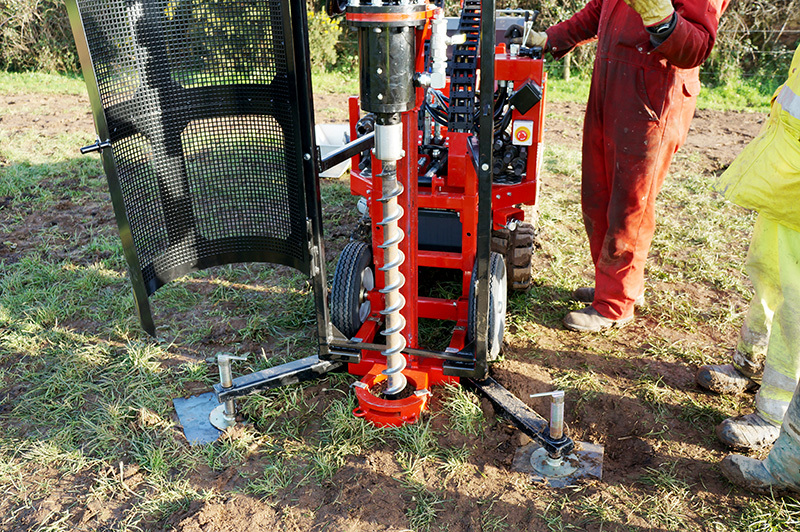 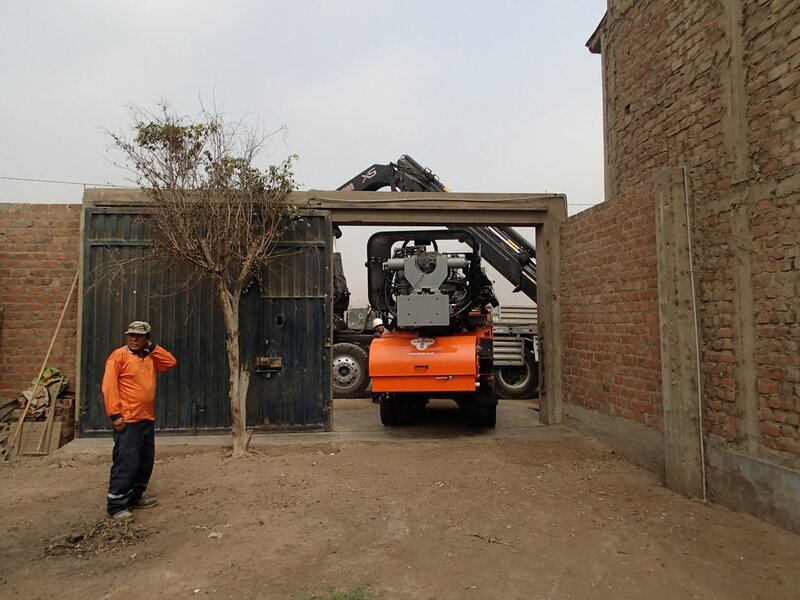 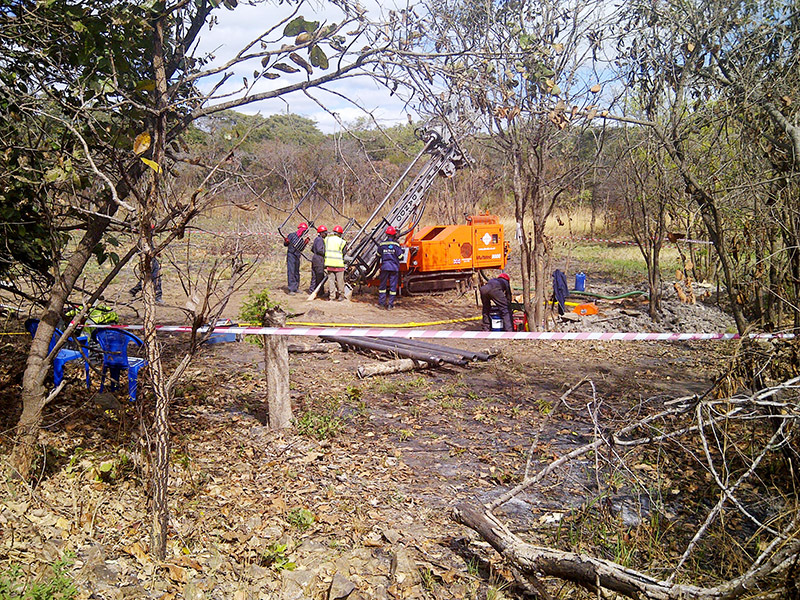 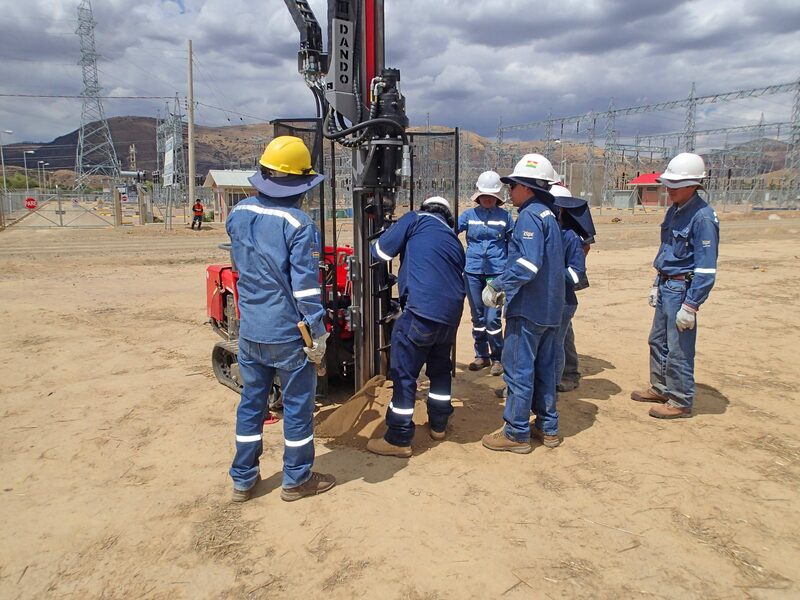 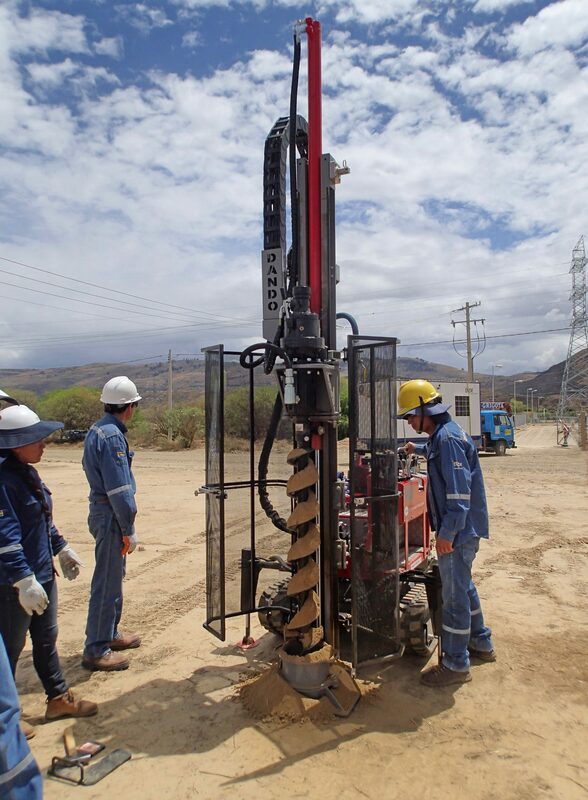 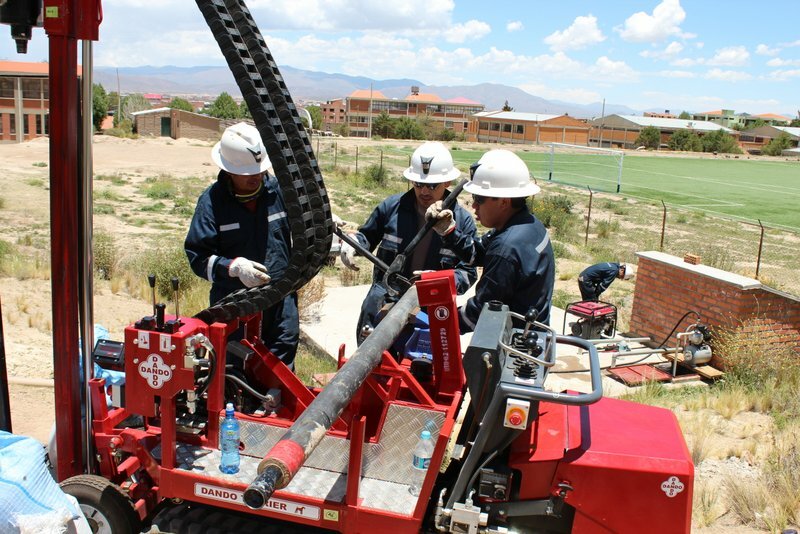 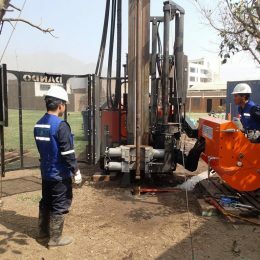 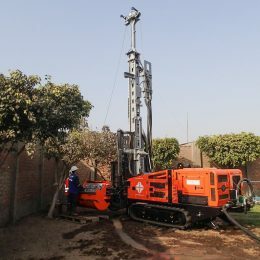 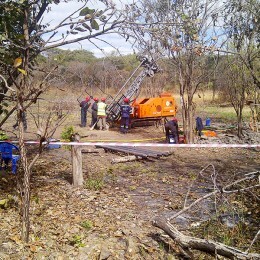 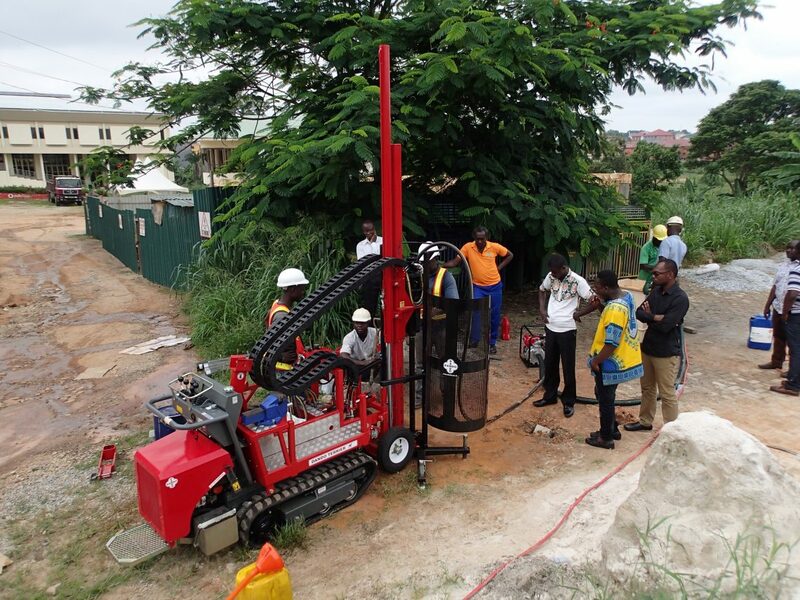 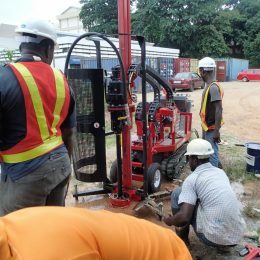 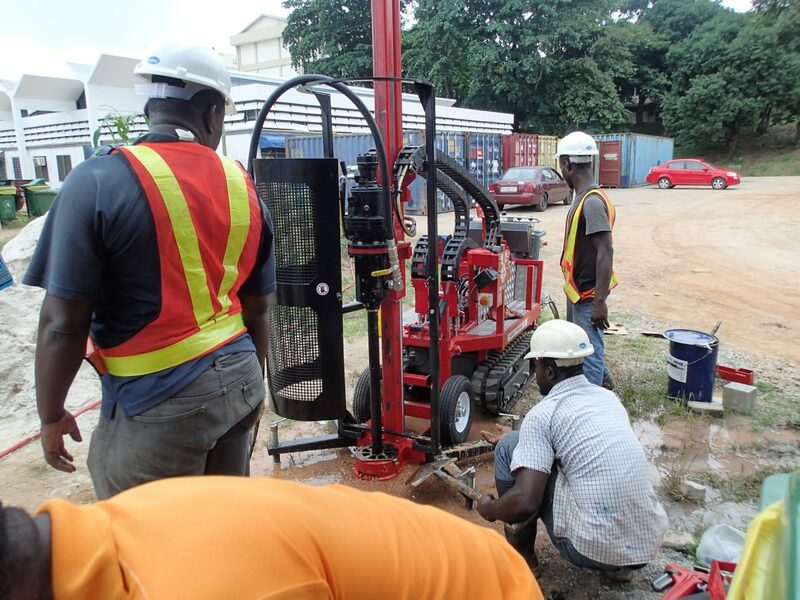 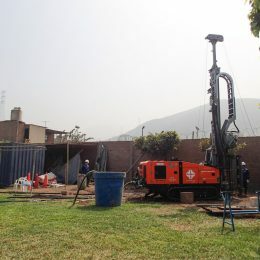 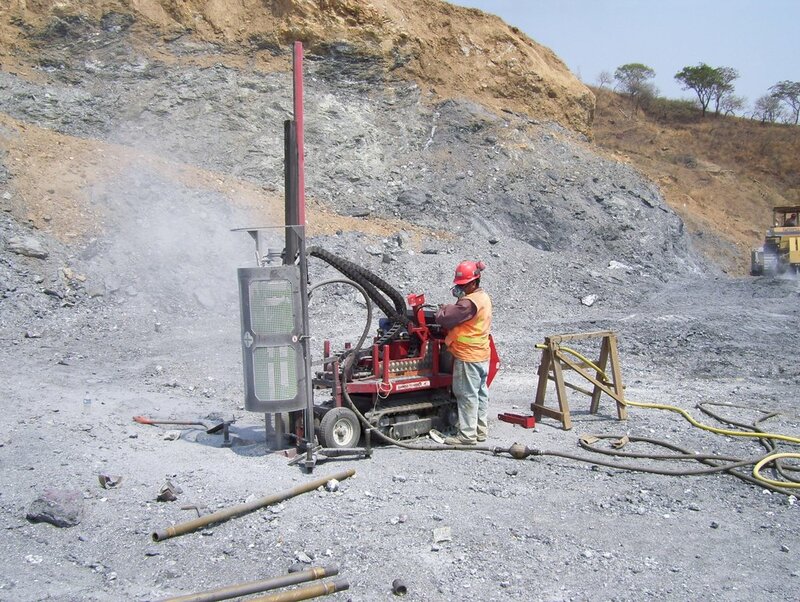 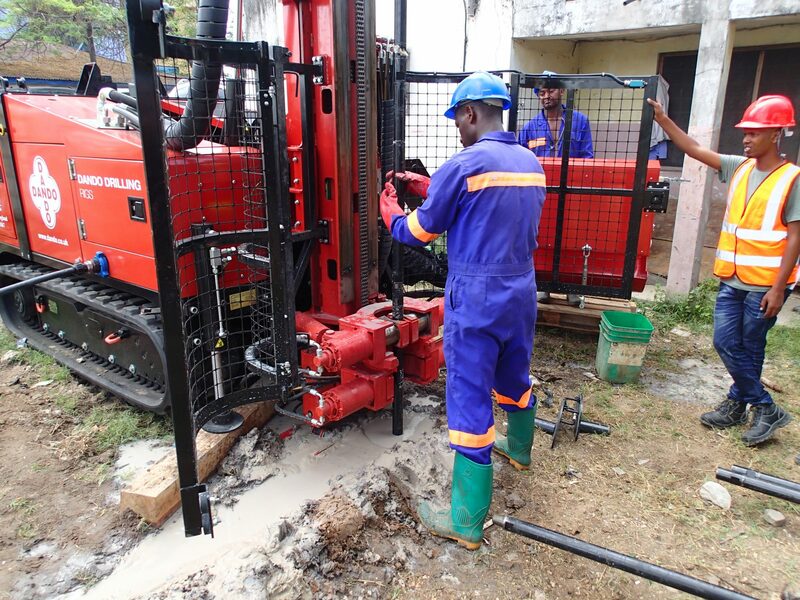 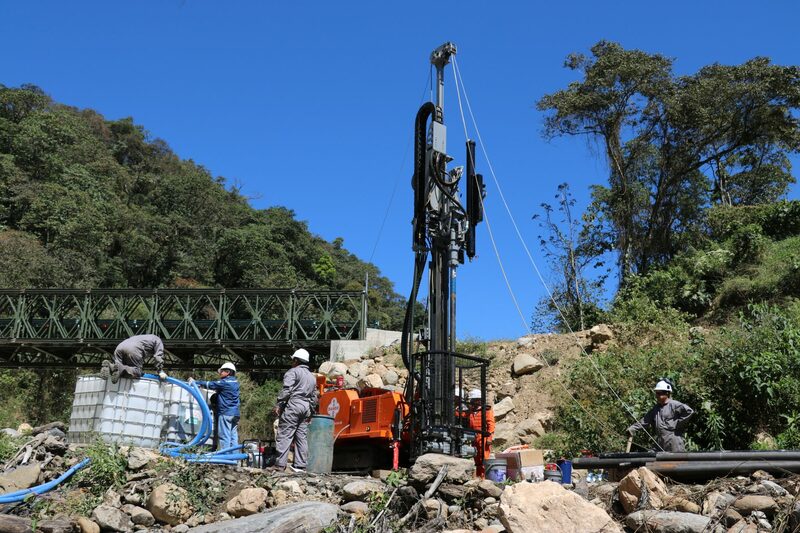 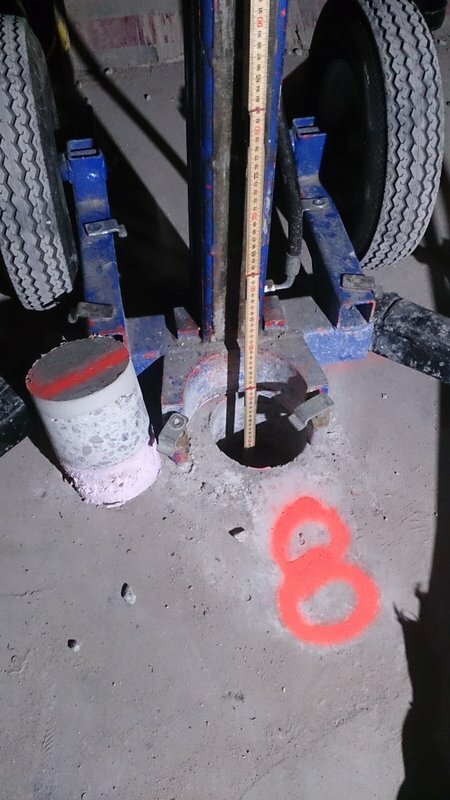 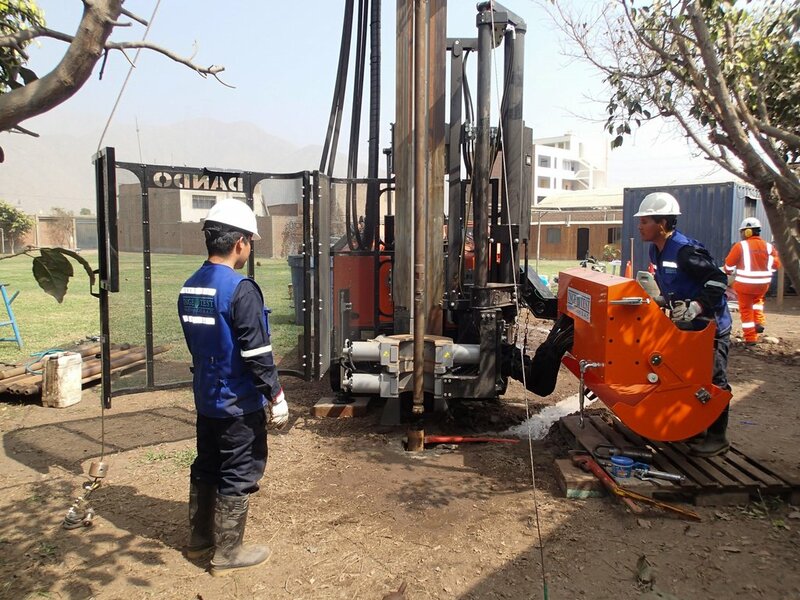 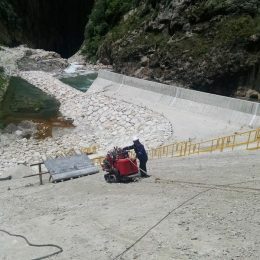 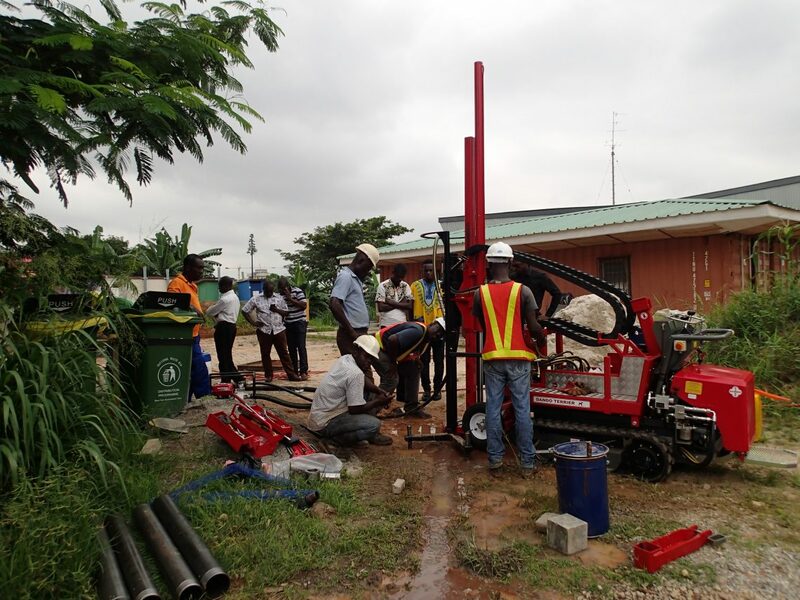 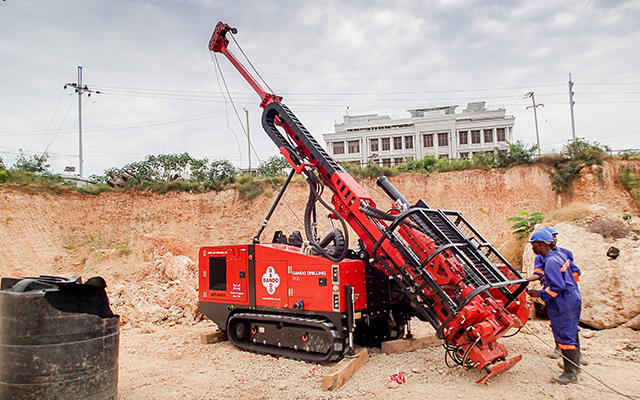 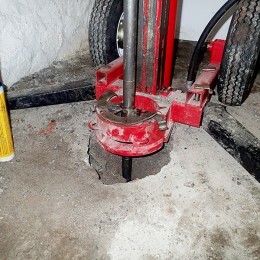 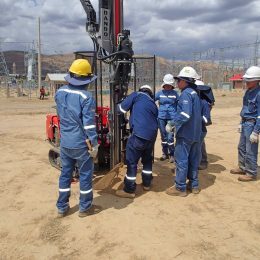 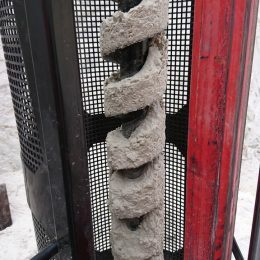 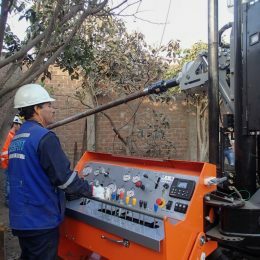 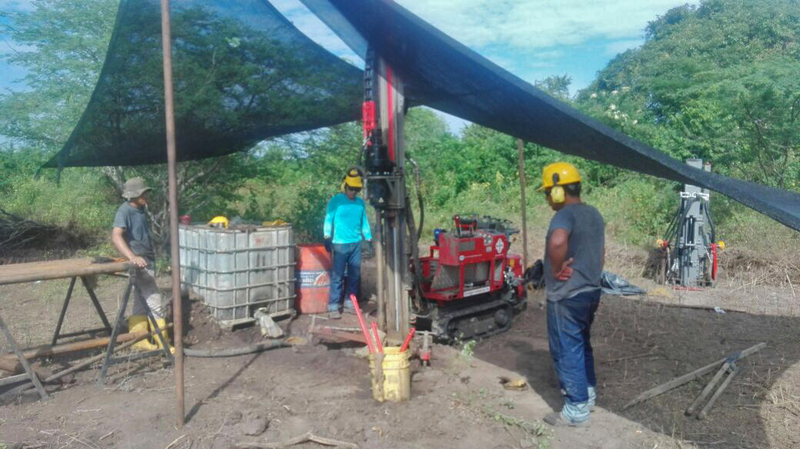 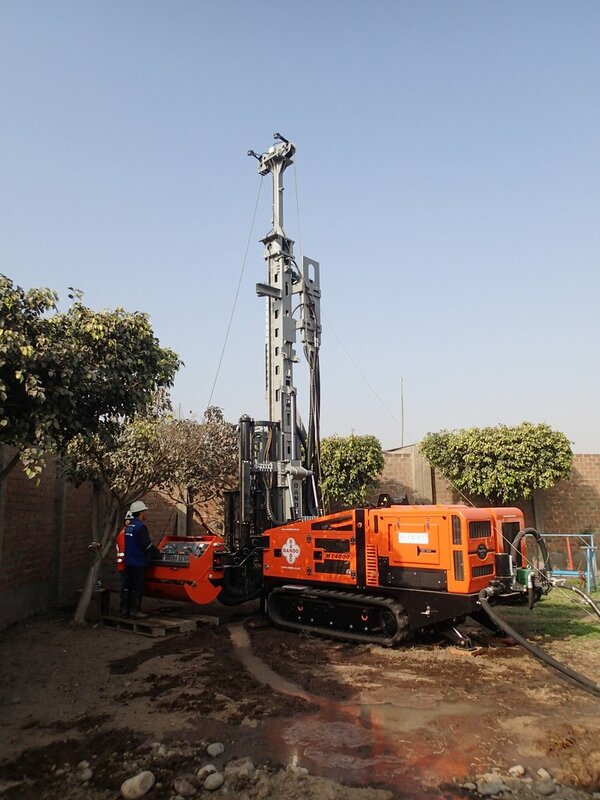 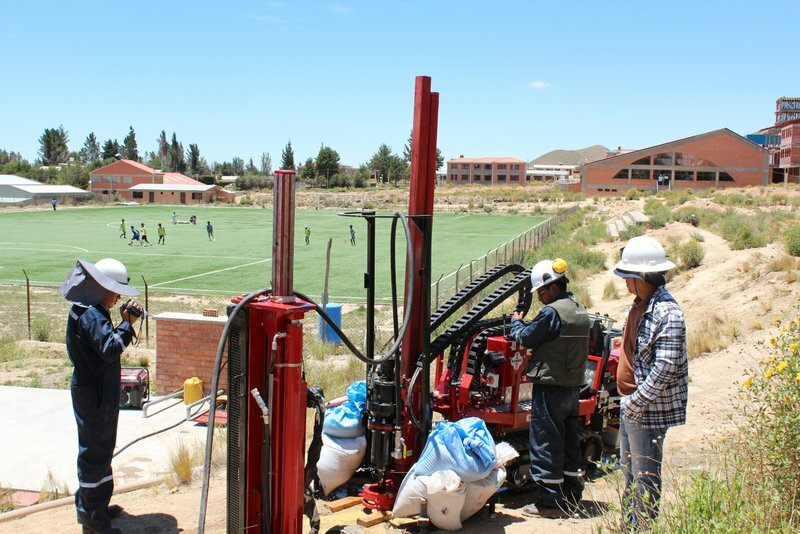 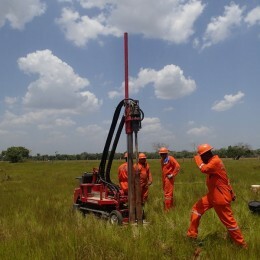 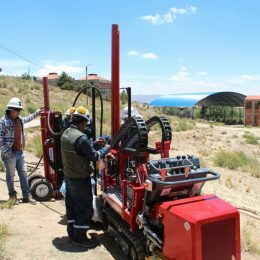 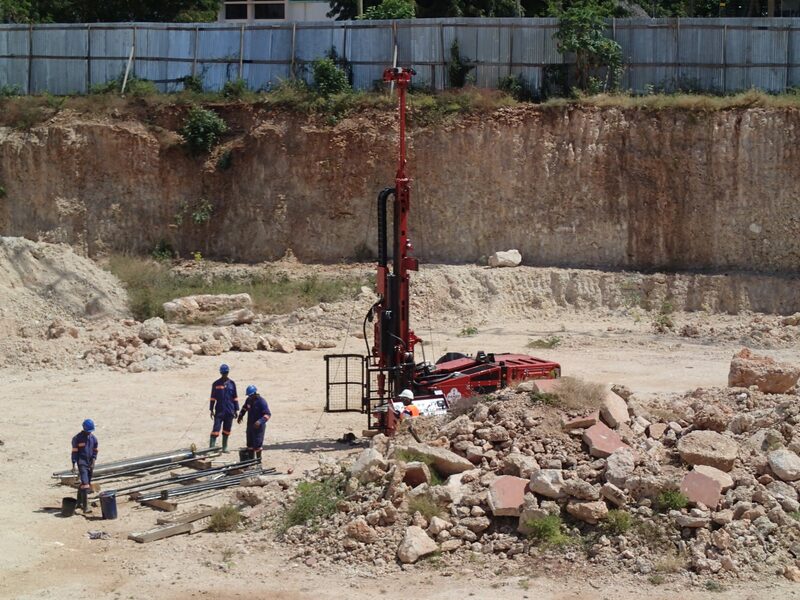 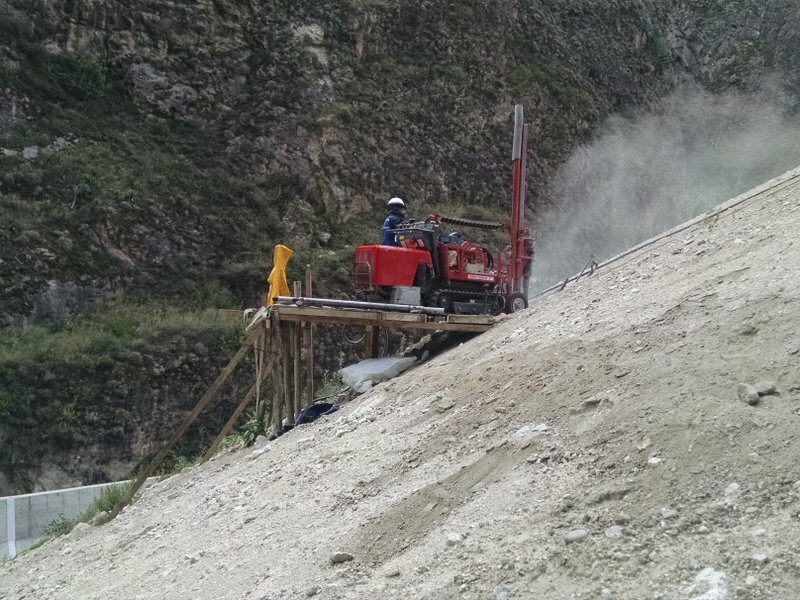 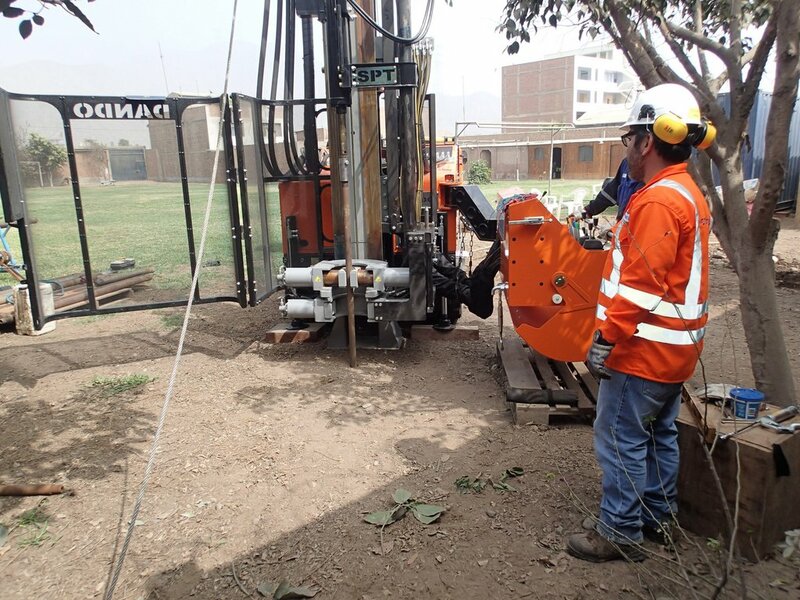 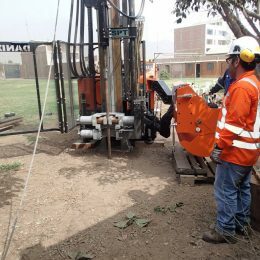 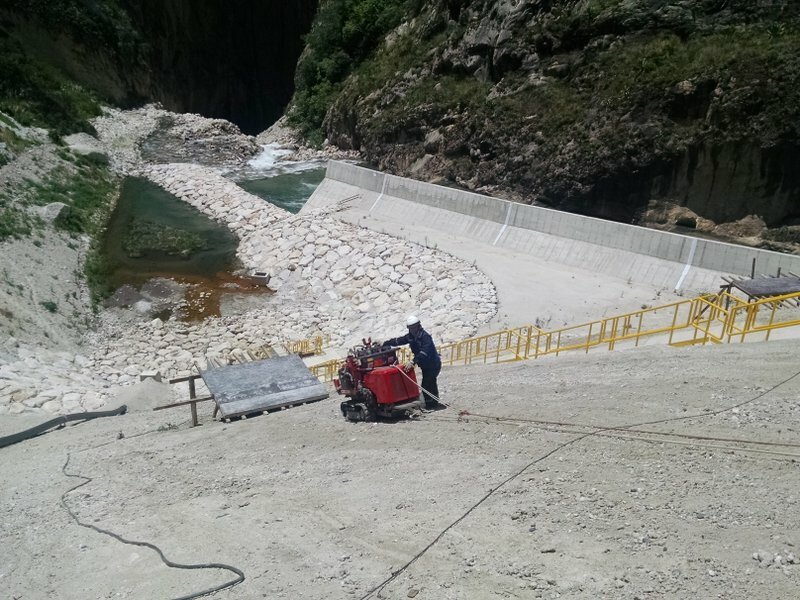 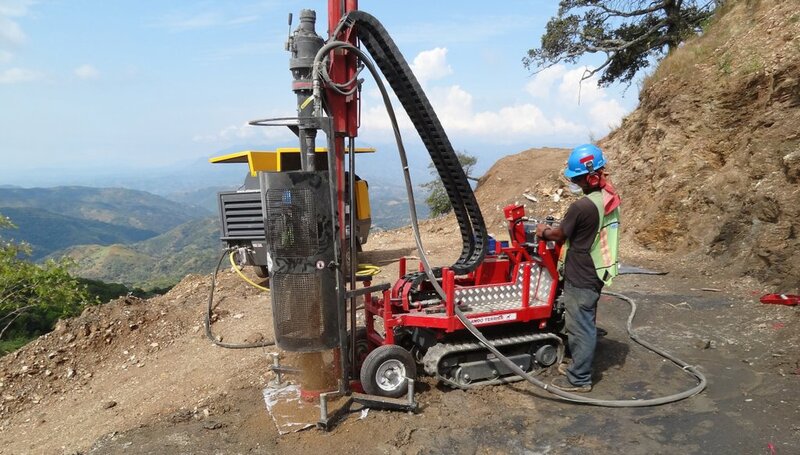 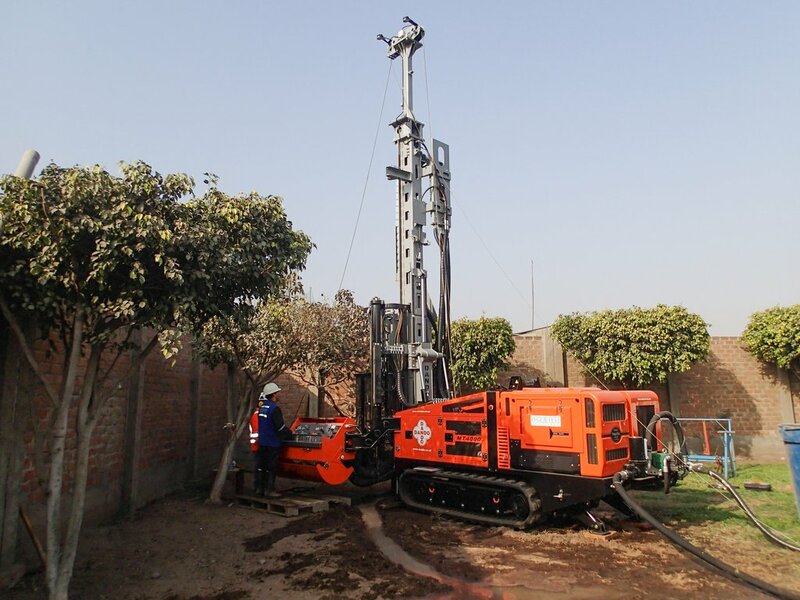 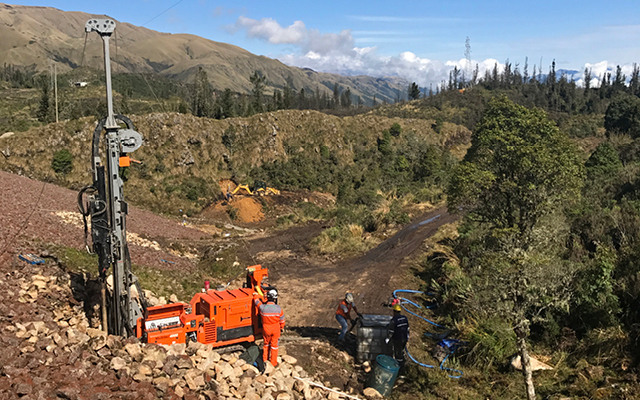 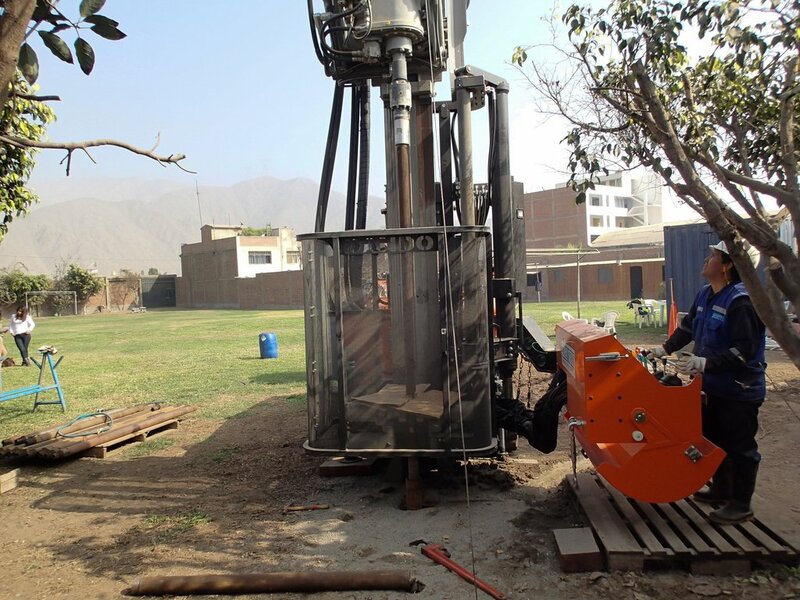 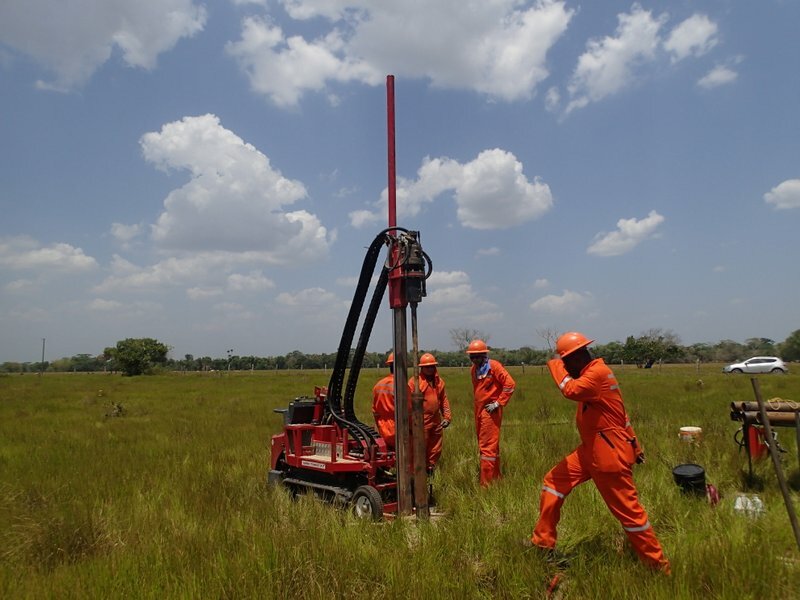 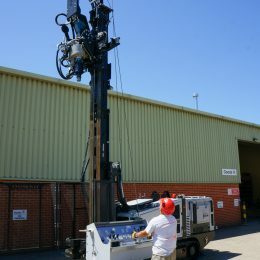 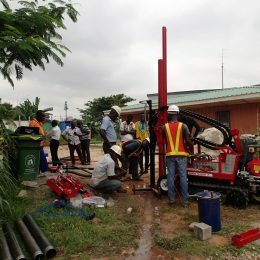 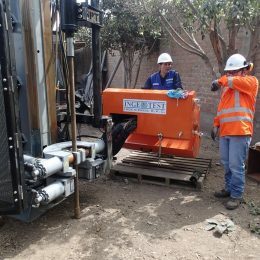 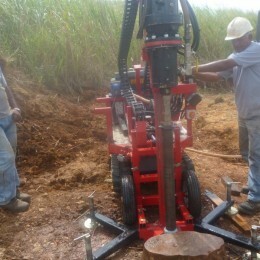 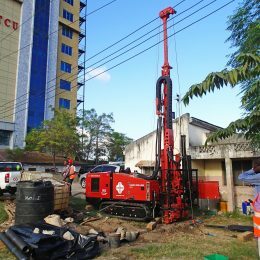 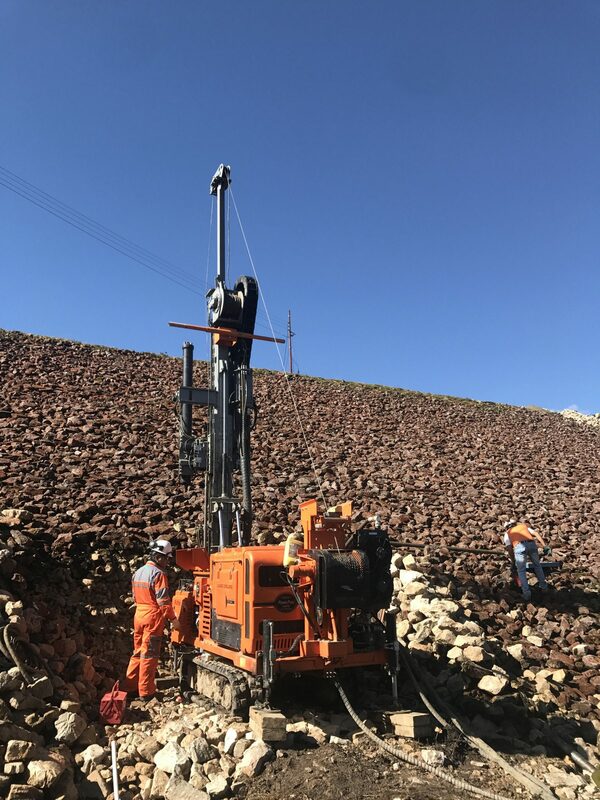 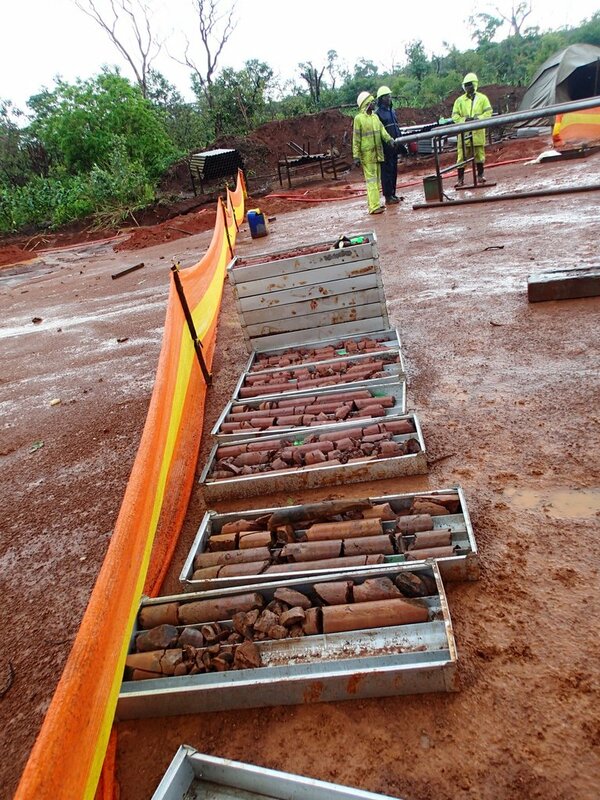 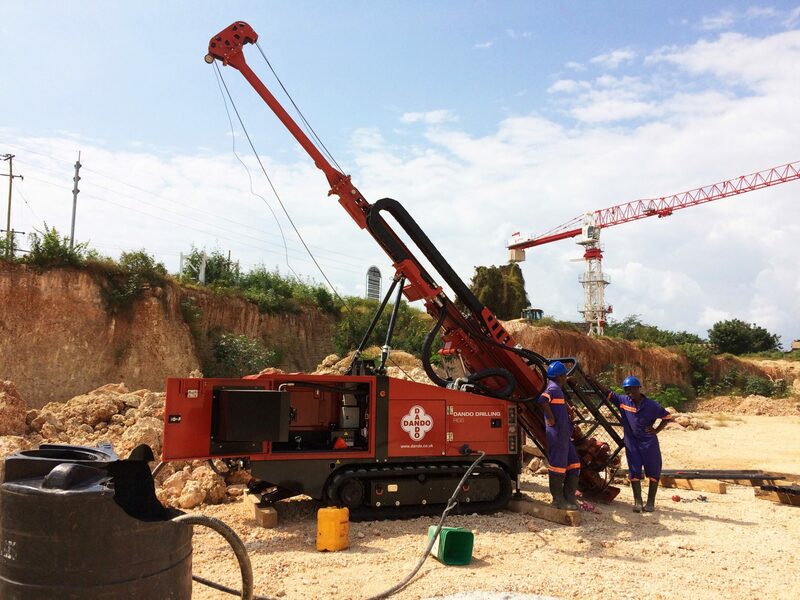 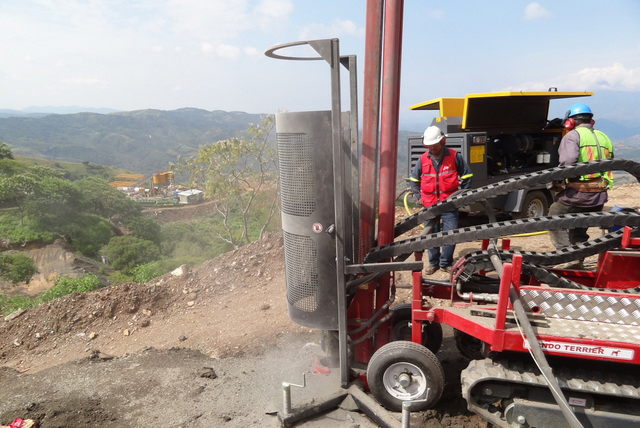 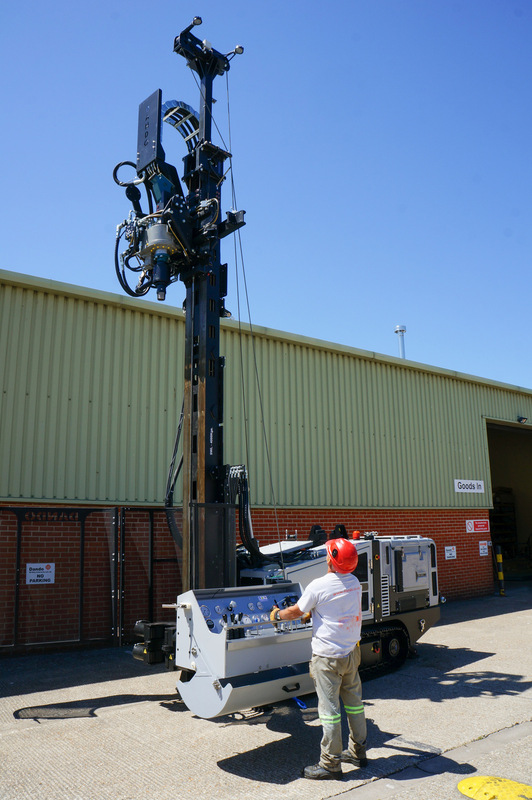 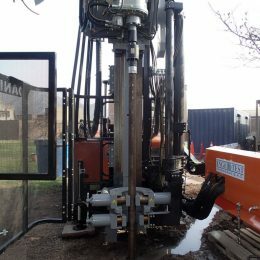 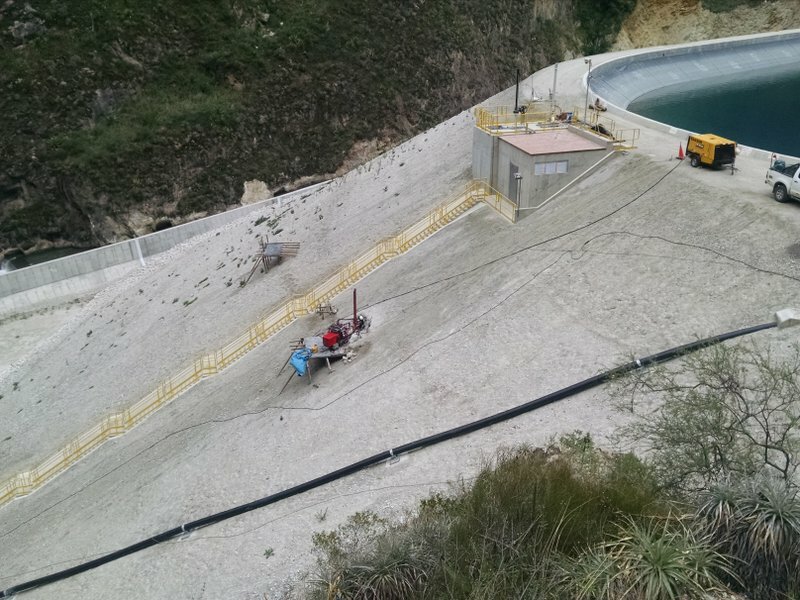 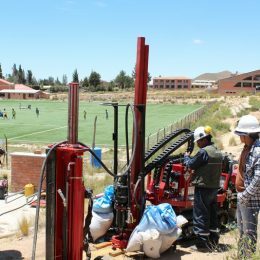 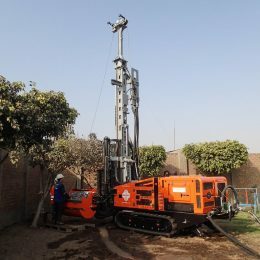 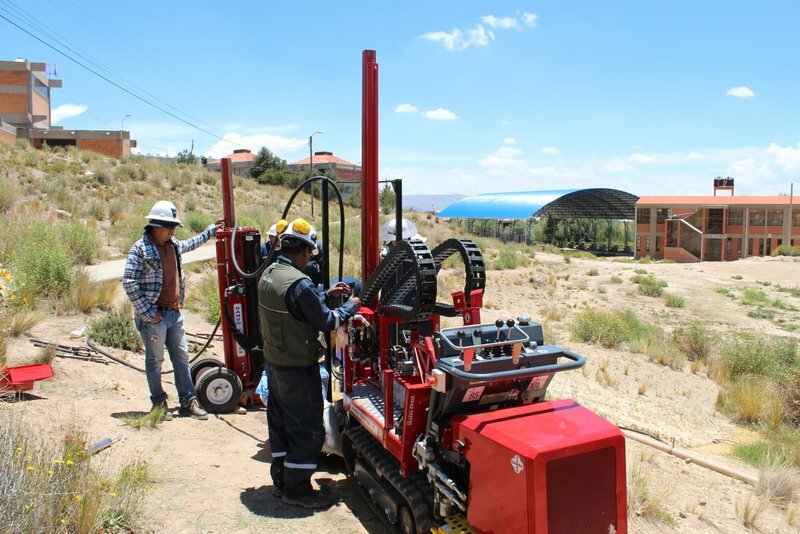 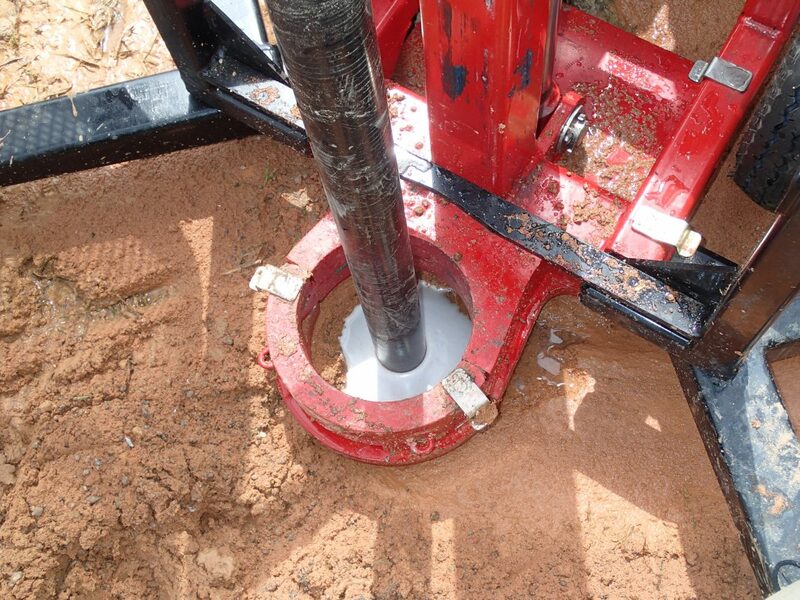 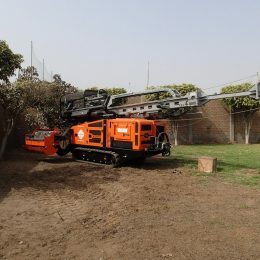 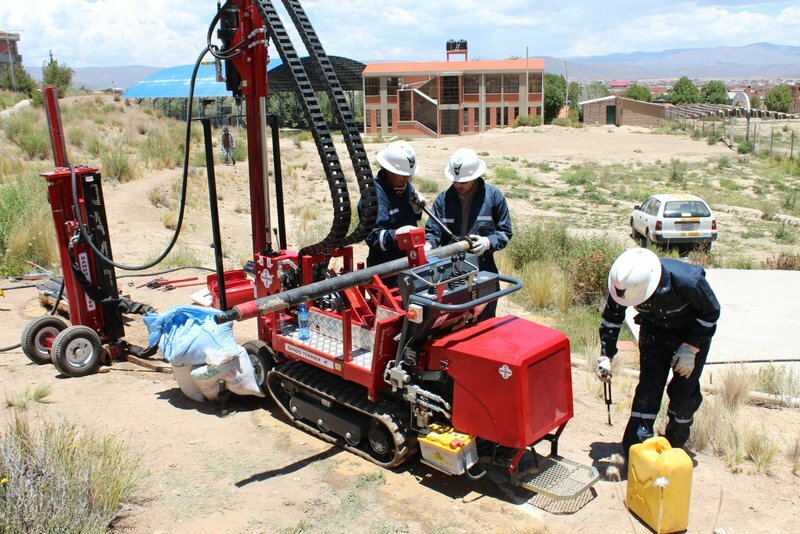 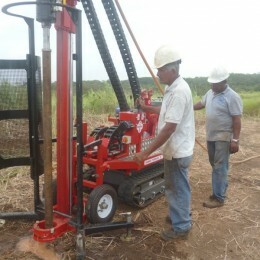 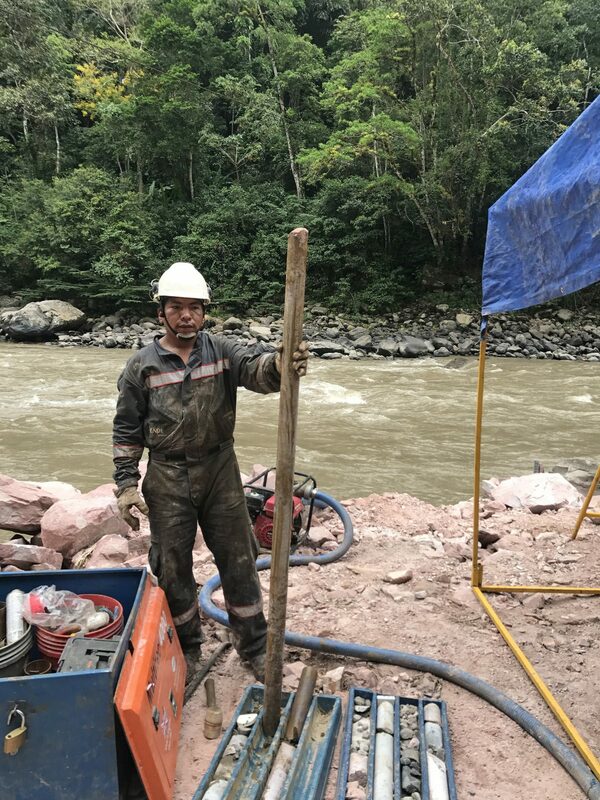 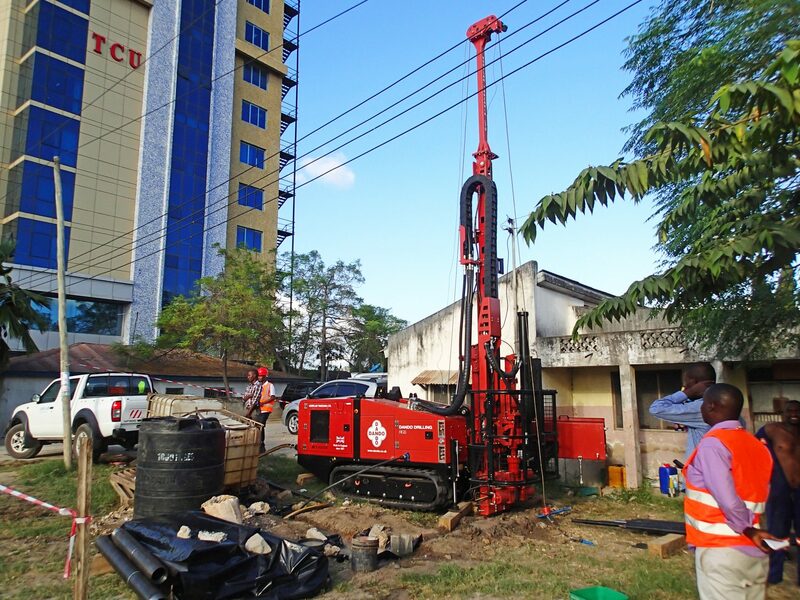 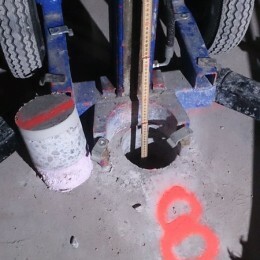 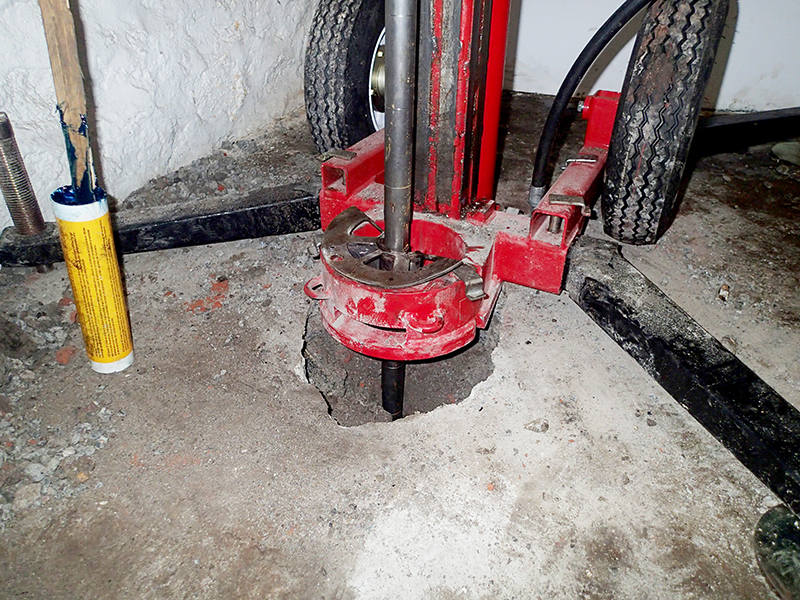 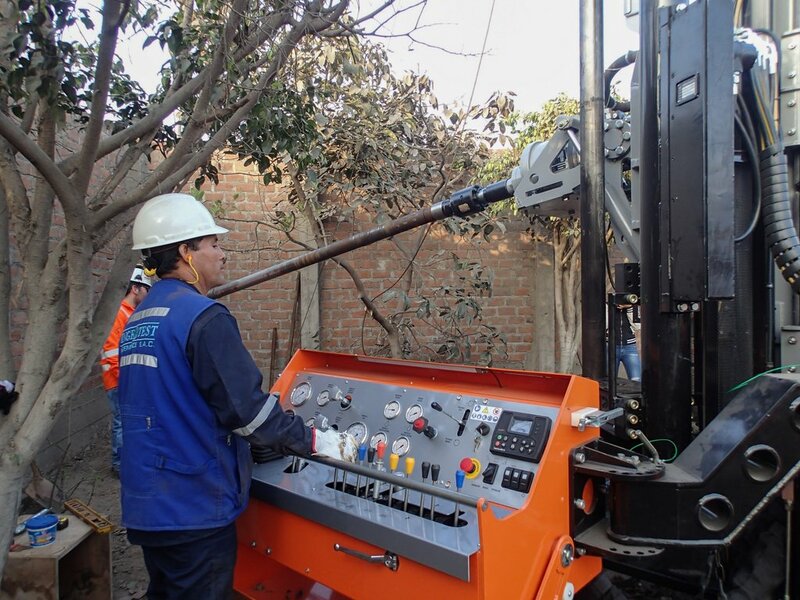 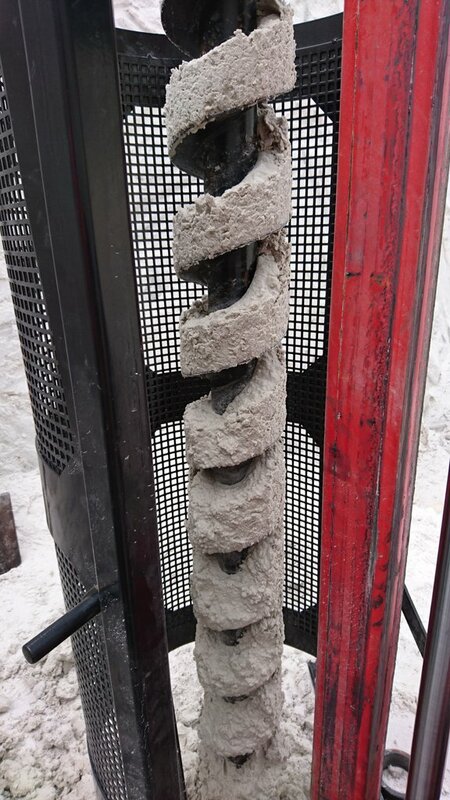 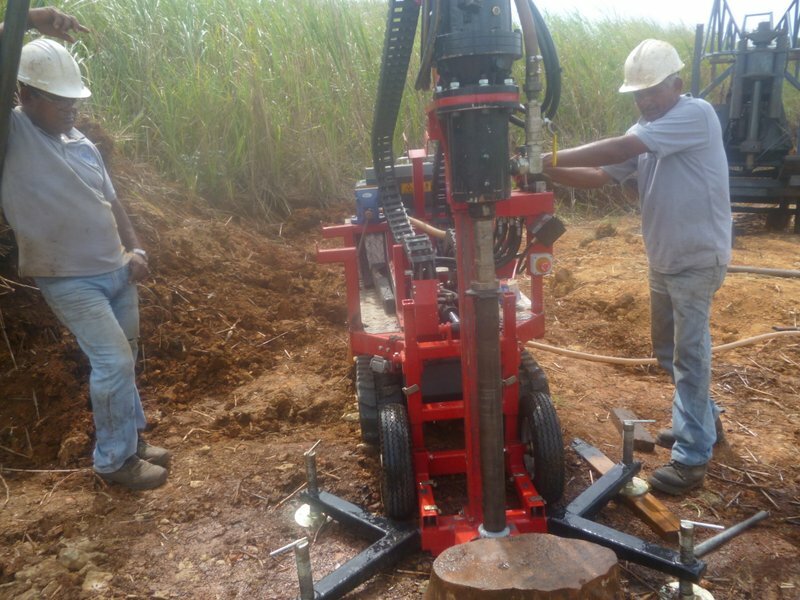 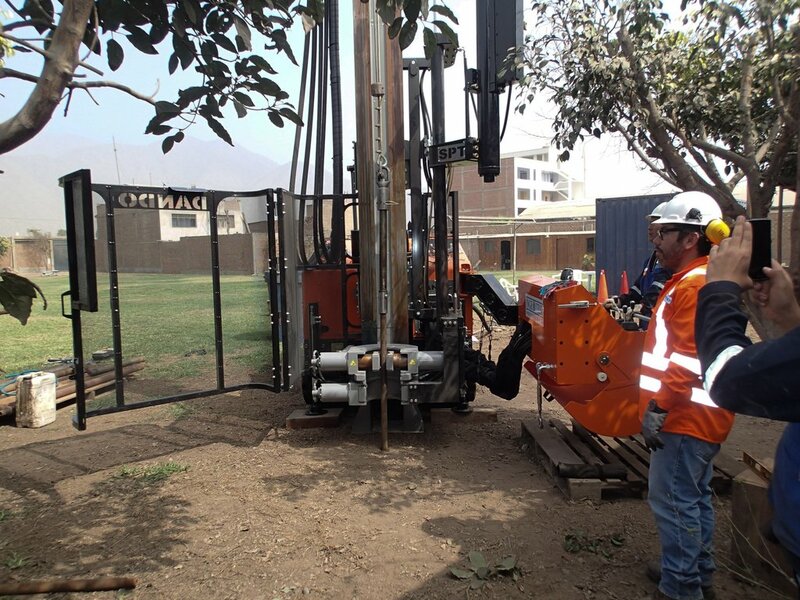 8” diameter auger drilling and SPT for micro piling at an electrical substation in Bolivia.